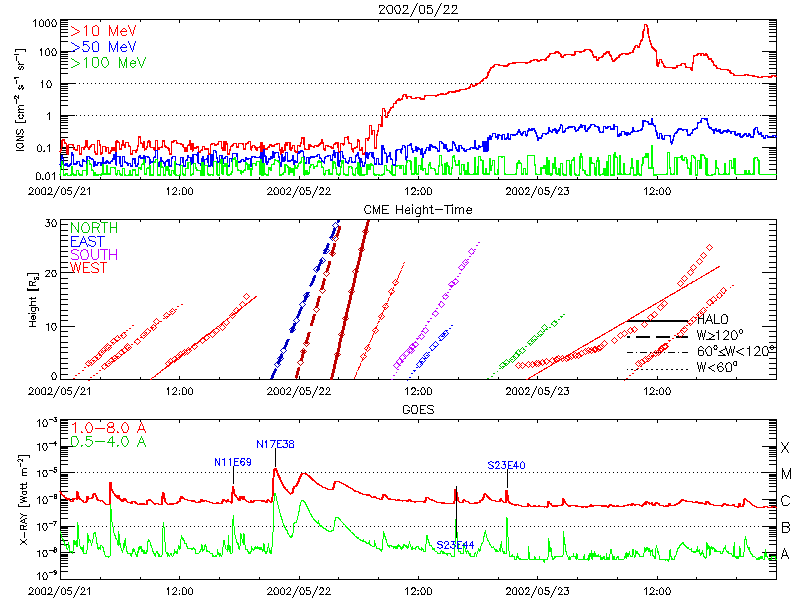 2000/06/19 01:19 06/19 01:22  3800  1900   N42E60 ----- ----   06/18 21:30    8   49  459   PHTX  This may not be a type II. 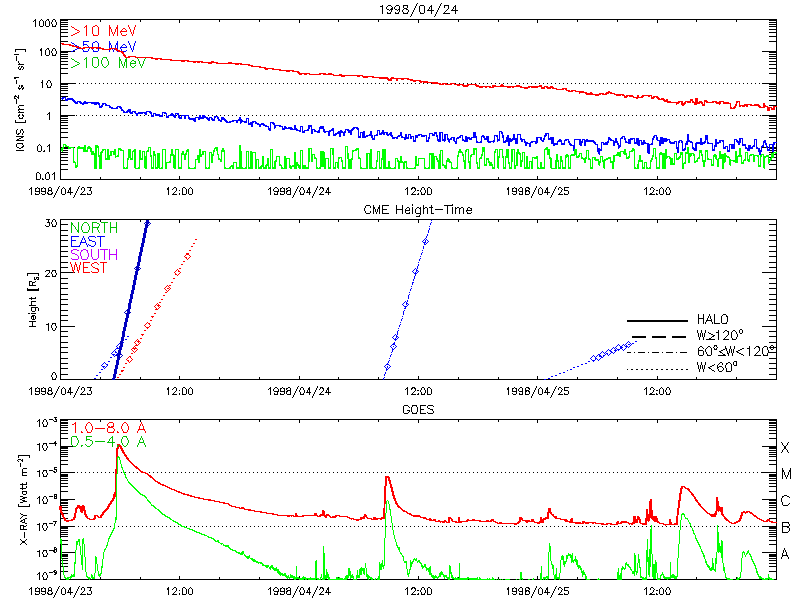 2000/10/05 22:10 10/05 22:35  5000  1250   N25W90  9177 ----   10/05 18:26  323   86 1046   PHTX  This may not be a type II. 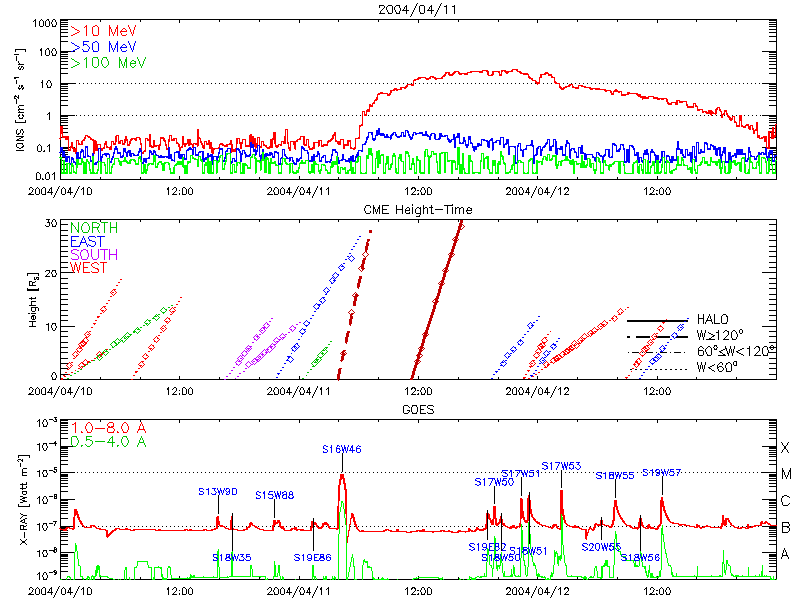 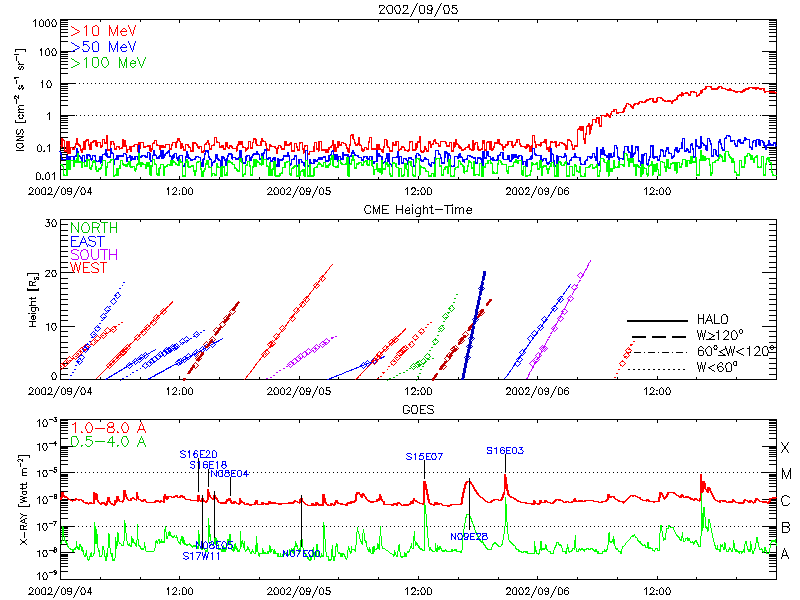 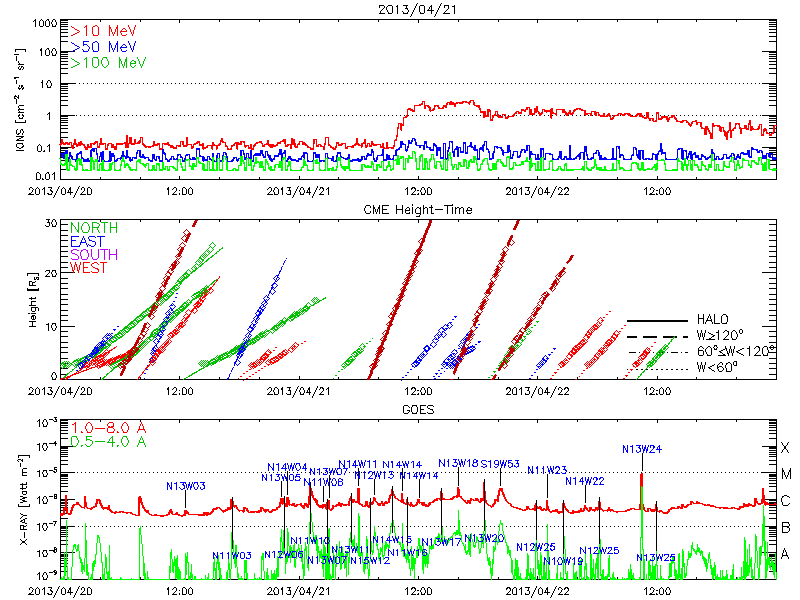 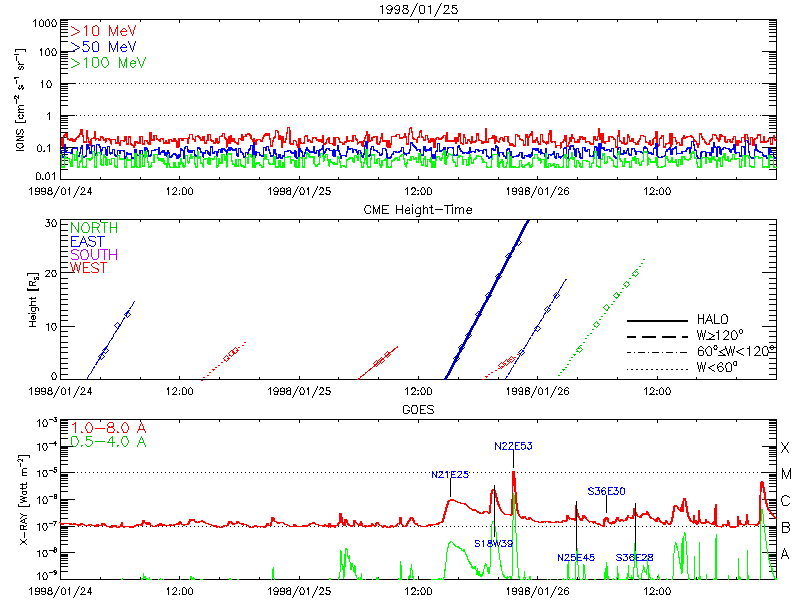 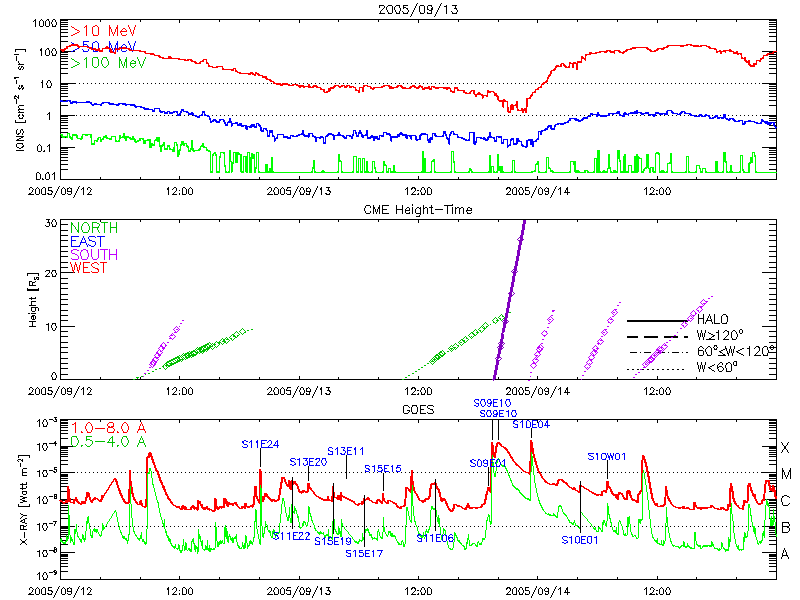 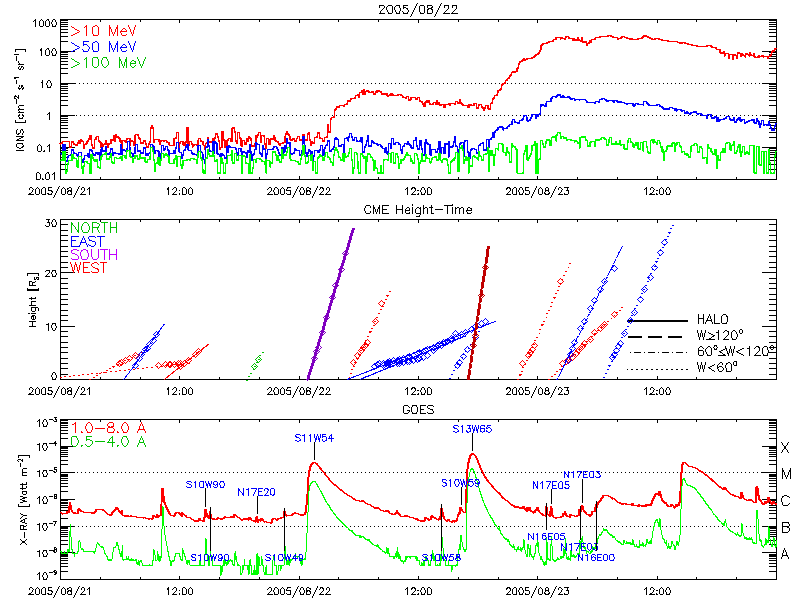 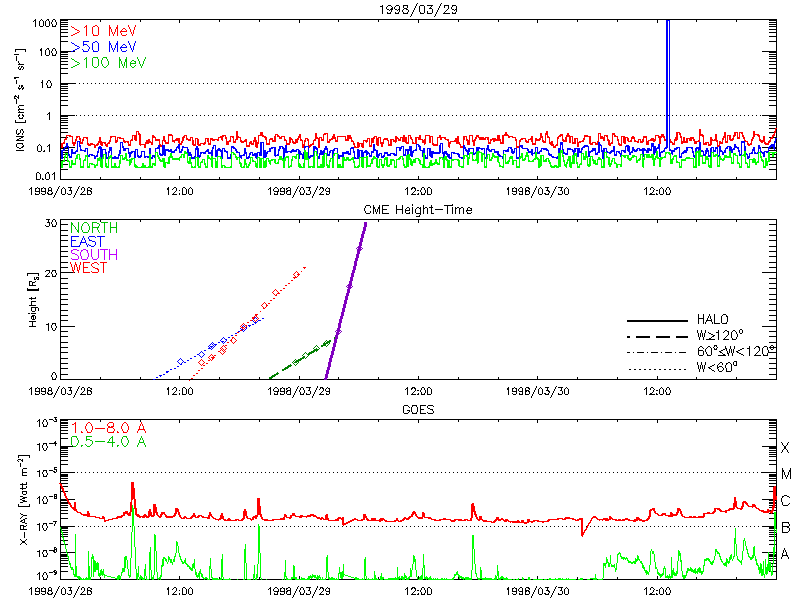 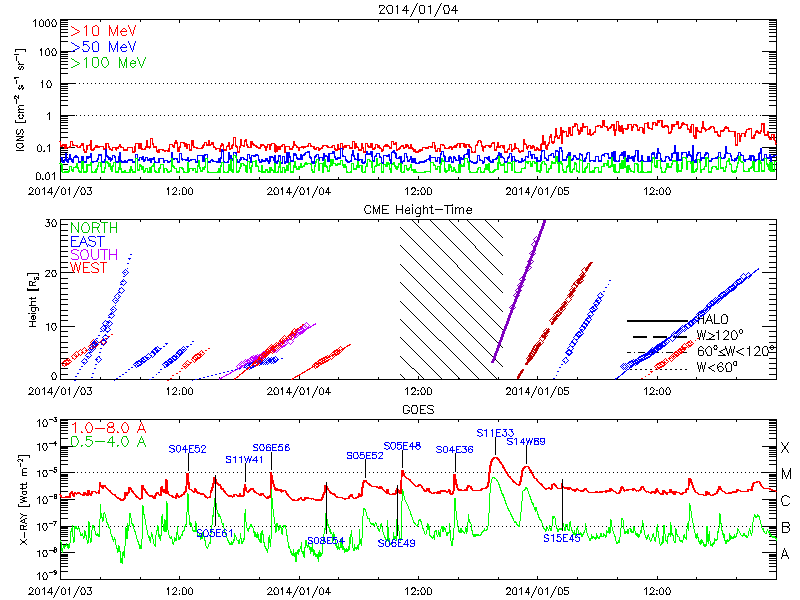 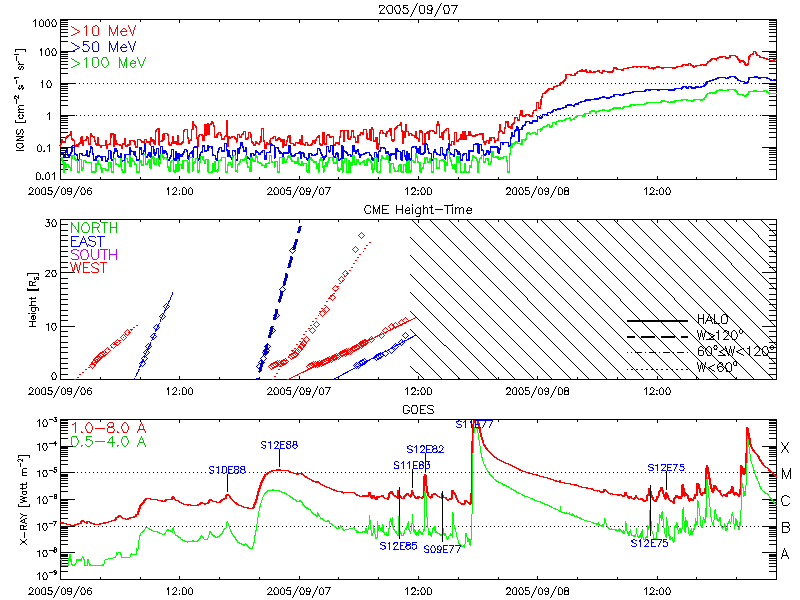 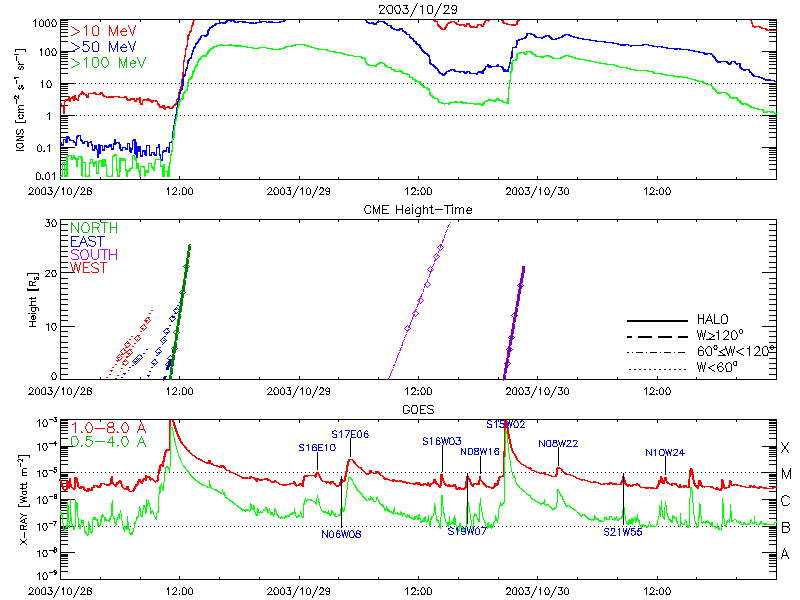 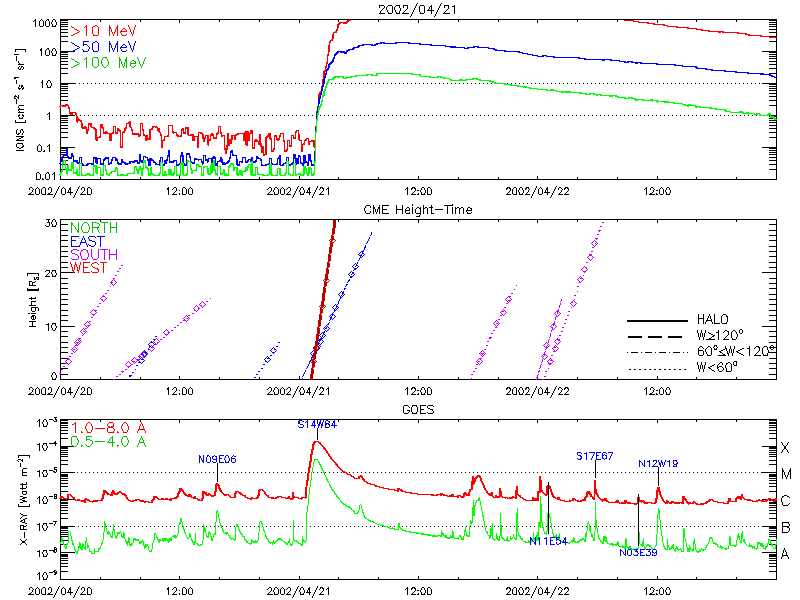 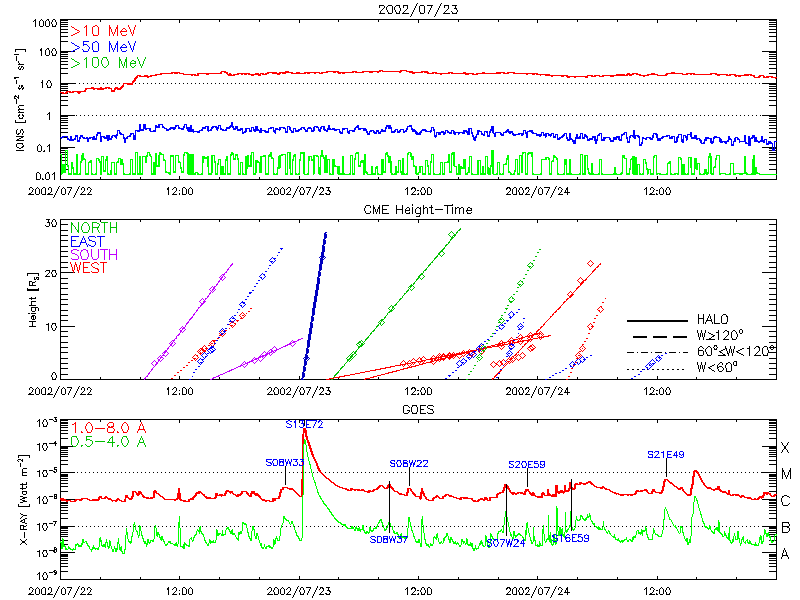 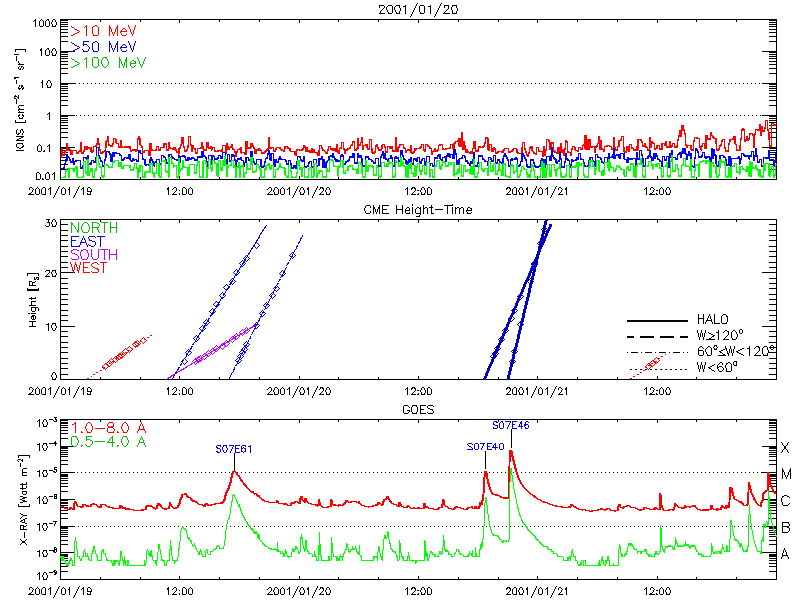 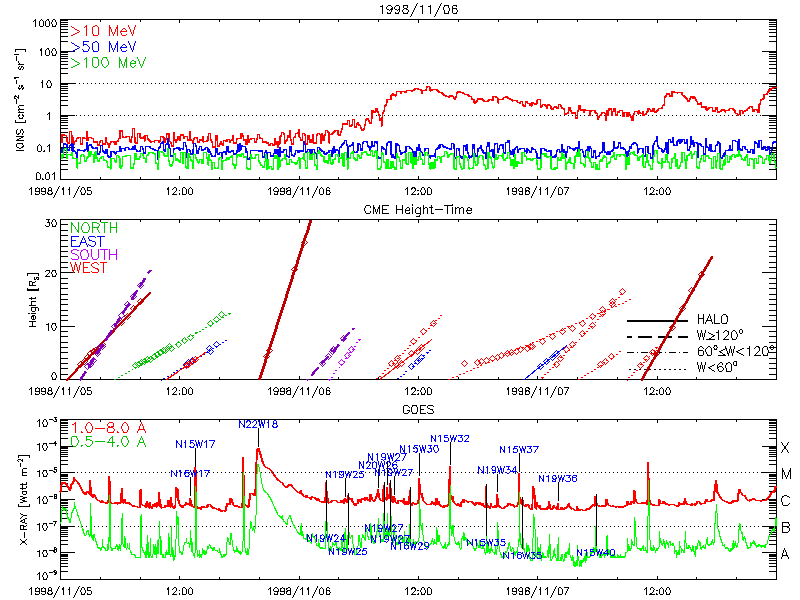 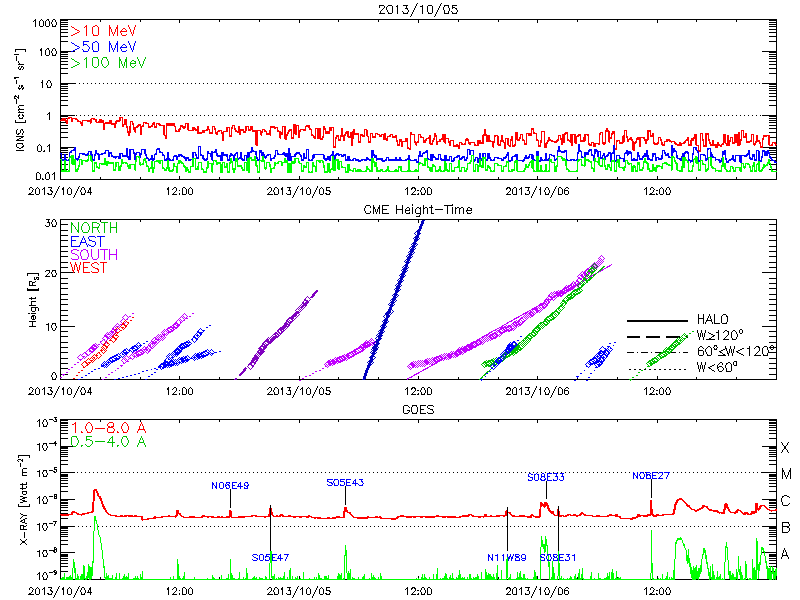 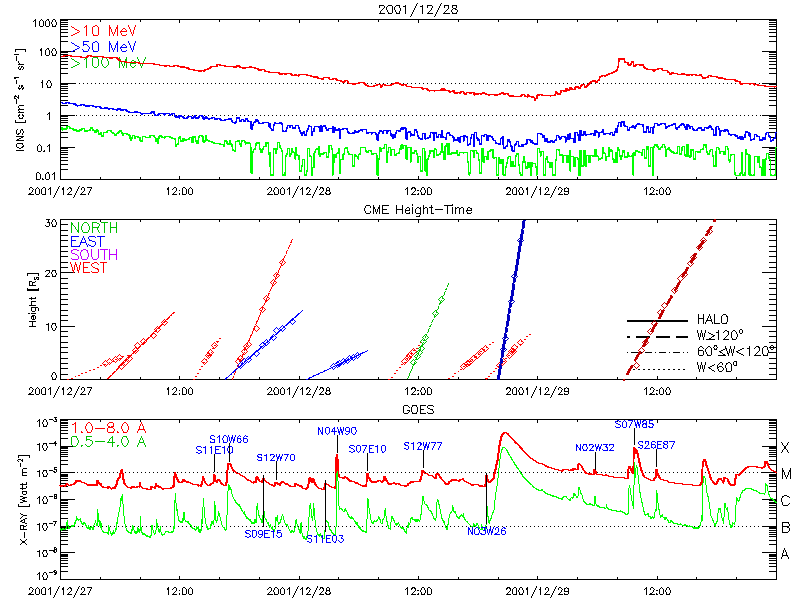 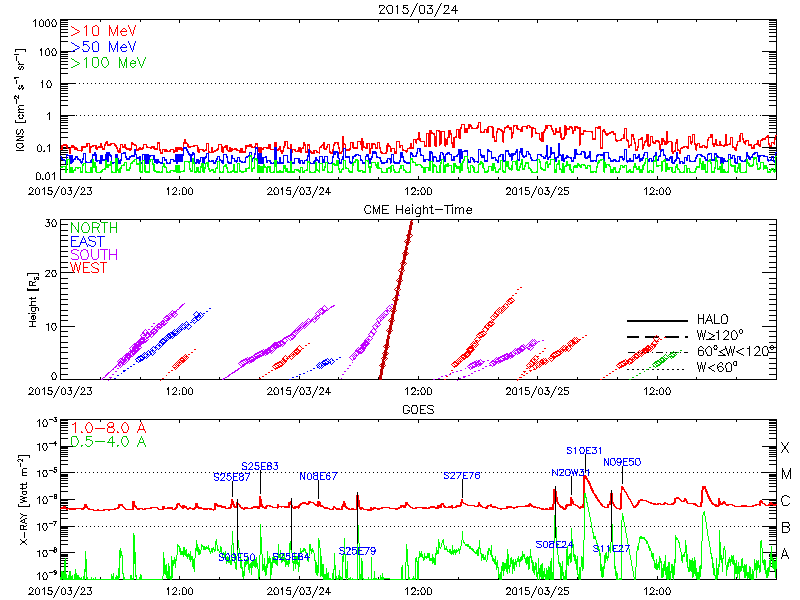 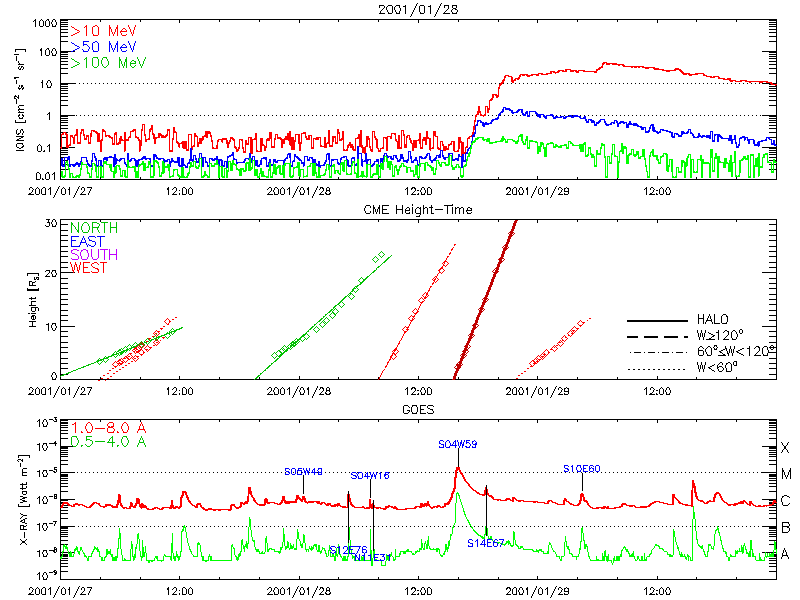 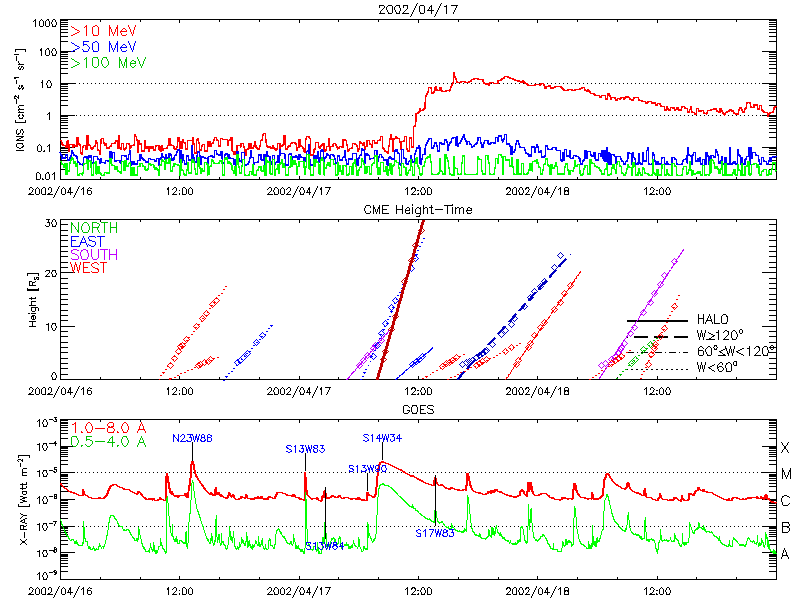 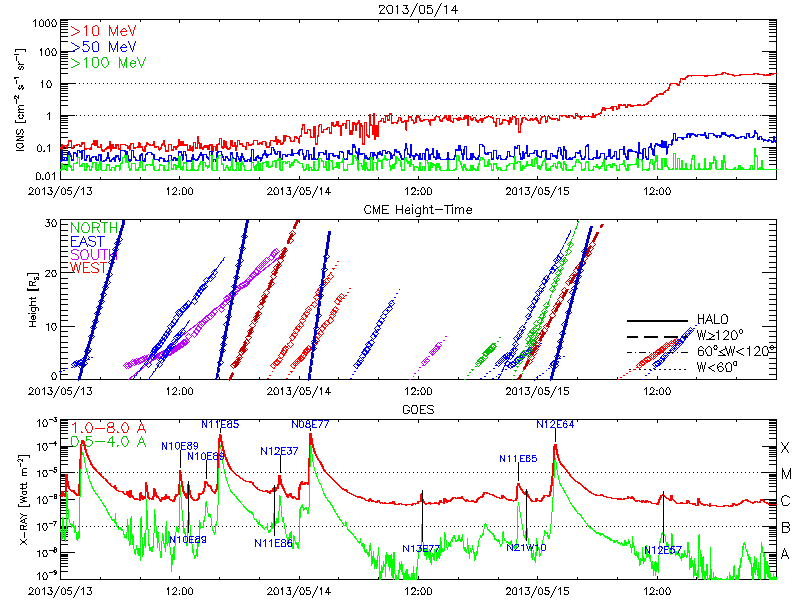 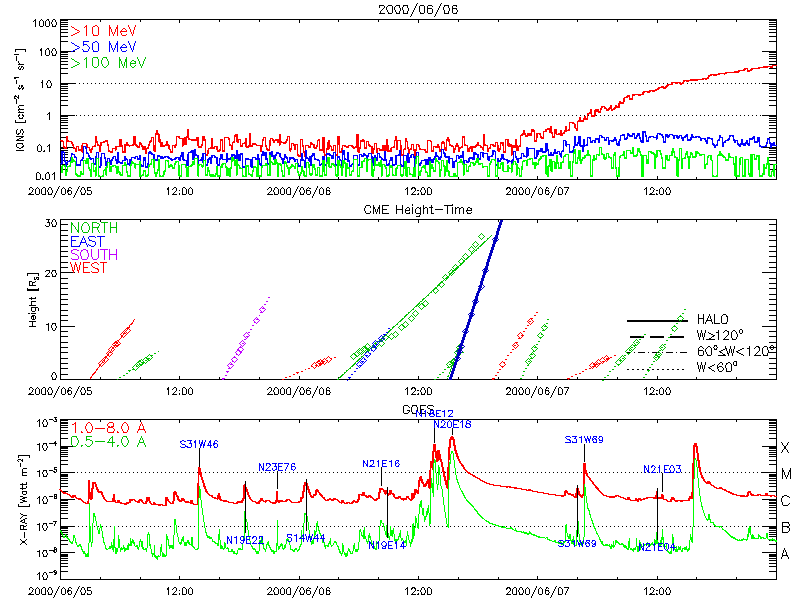 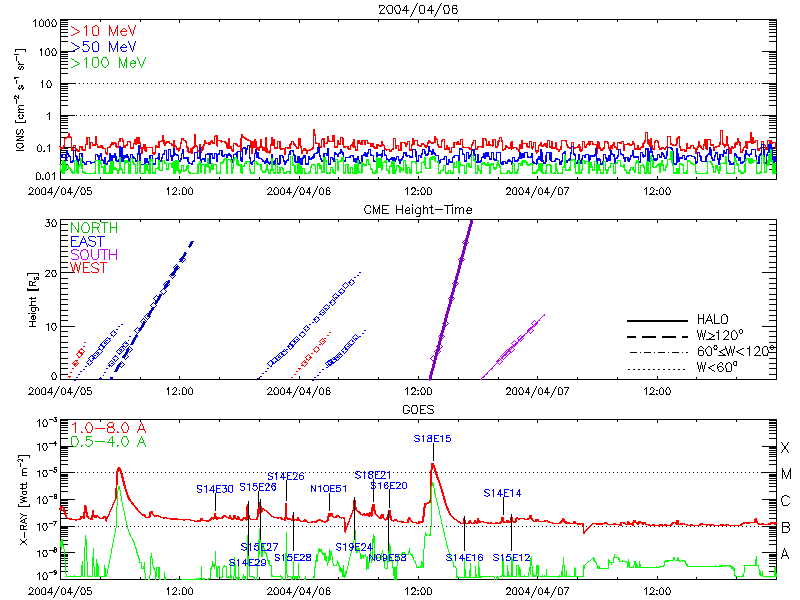 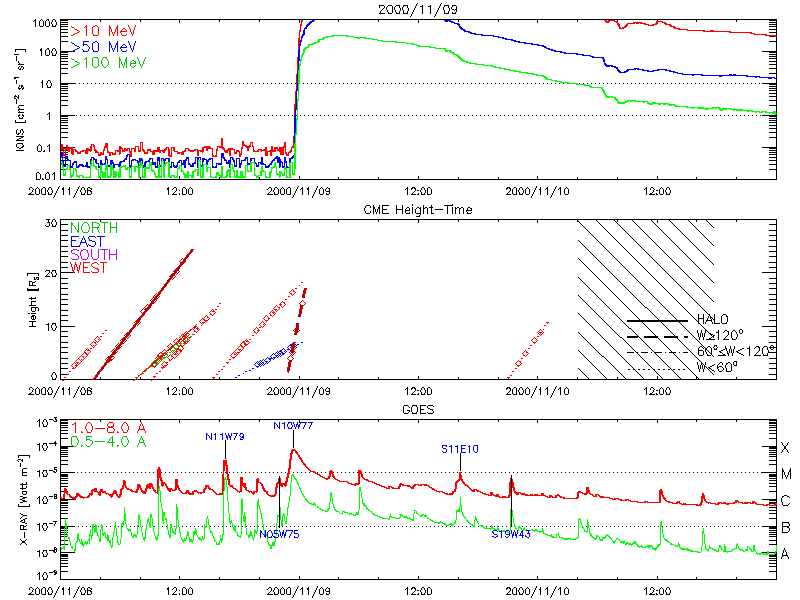 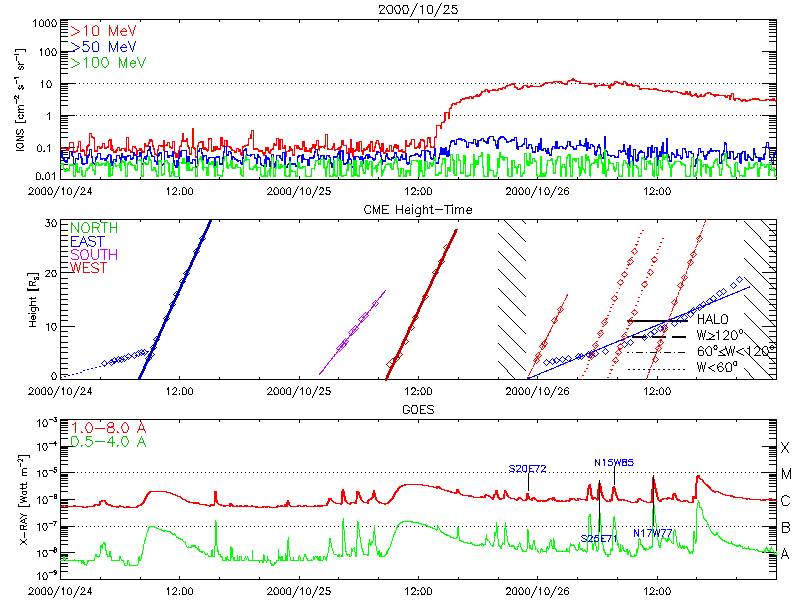 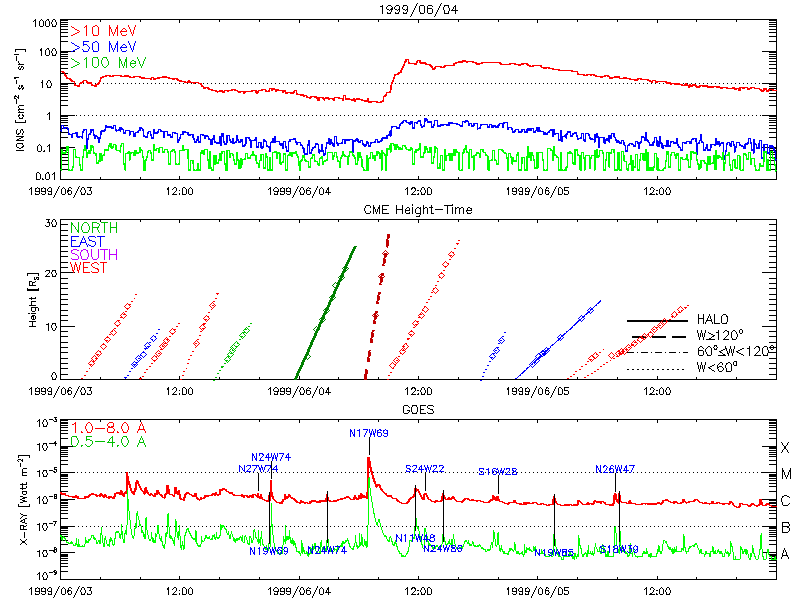 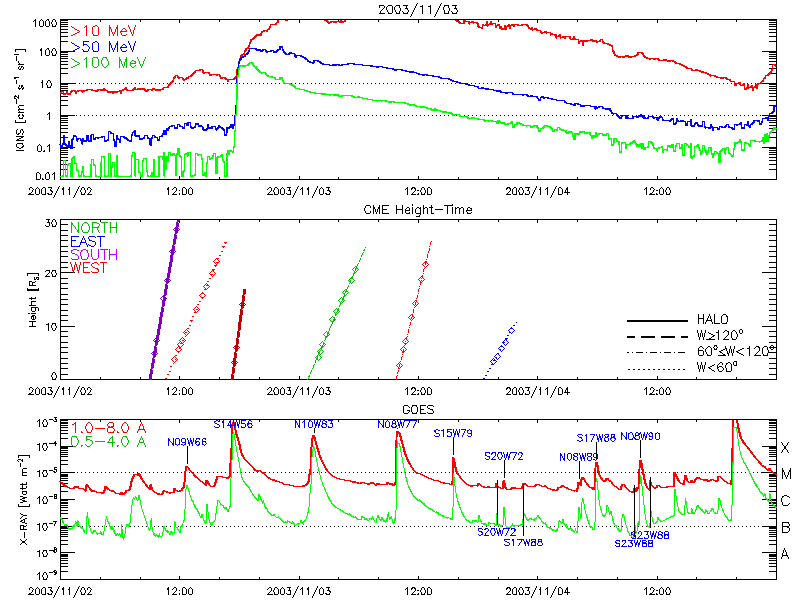 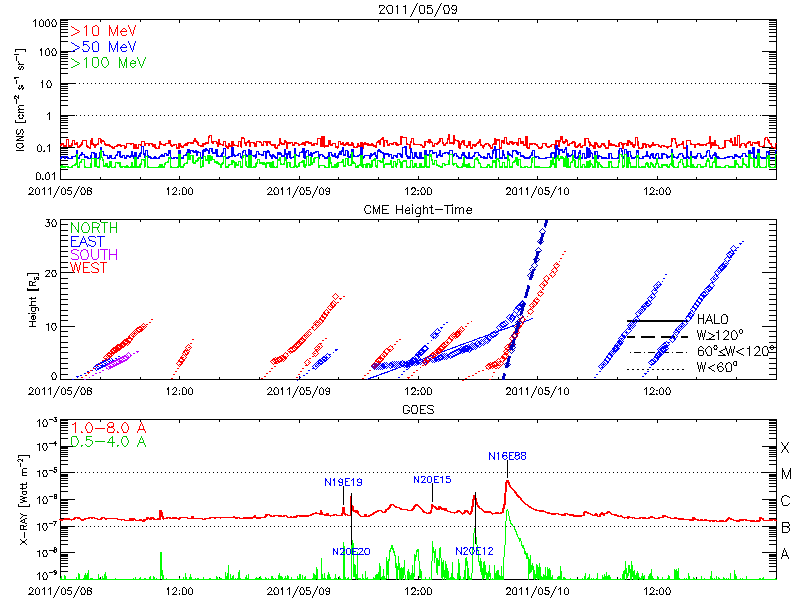 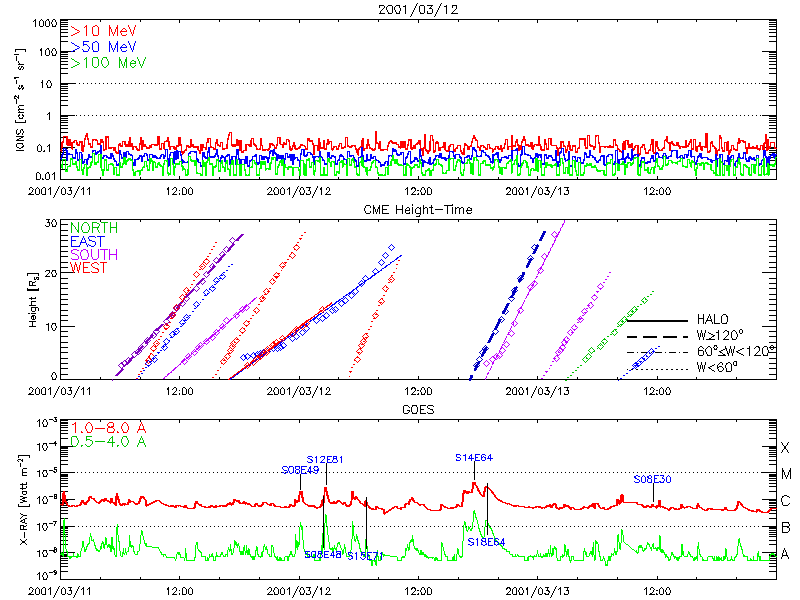 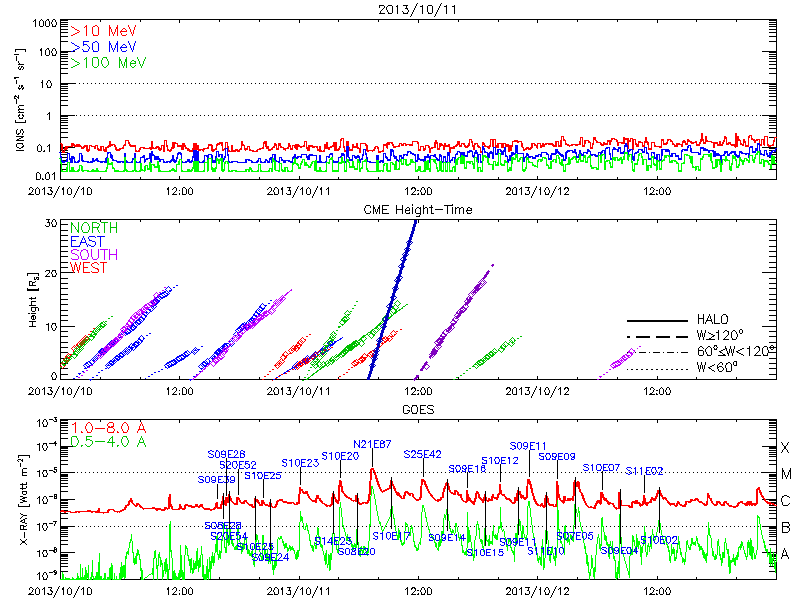 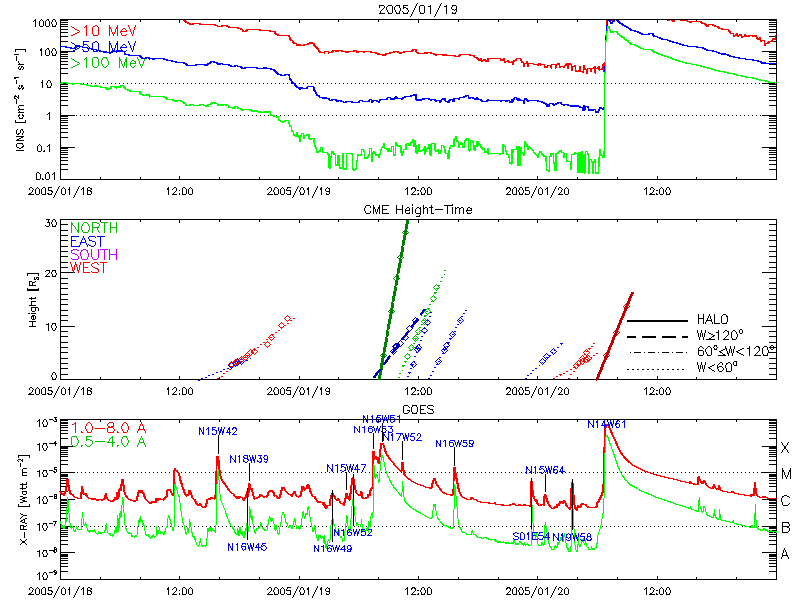 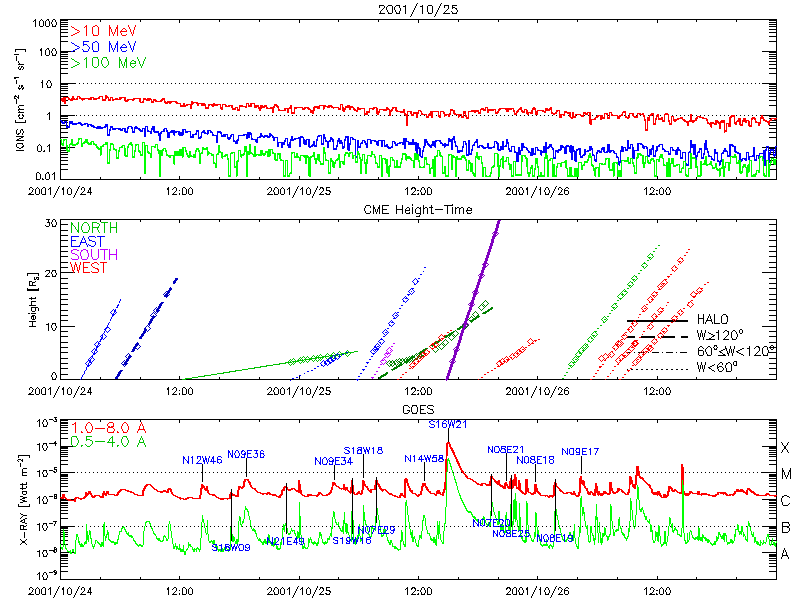 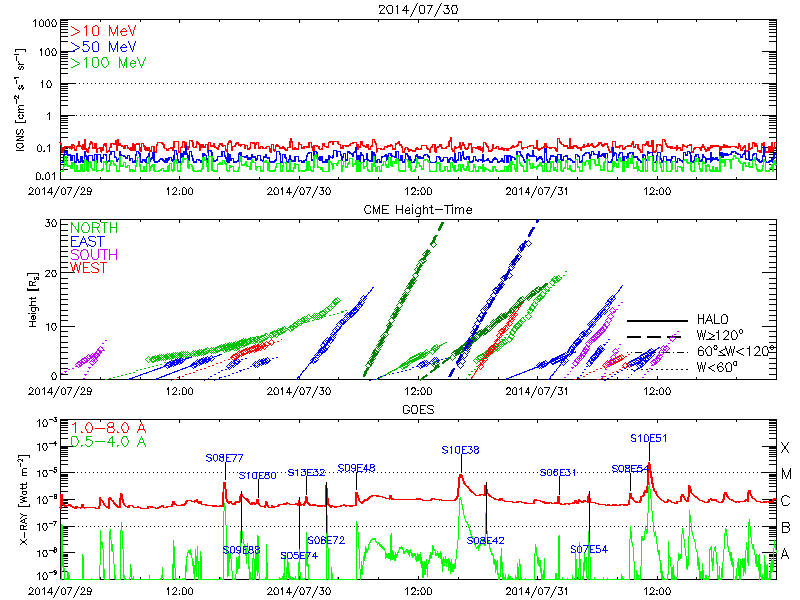 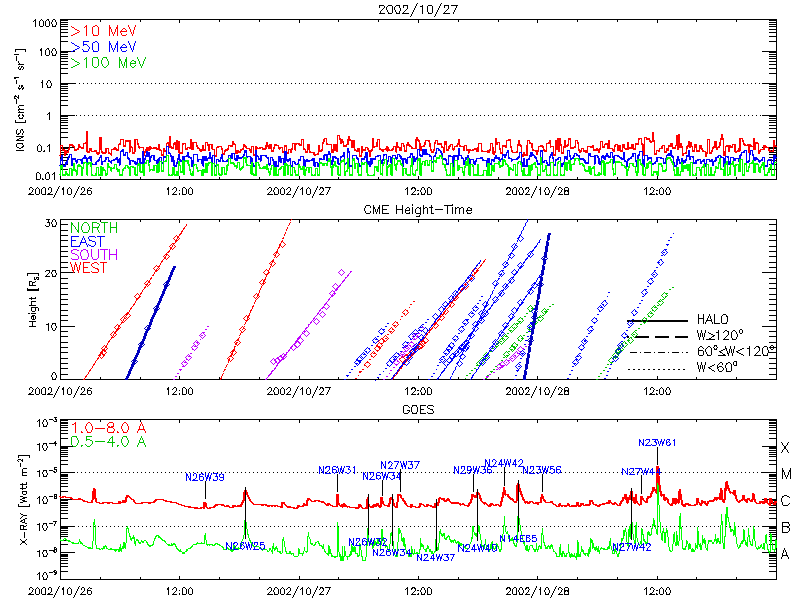 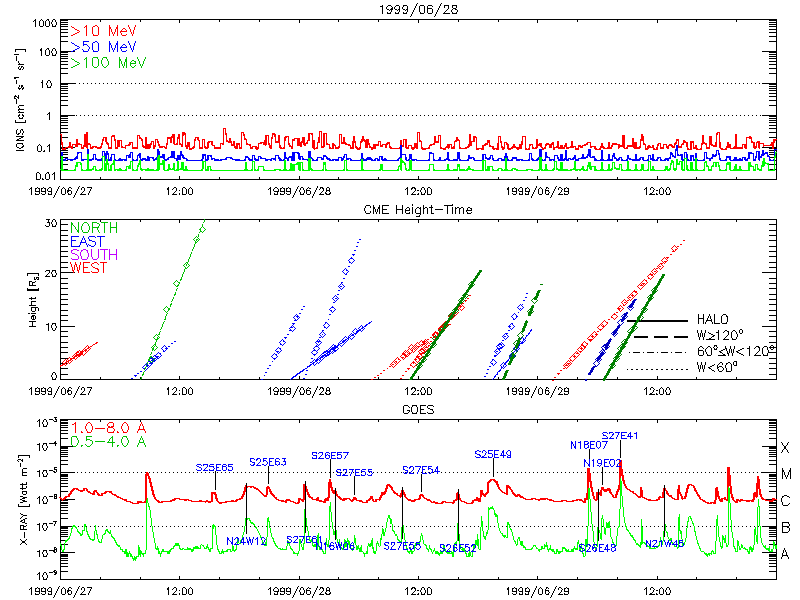 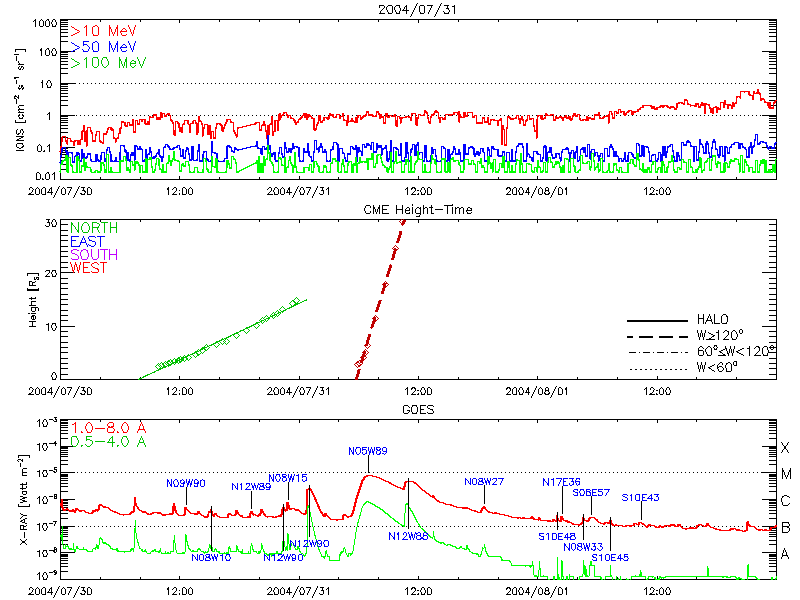 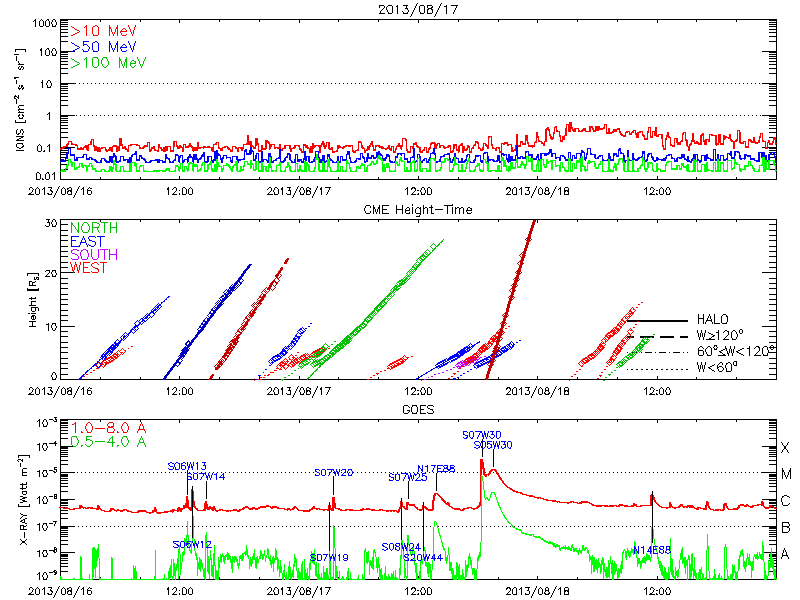 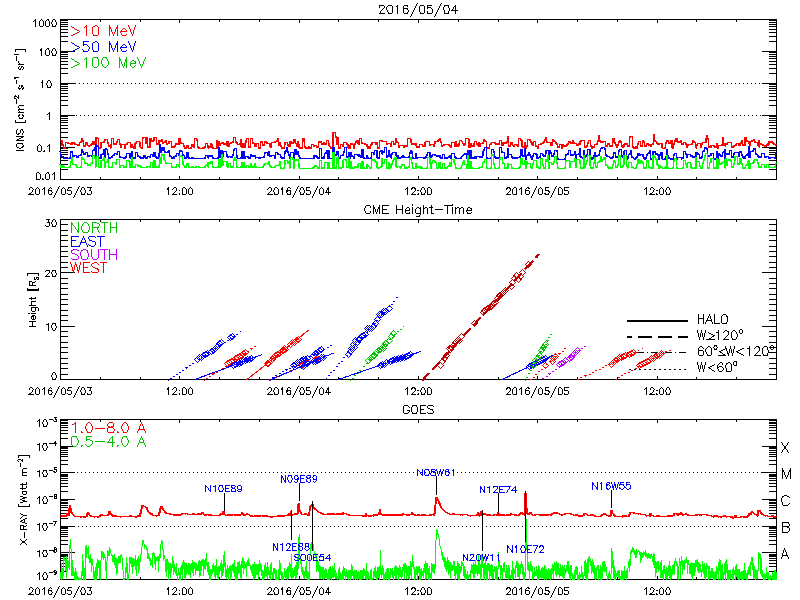 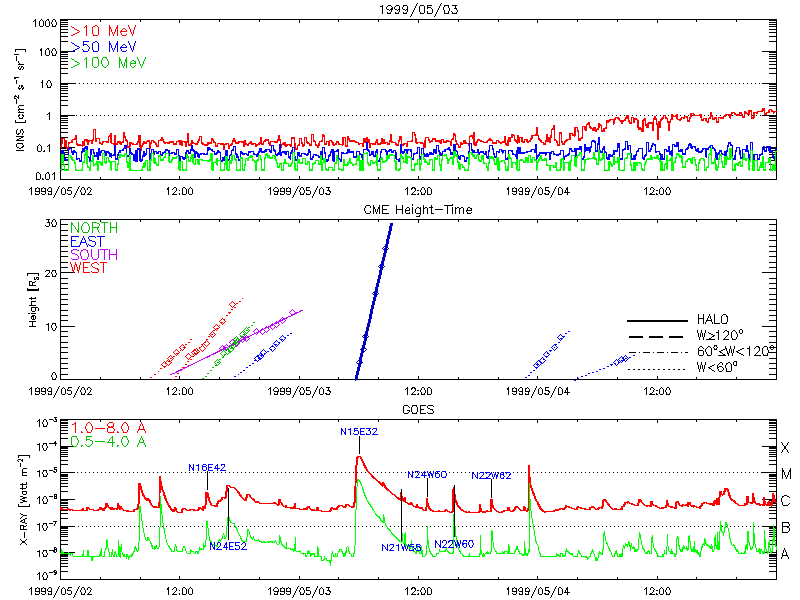 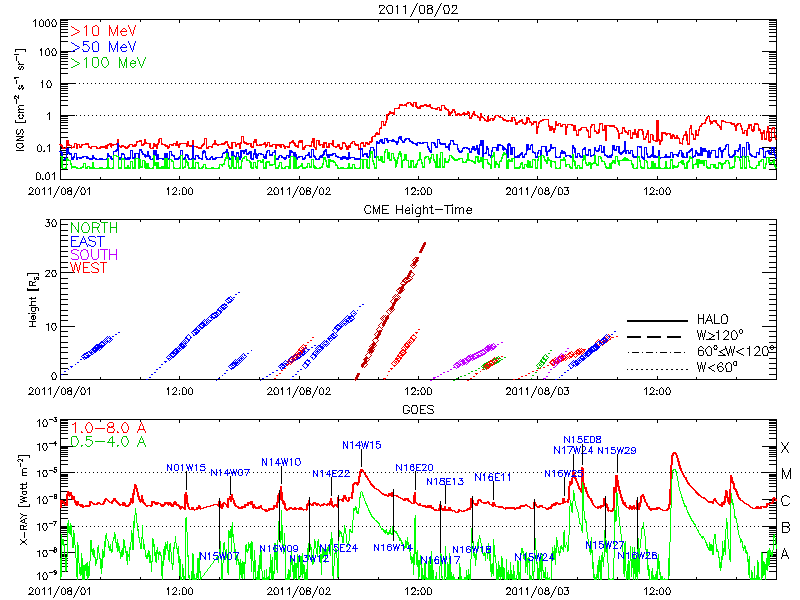 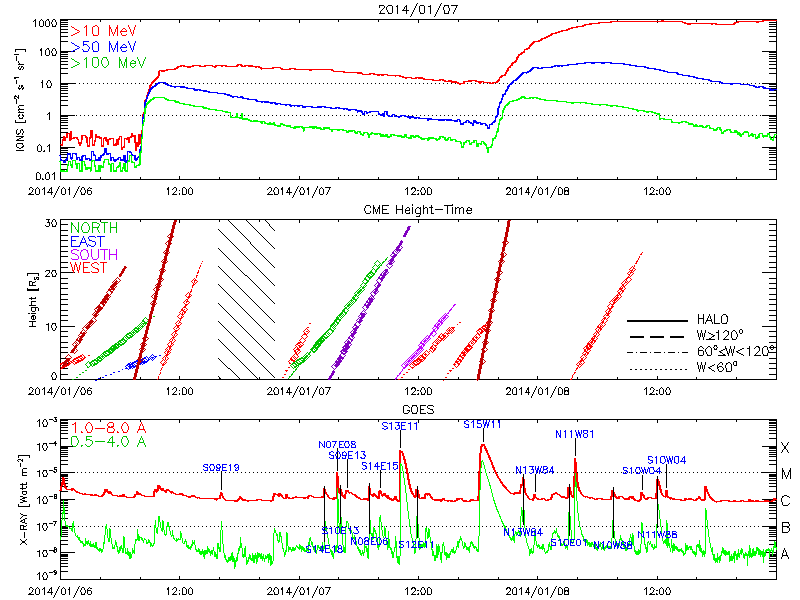 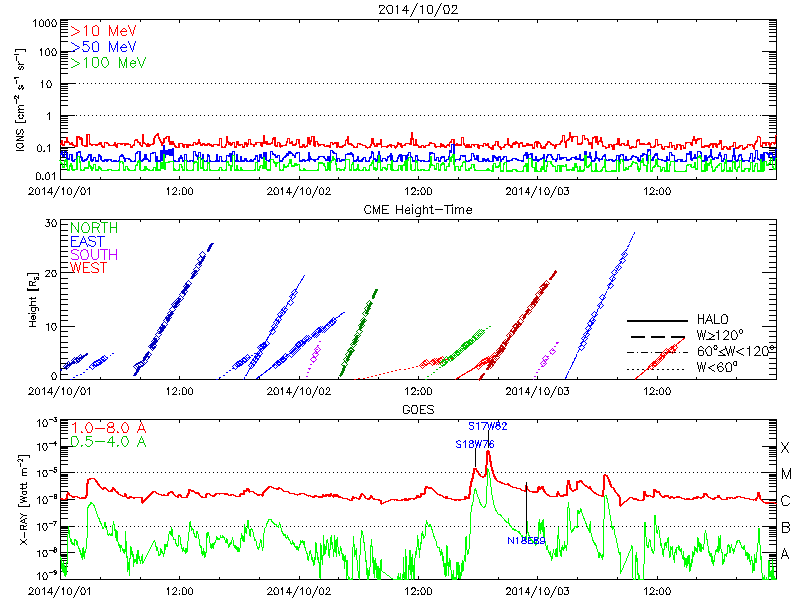 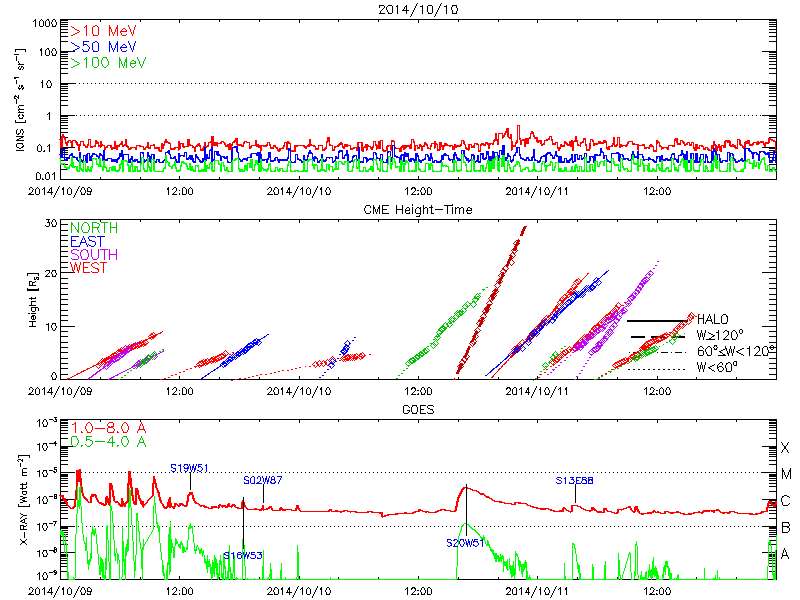 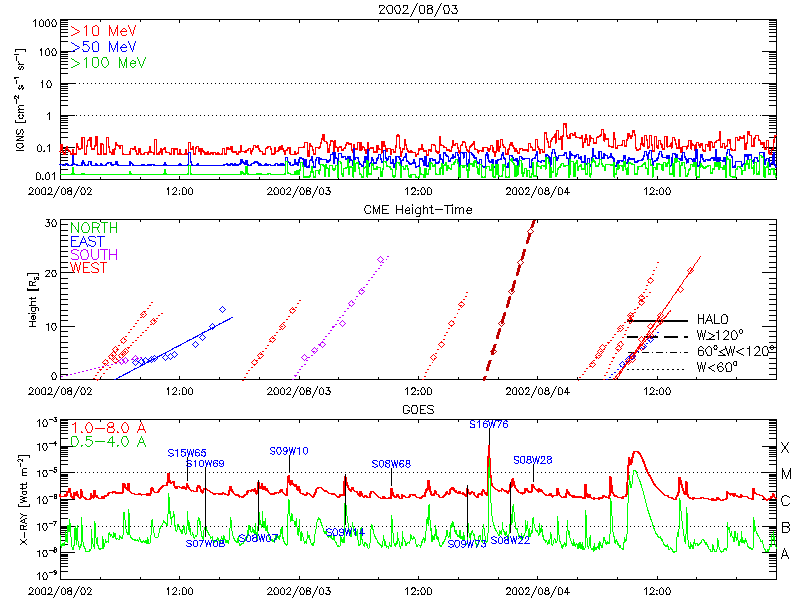 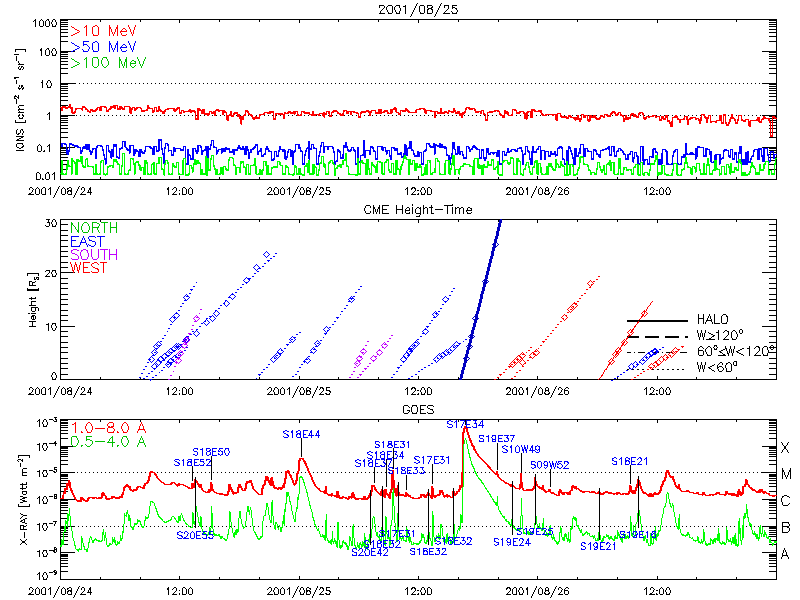 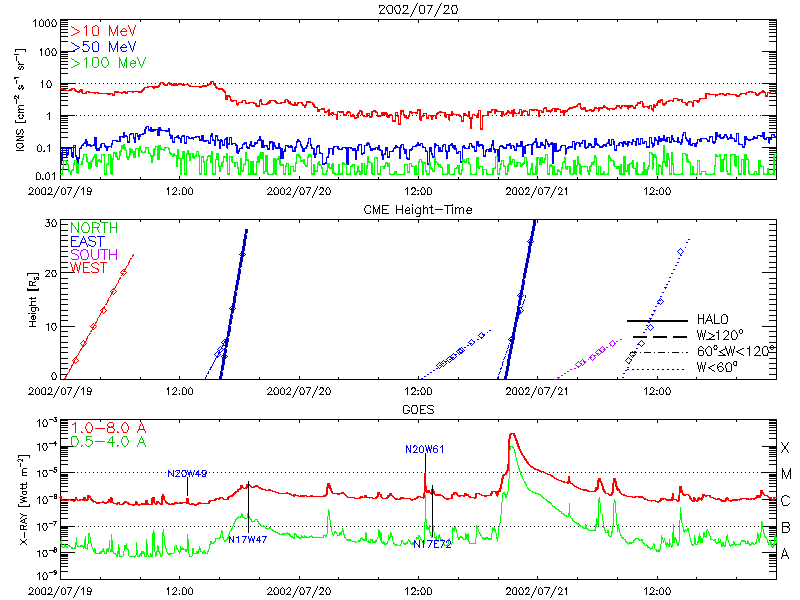 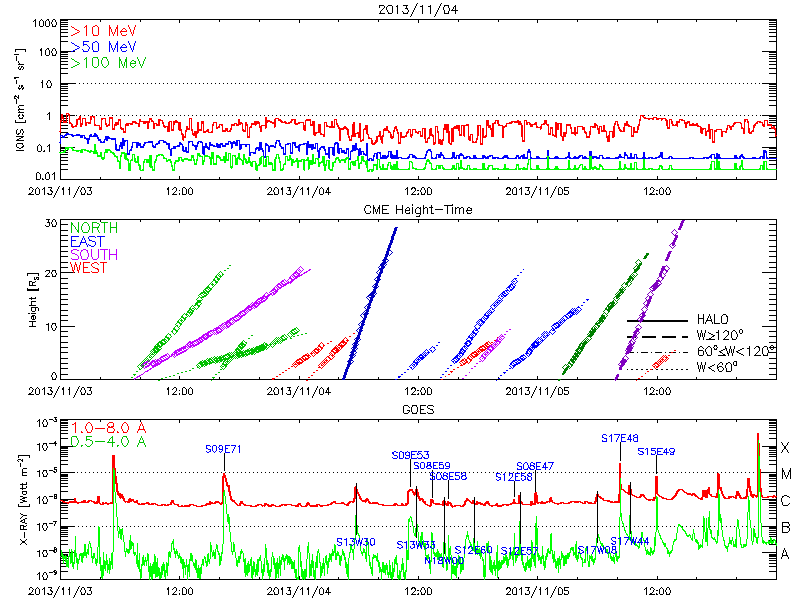 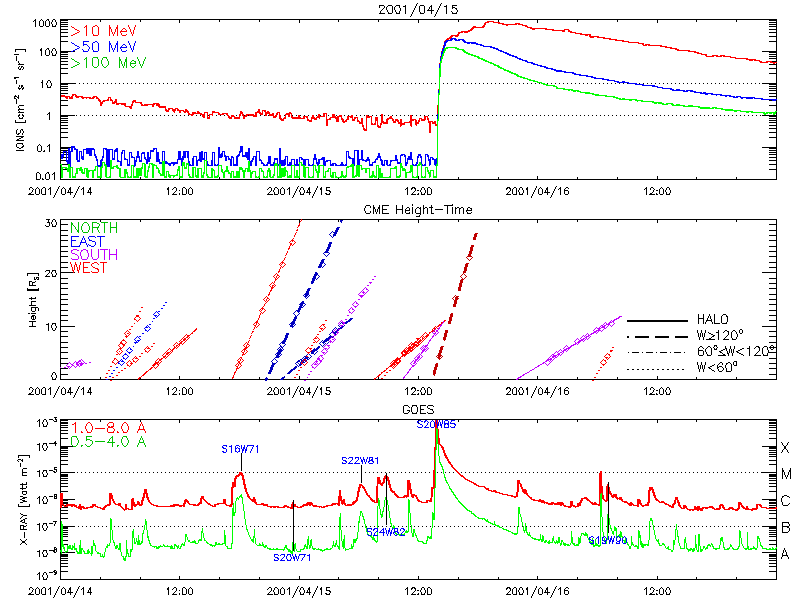 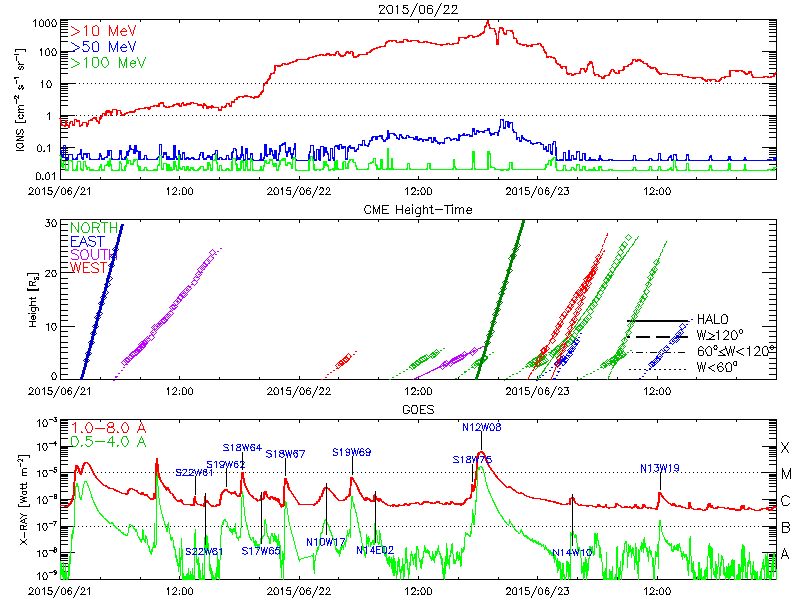 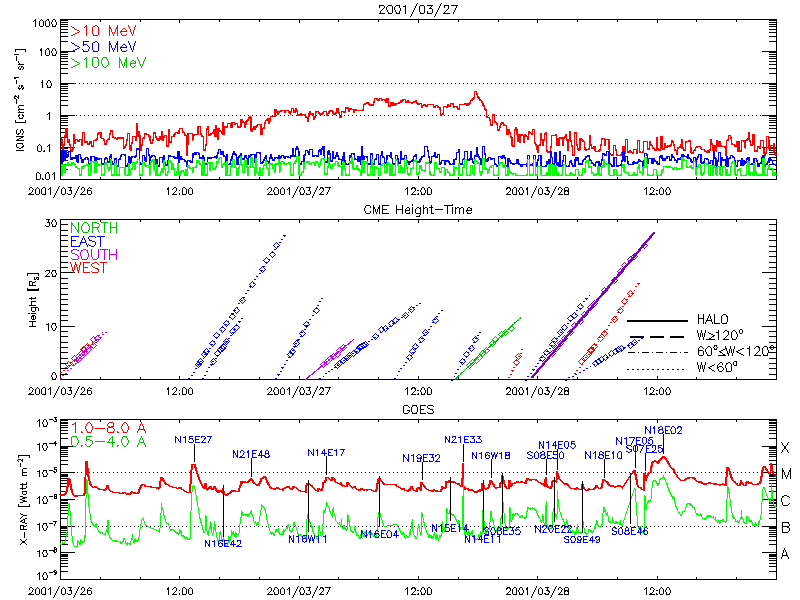 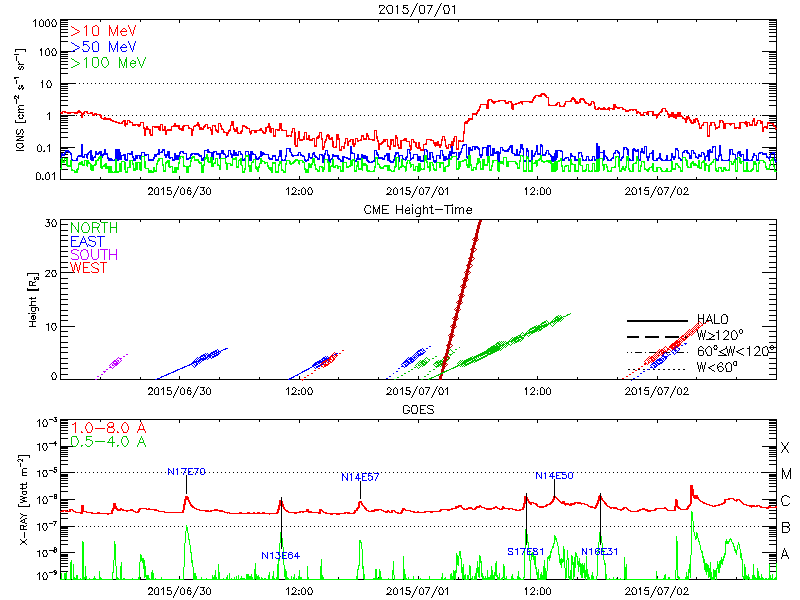 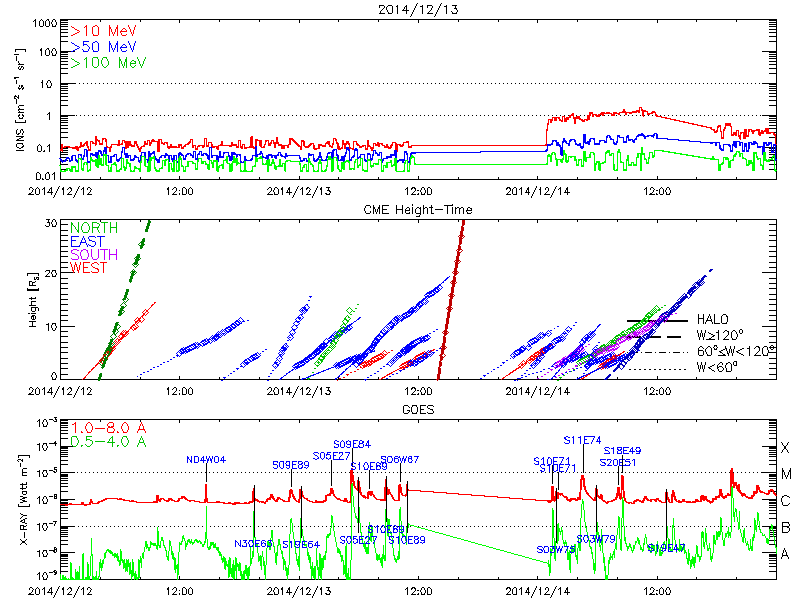 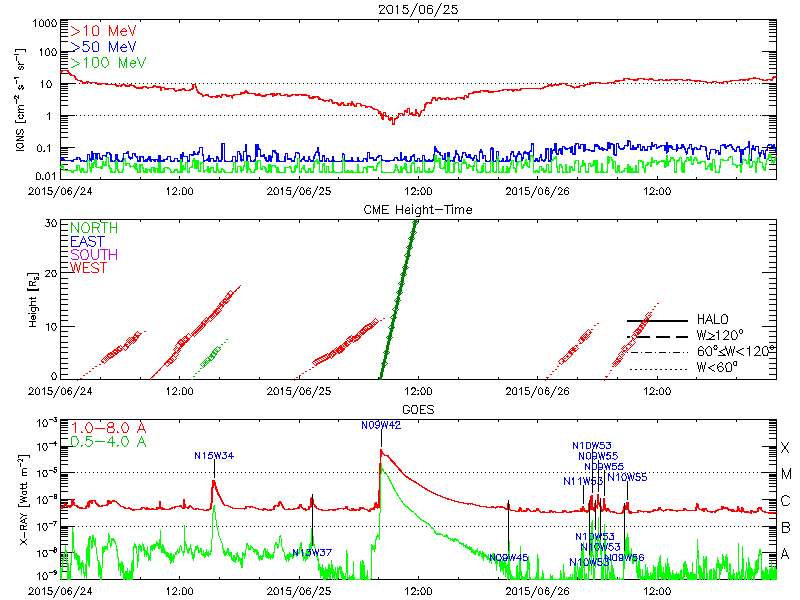 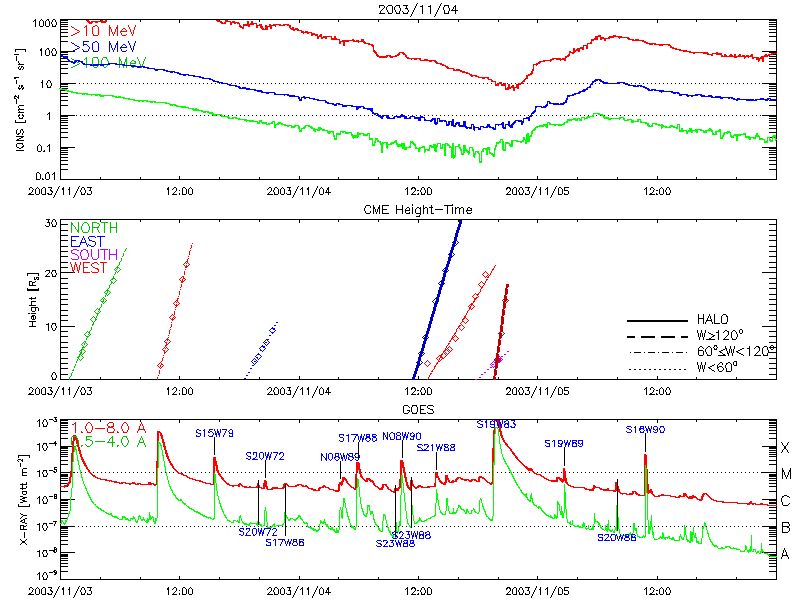 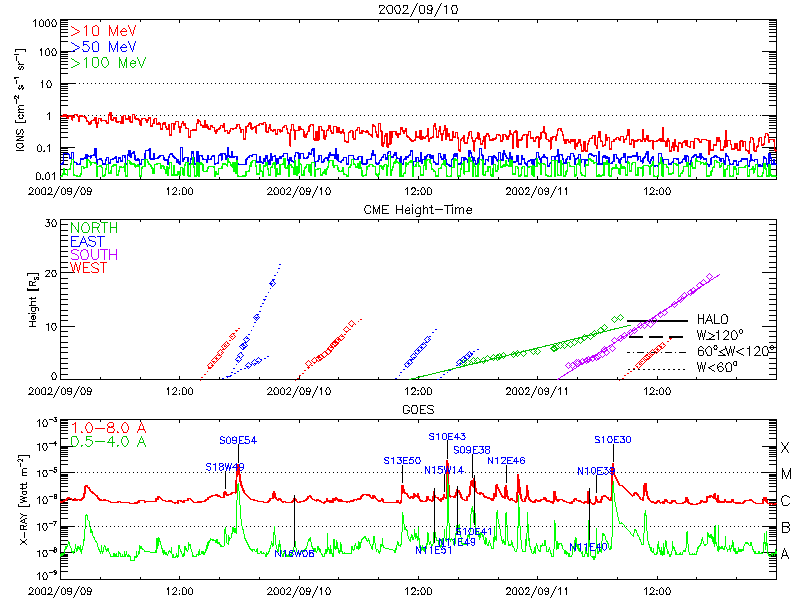 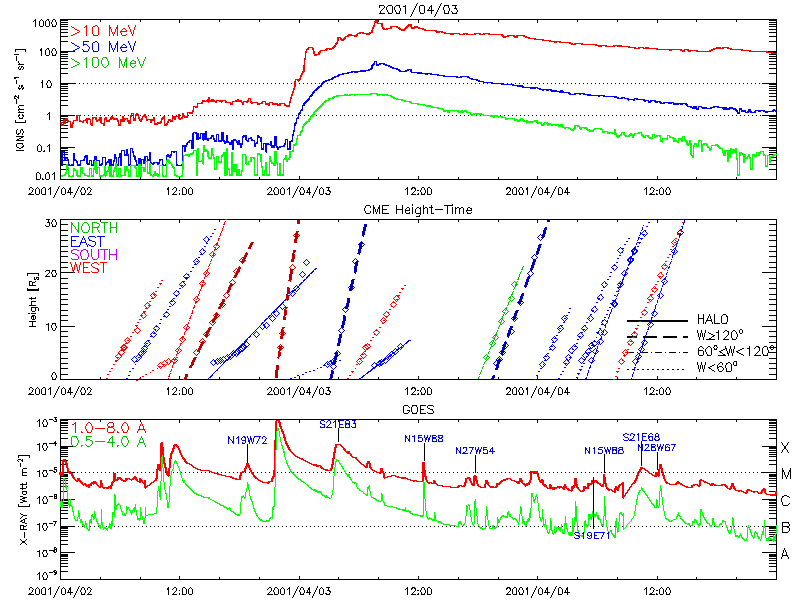 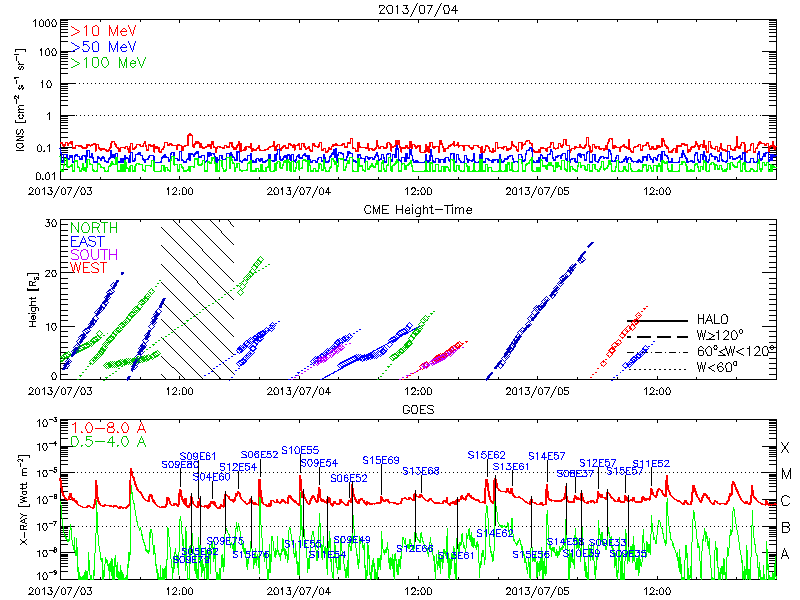 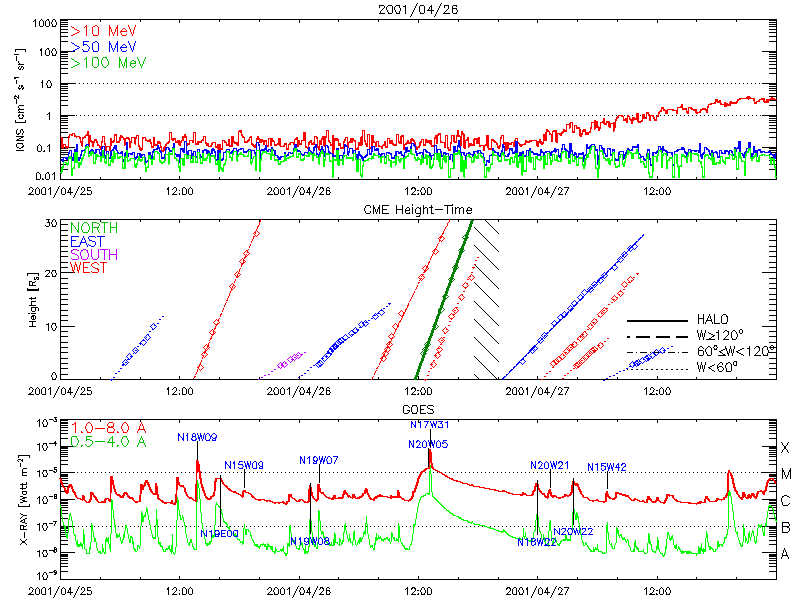 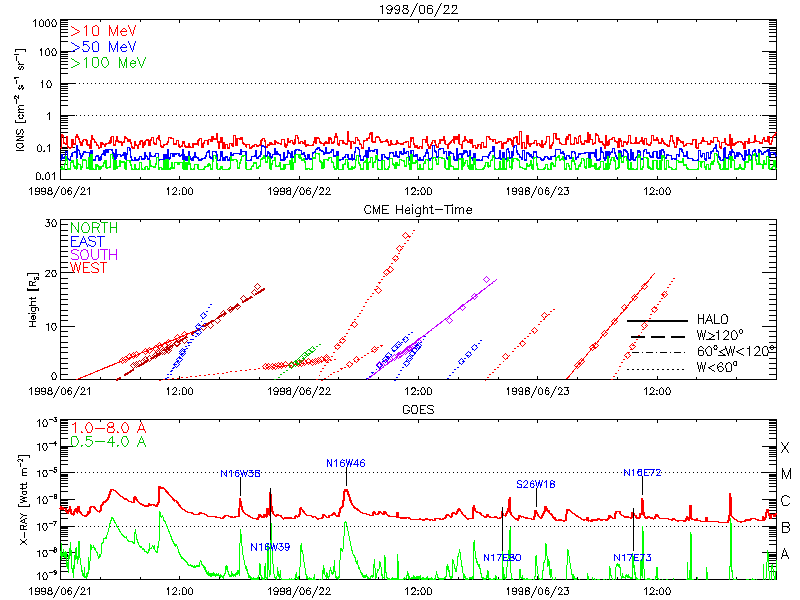 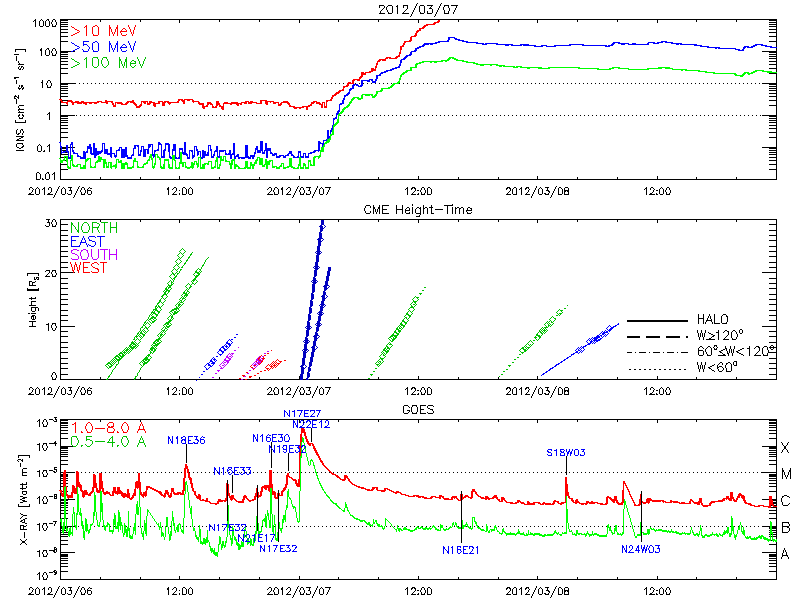 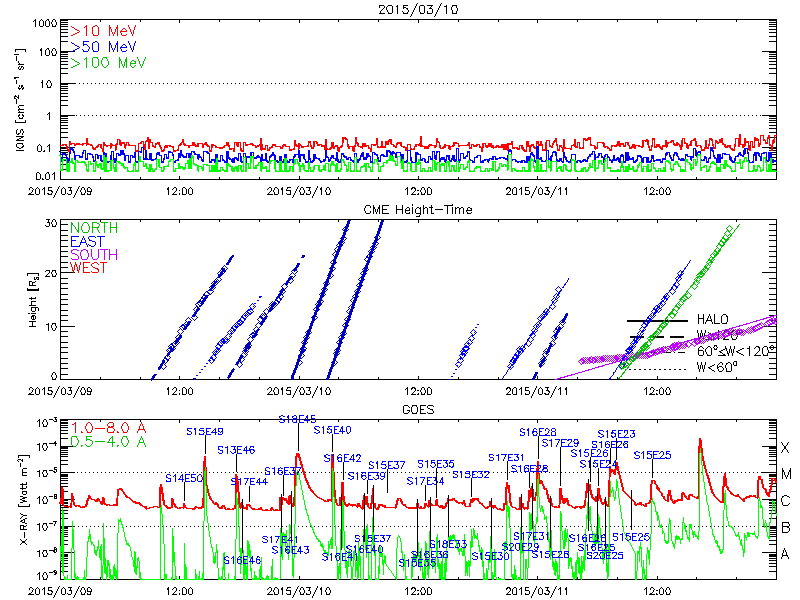 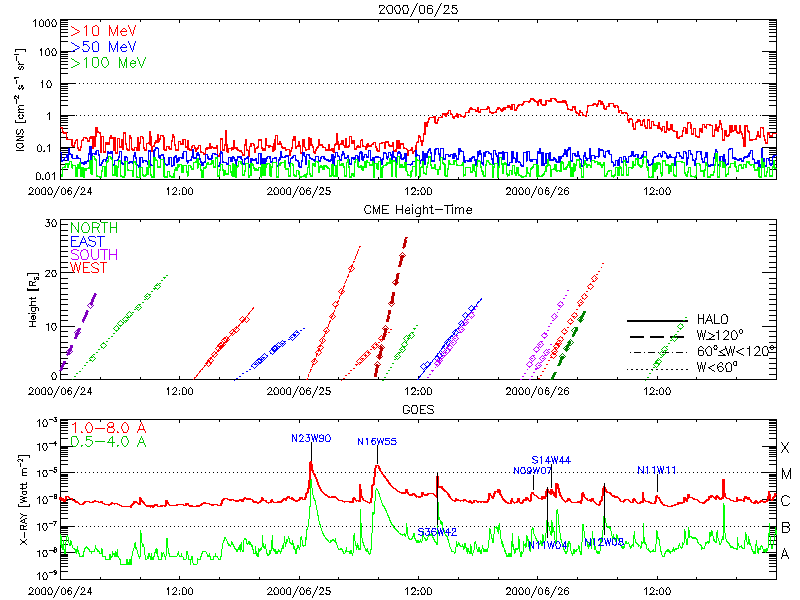 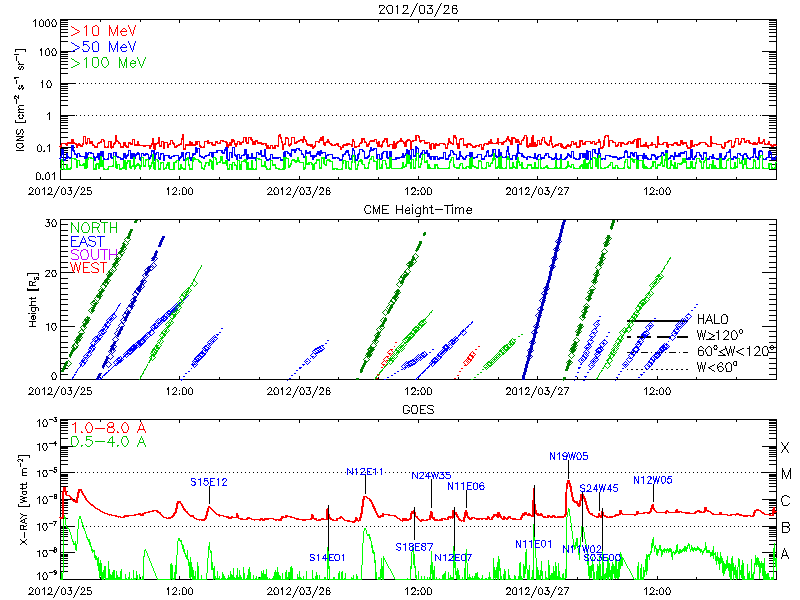 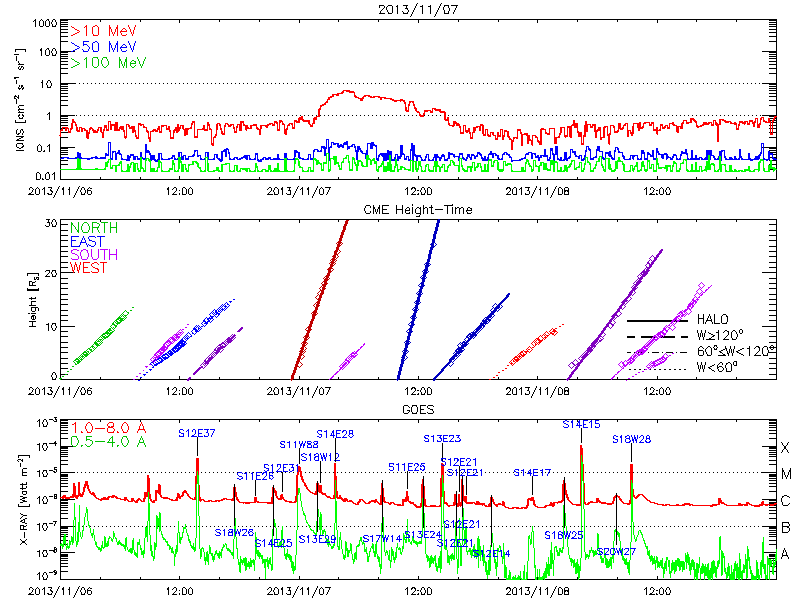 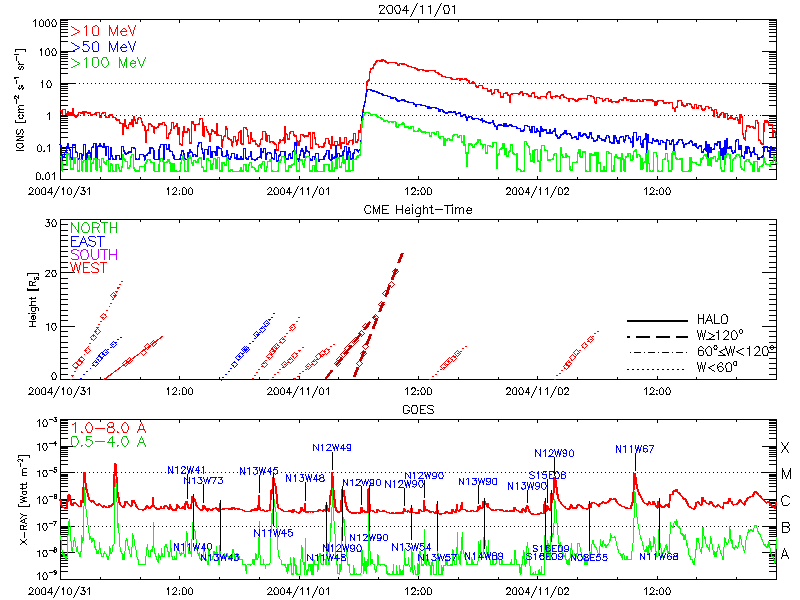 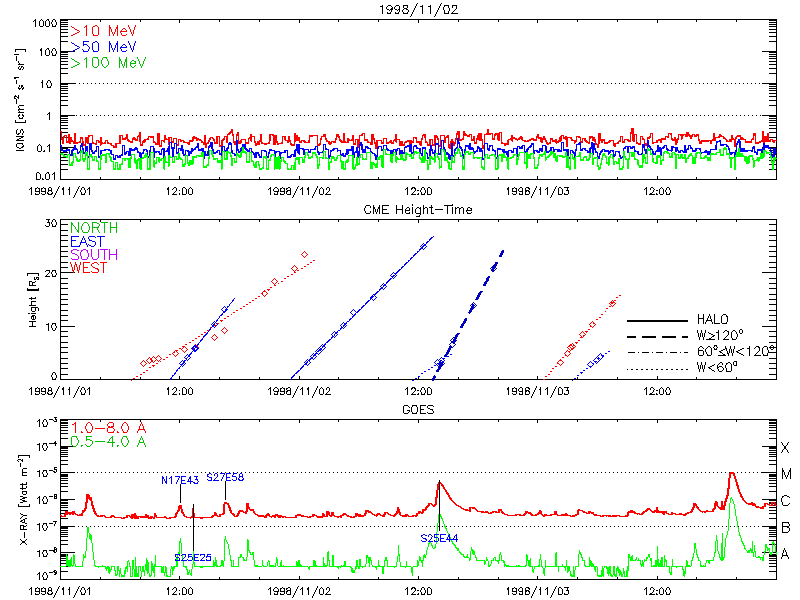 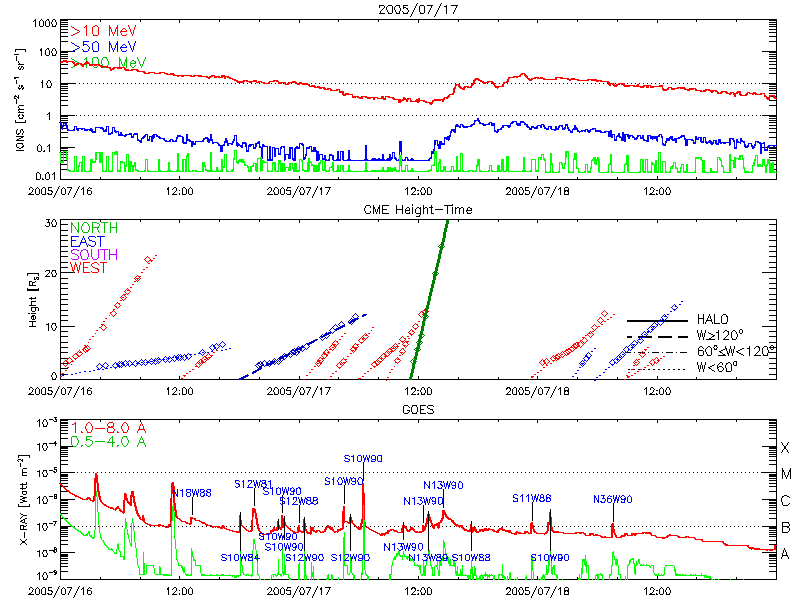 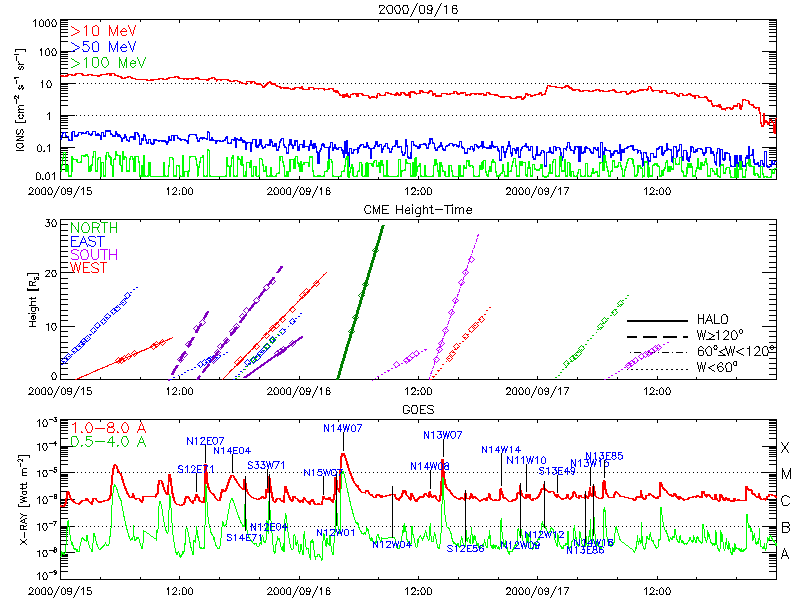 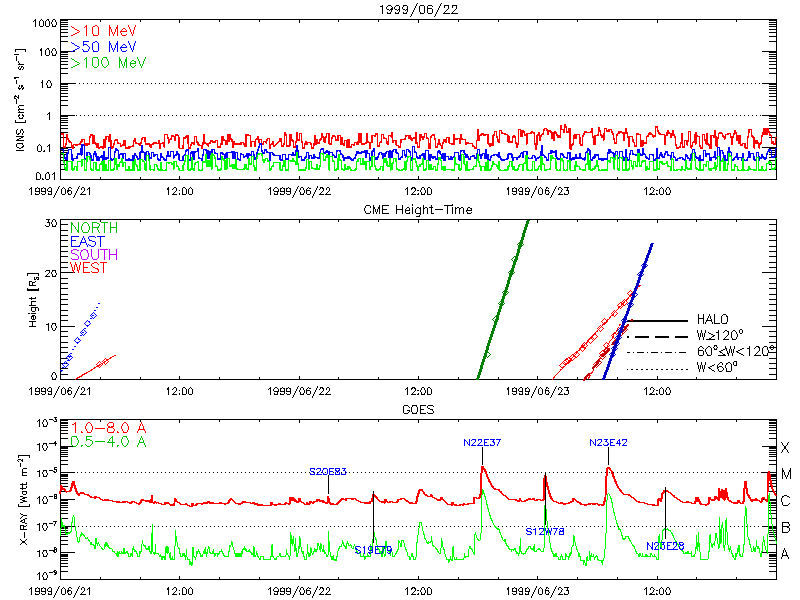 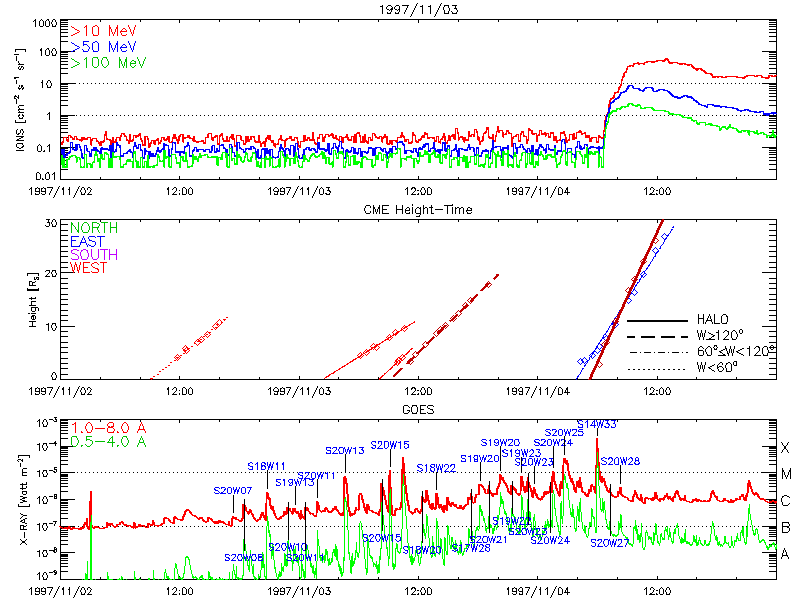 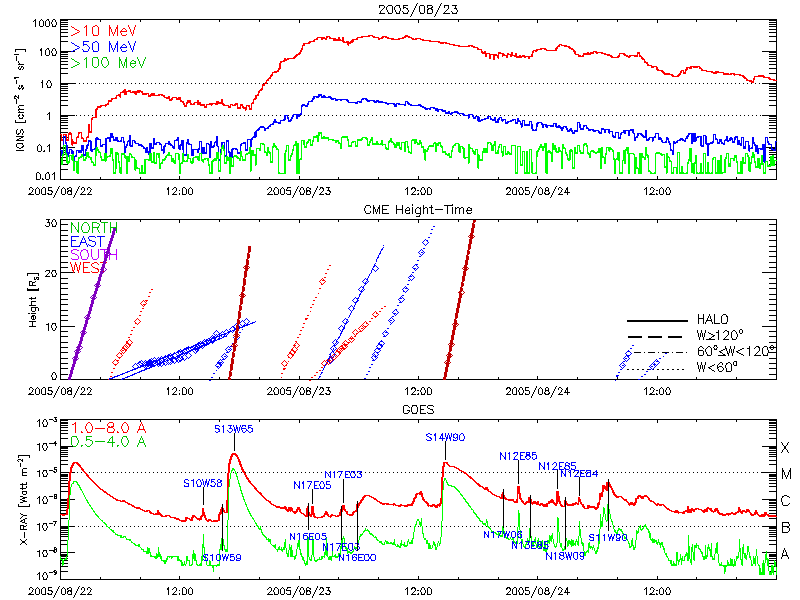 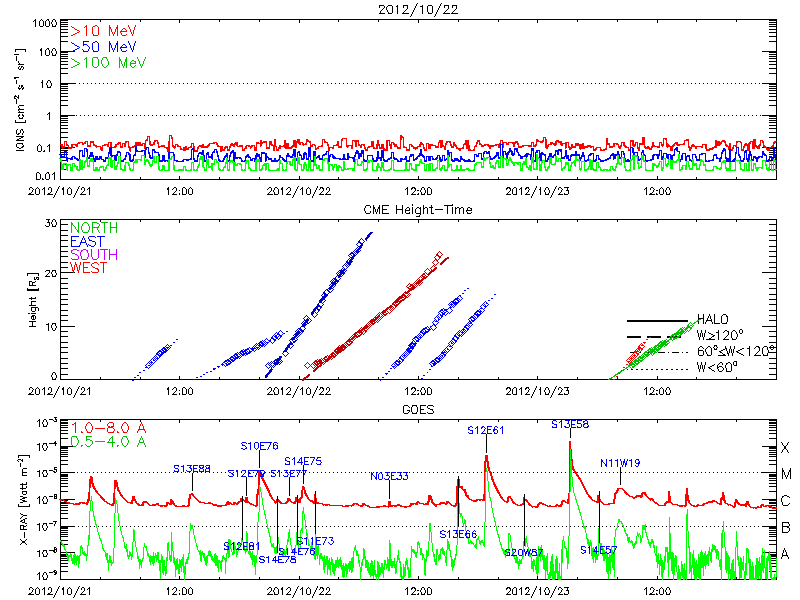 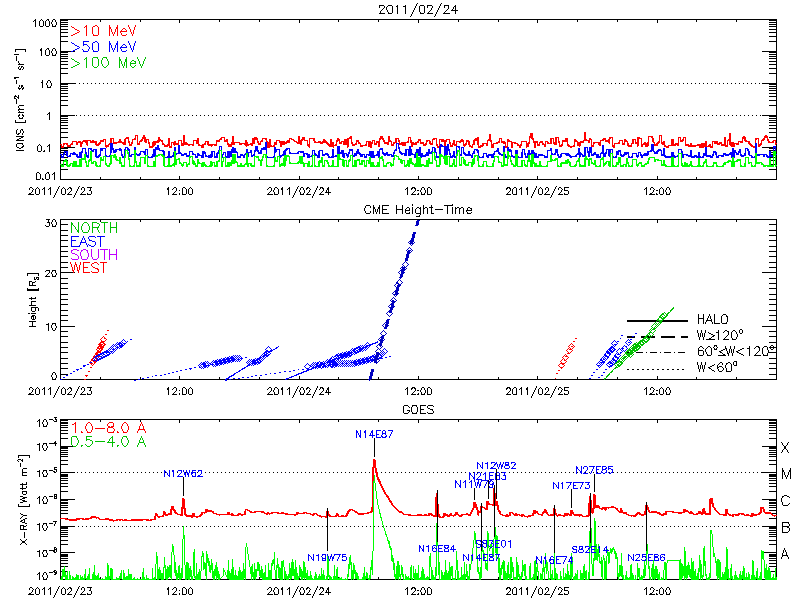 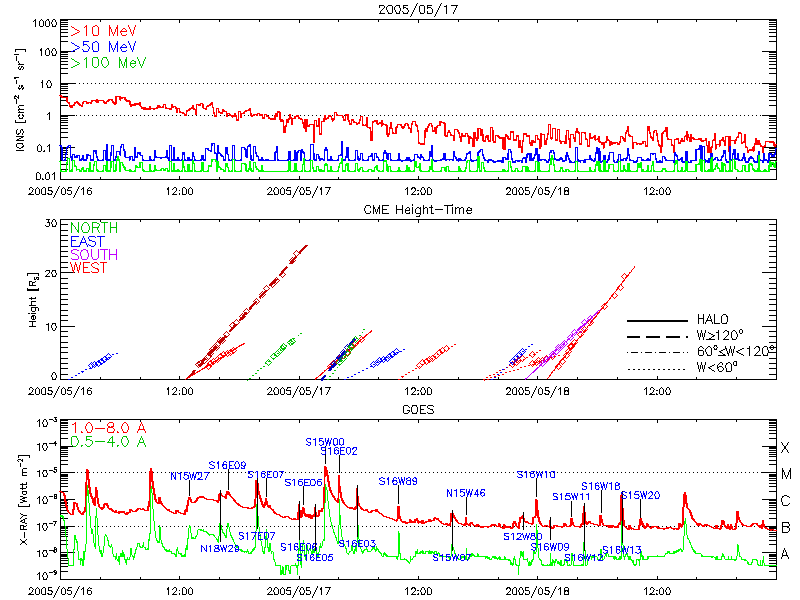 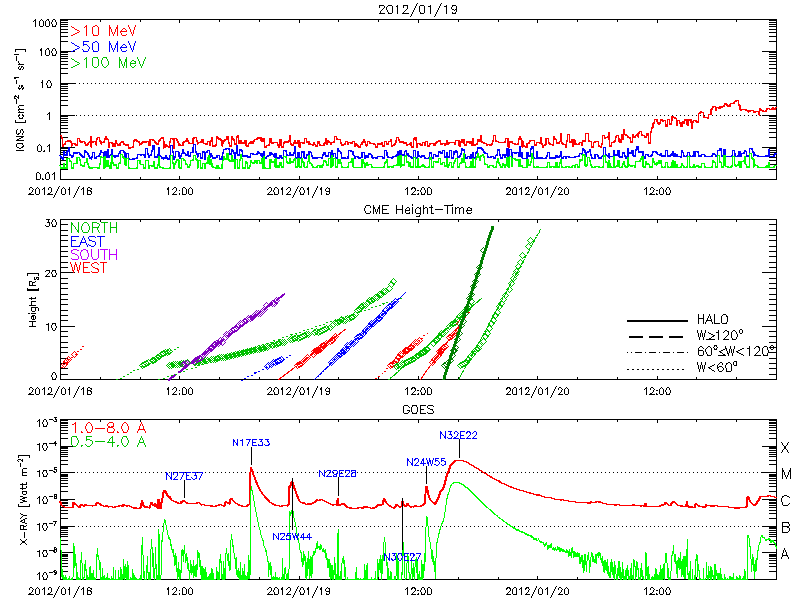 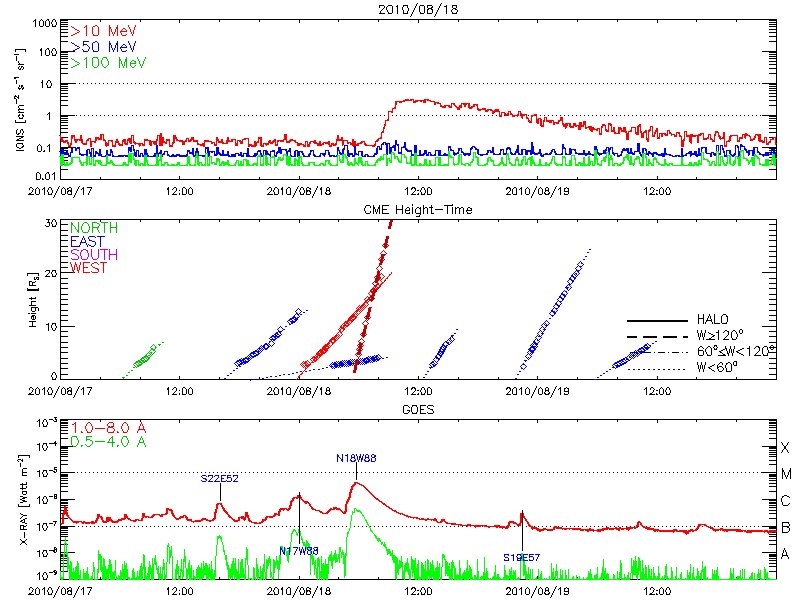 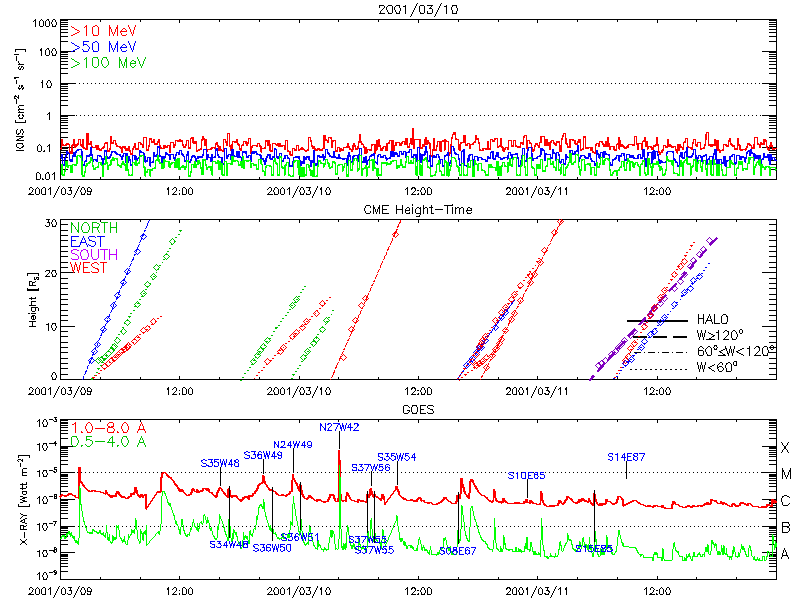 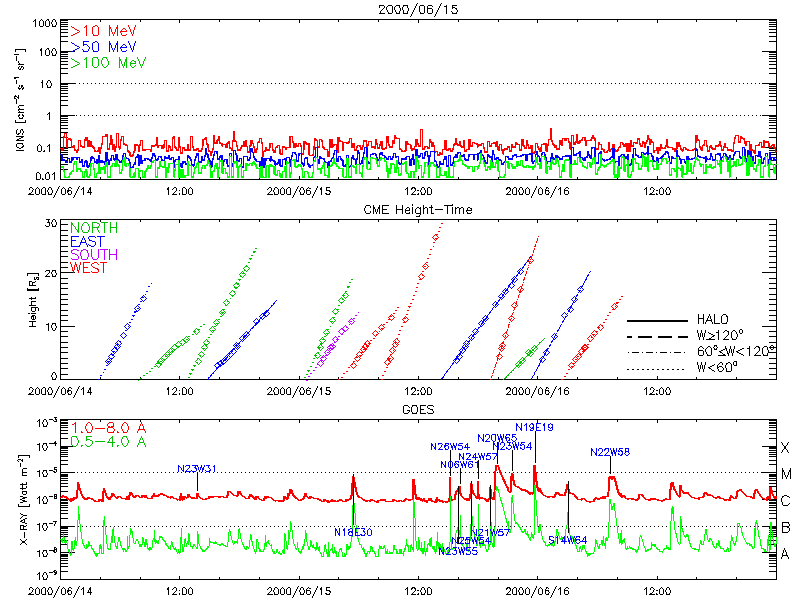 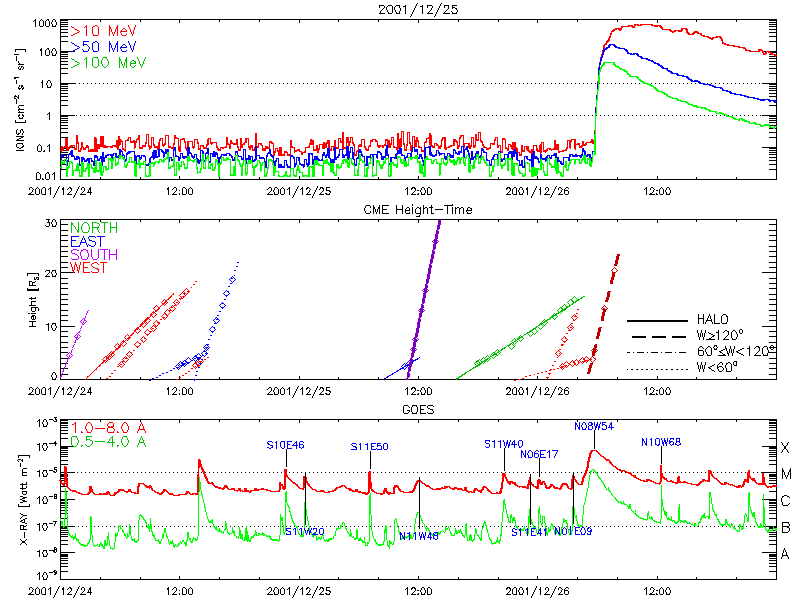 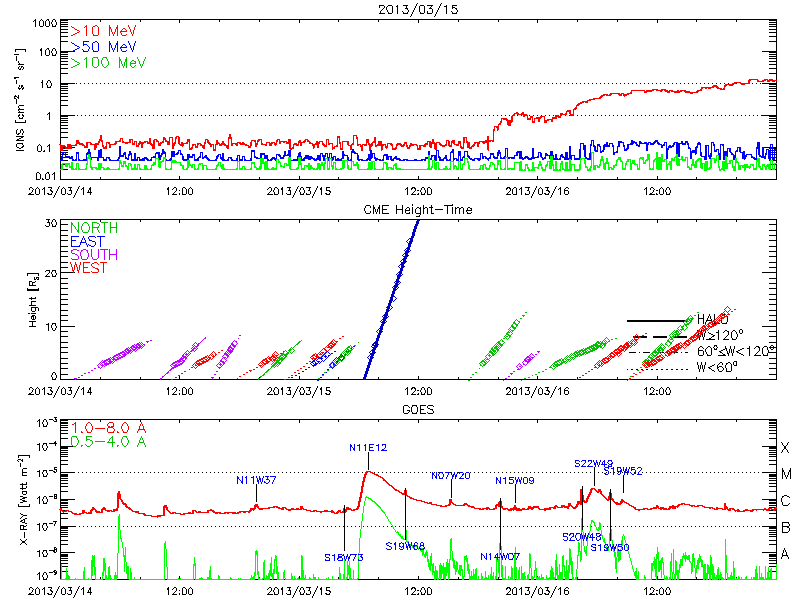 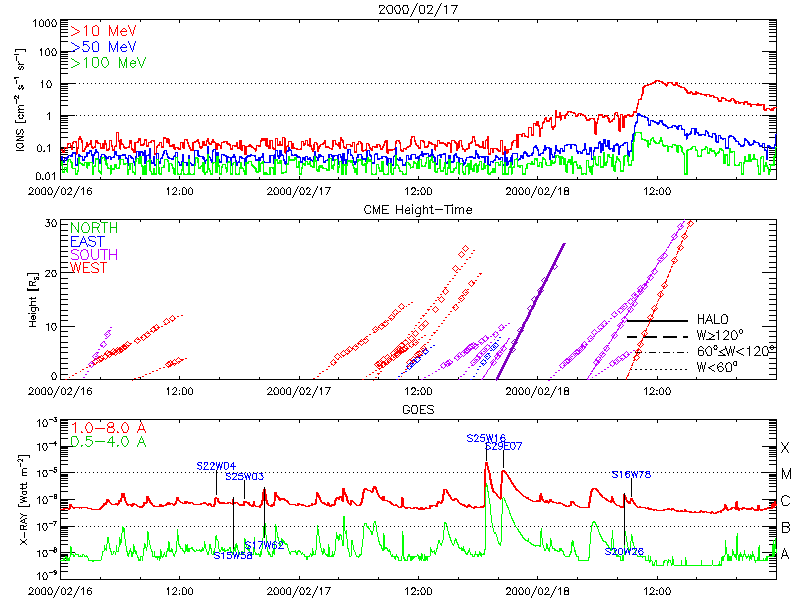 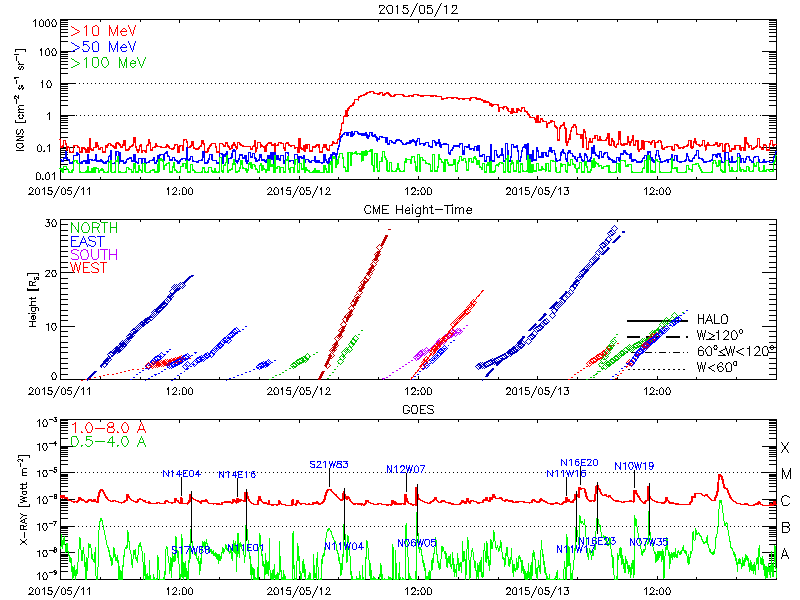 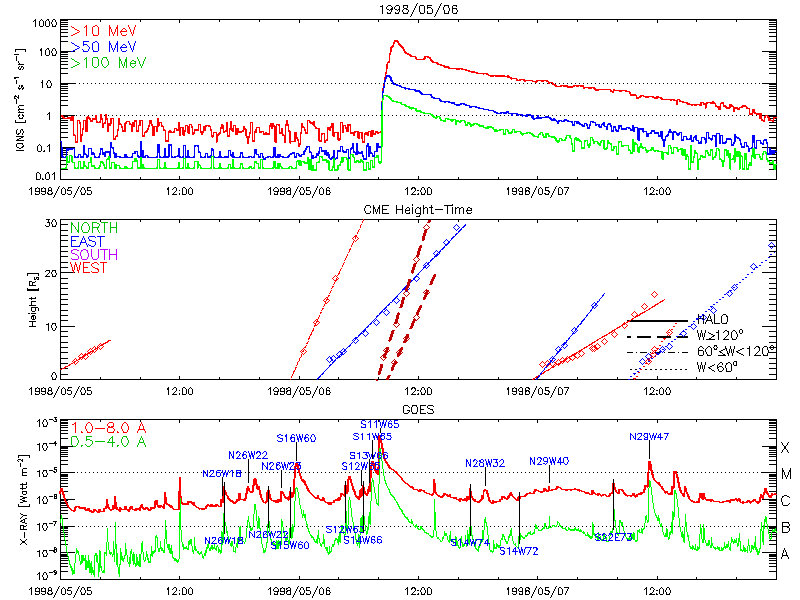 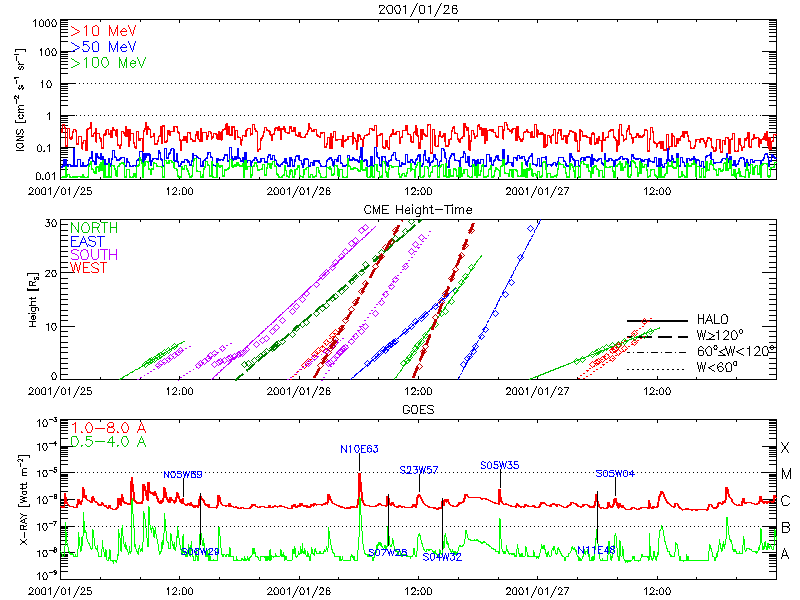 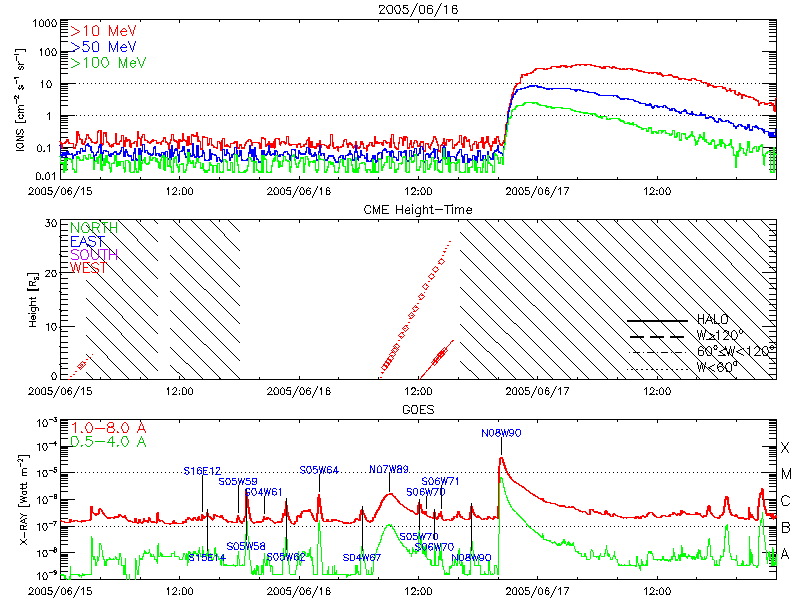 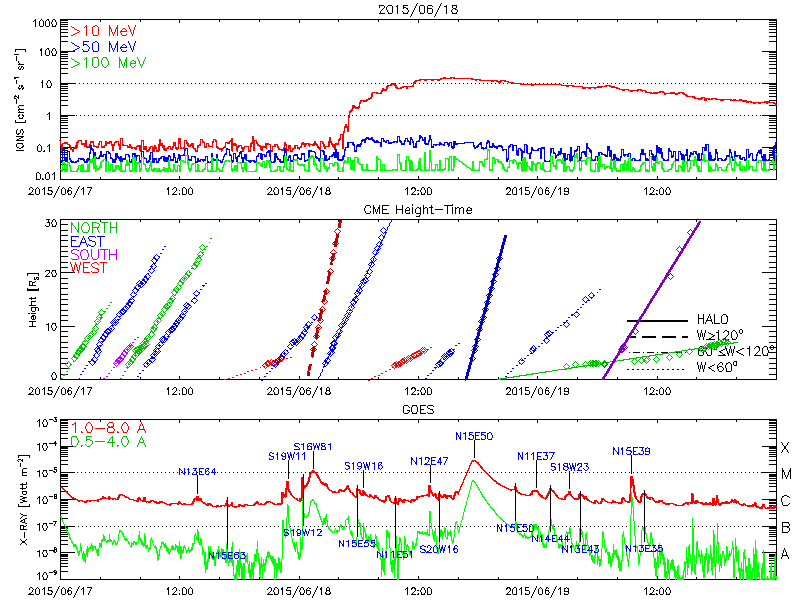 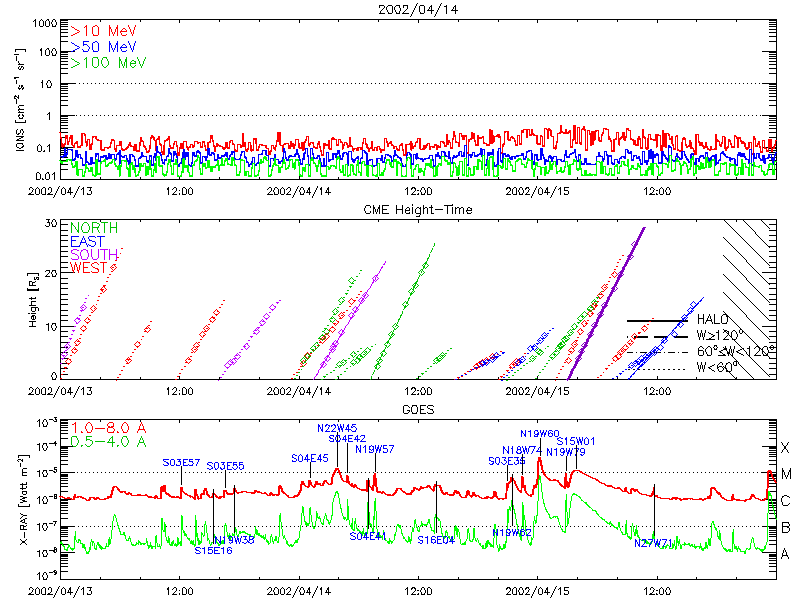 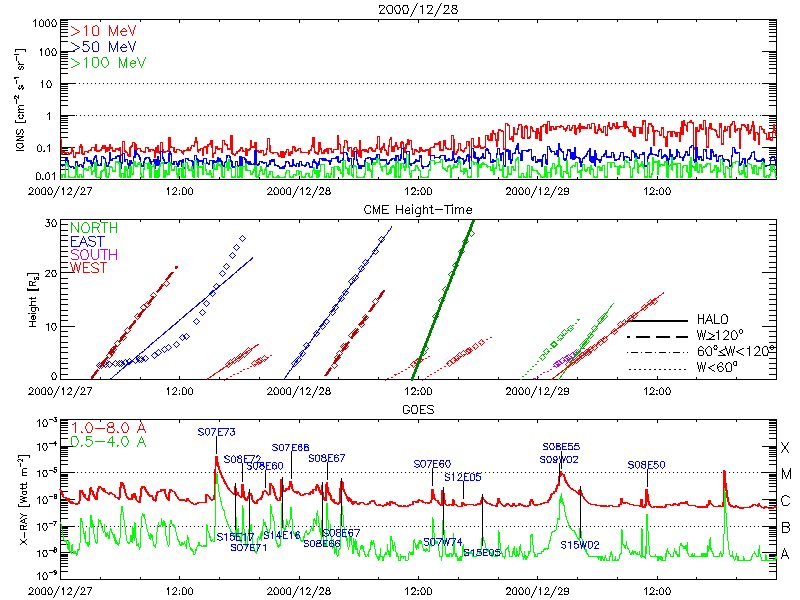 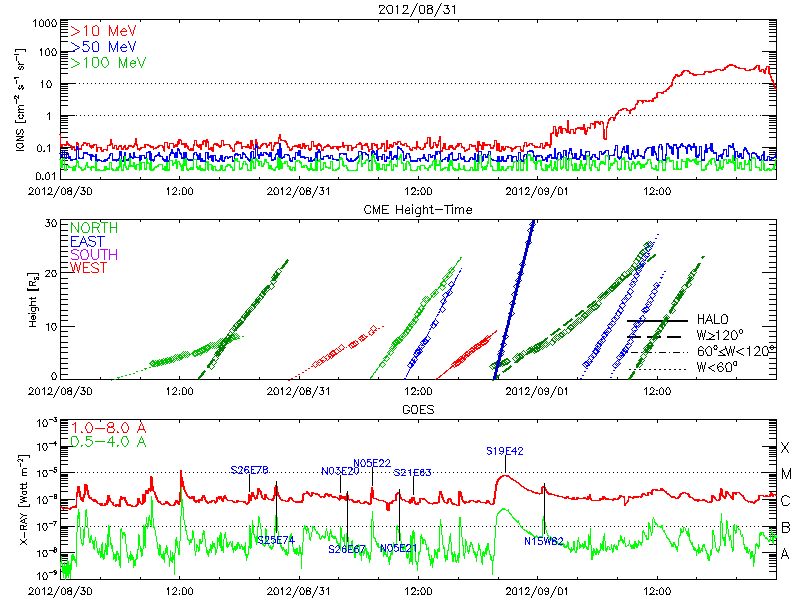 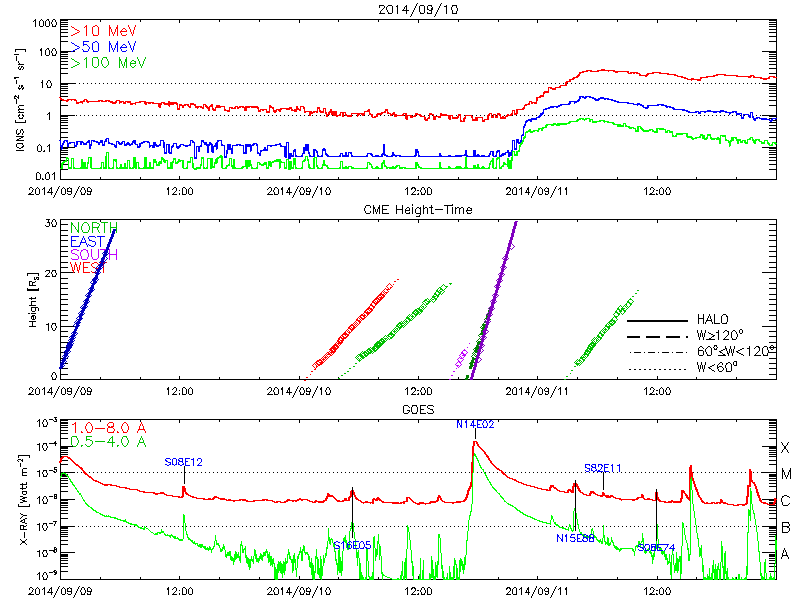 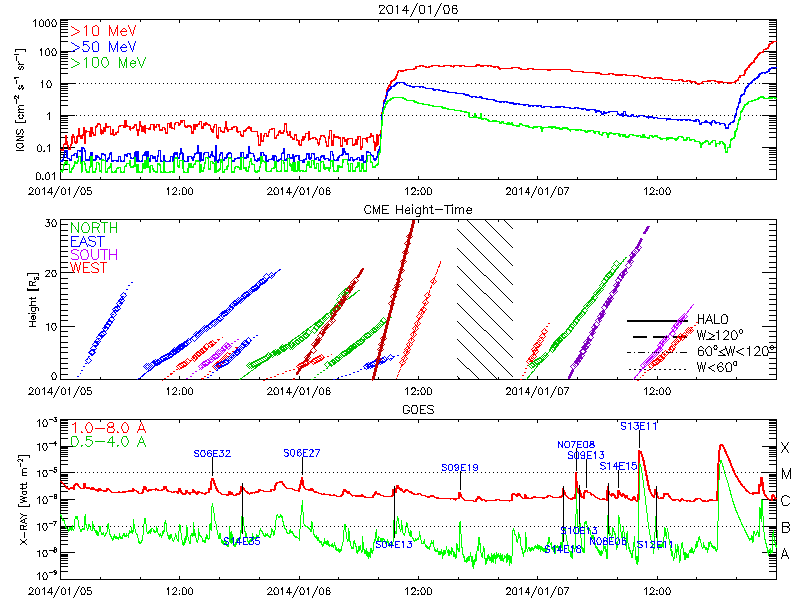 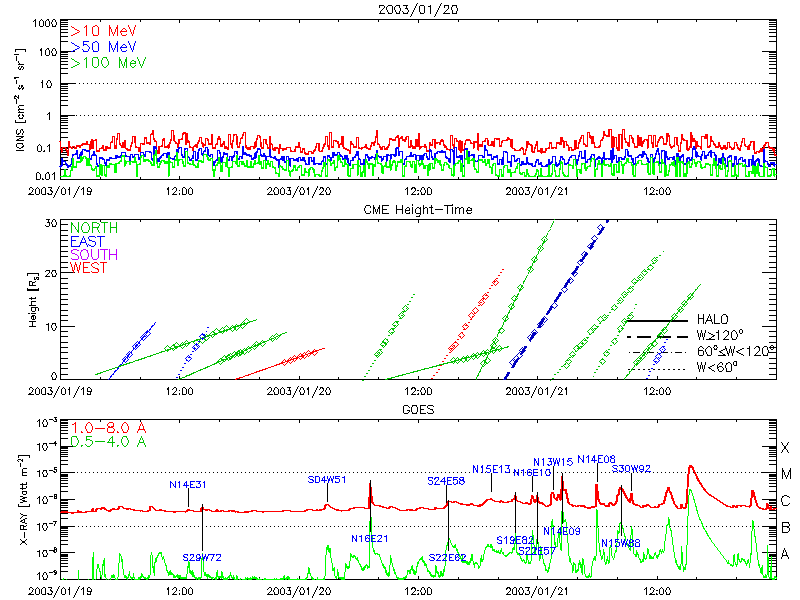 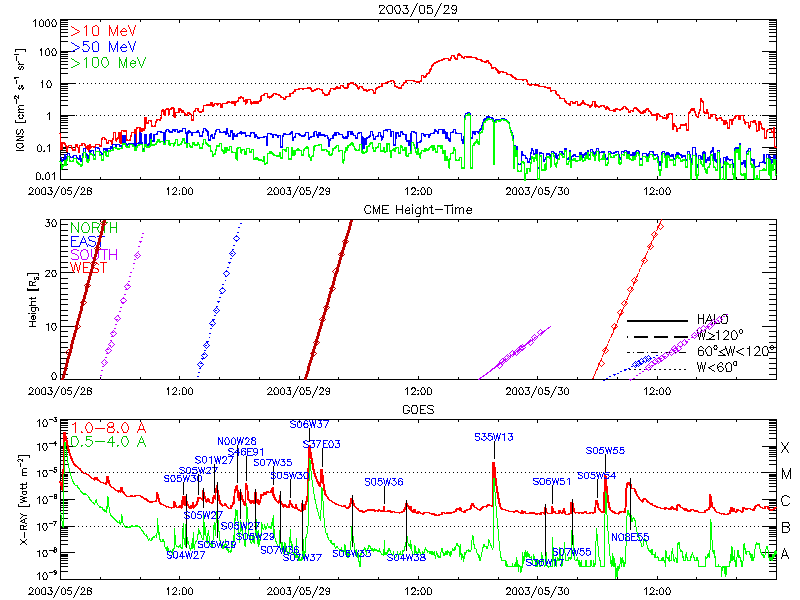 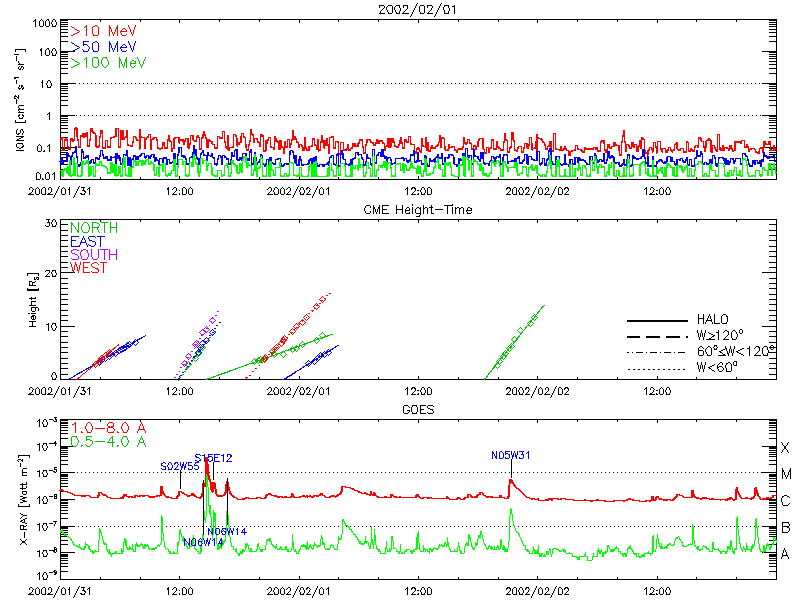 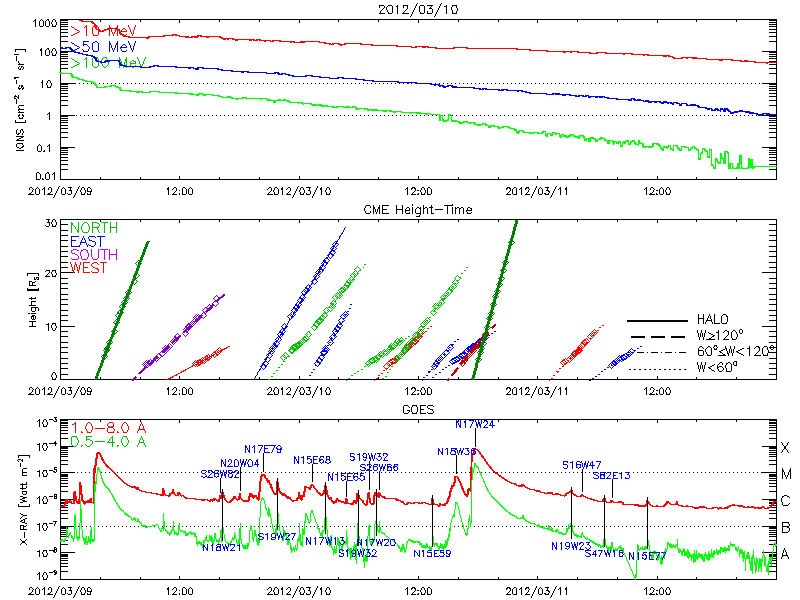 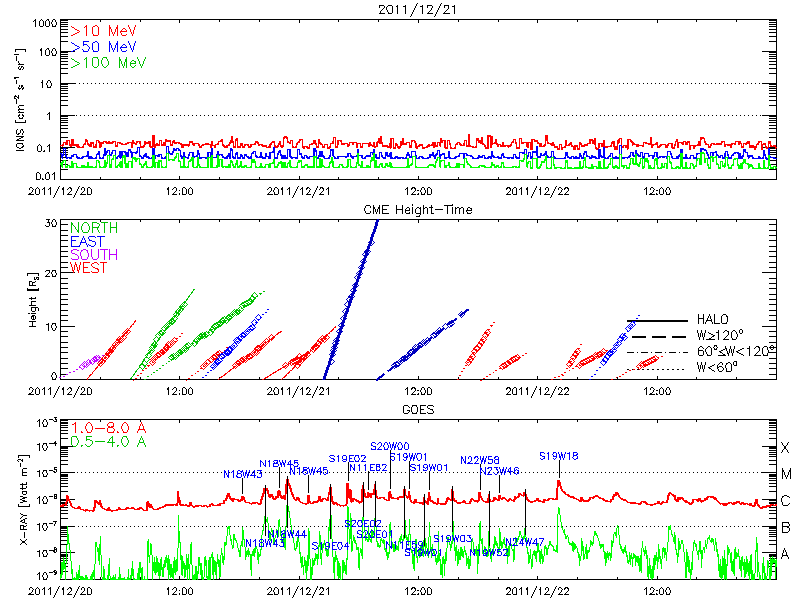 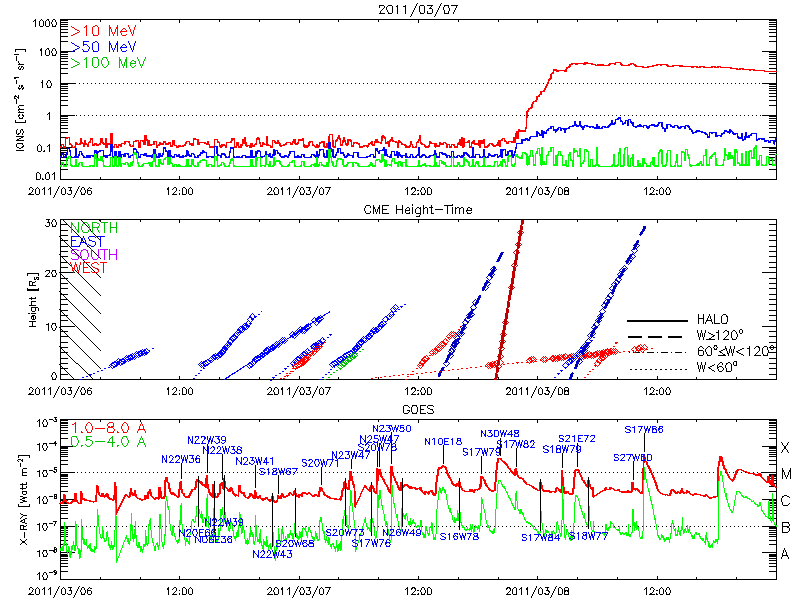 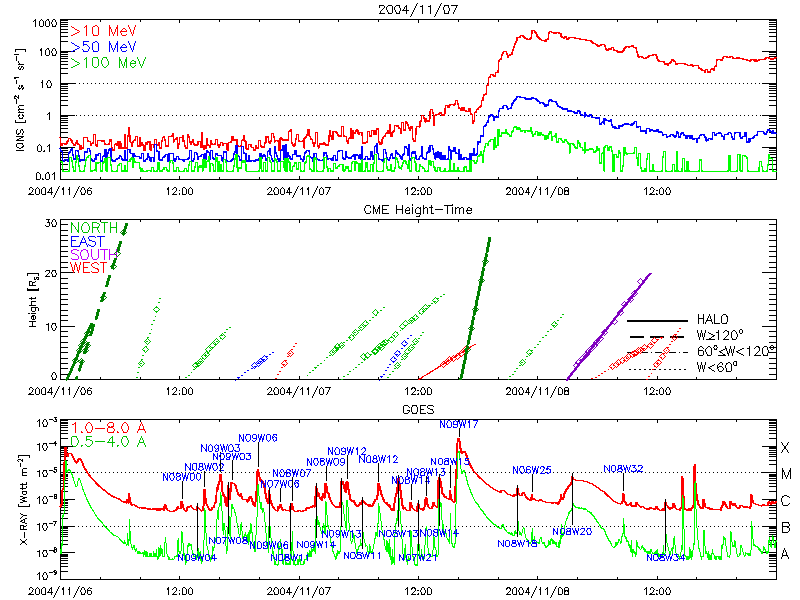 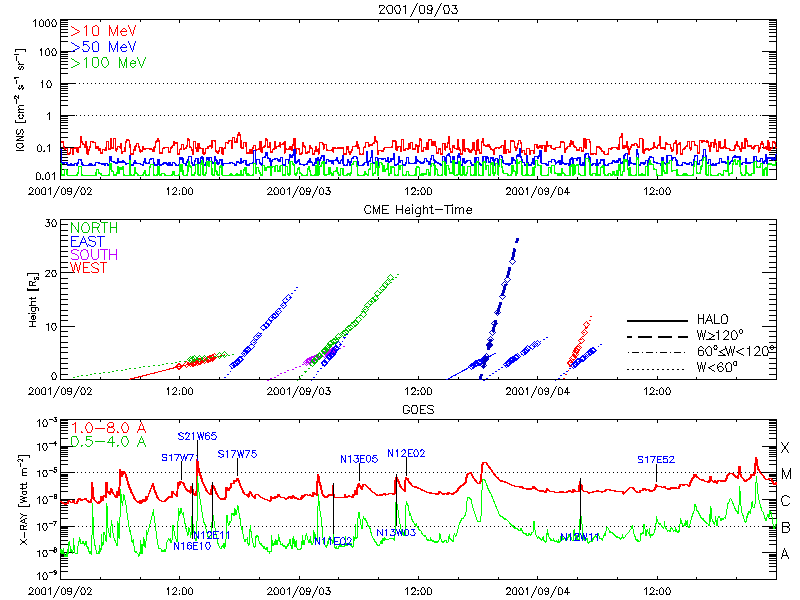 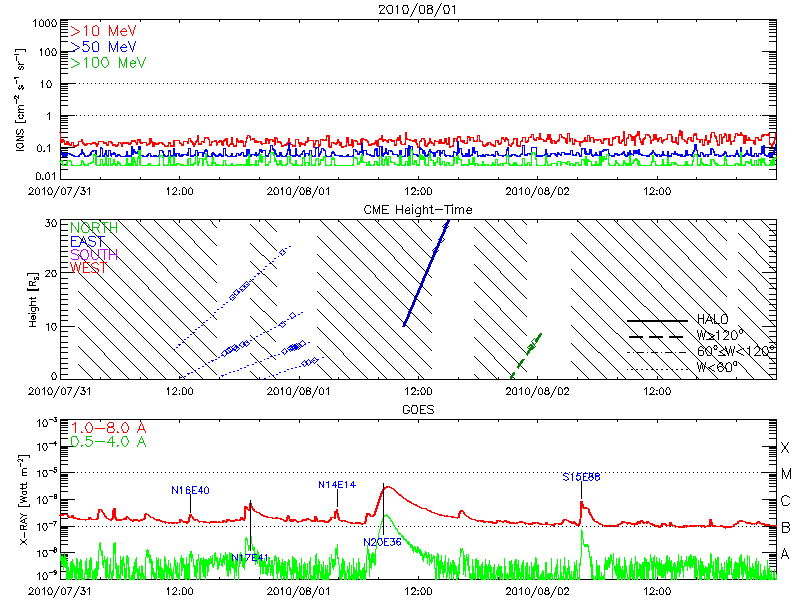 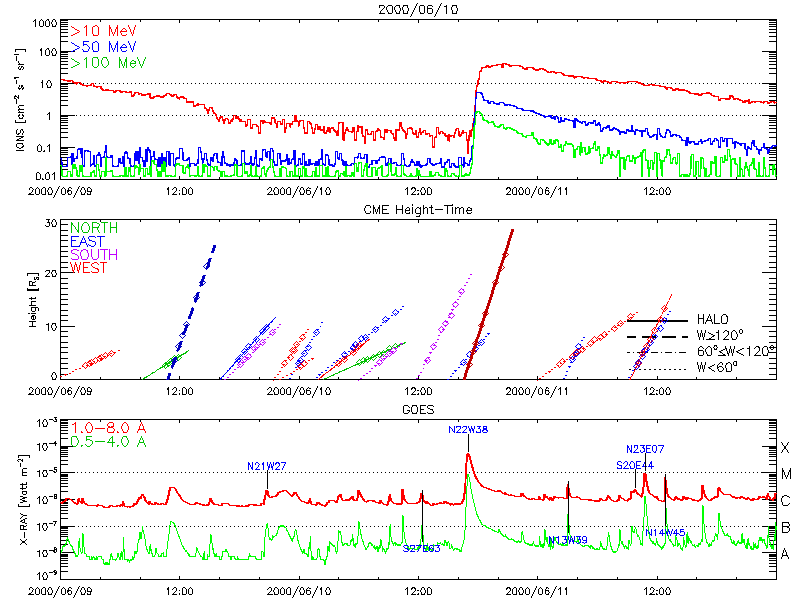 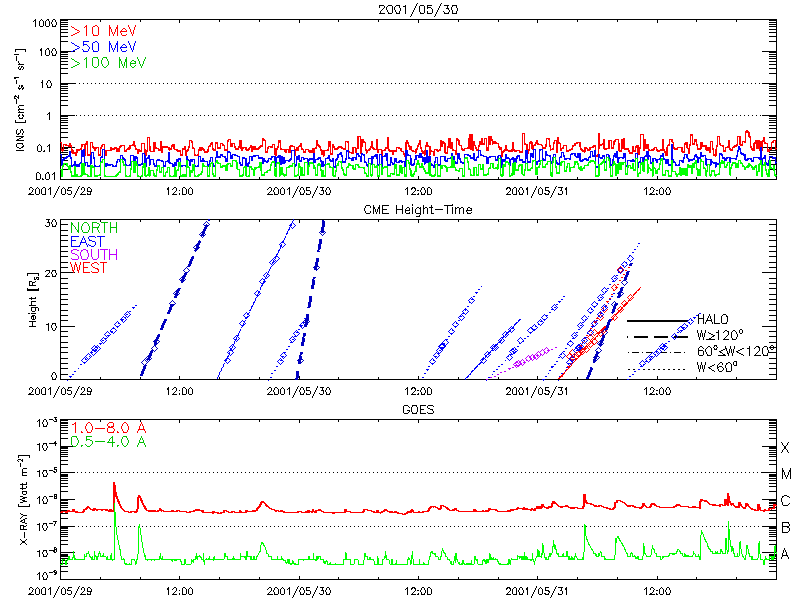 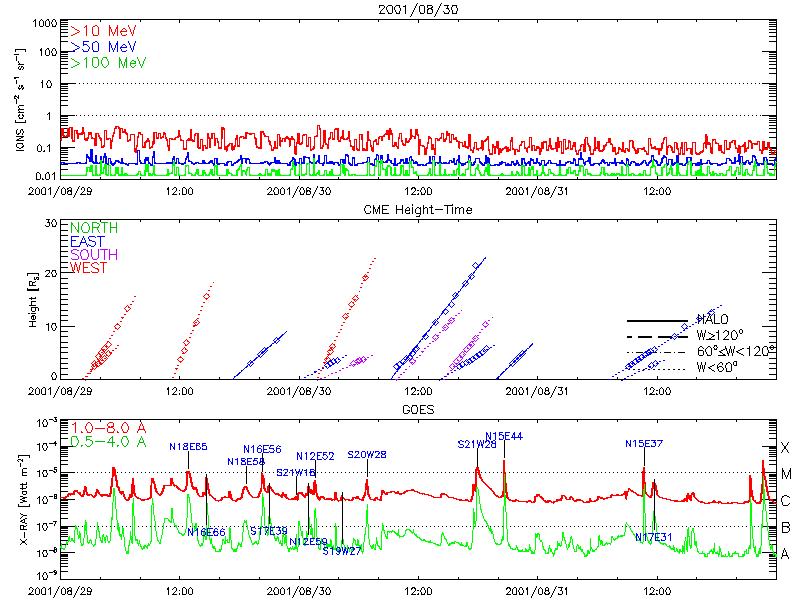 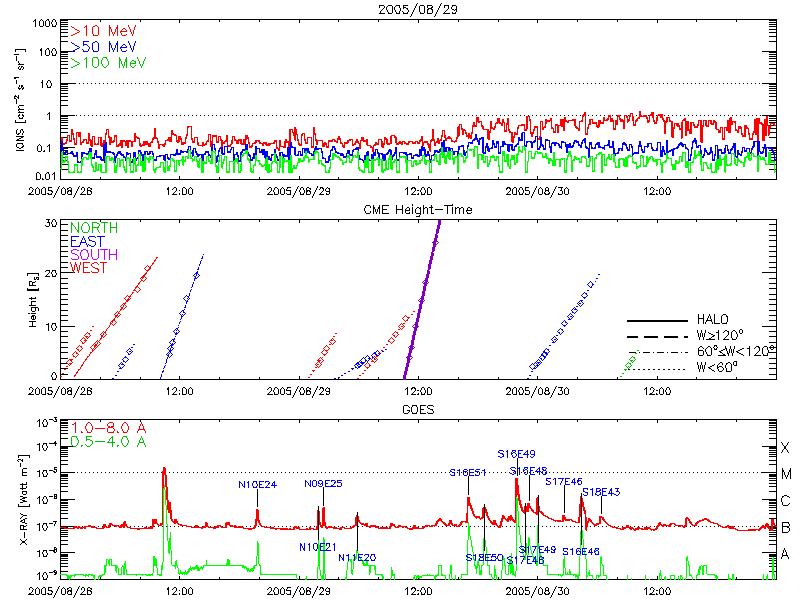 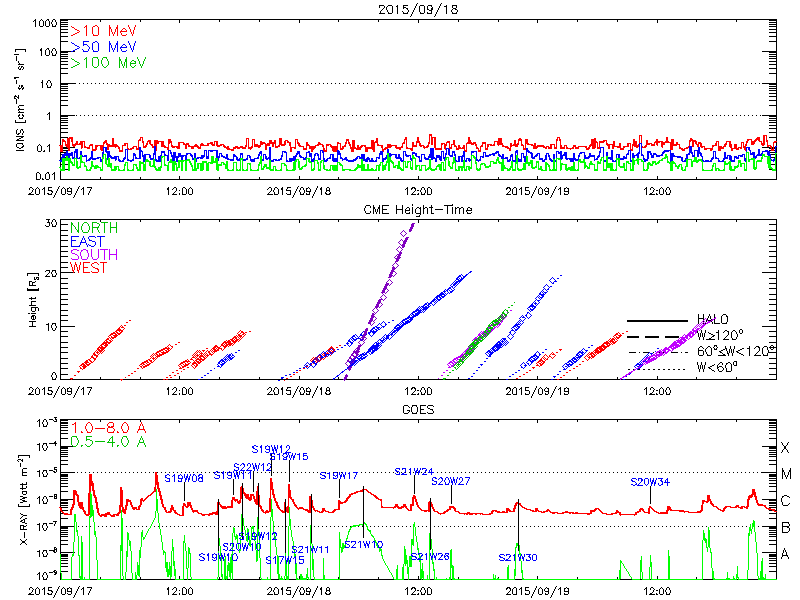 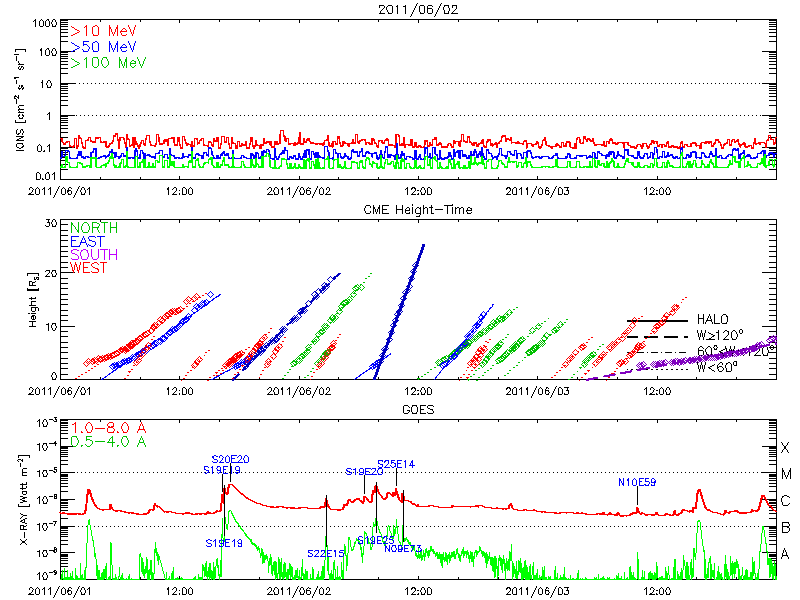 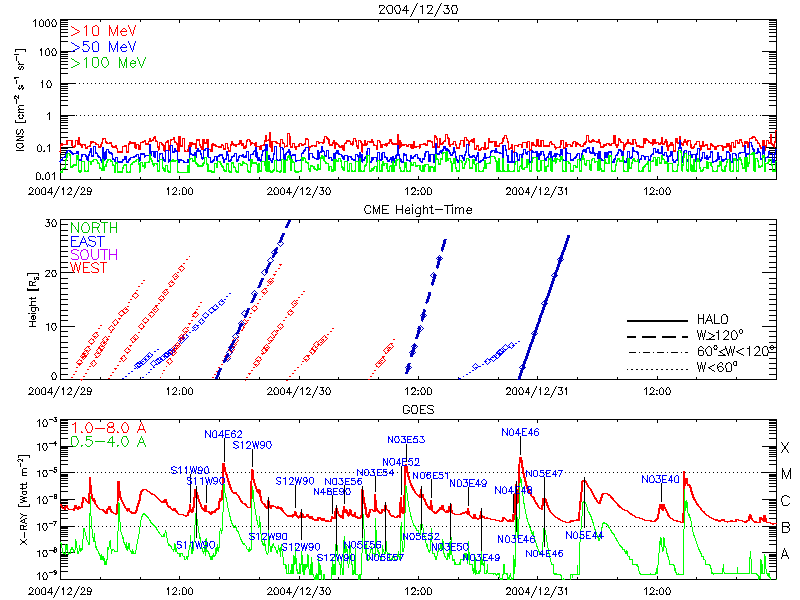 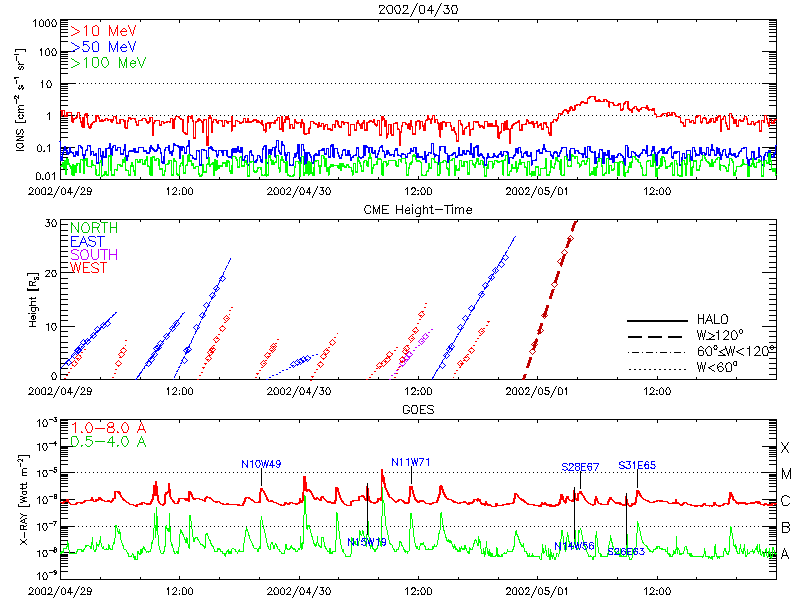 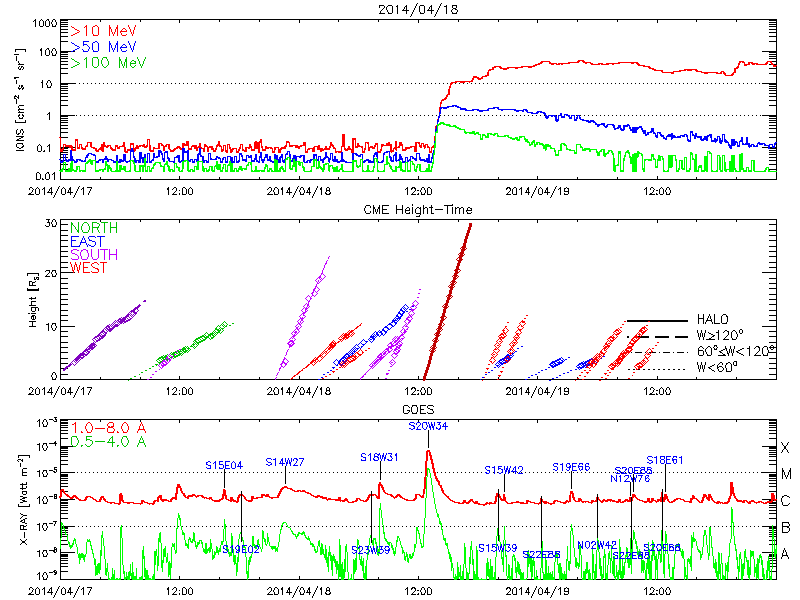 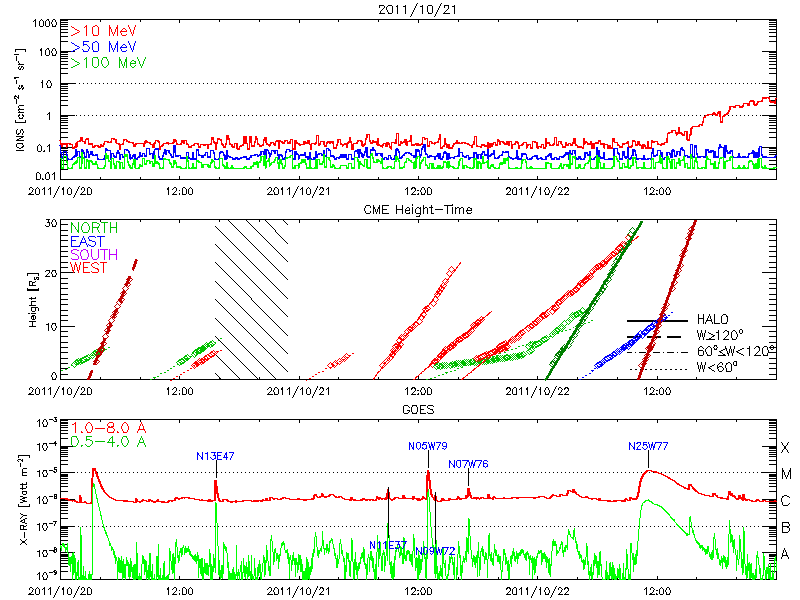 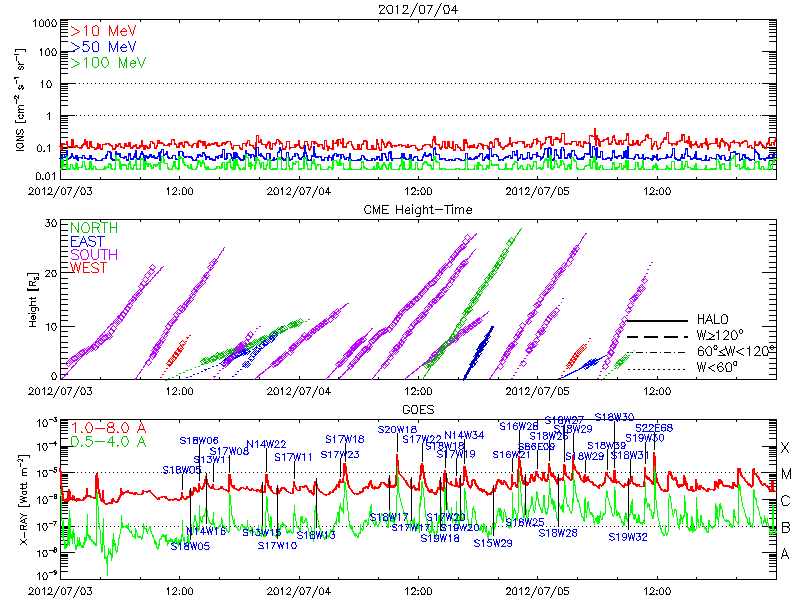 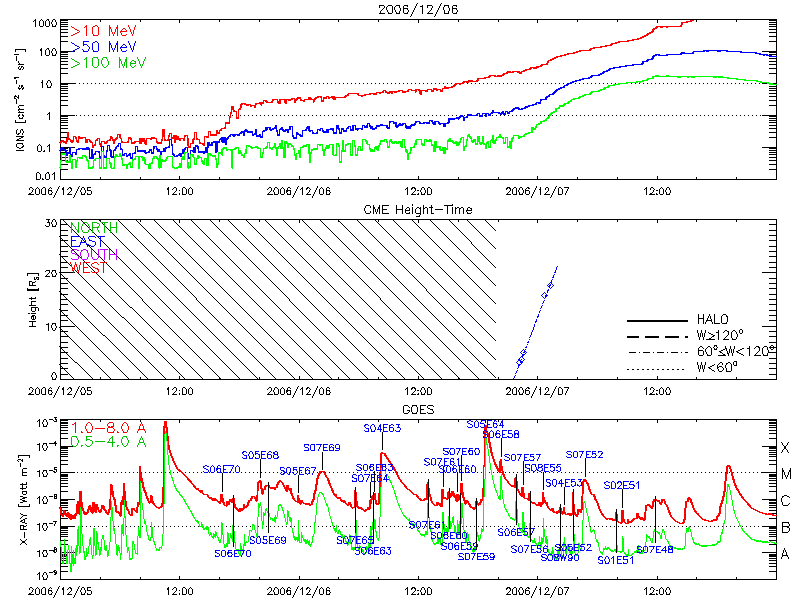 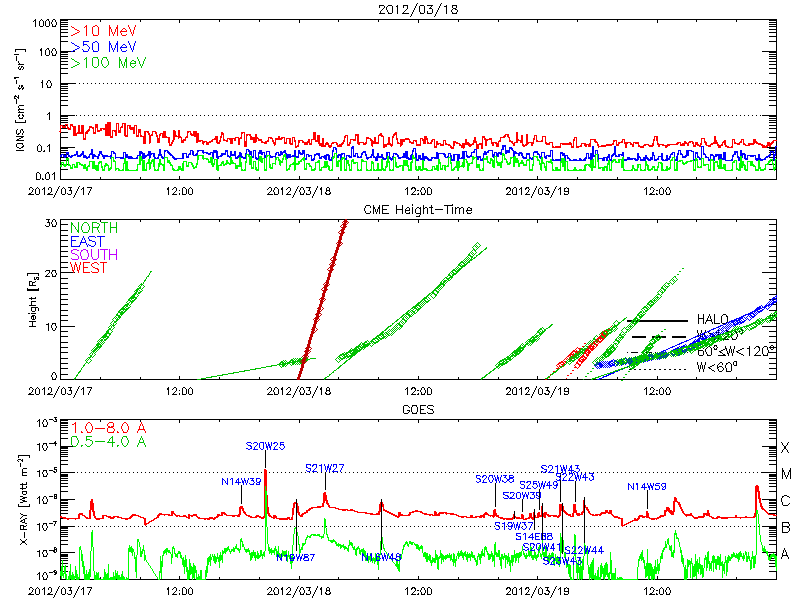 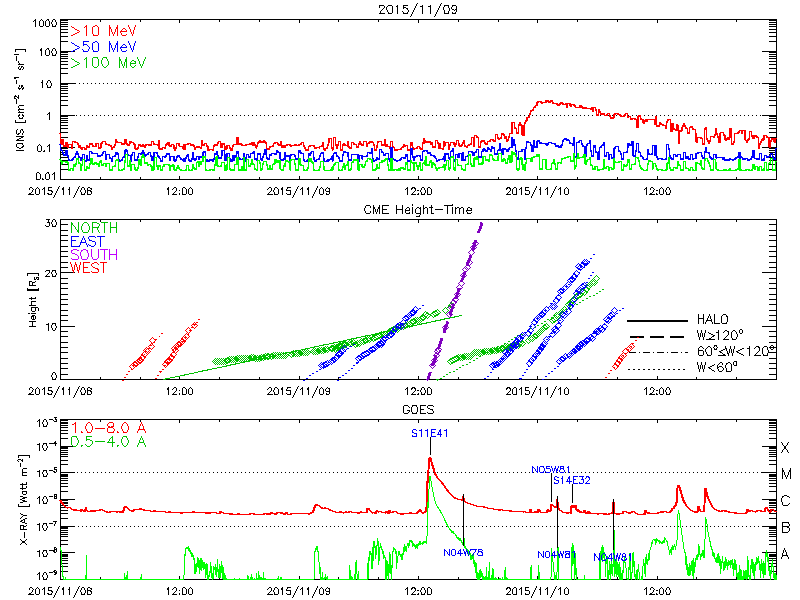 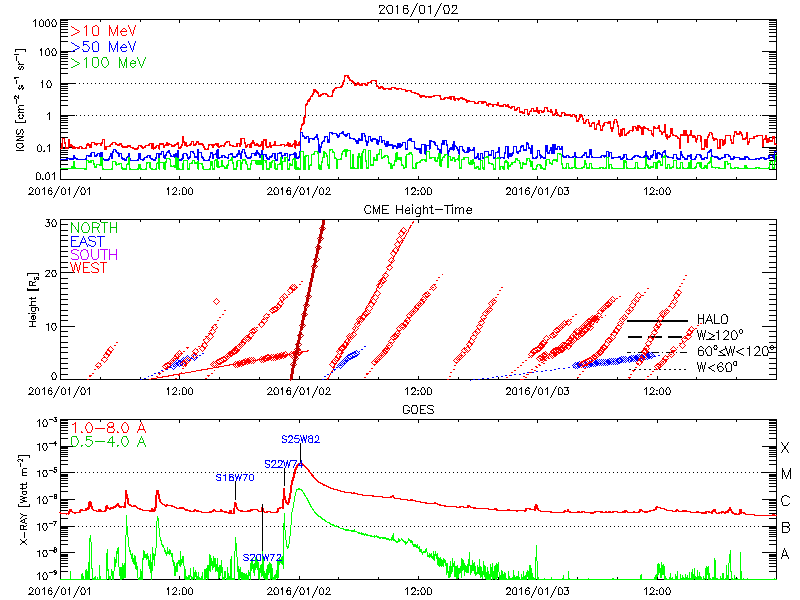 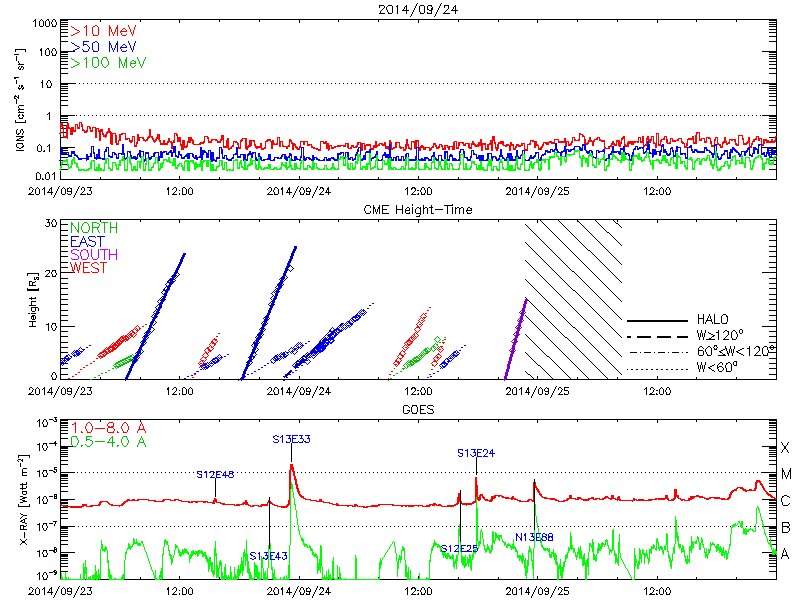 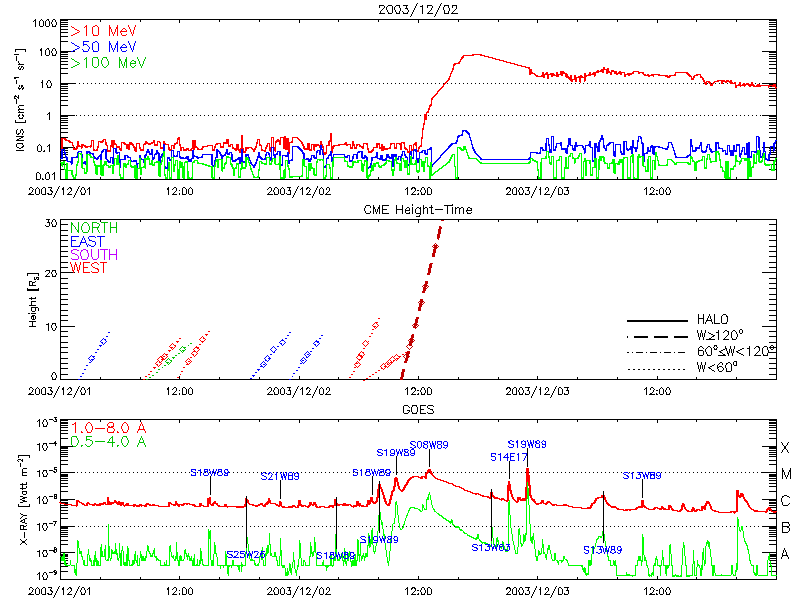 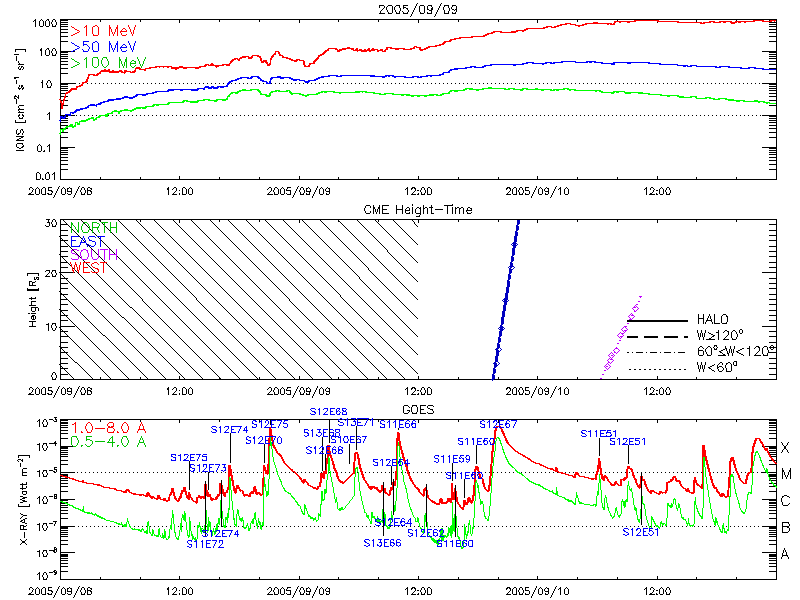 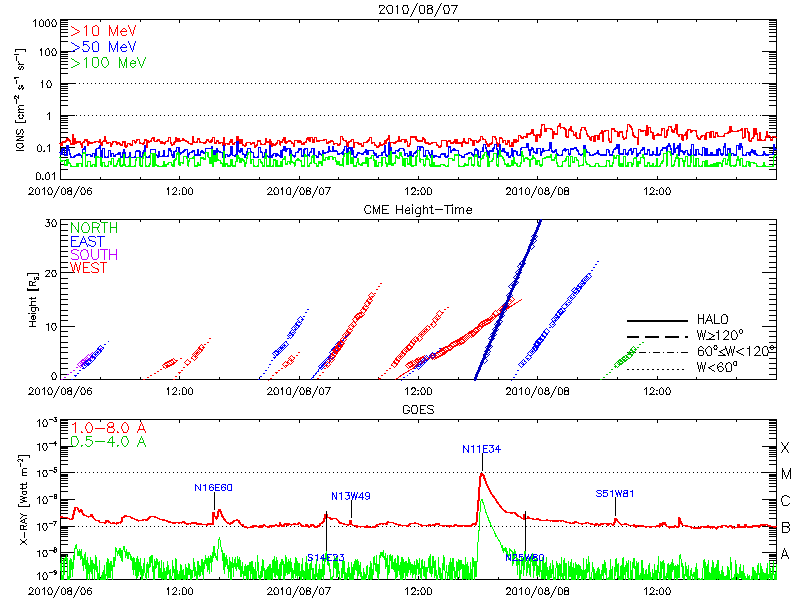 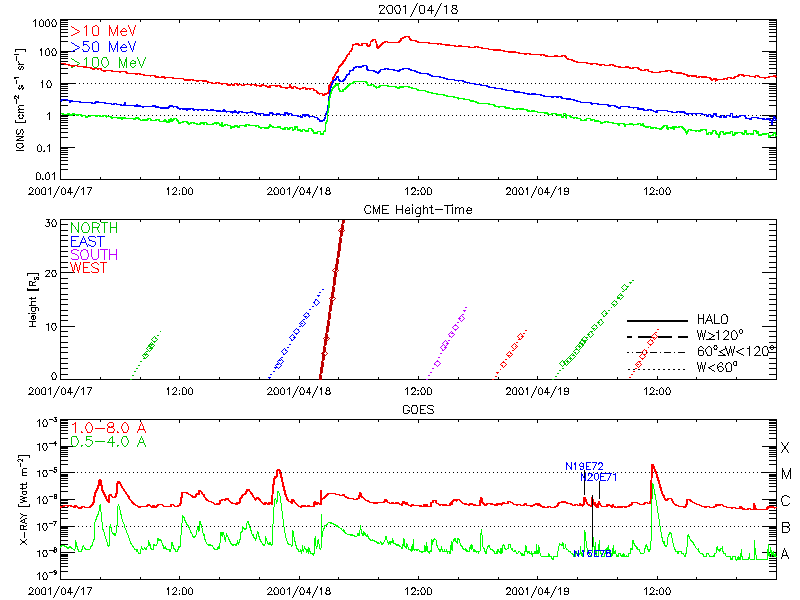 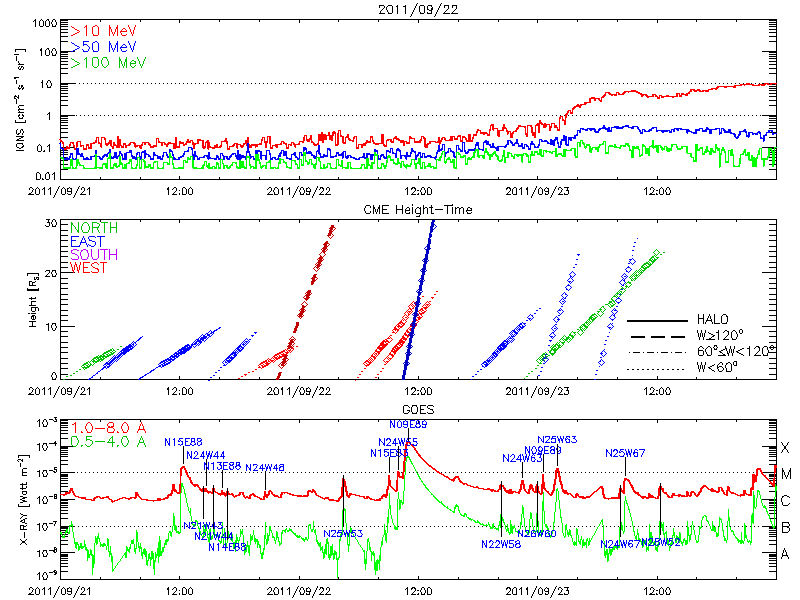 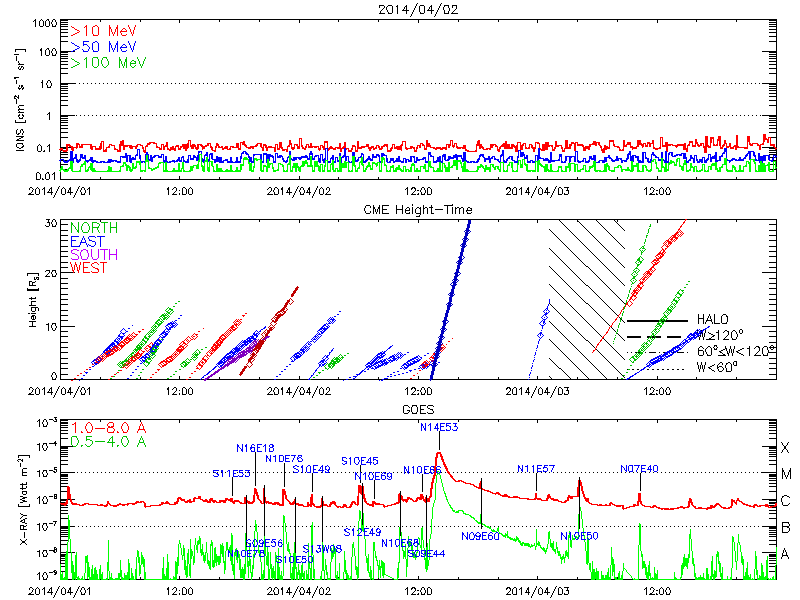 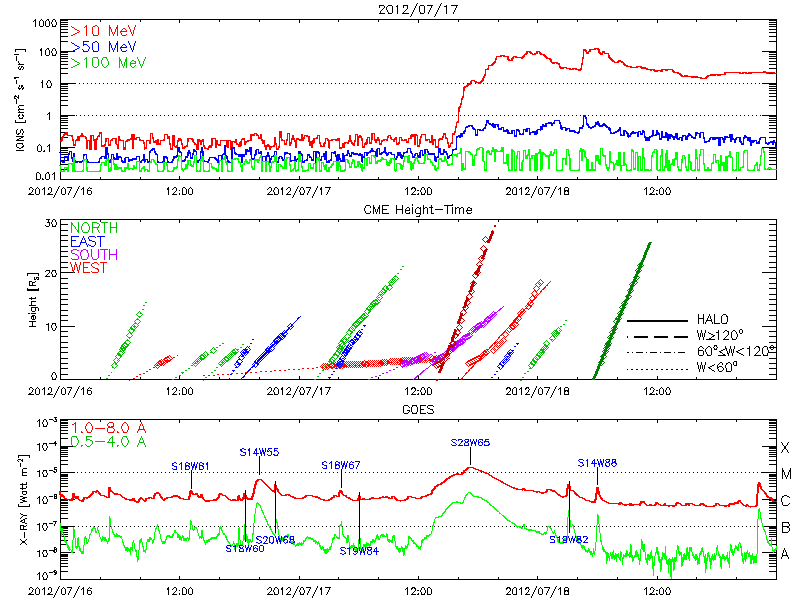 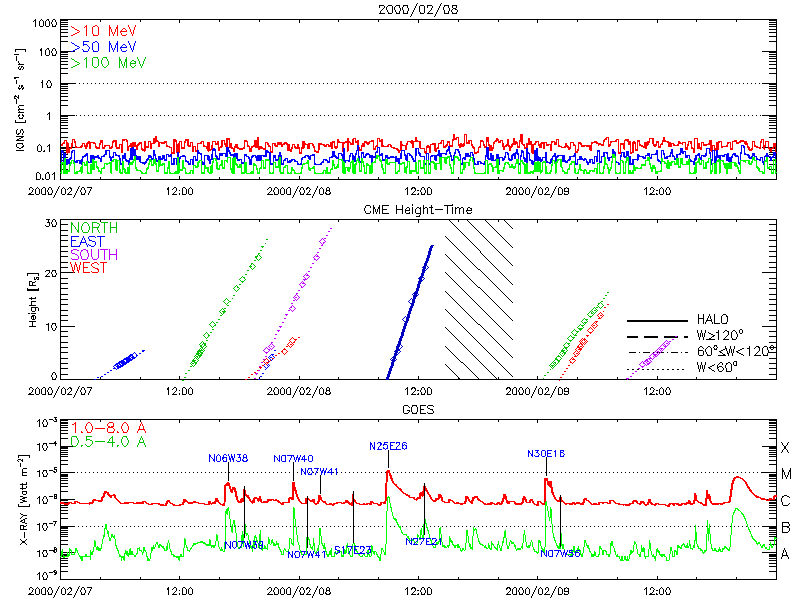 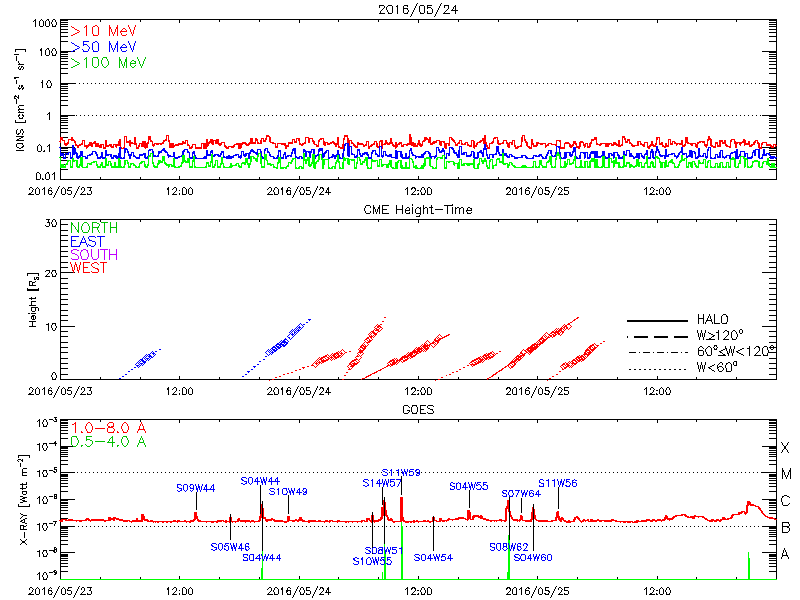 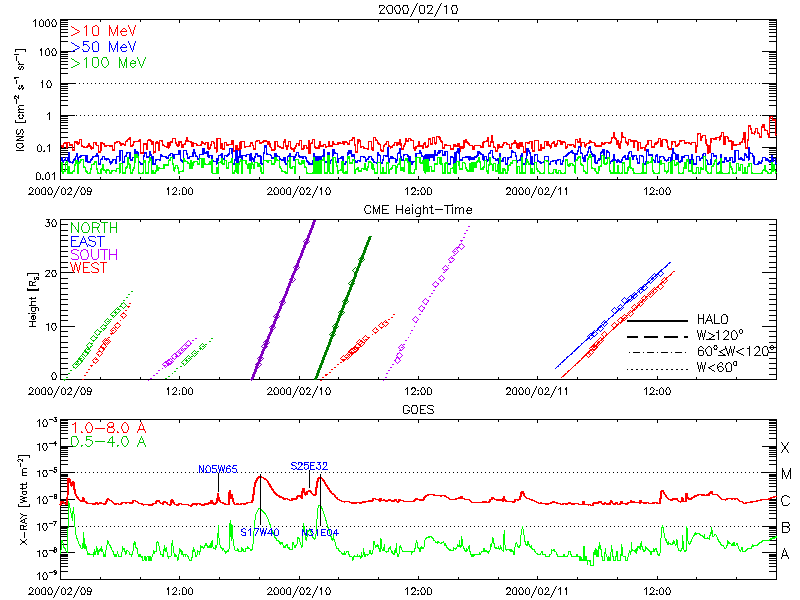 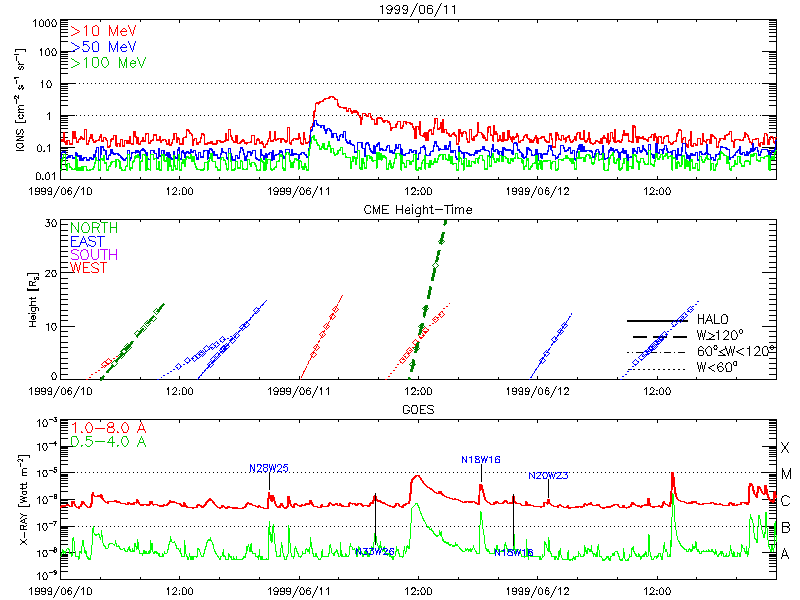 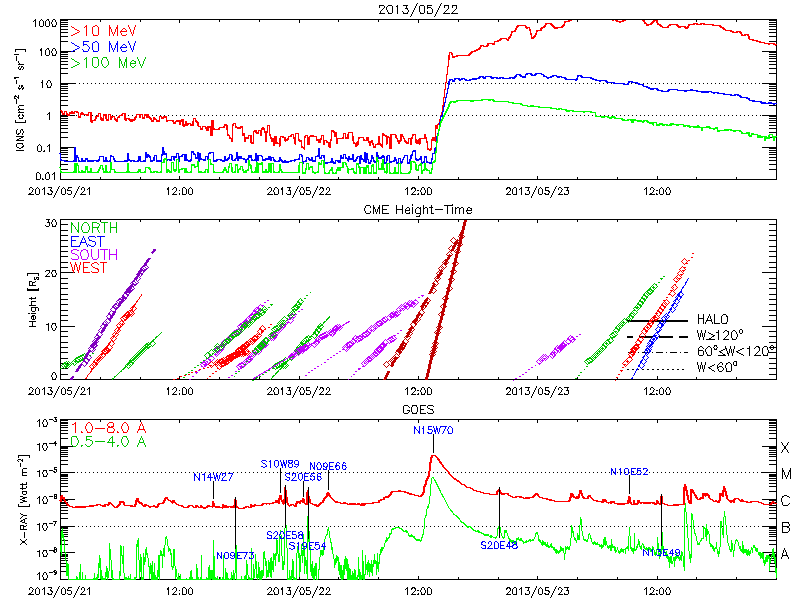 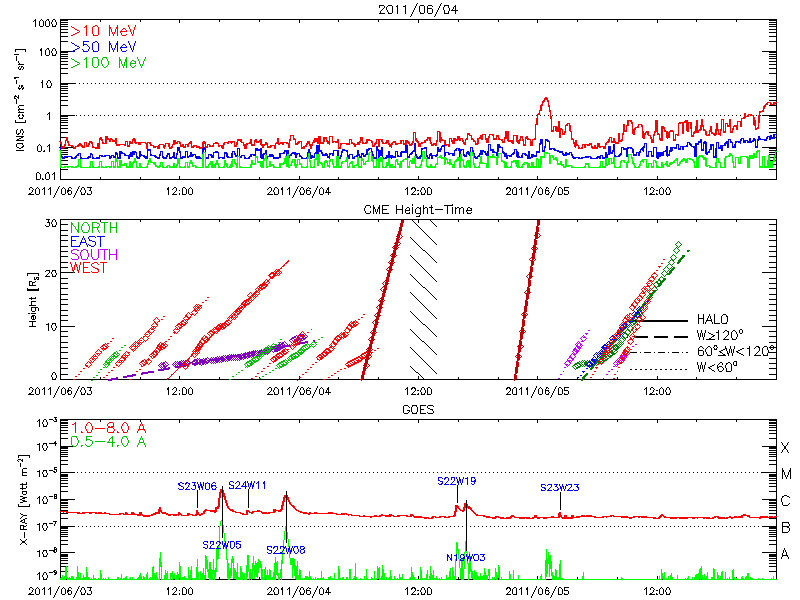 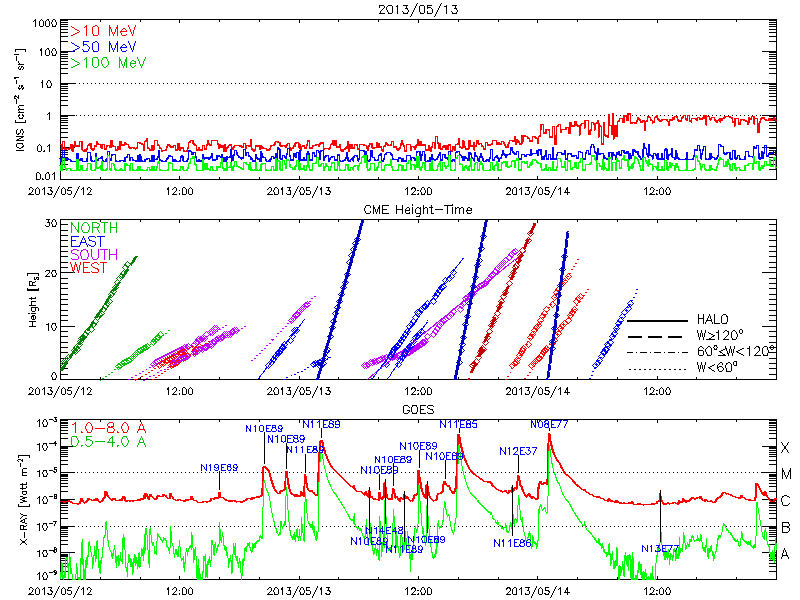 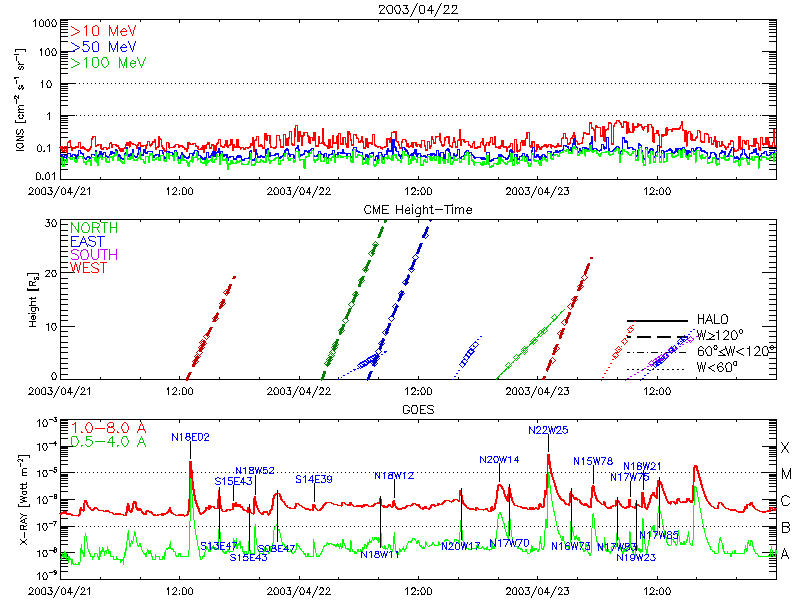 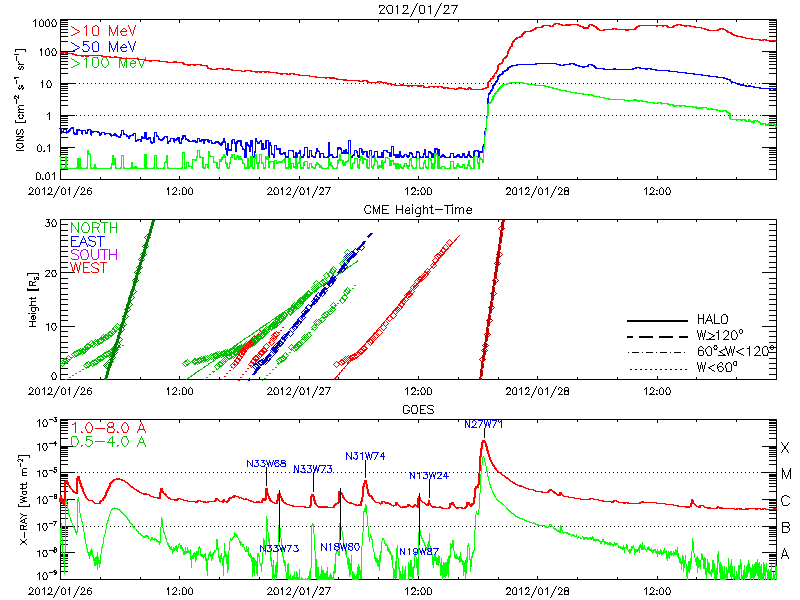 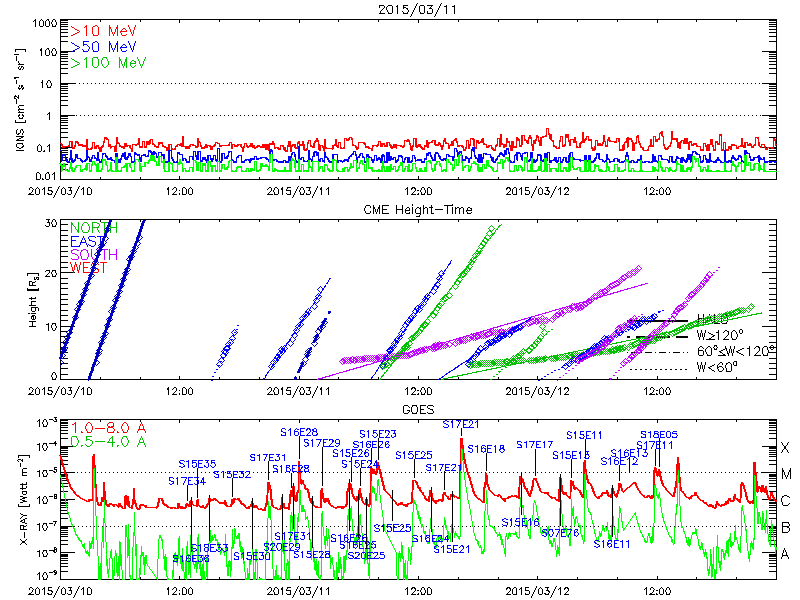 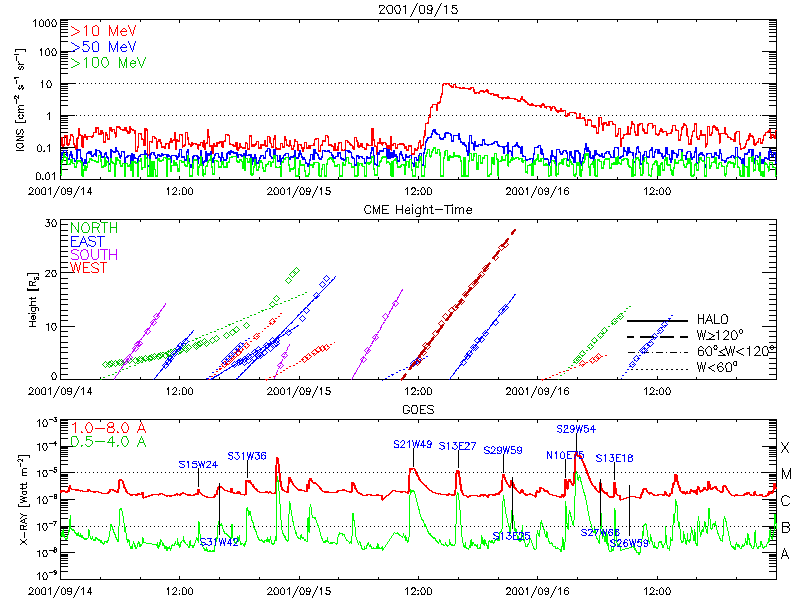 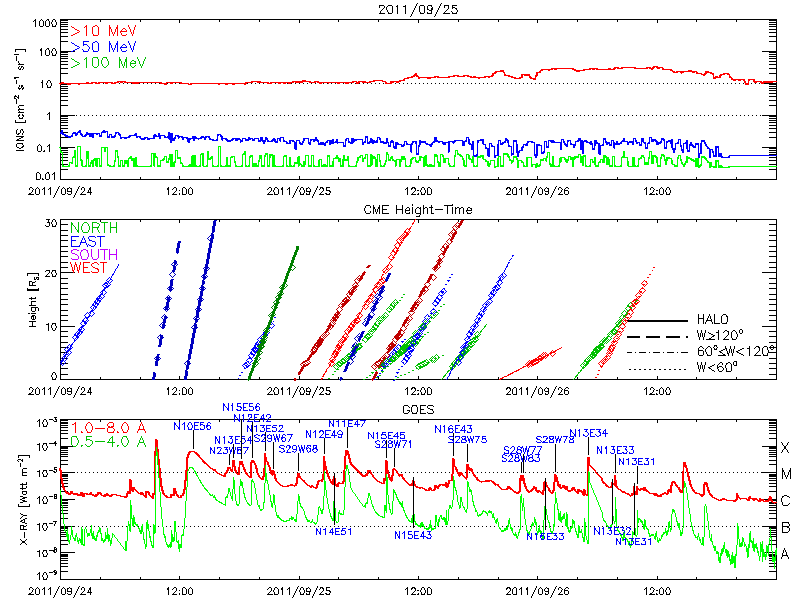 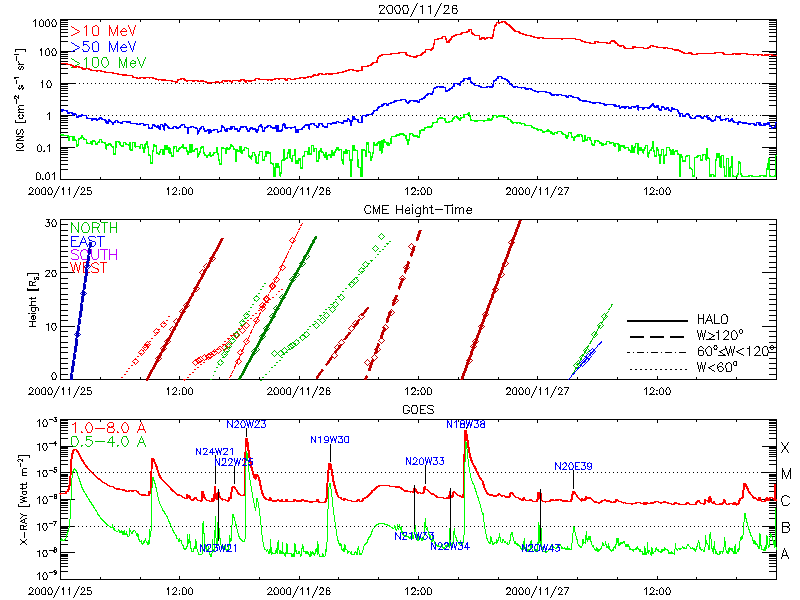 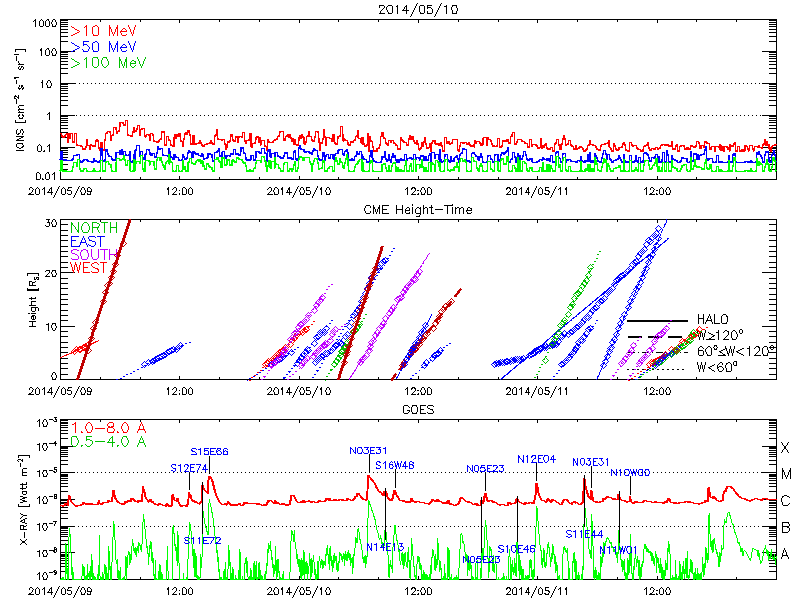 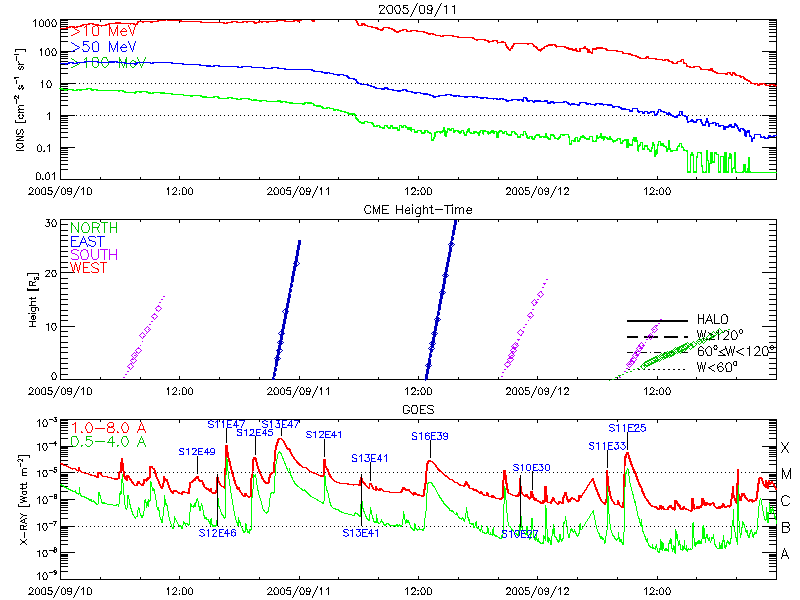 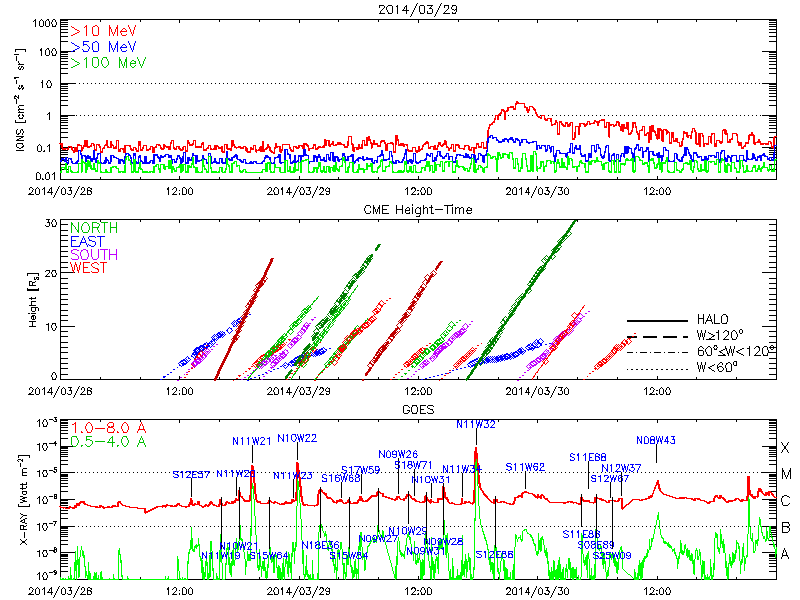 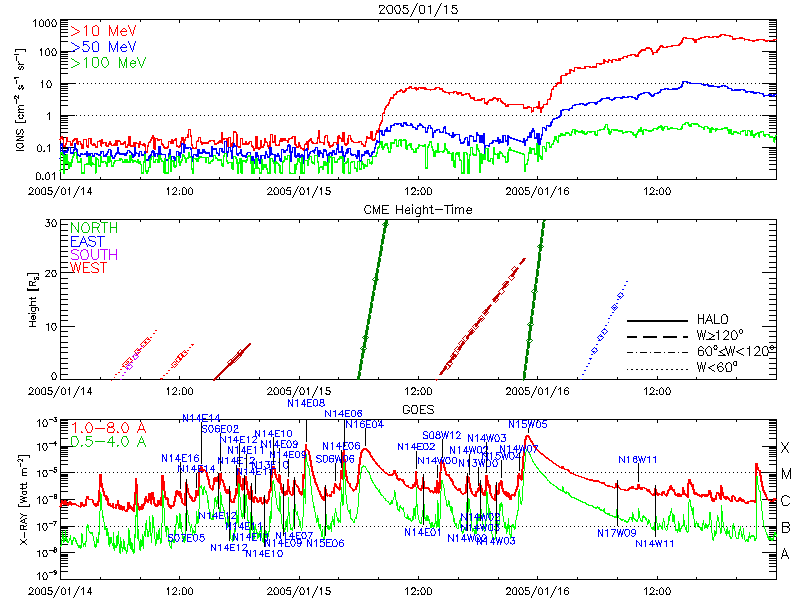 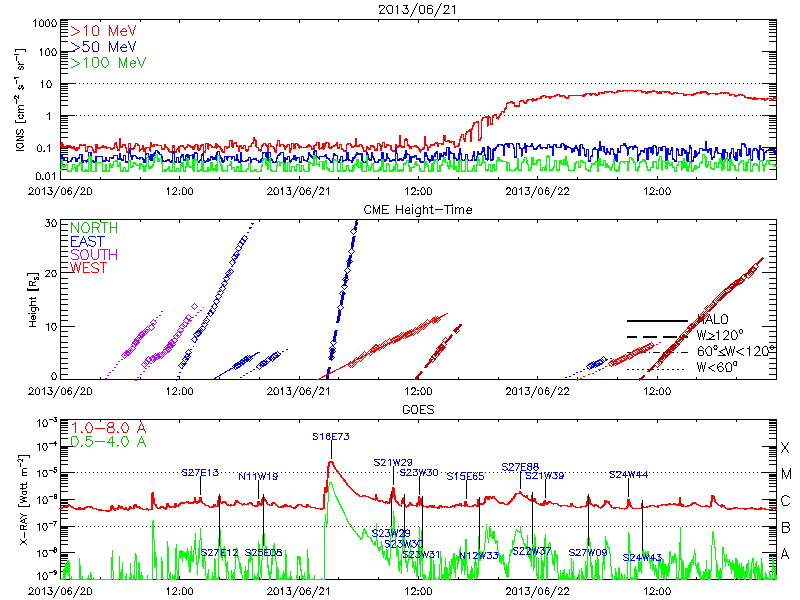 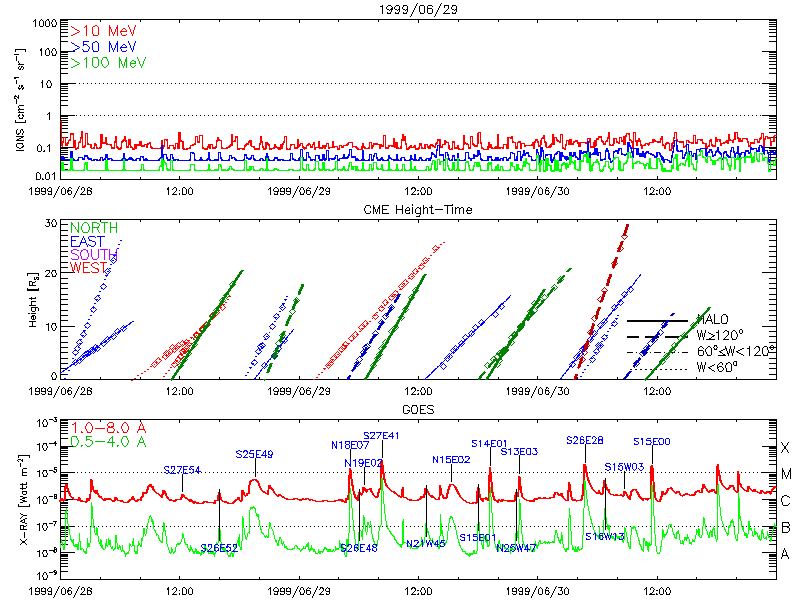 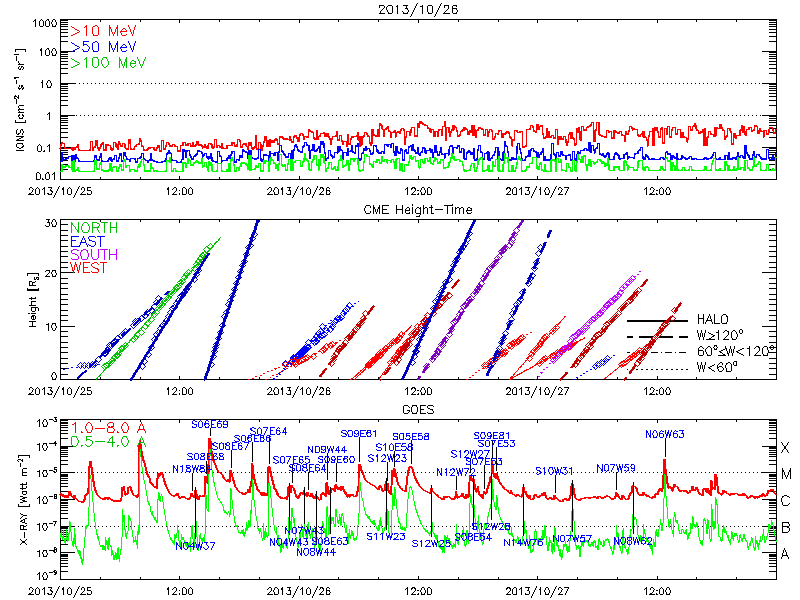 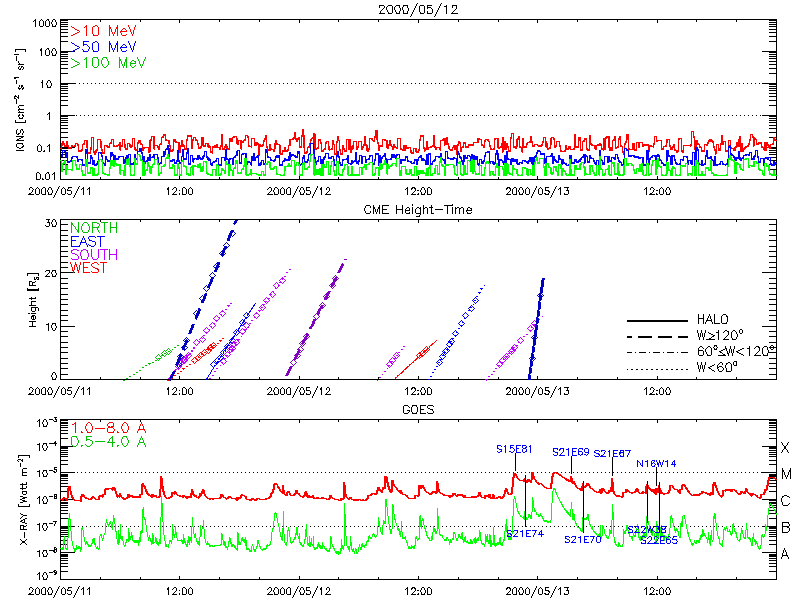 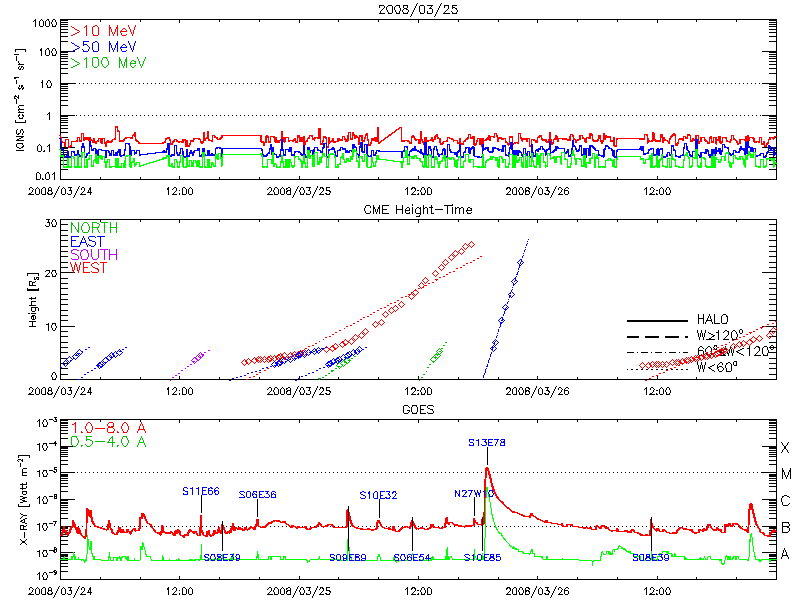 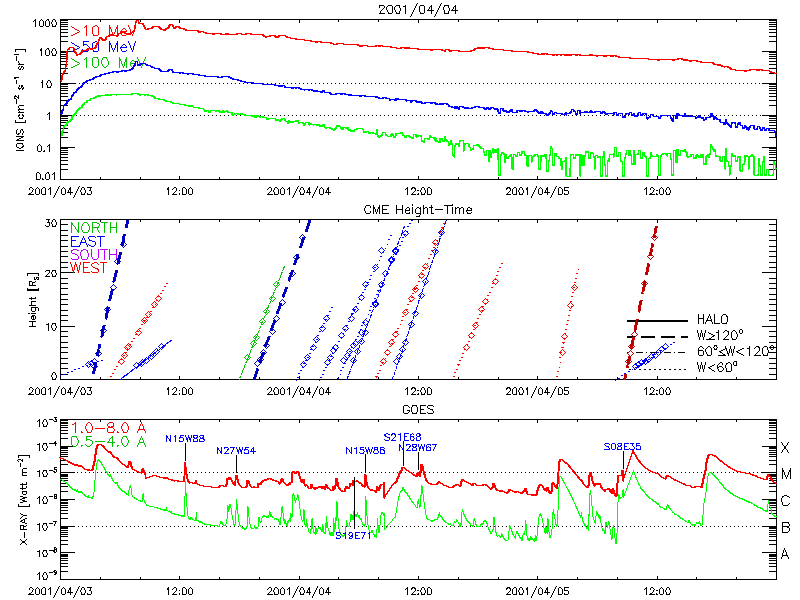 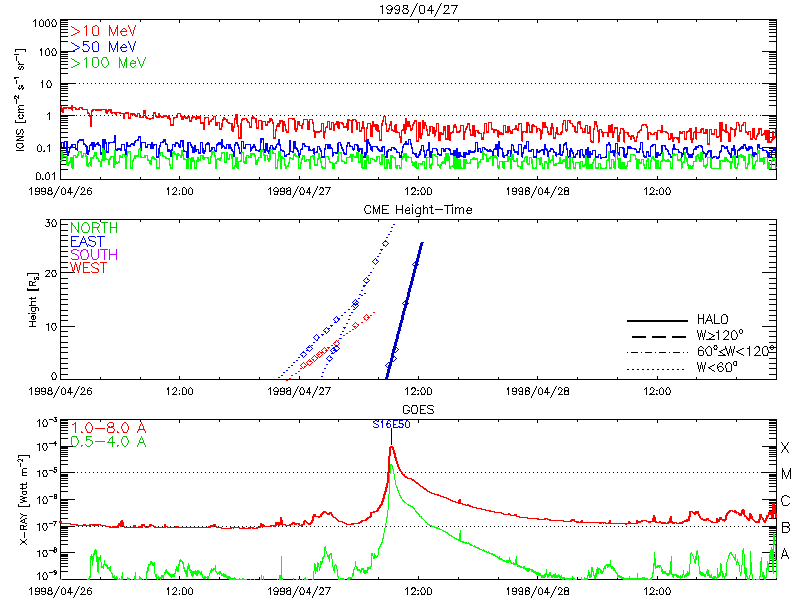 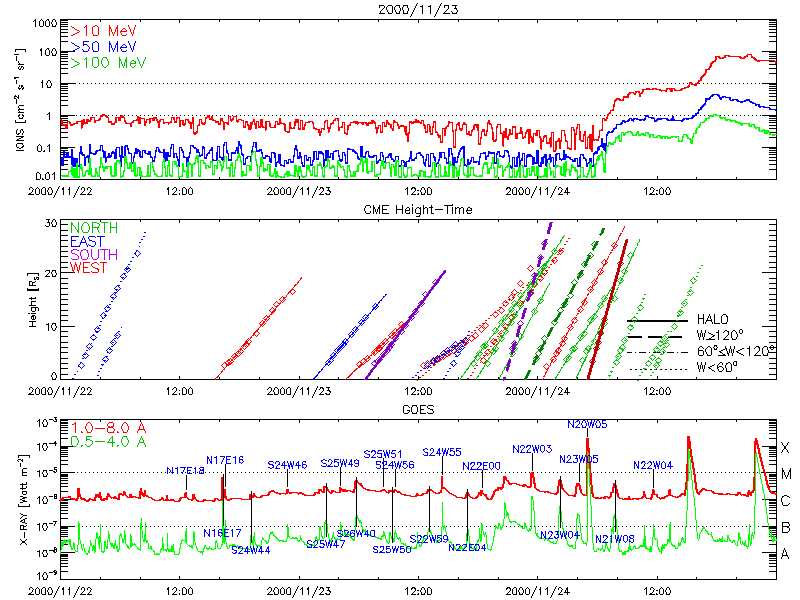 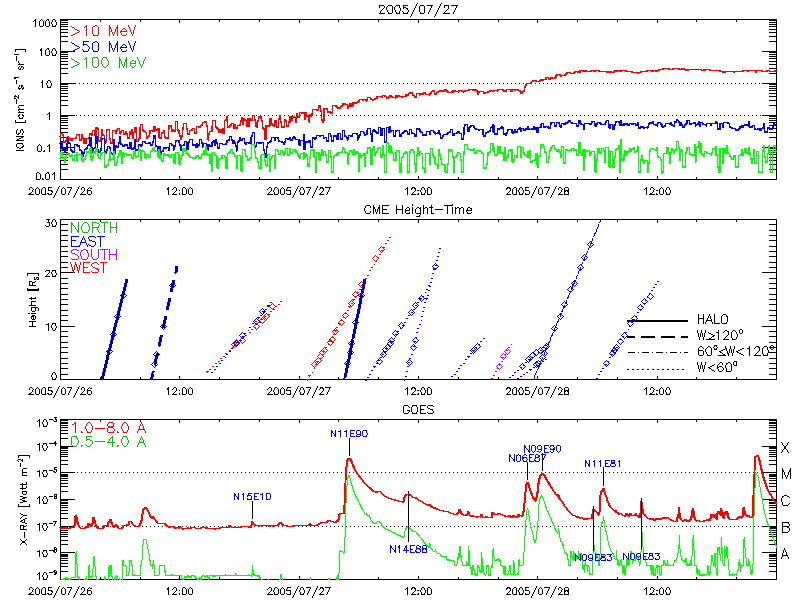 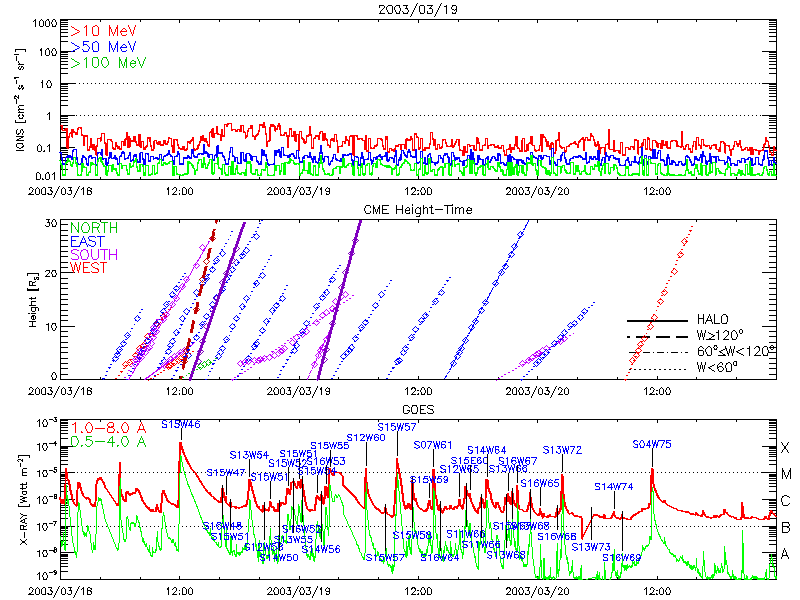 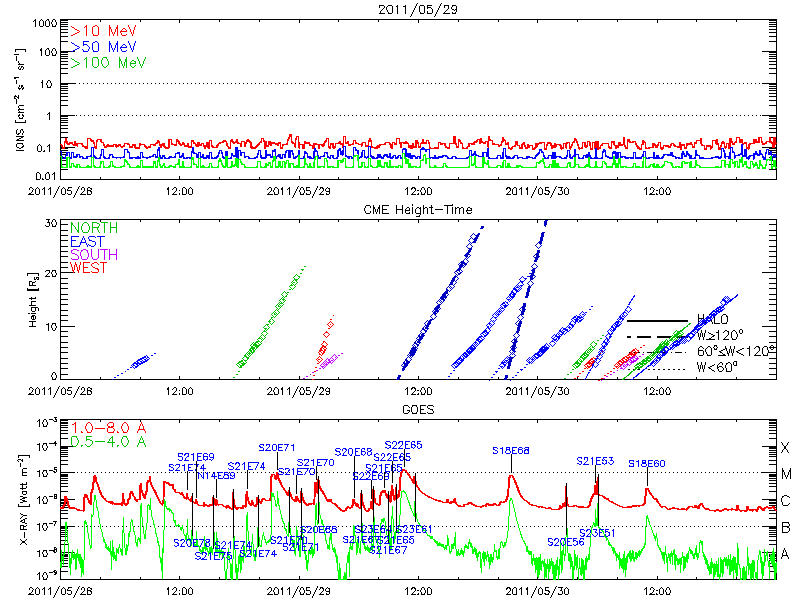 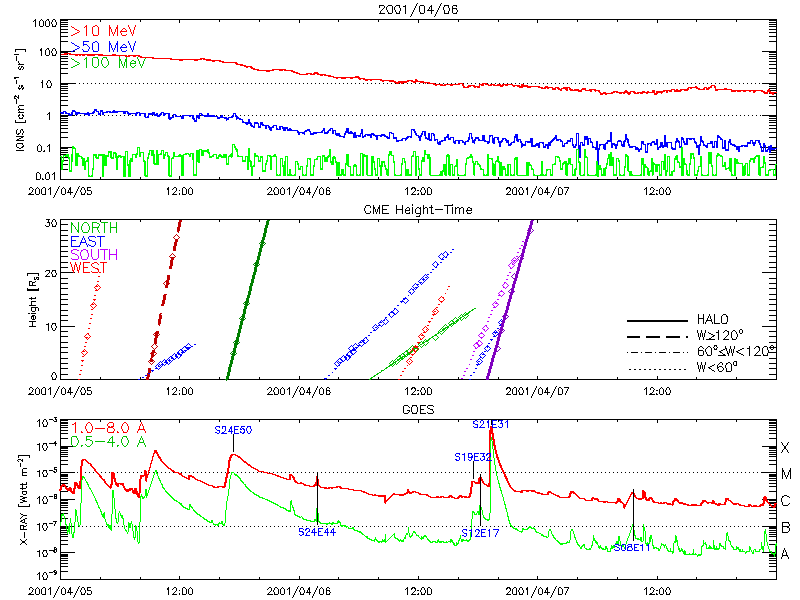 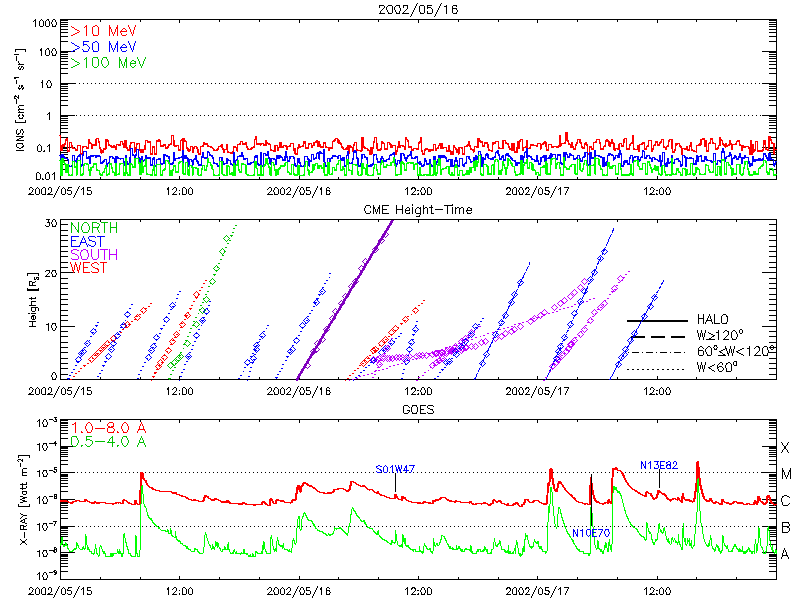 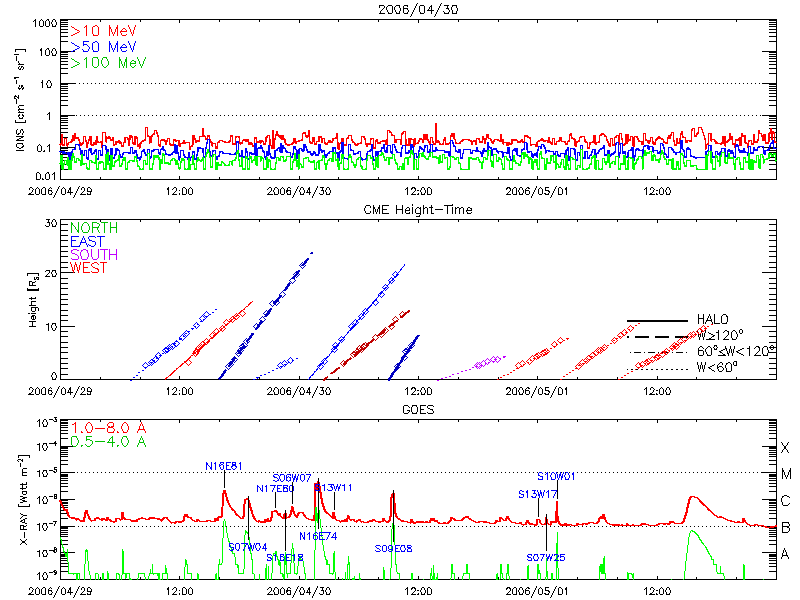 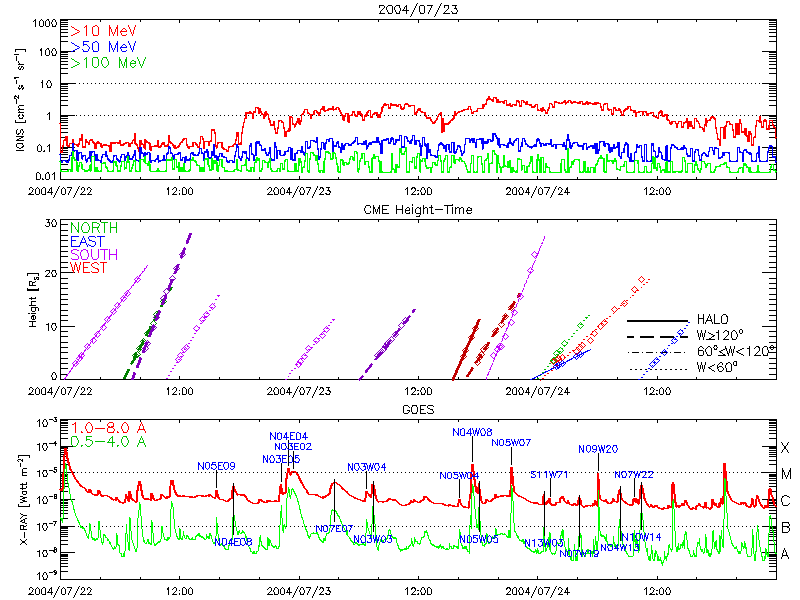 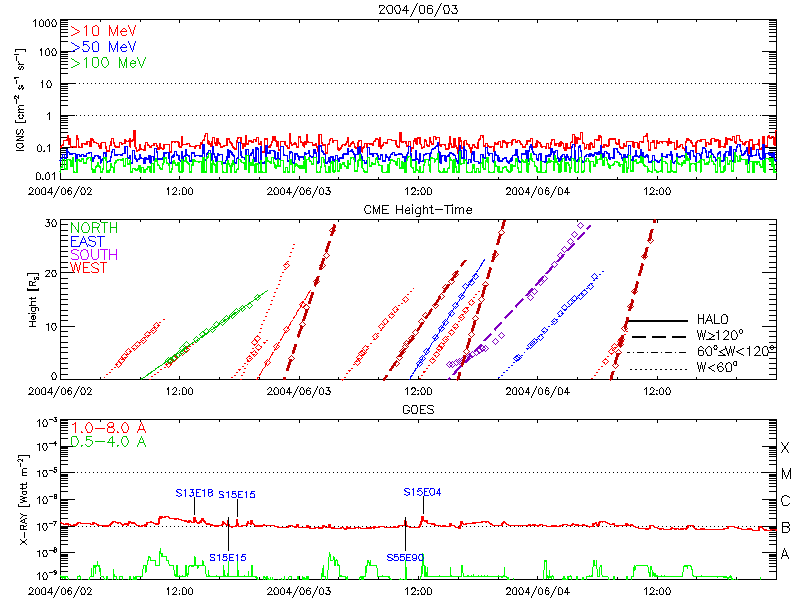 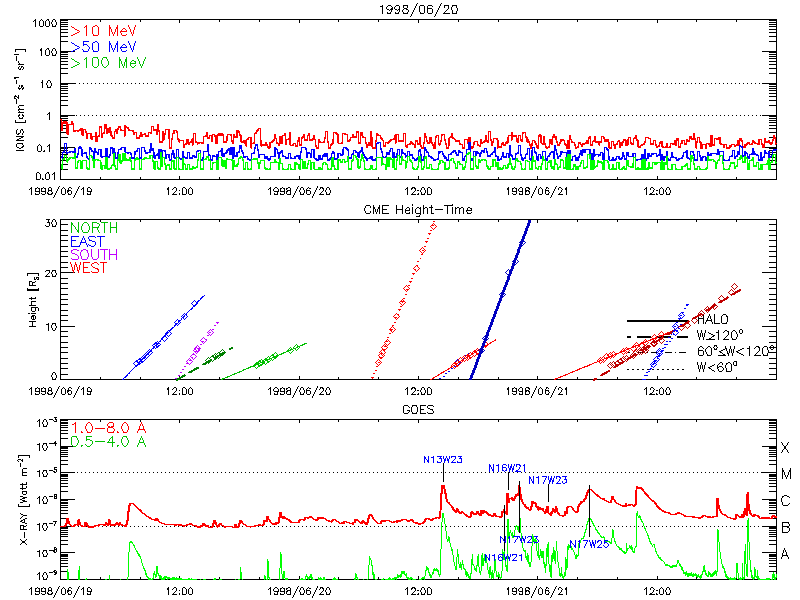 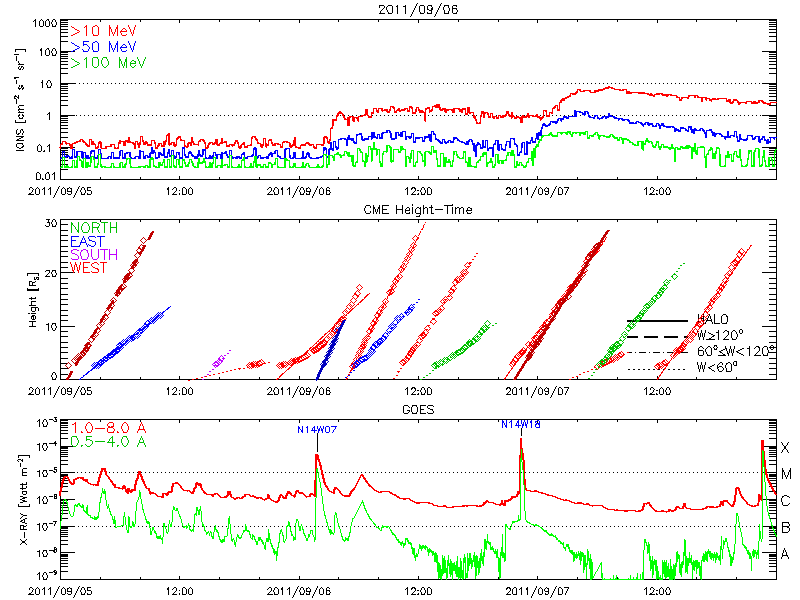 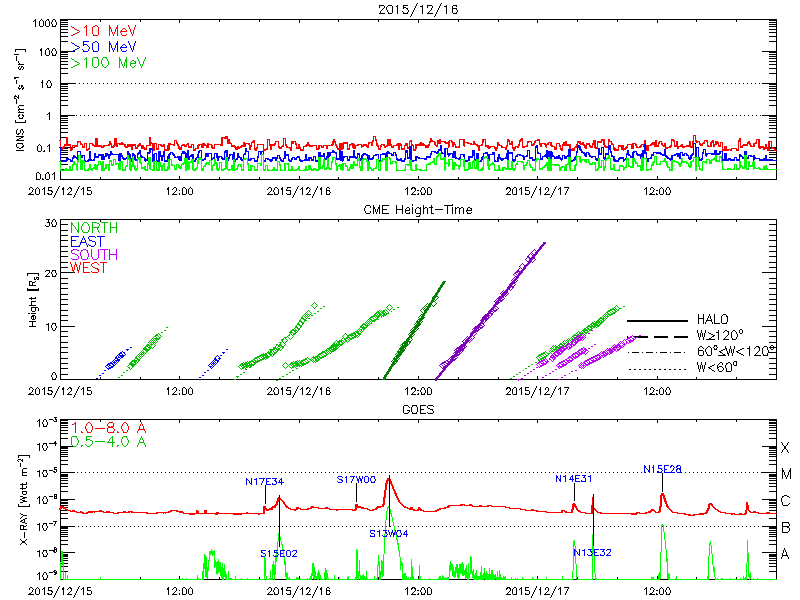 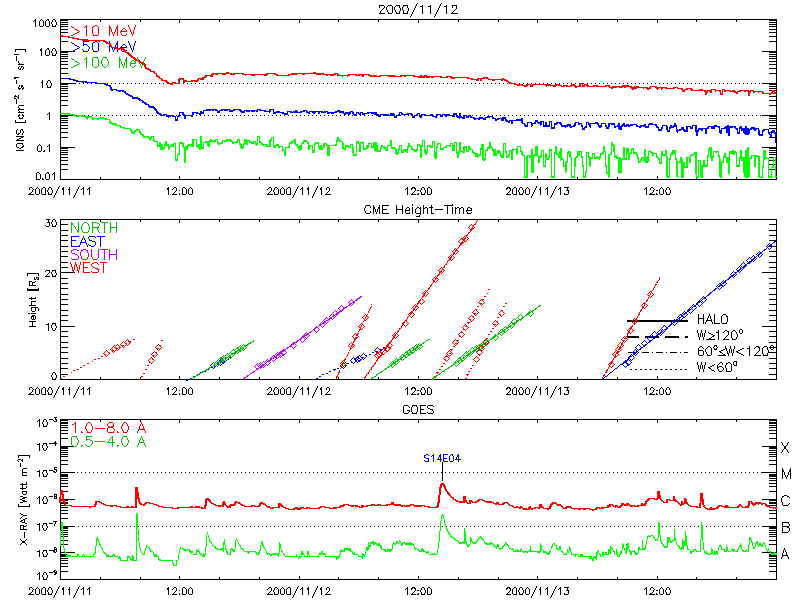 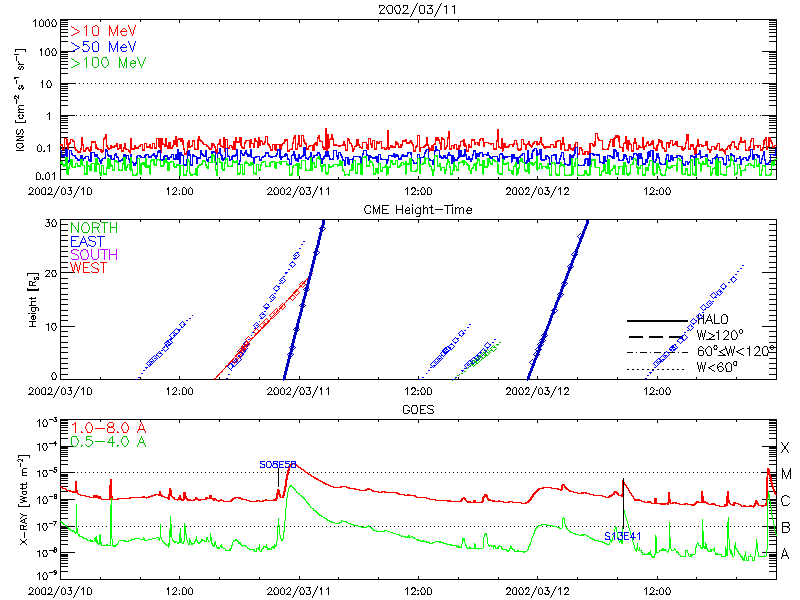 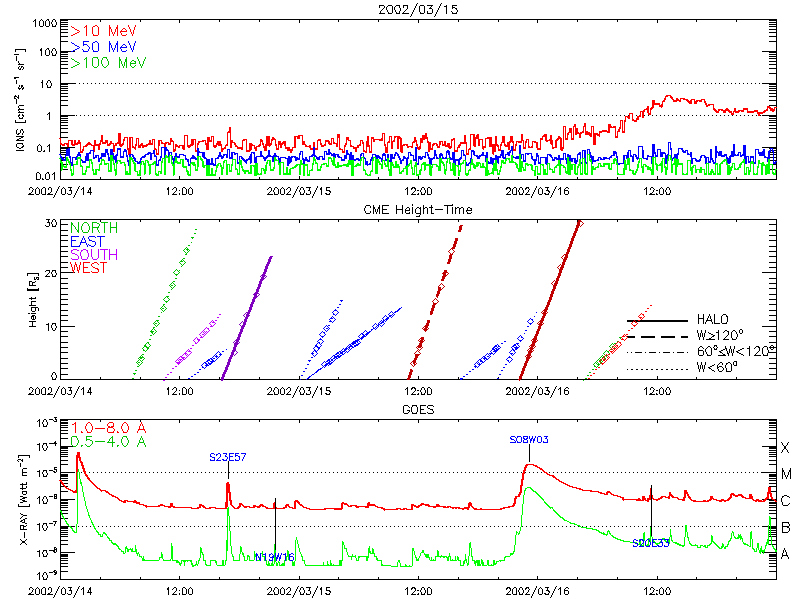 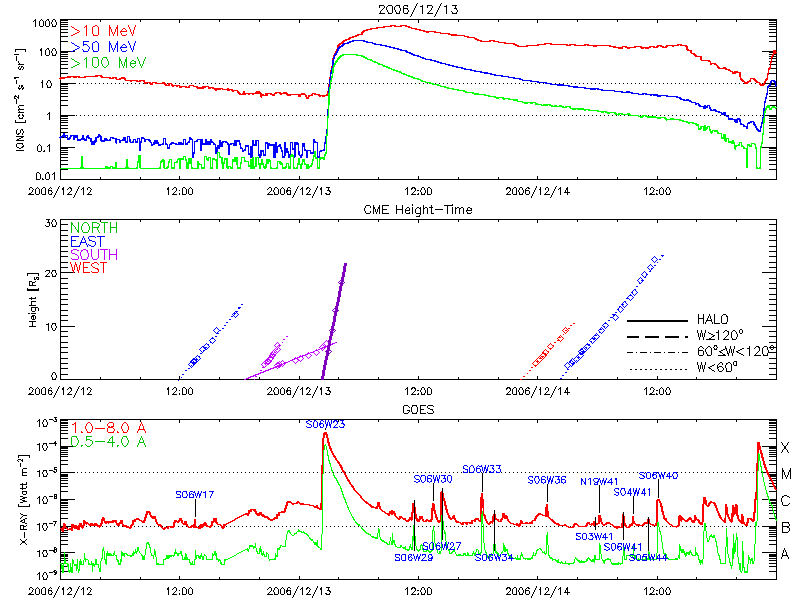 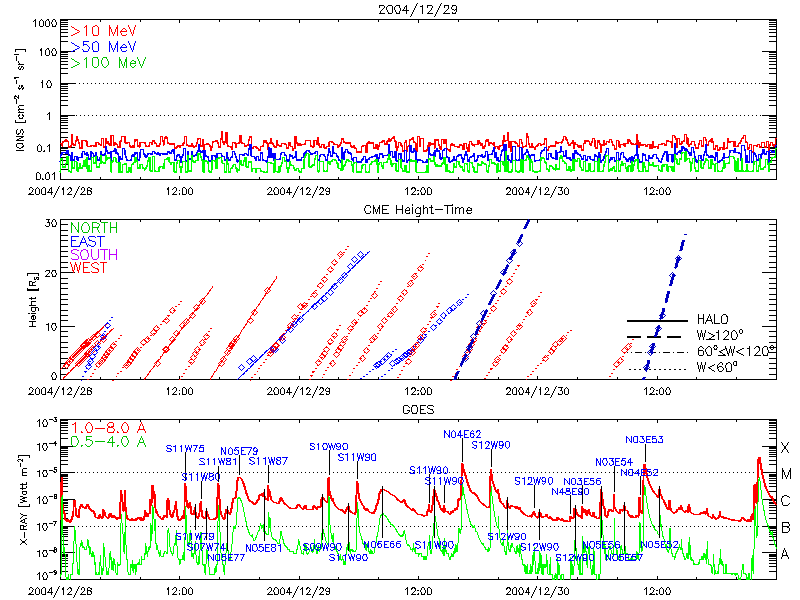 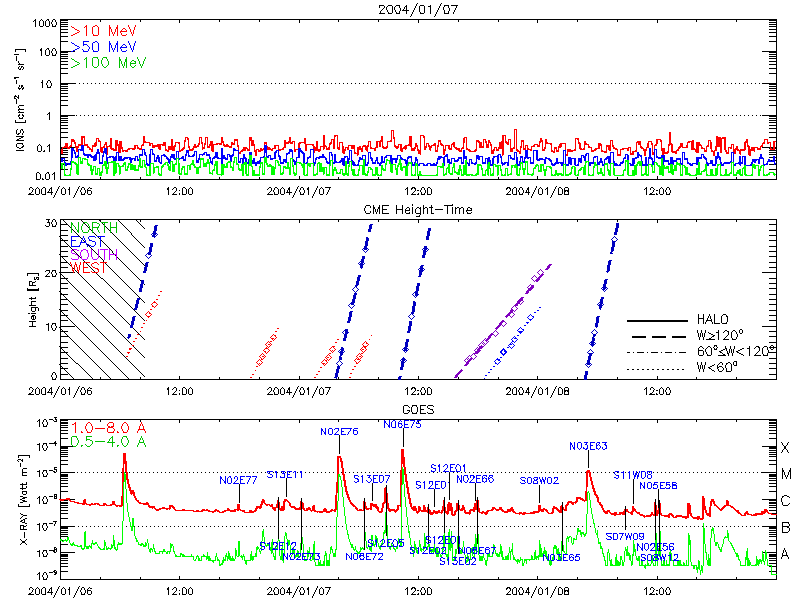 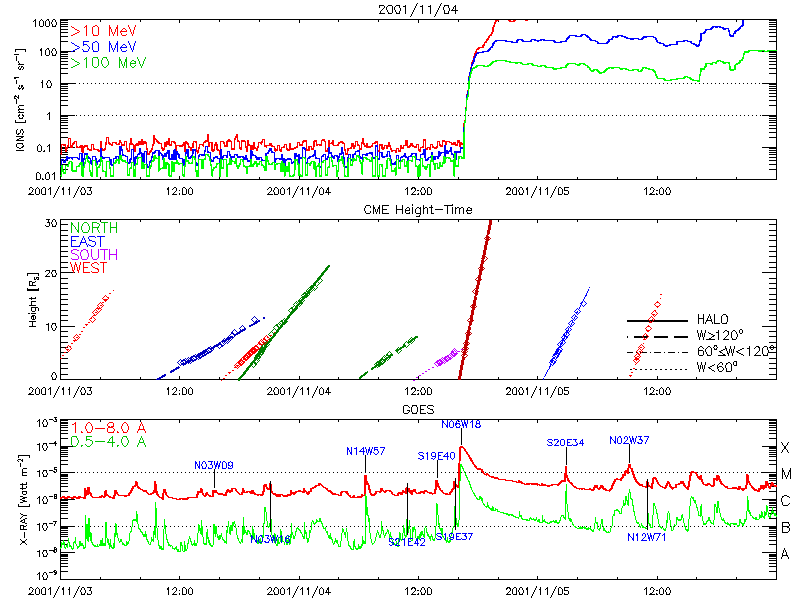 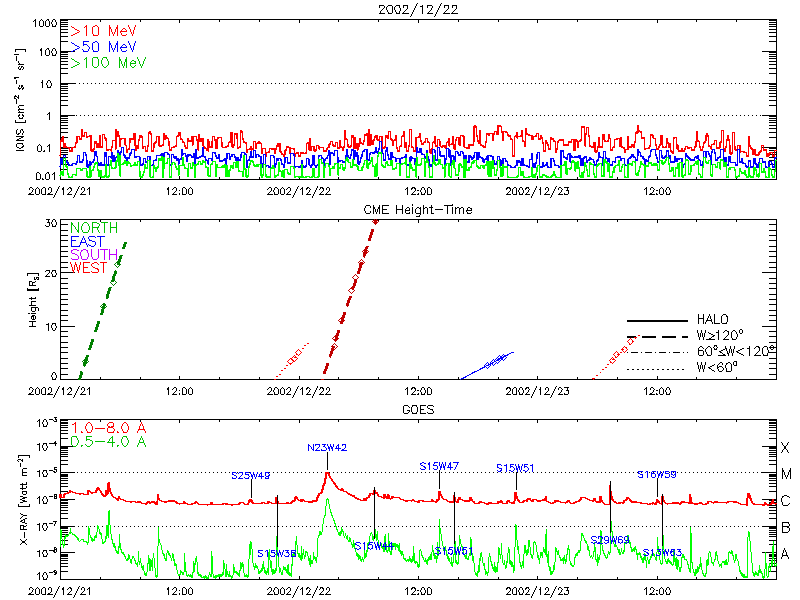 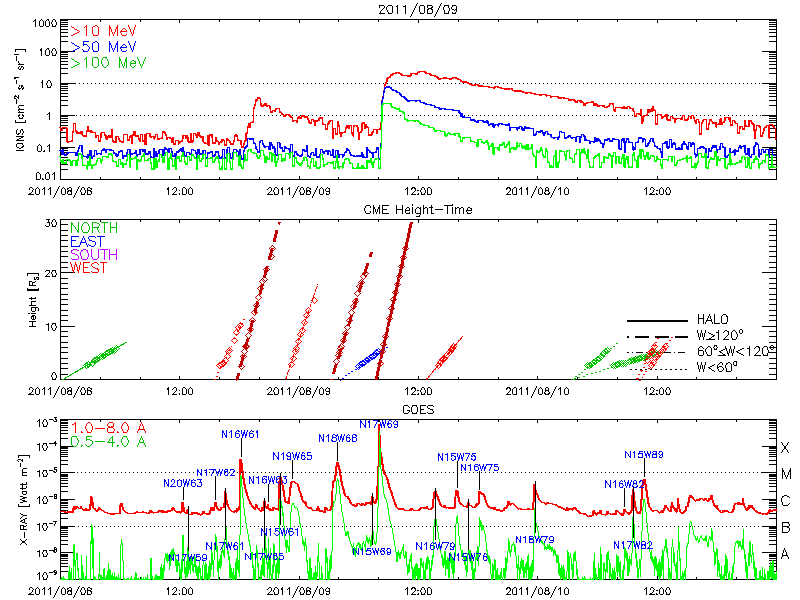 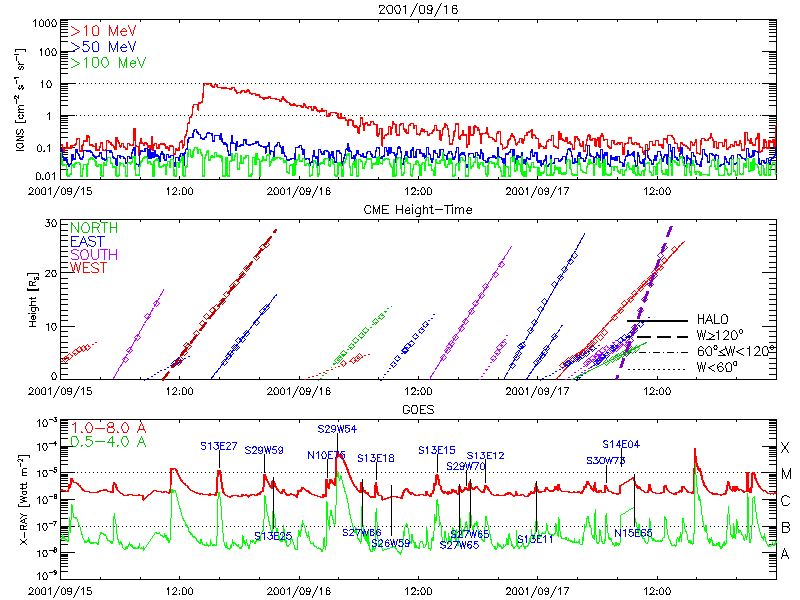 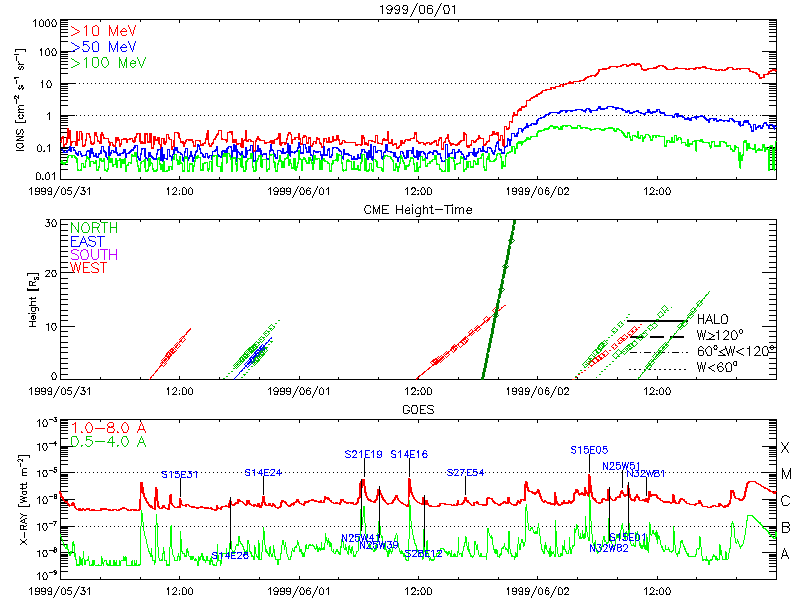 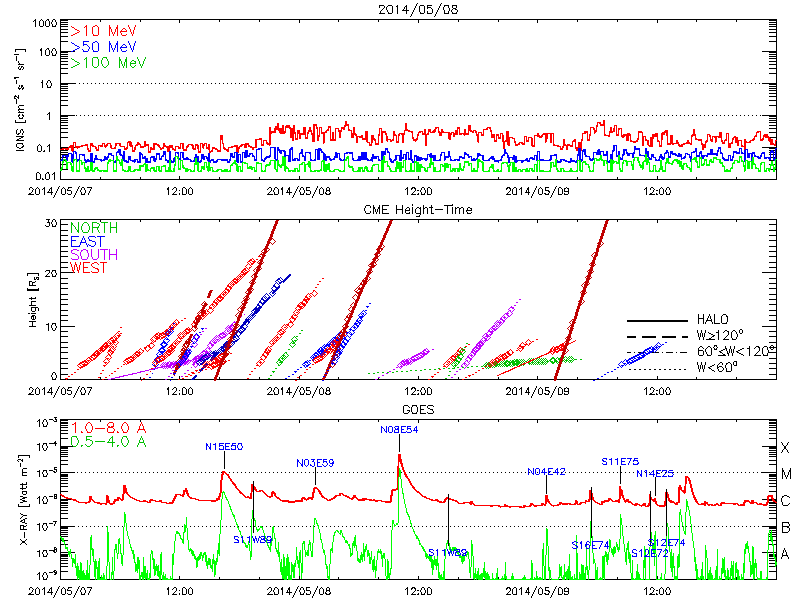 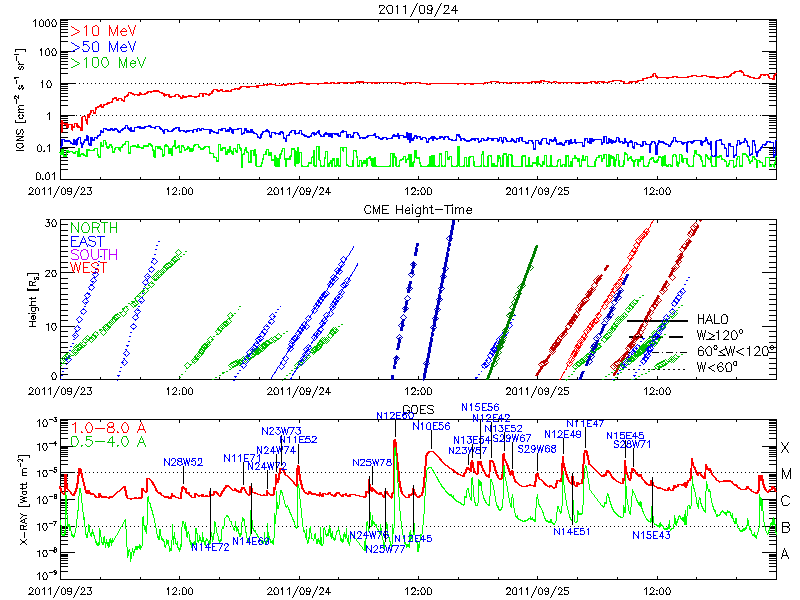 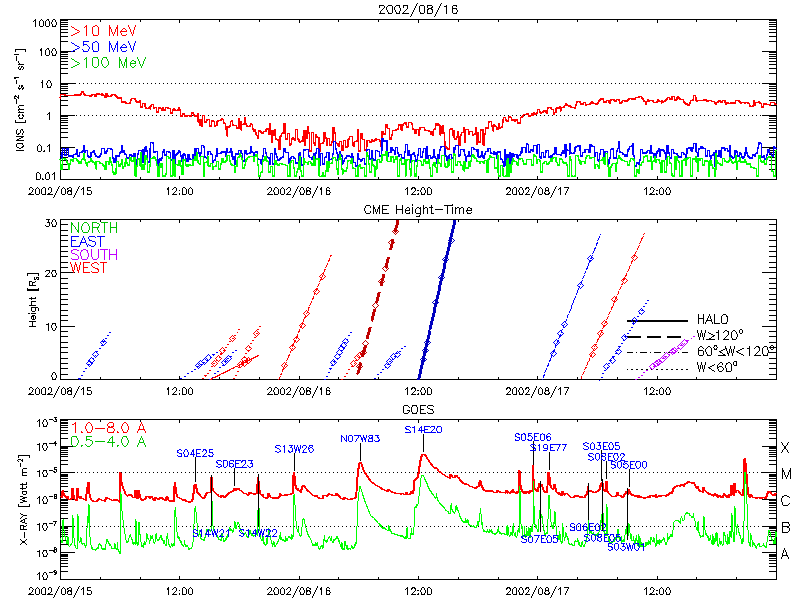 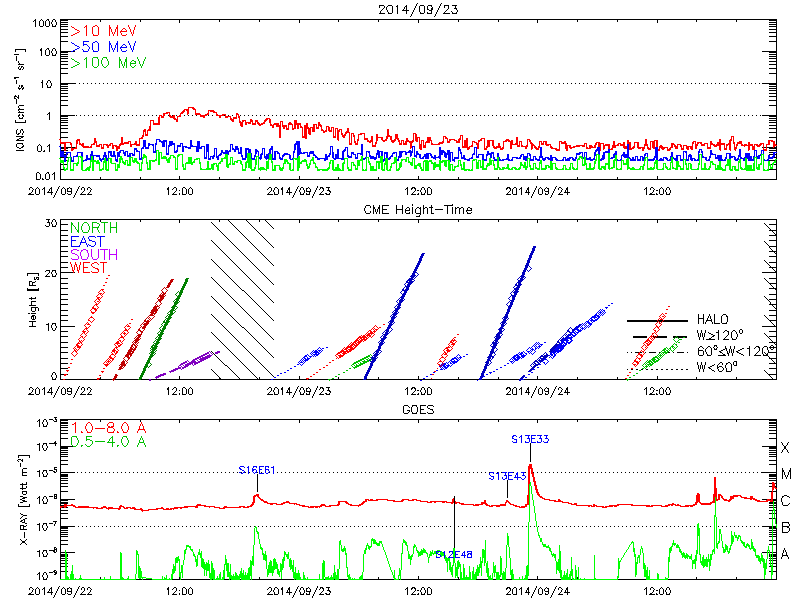 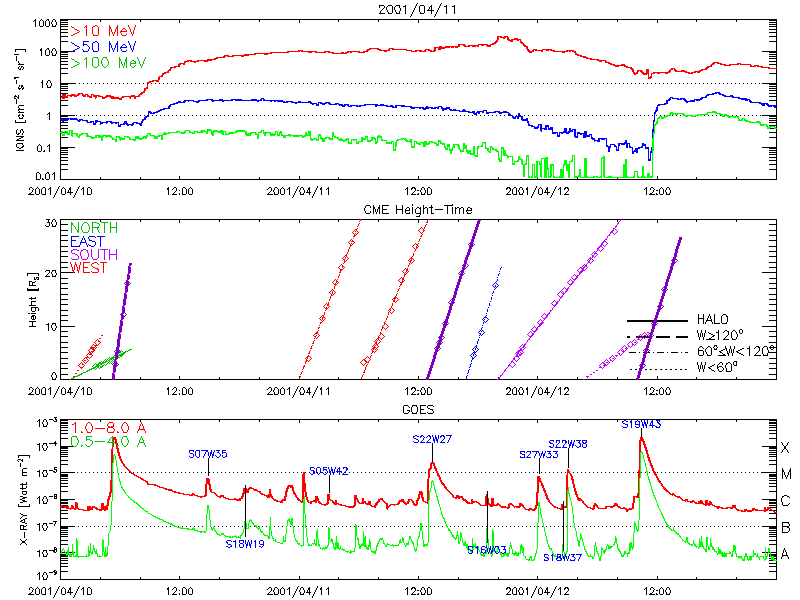 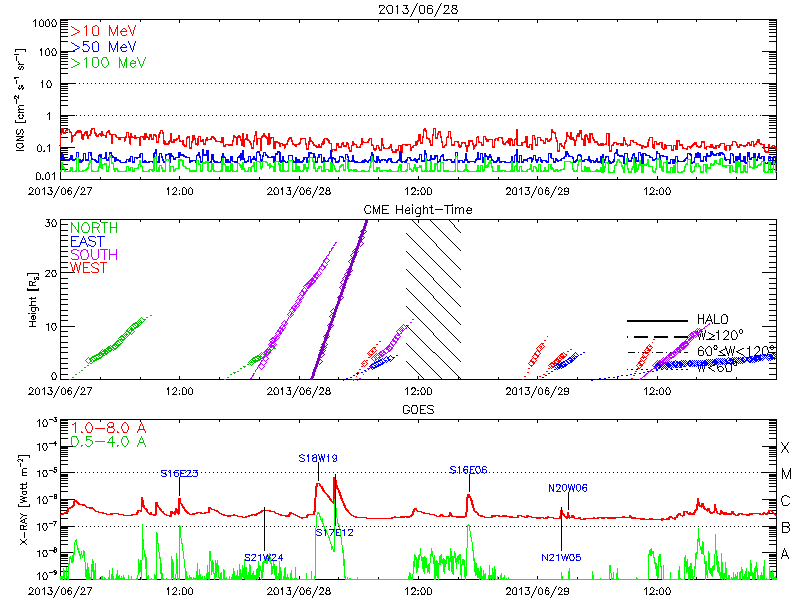 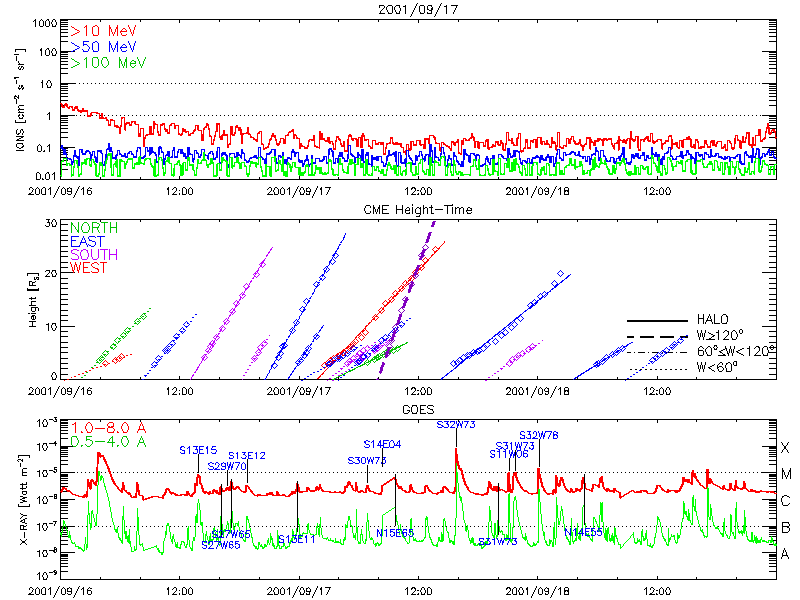 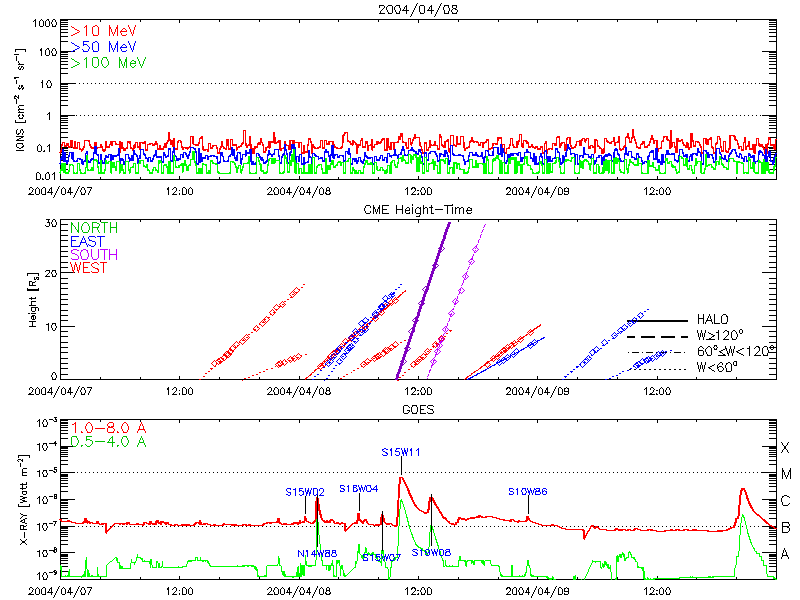 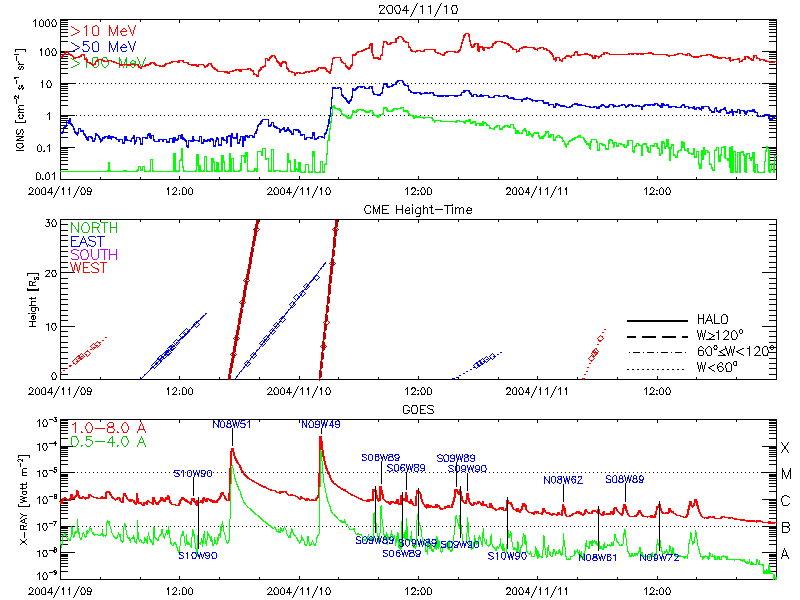 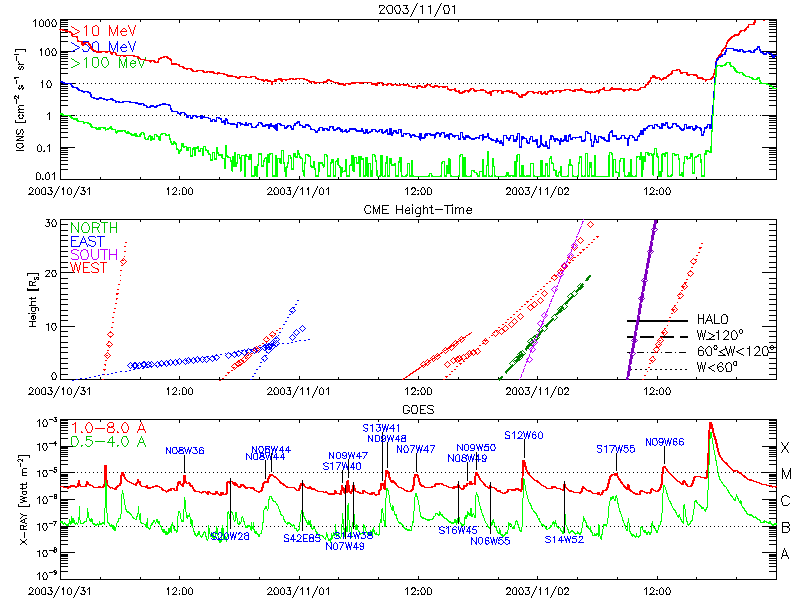 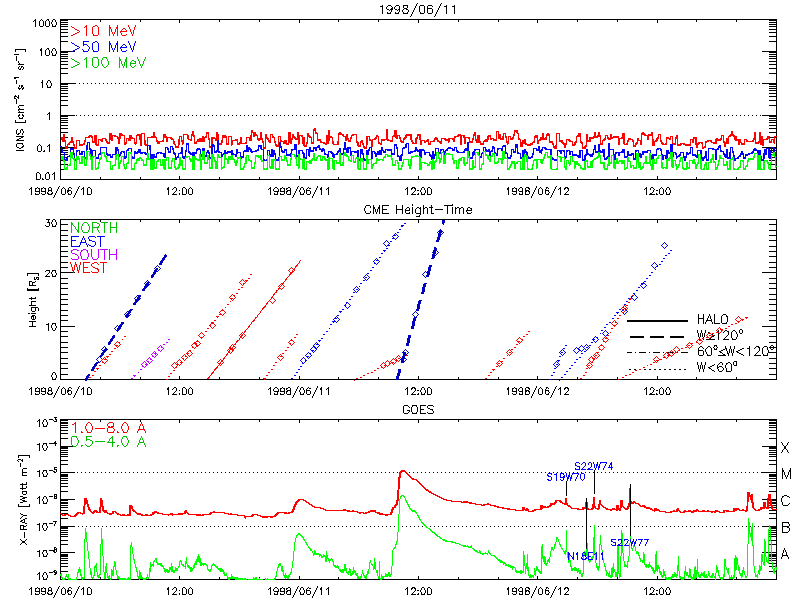 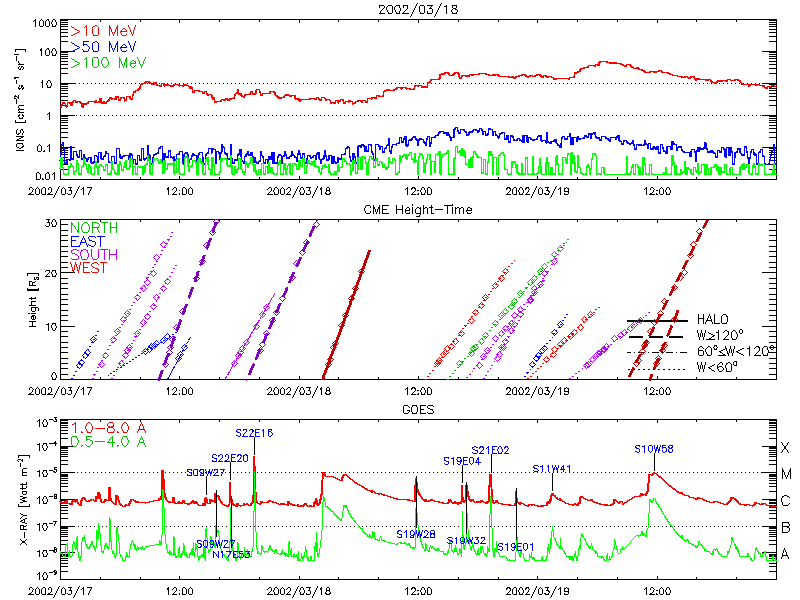 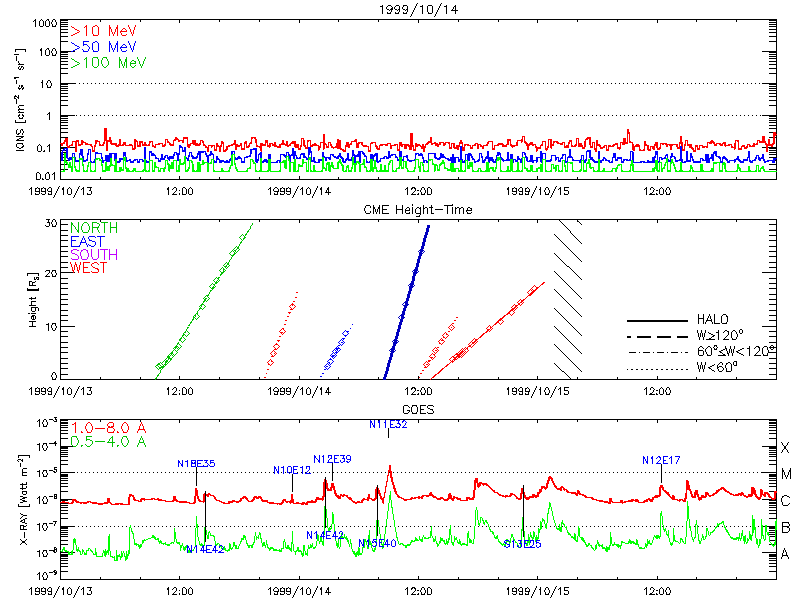 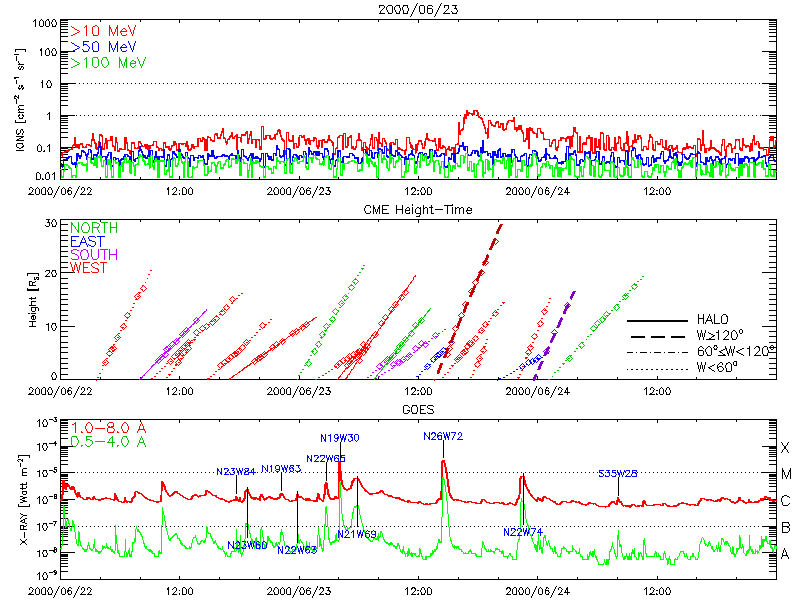 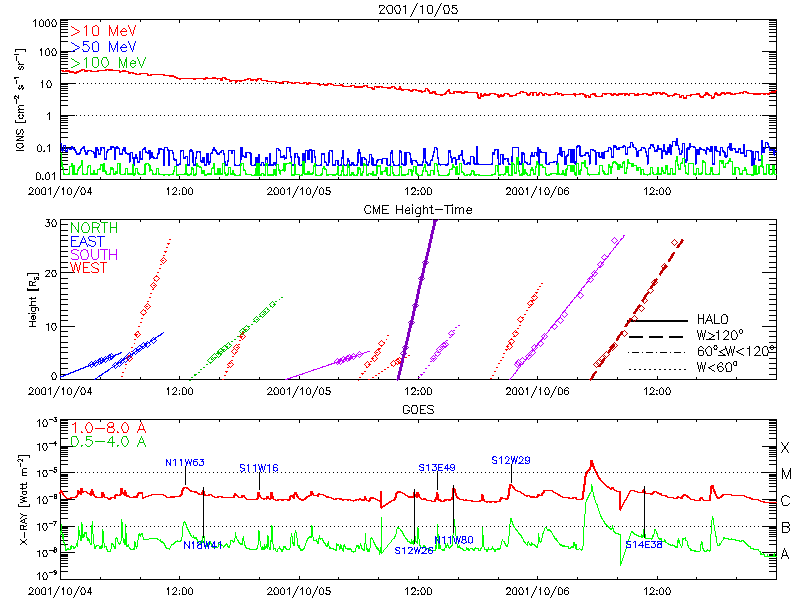 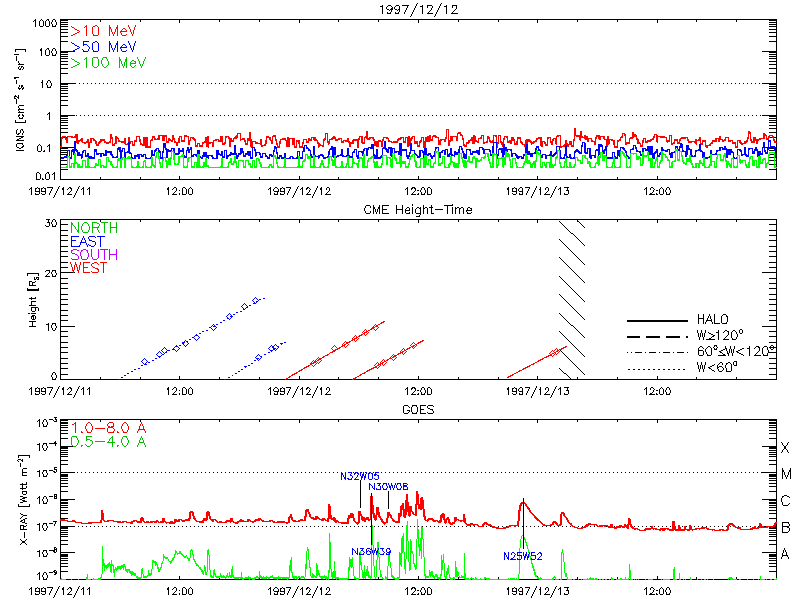 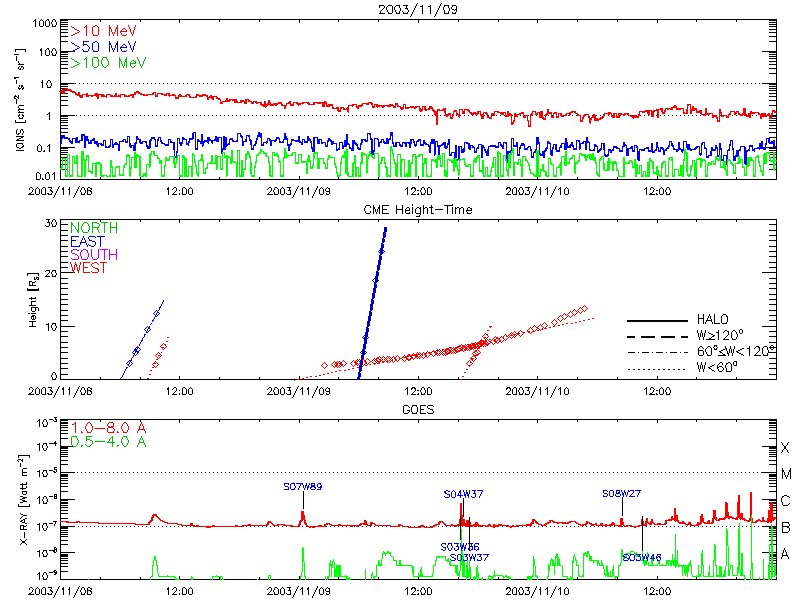 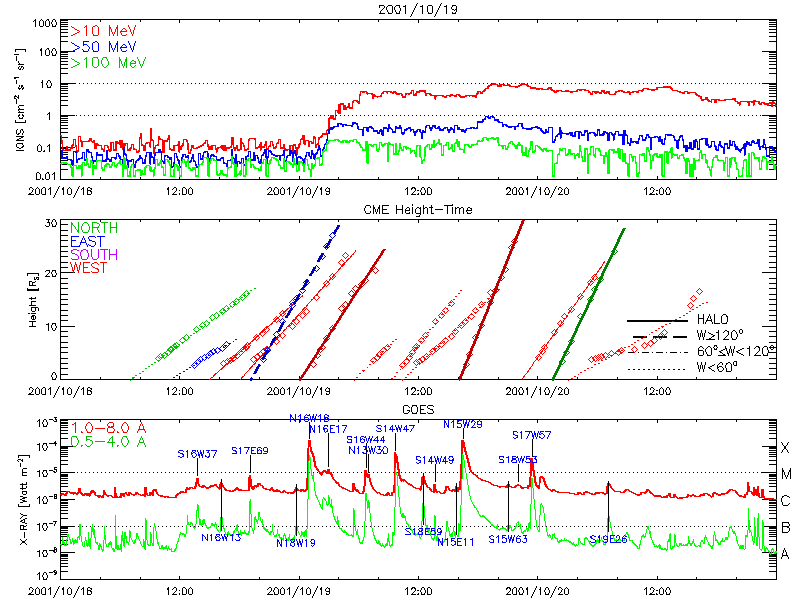 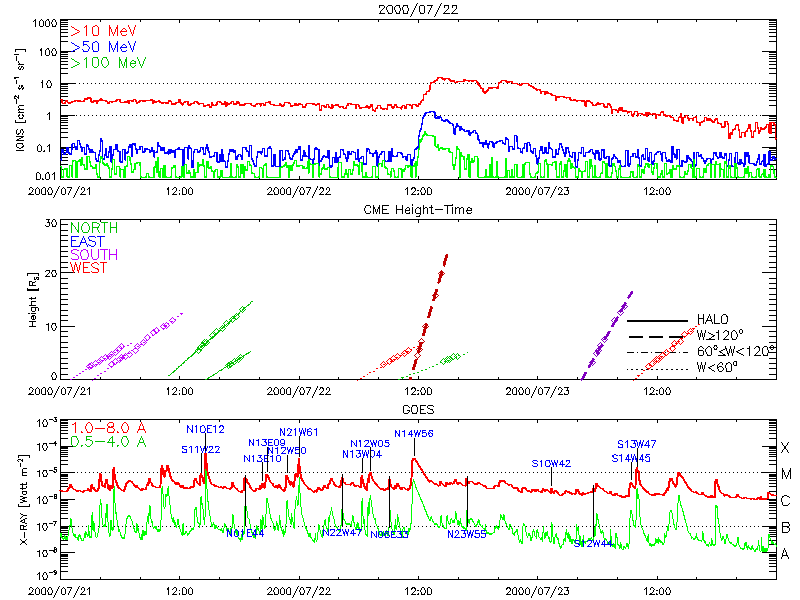 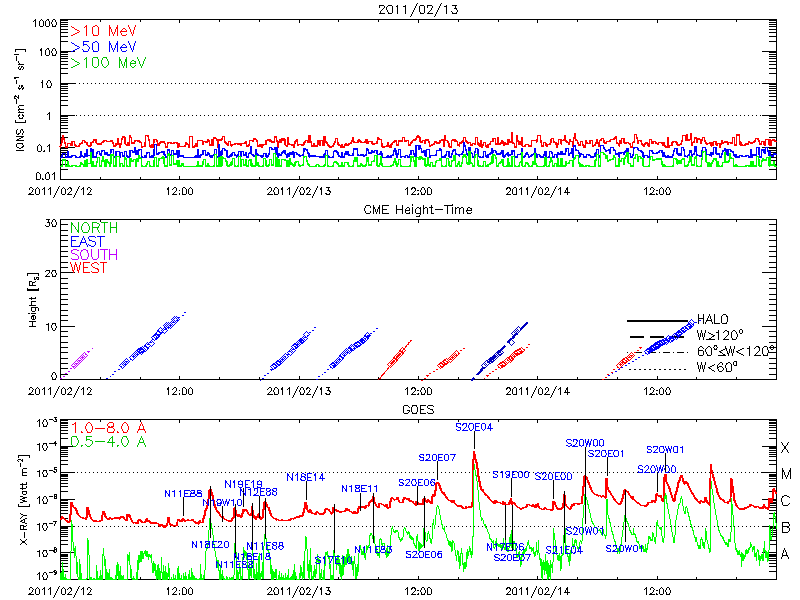 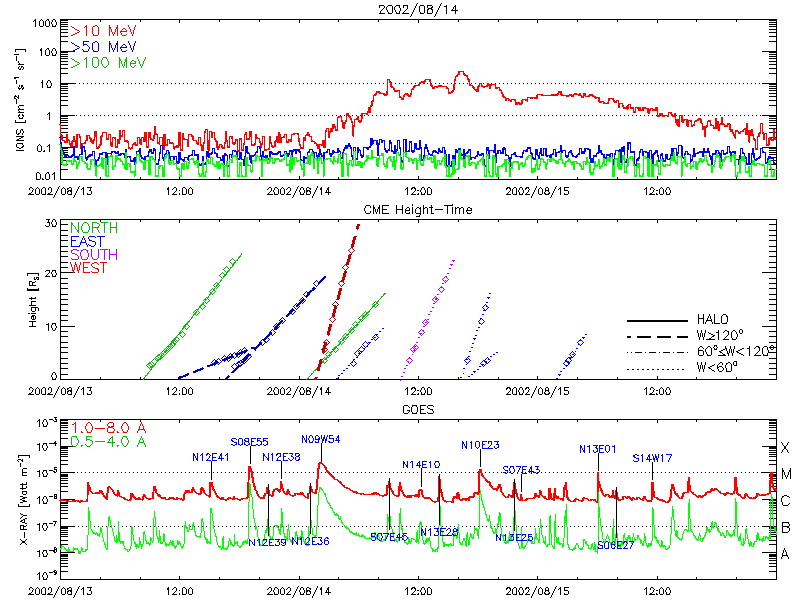 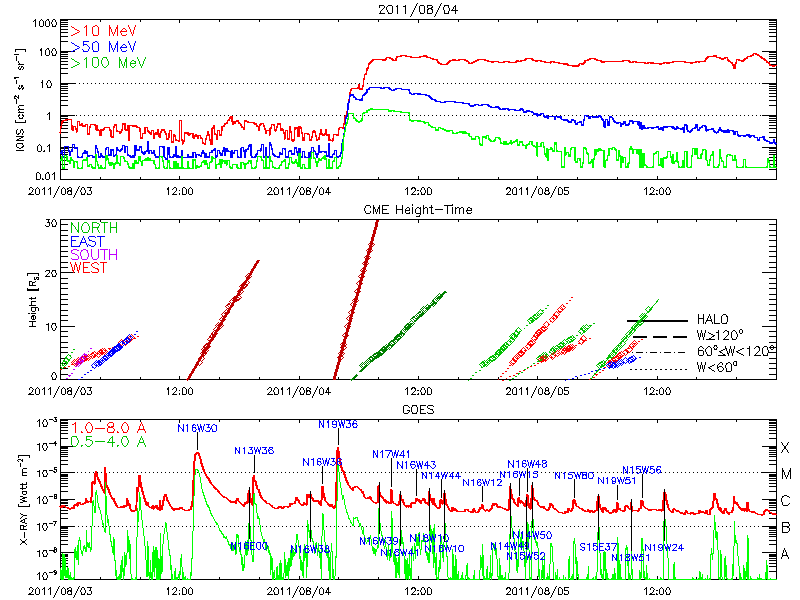 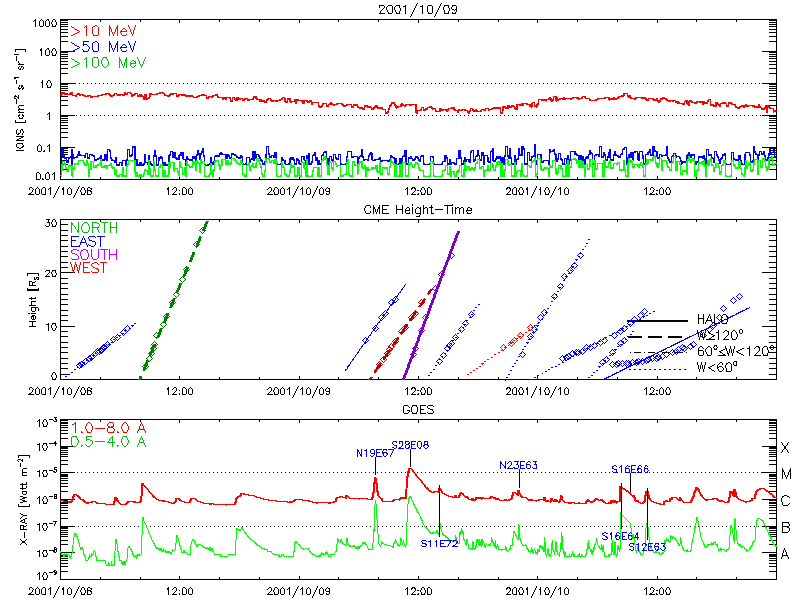 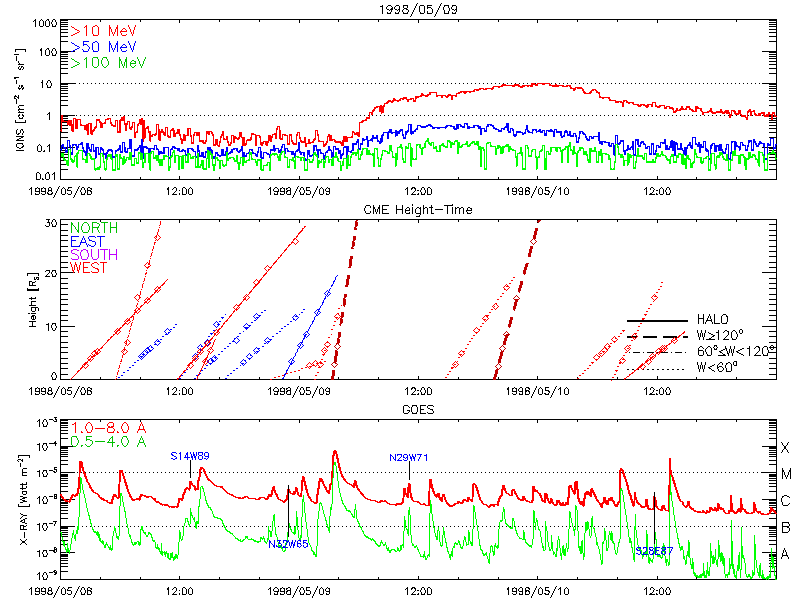 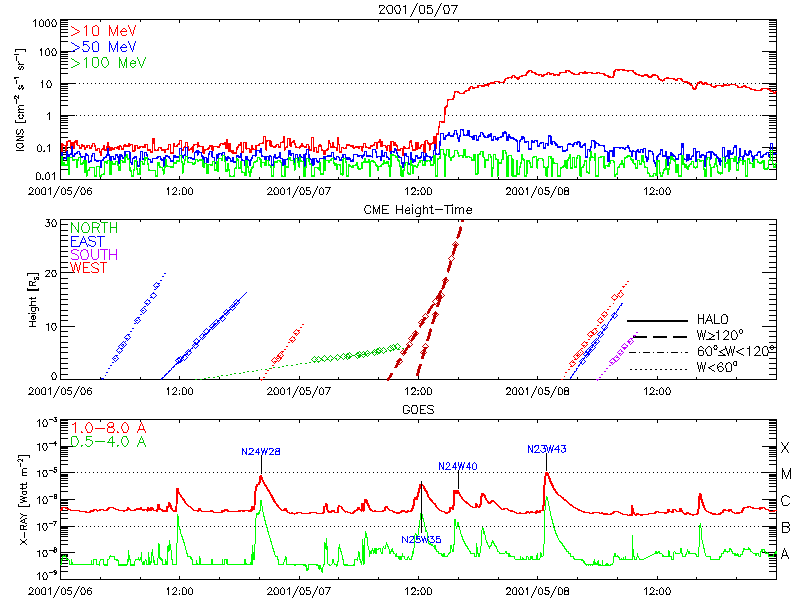 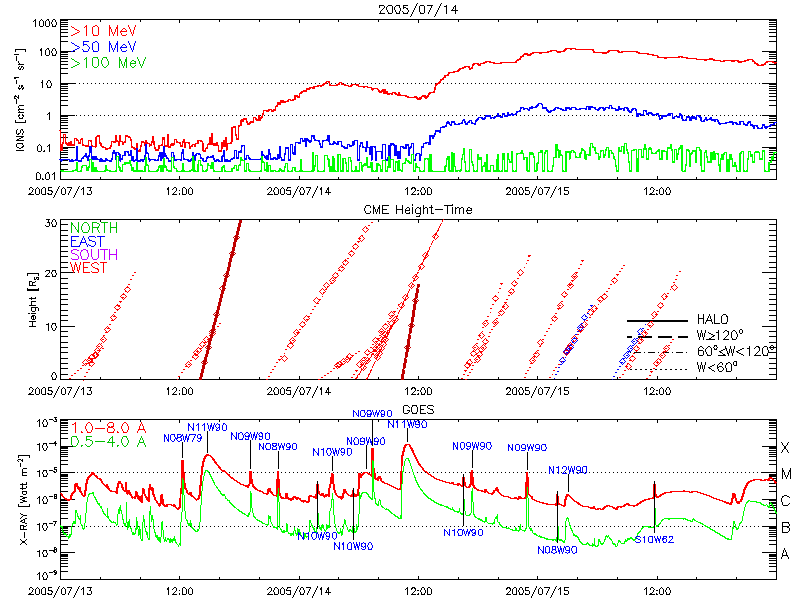 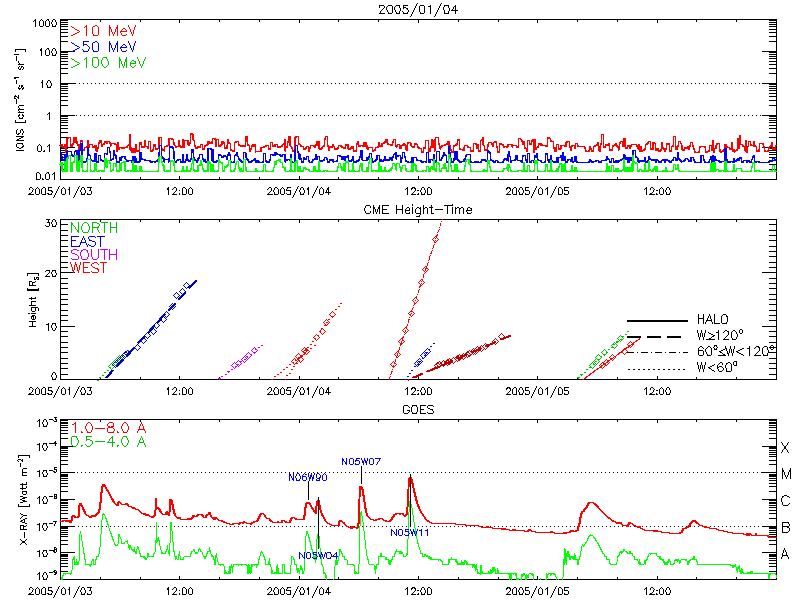 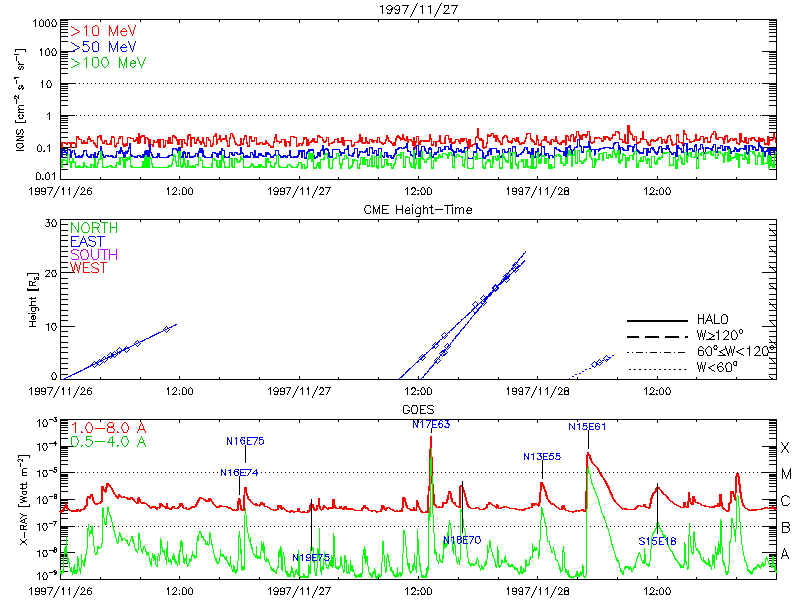 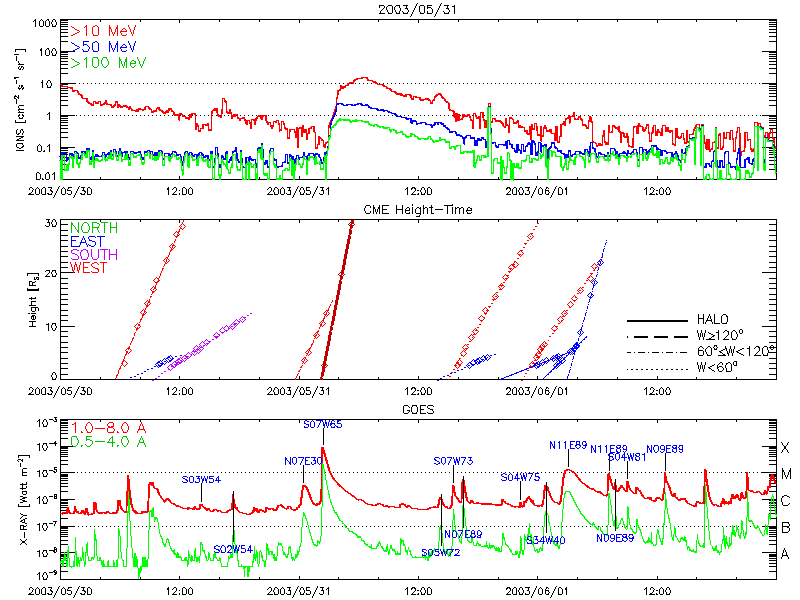 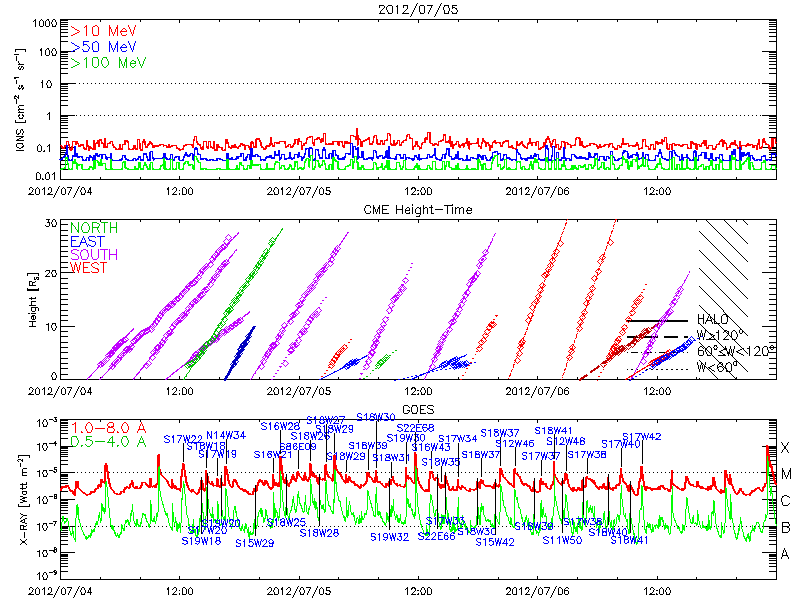 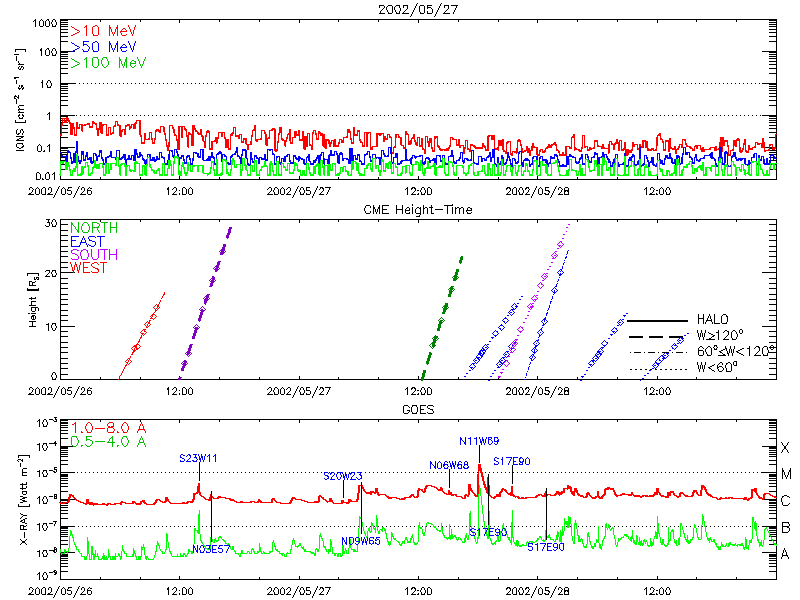 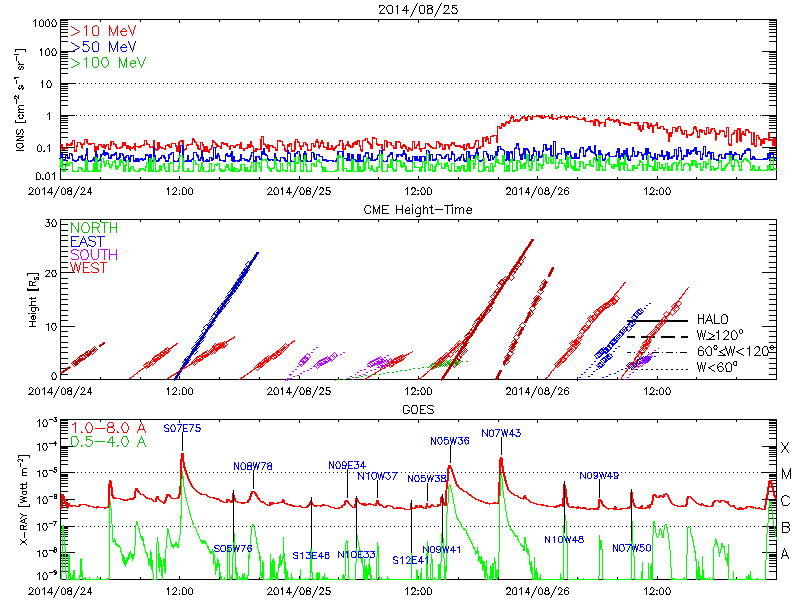 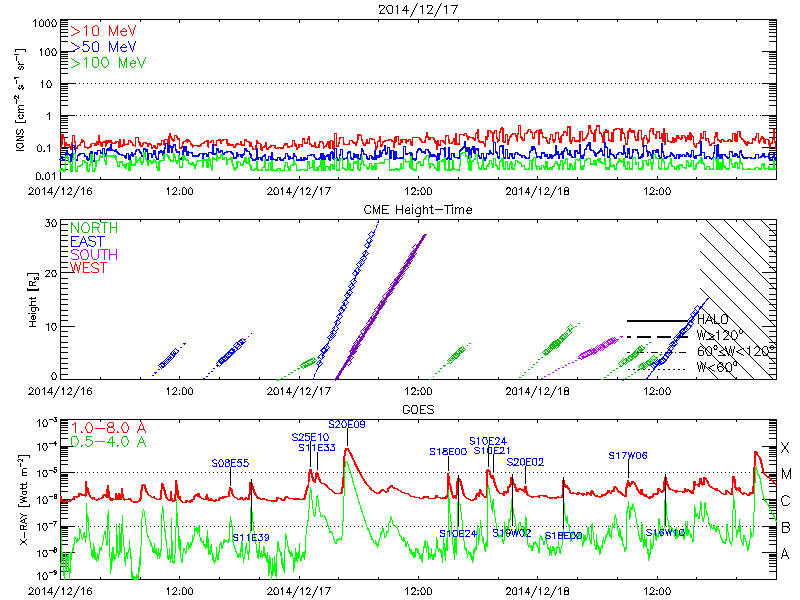 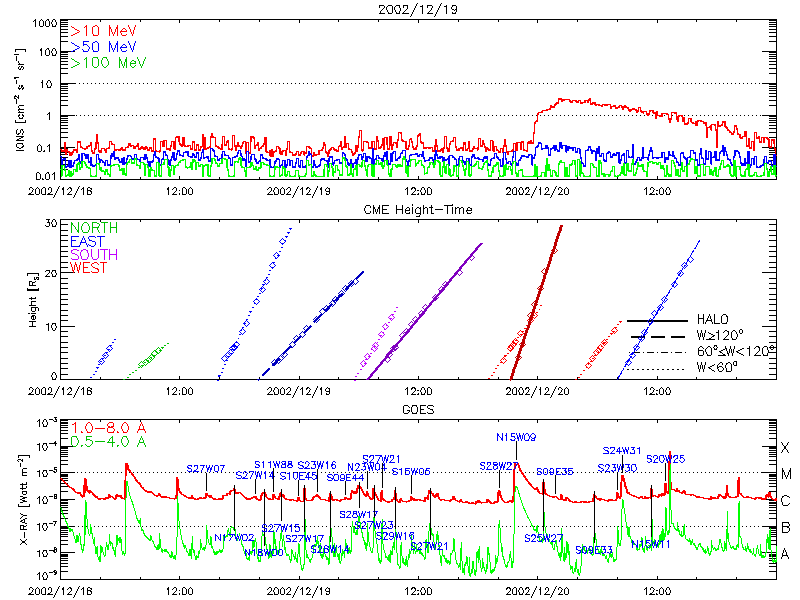 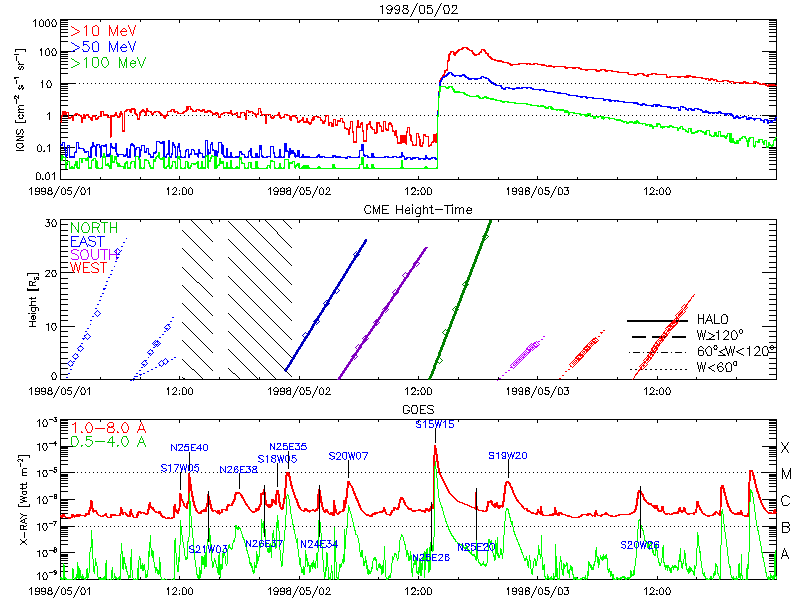 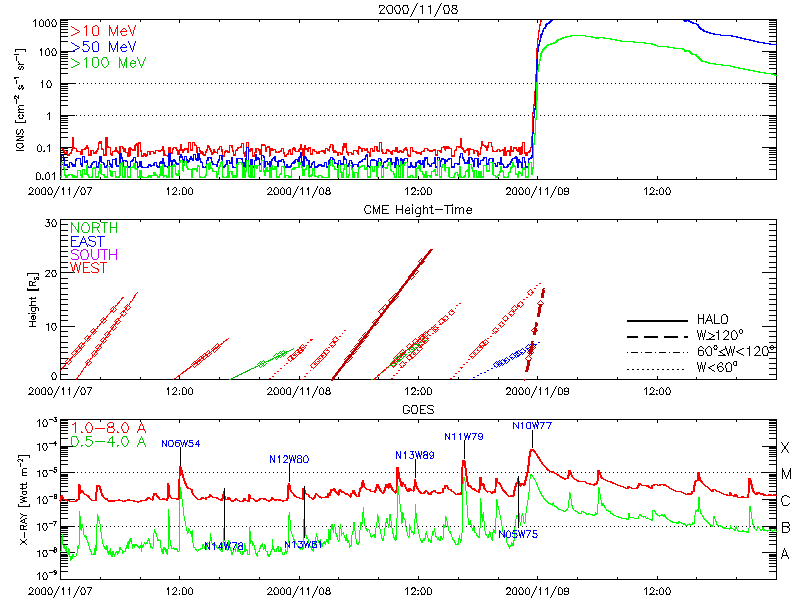 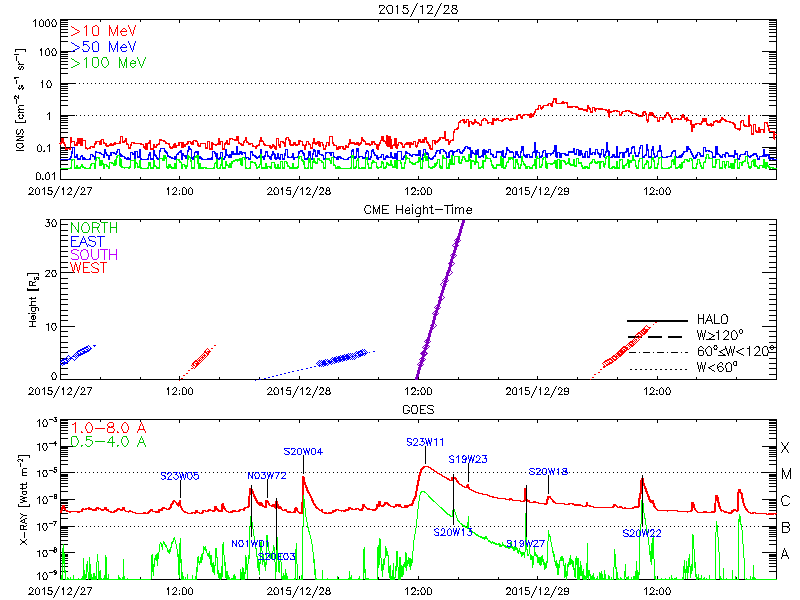 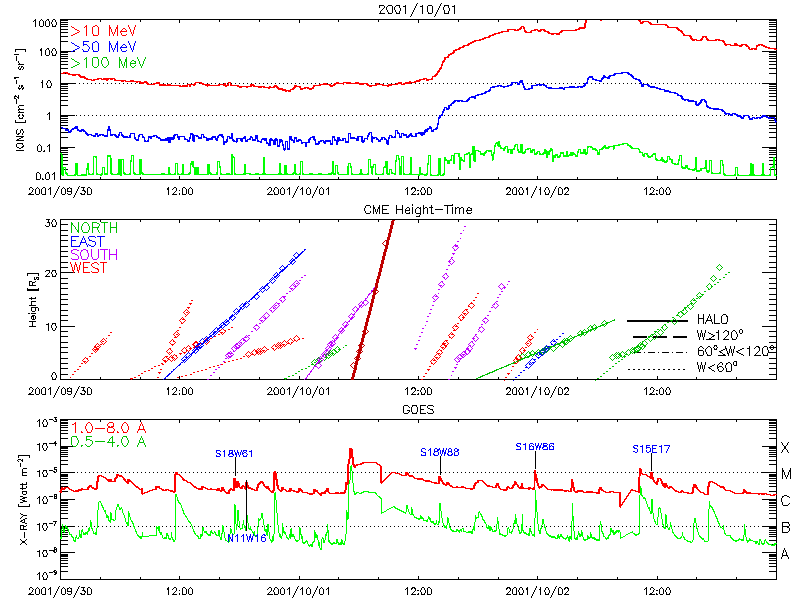 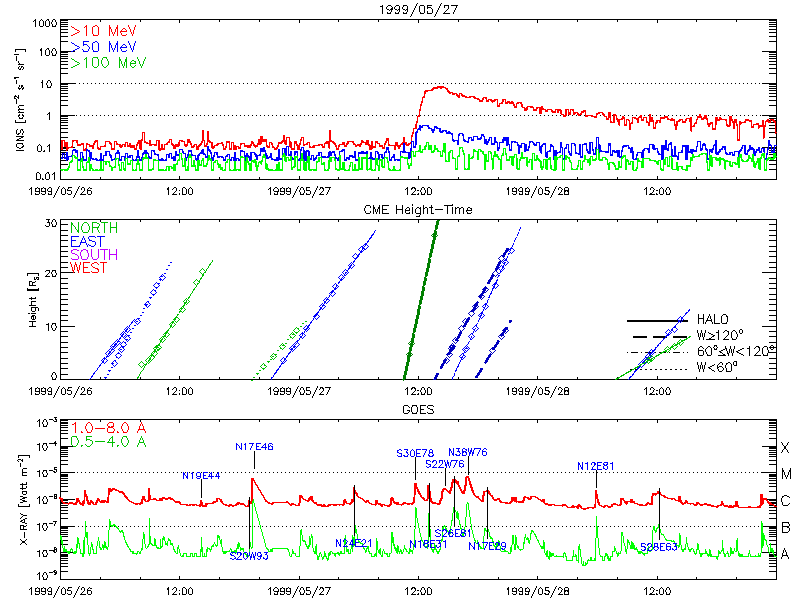 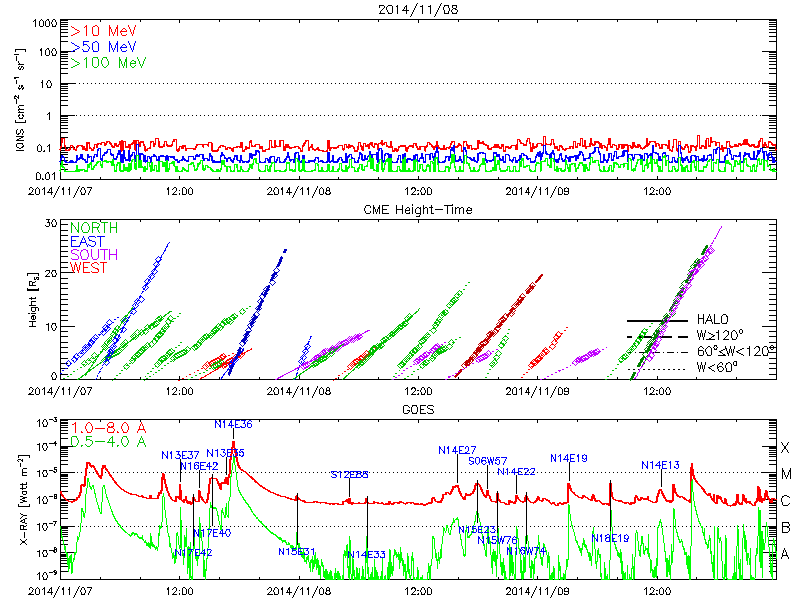 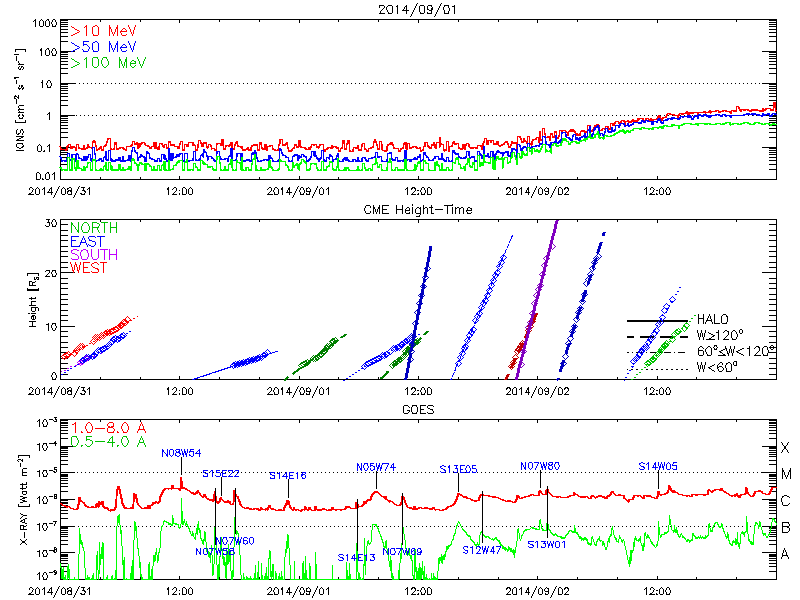 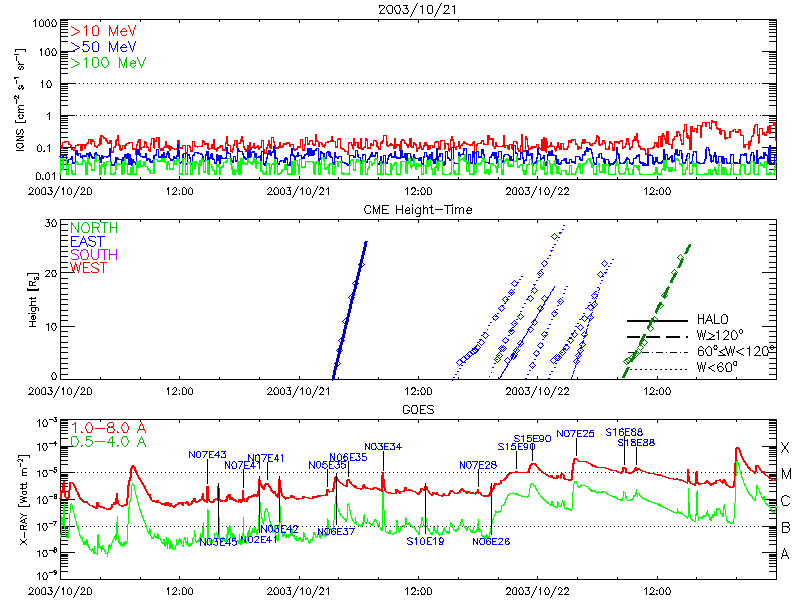 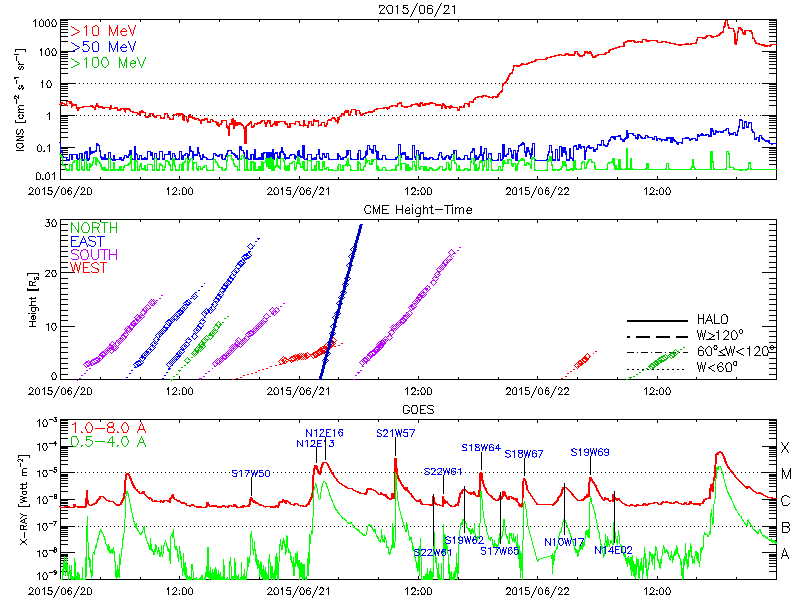 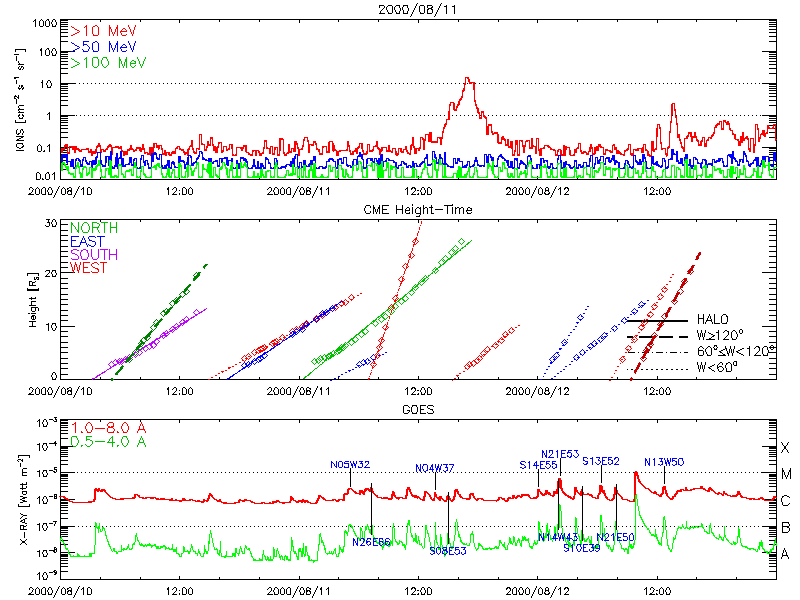 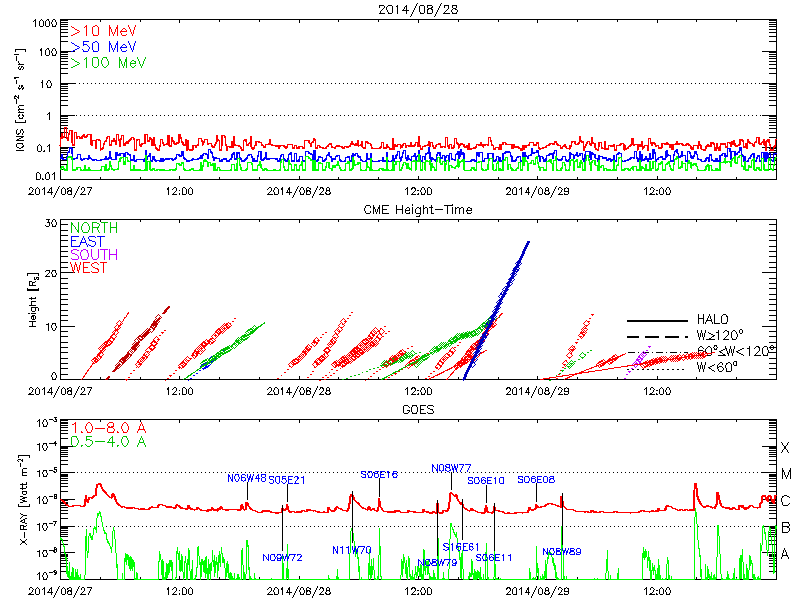 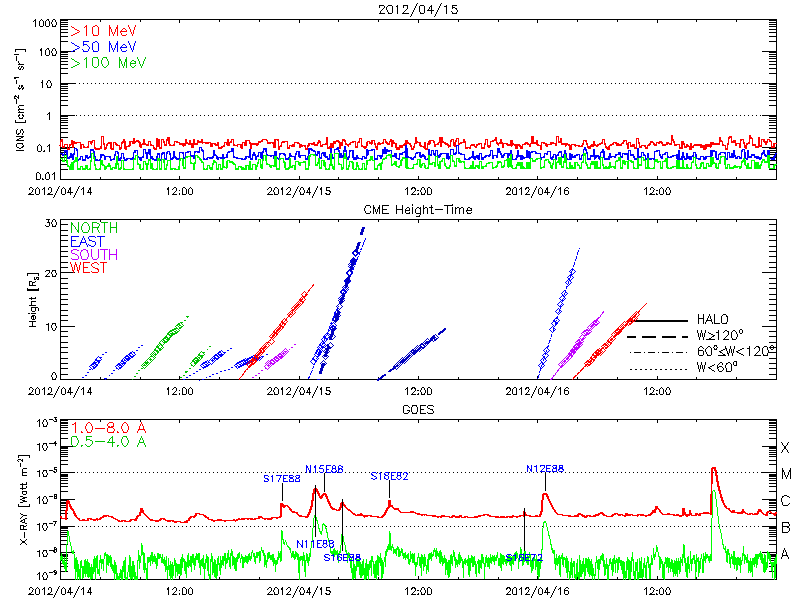 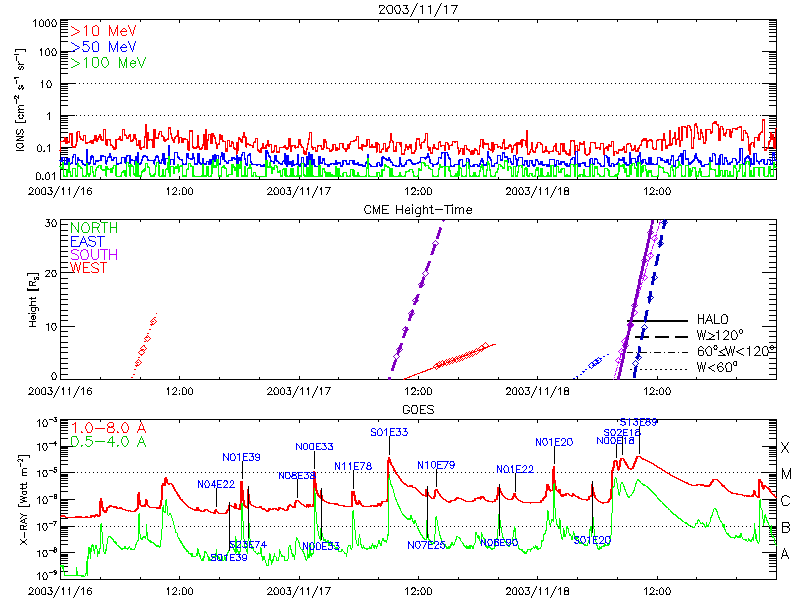 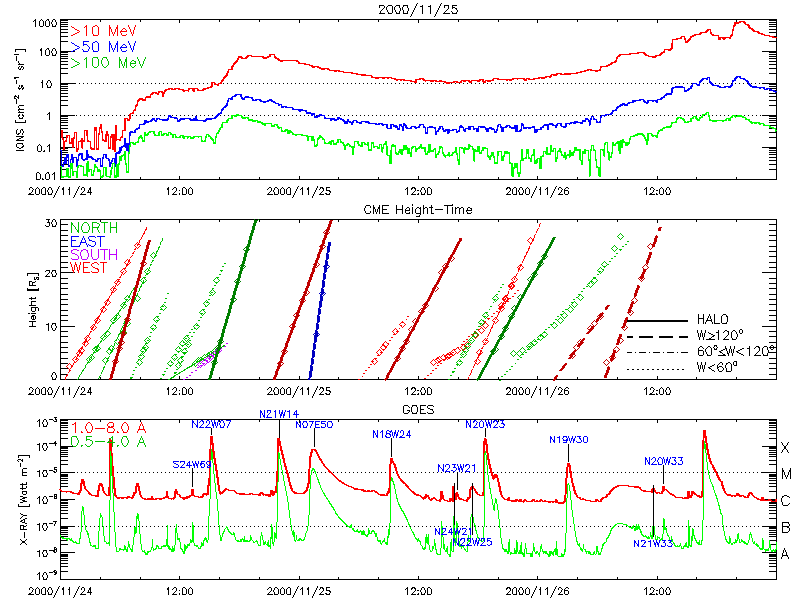 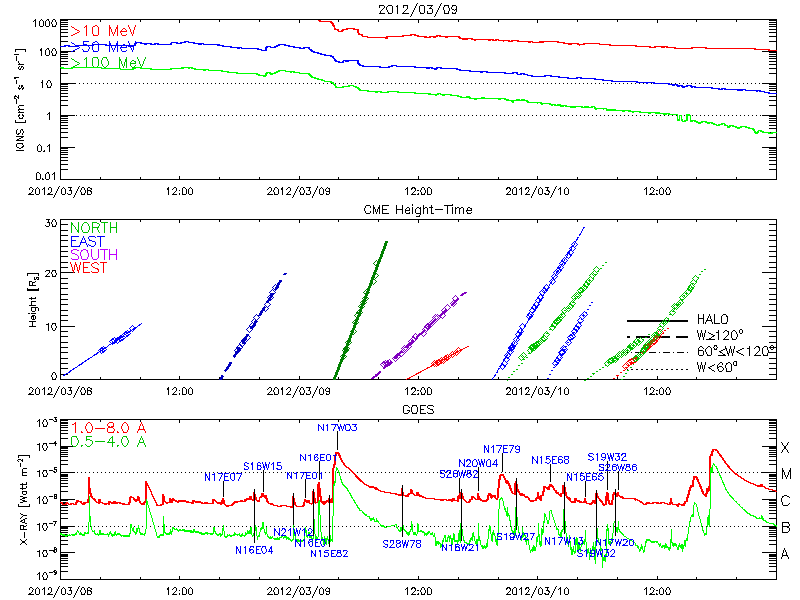 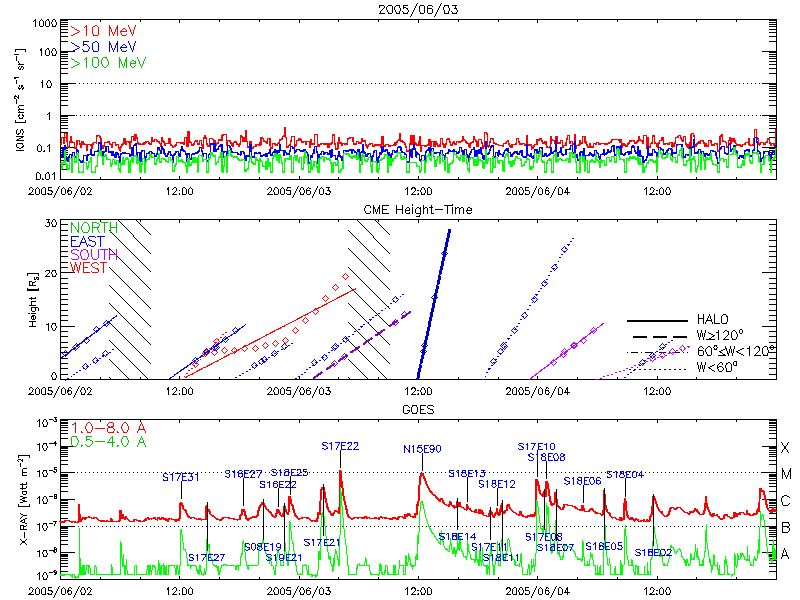 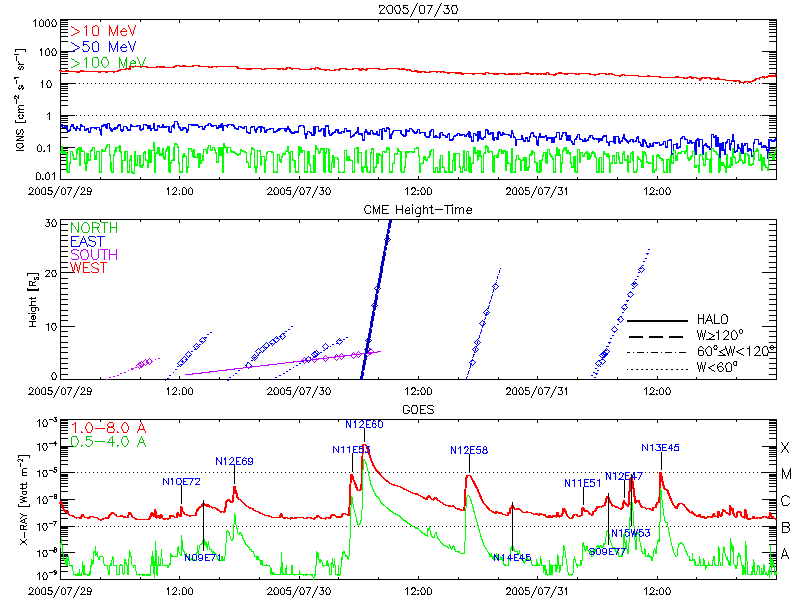 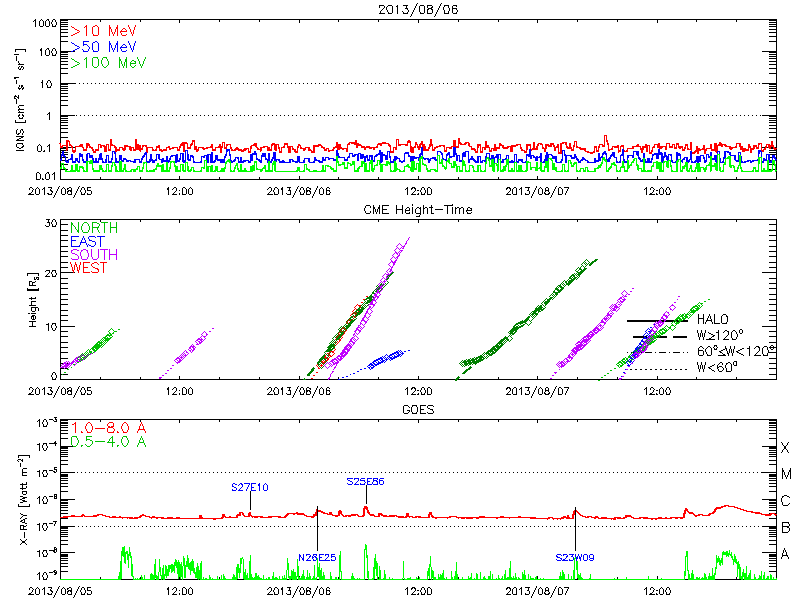 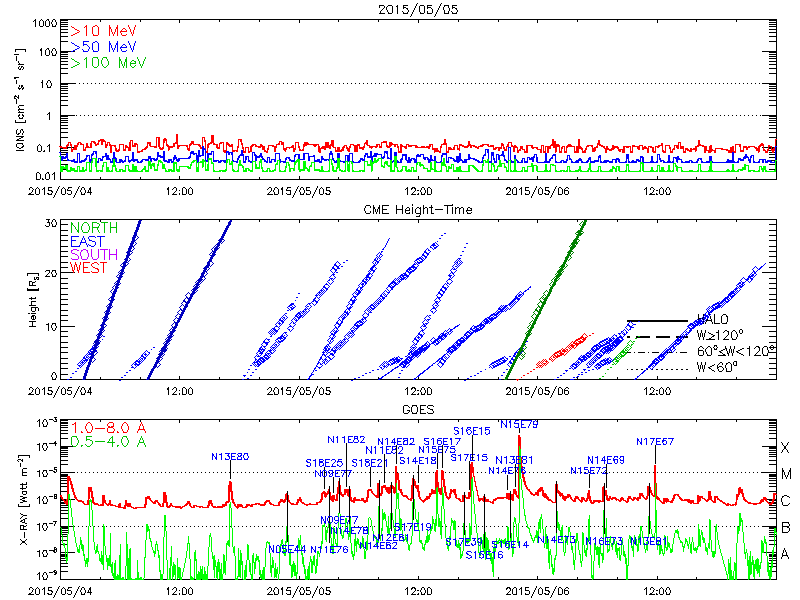 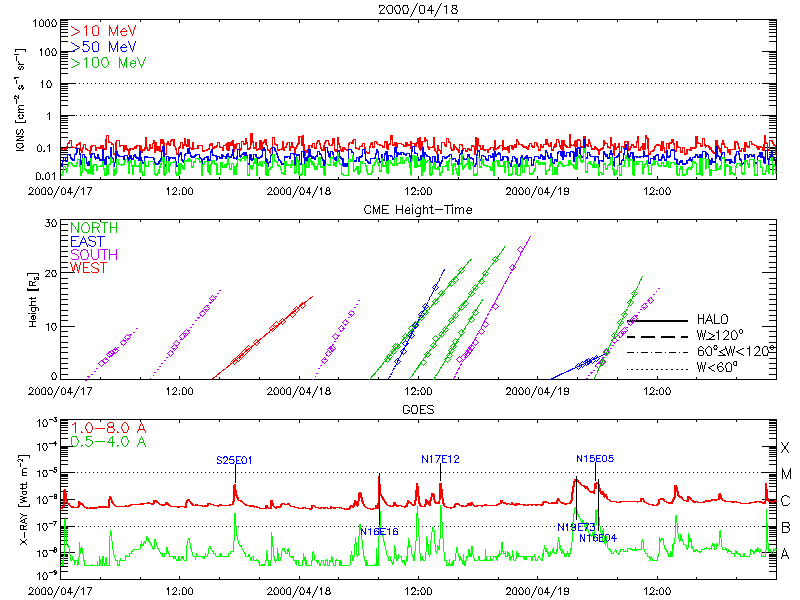 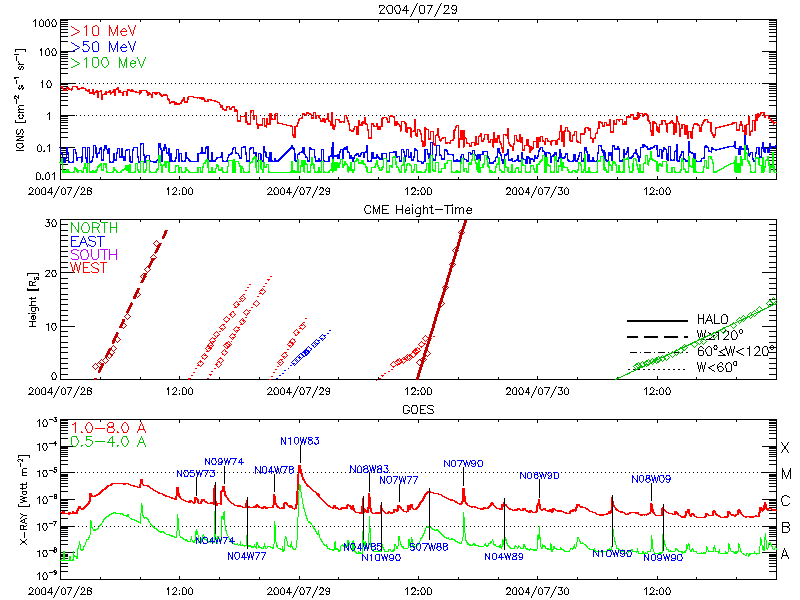 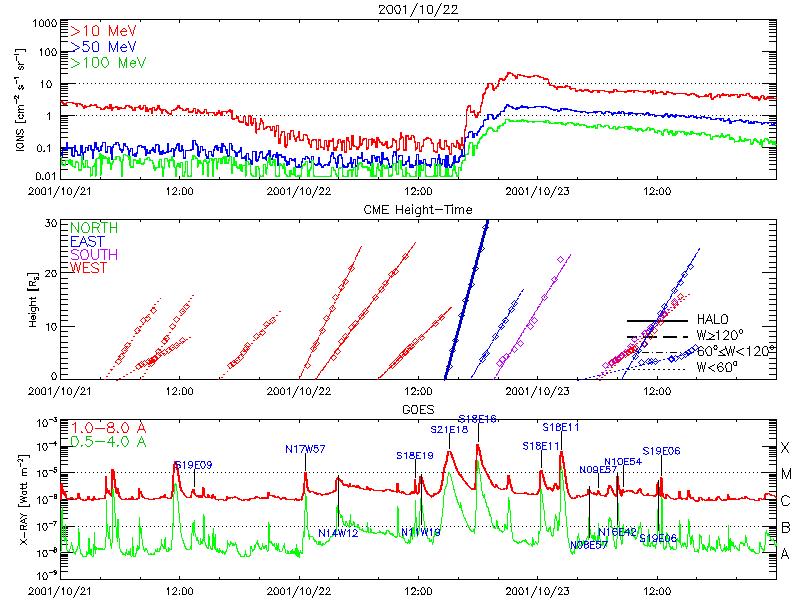 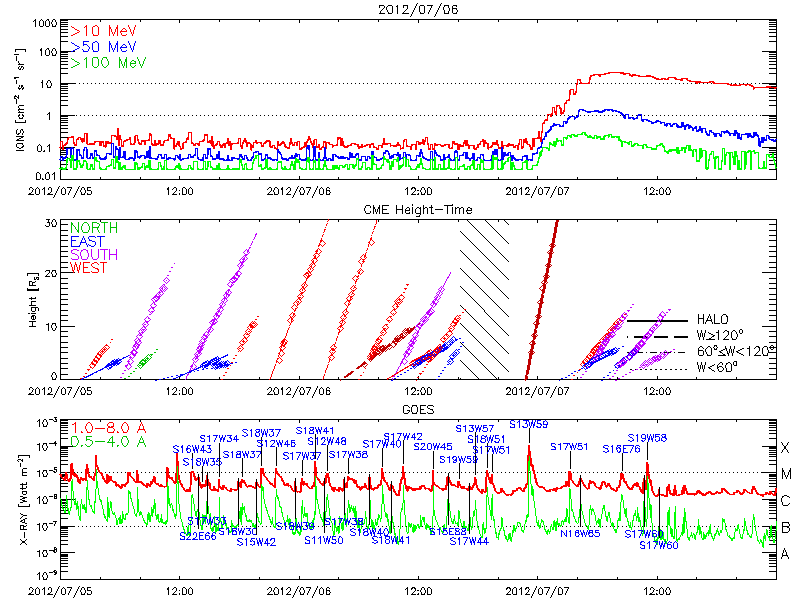 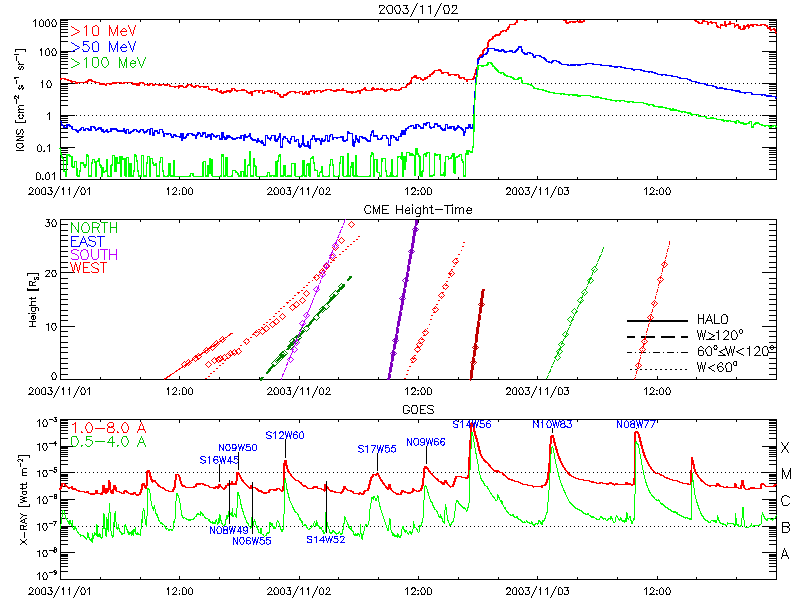 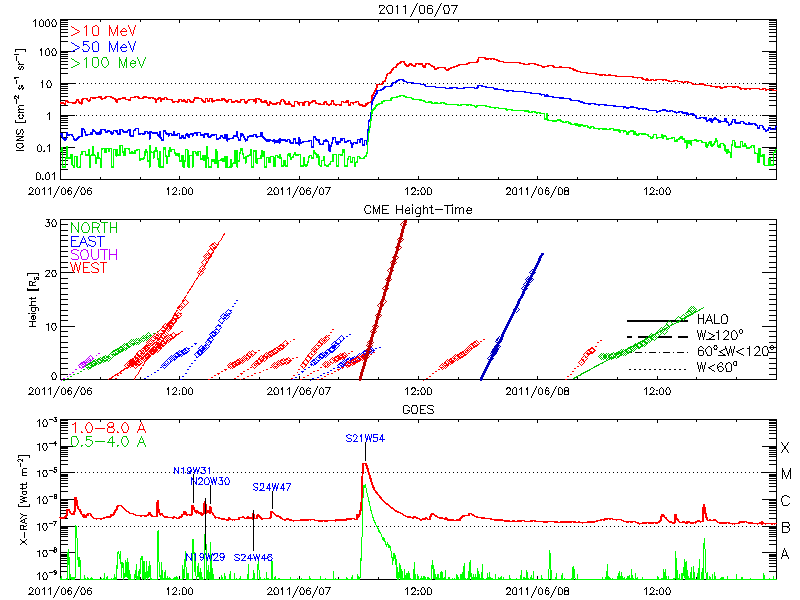 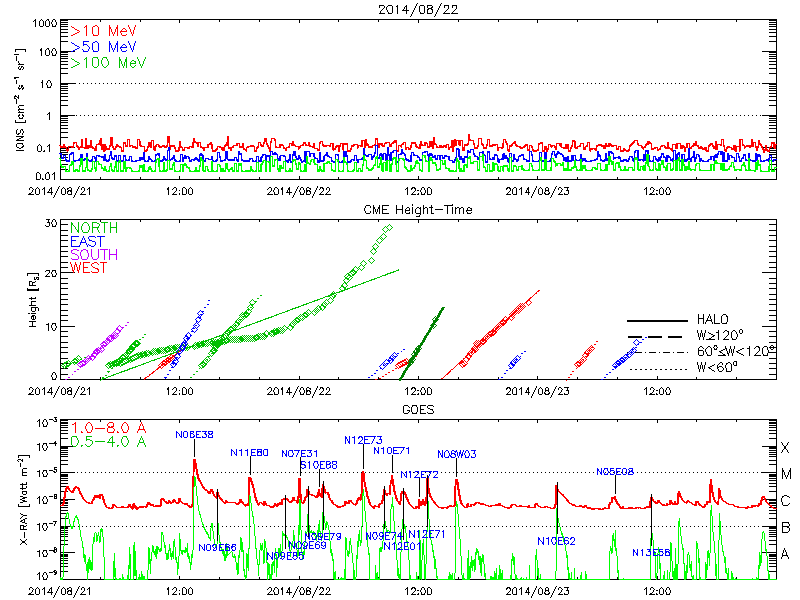 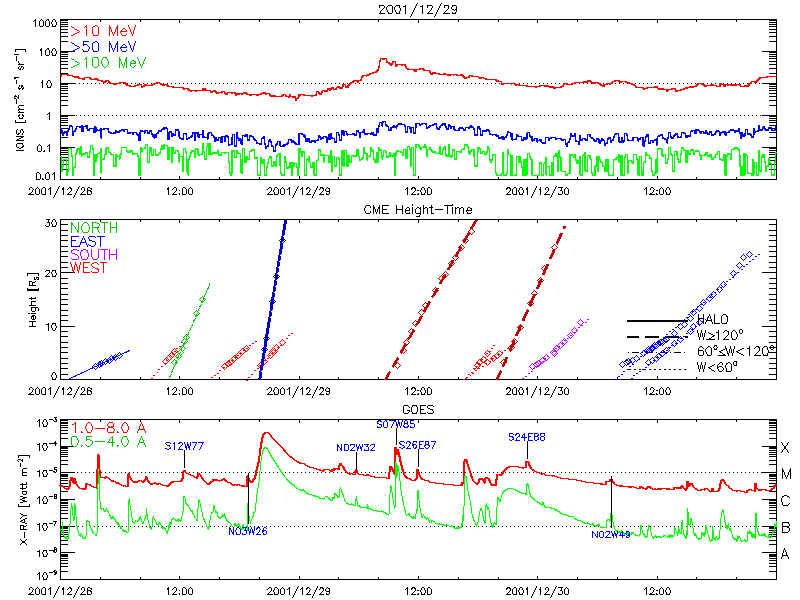 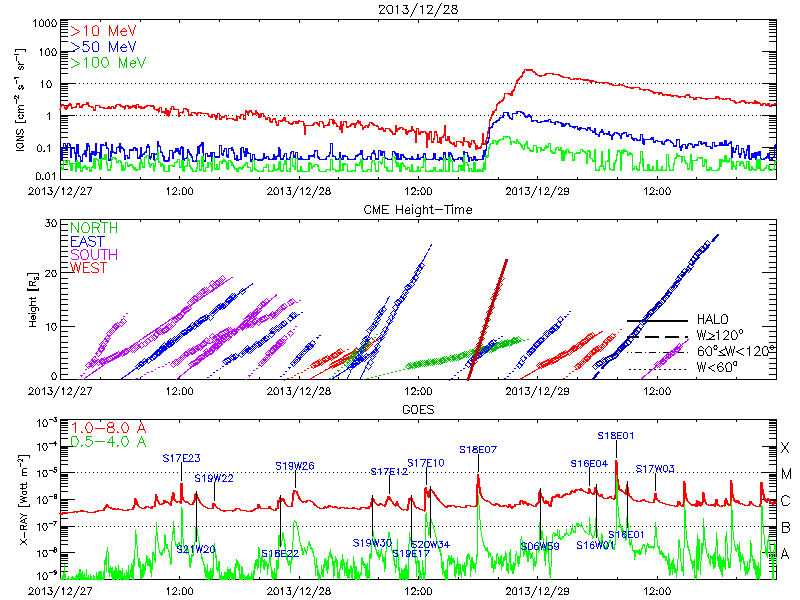 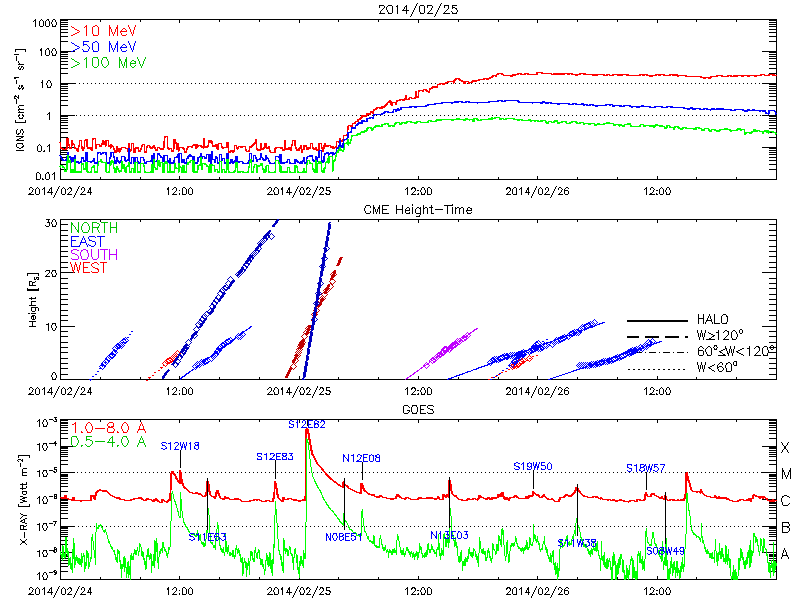 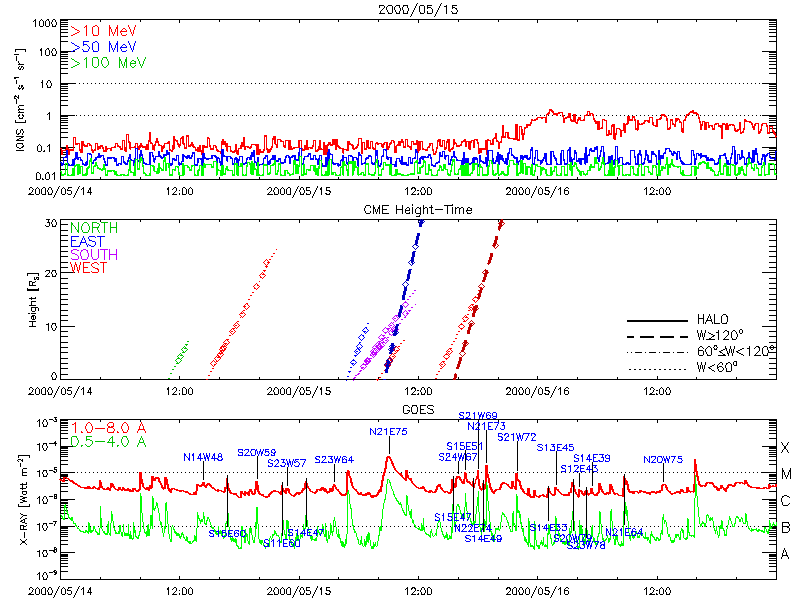 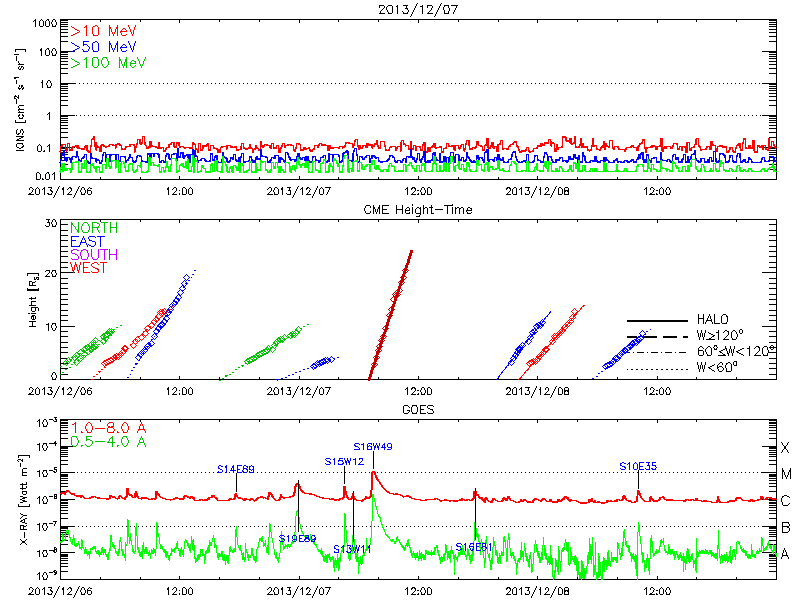 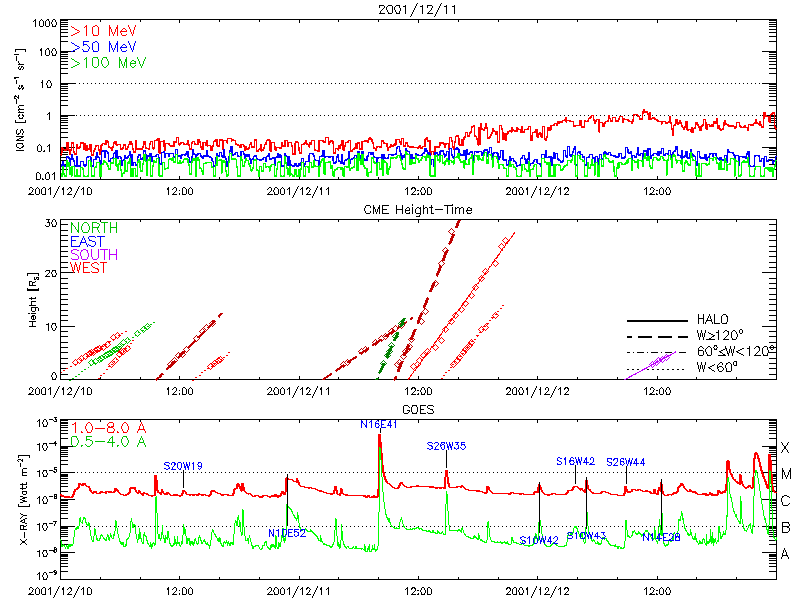 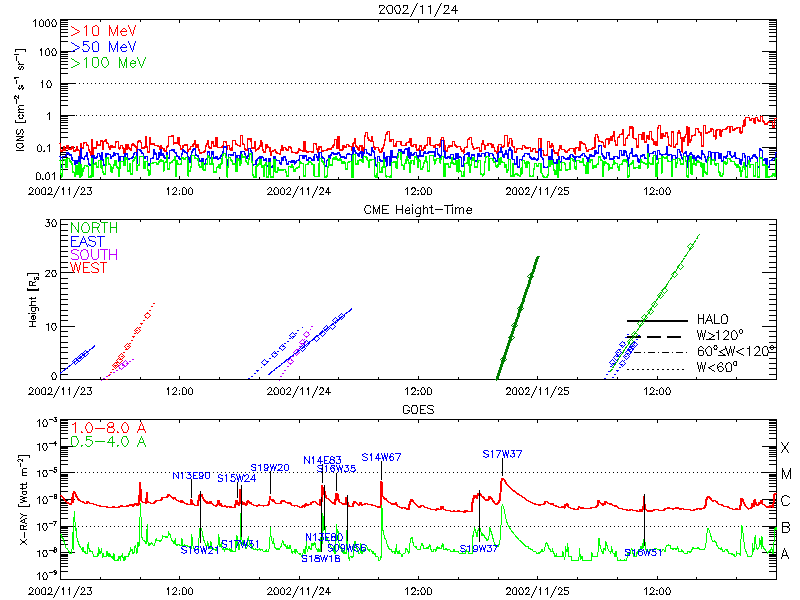 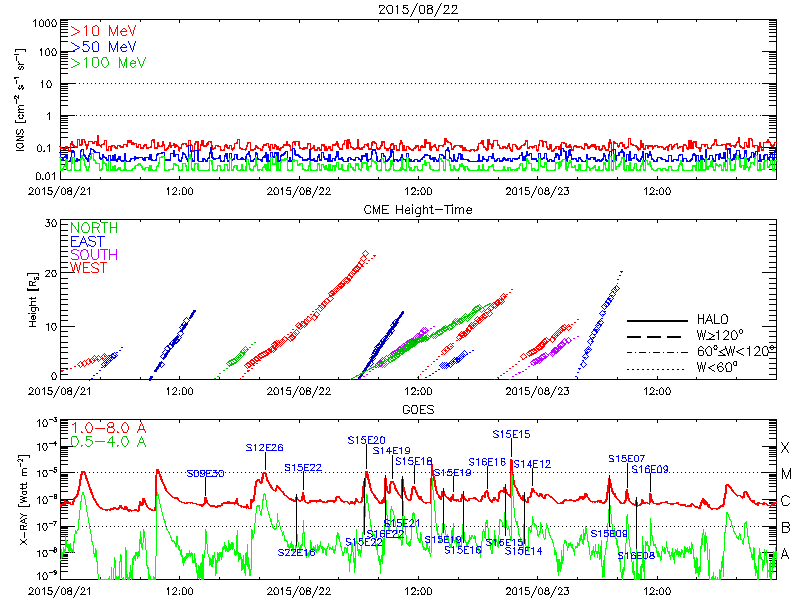 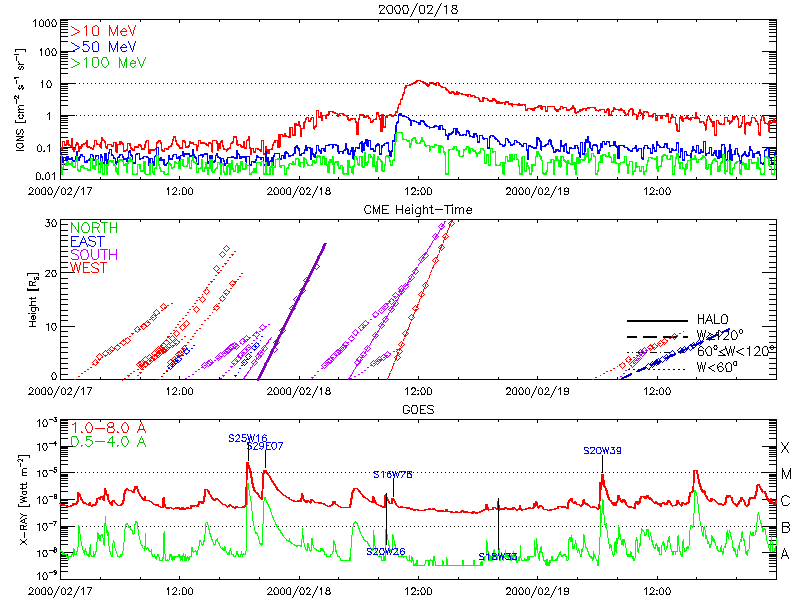 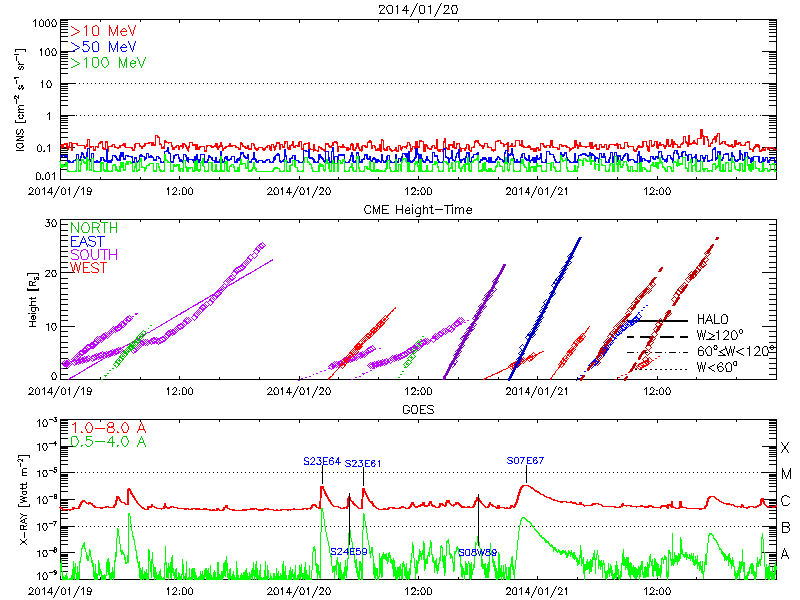 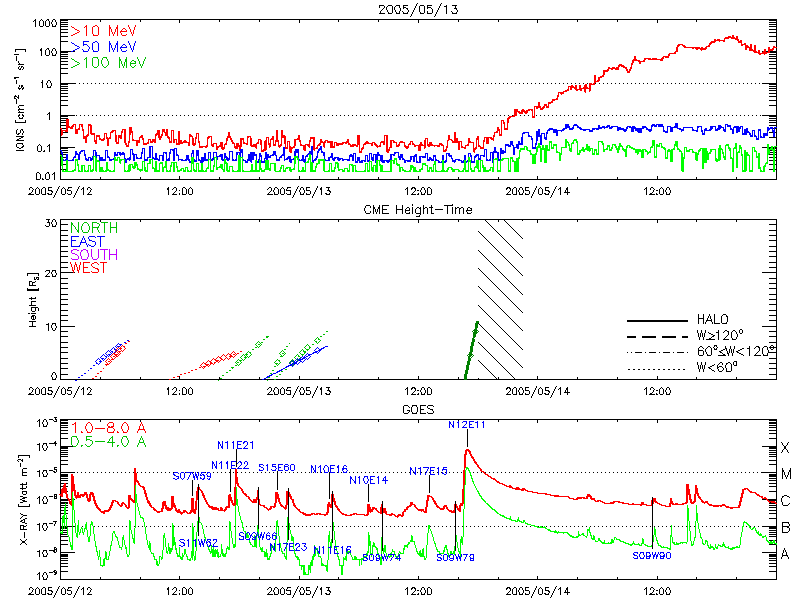 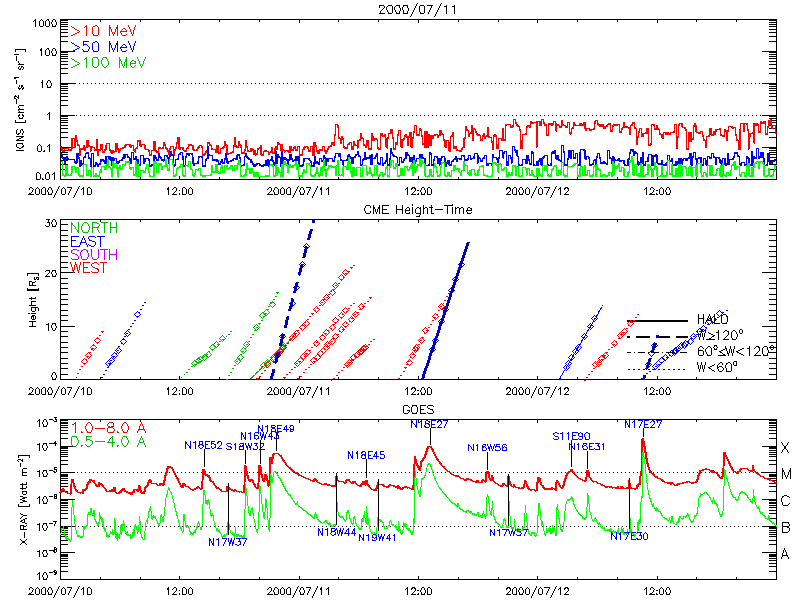 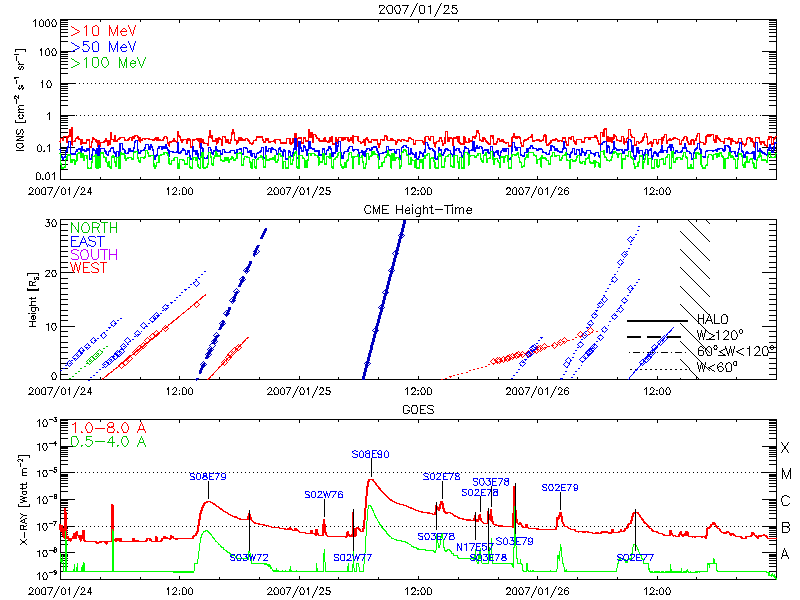 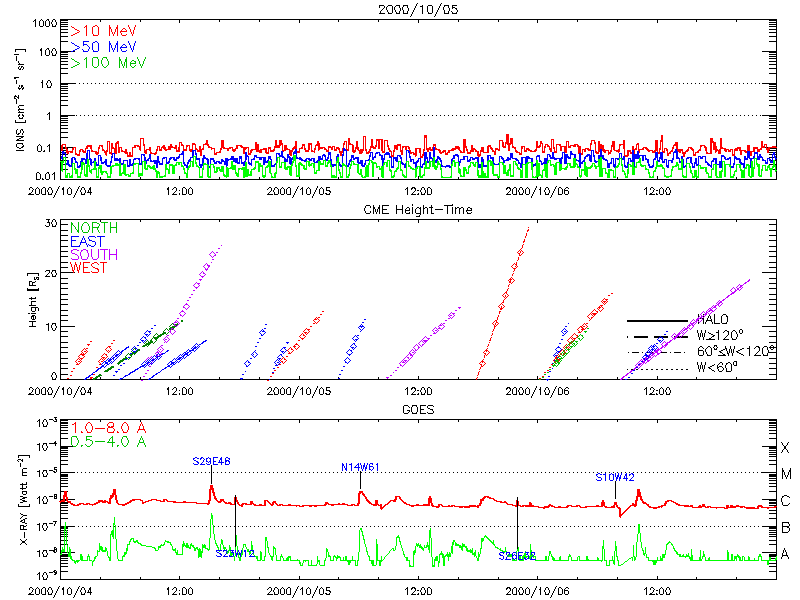 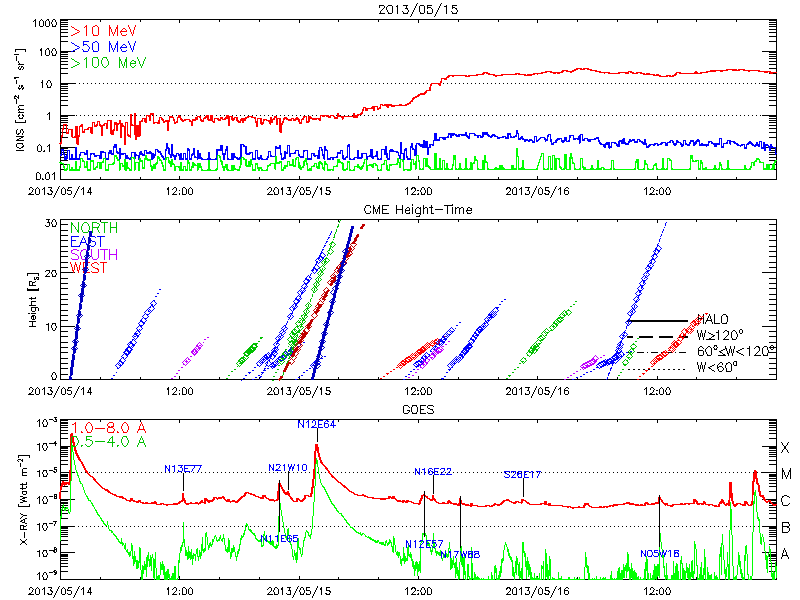 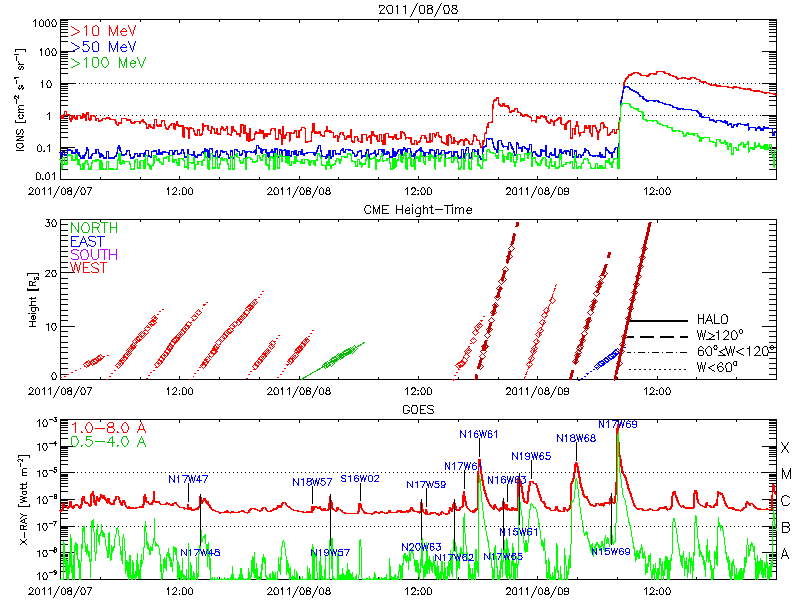 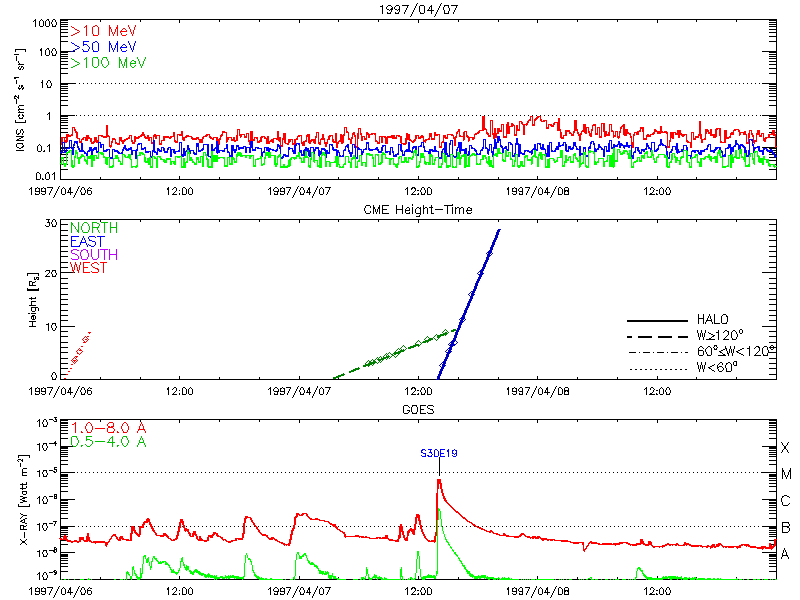 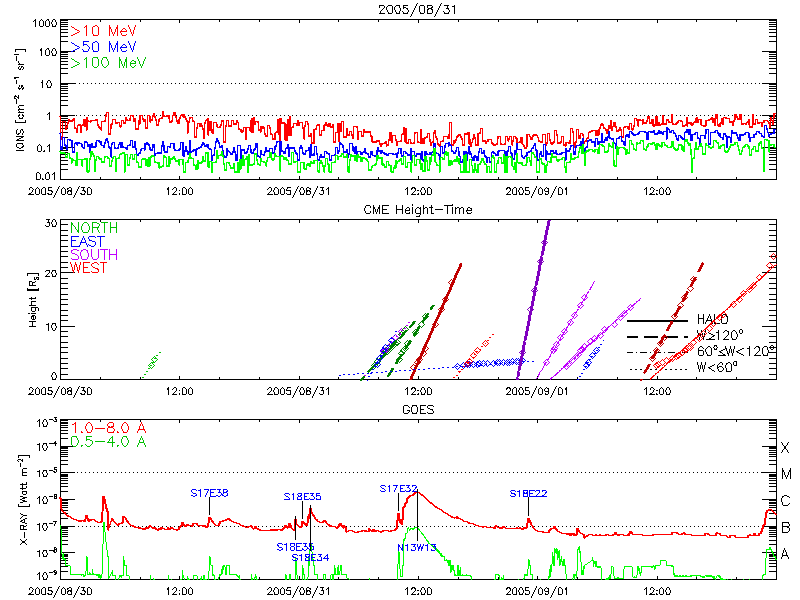 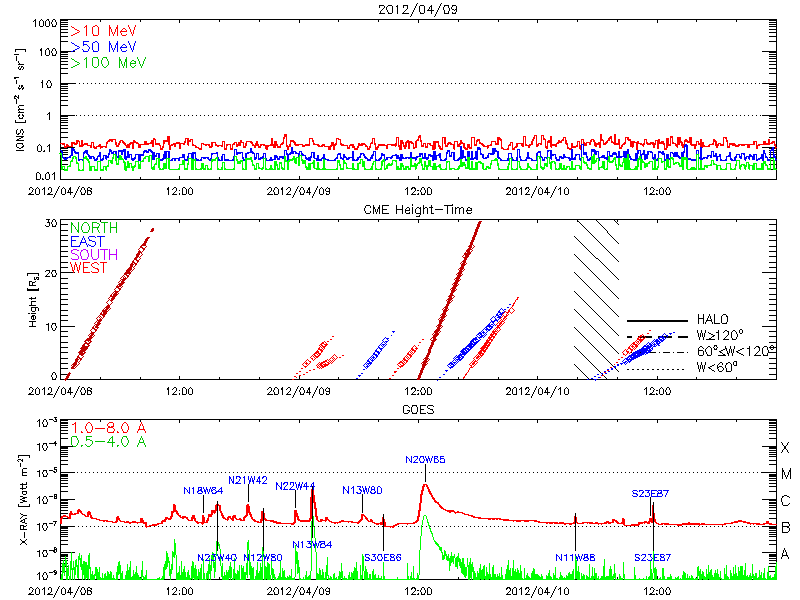 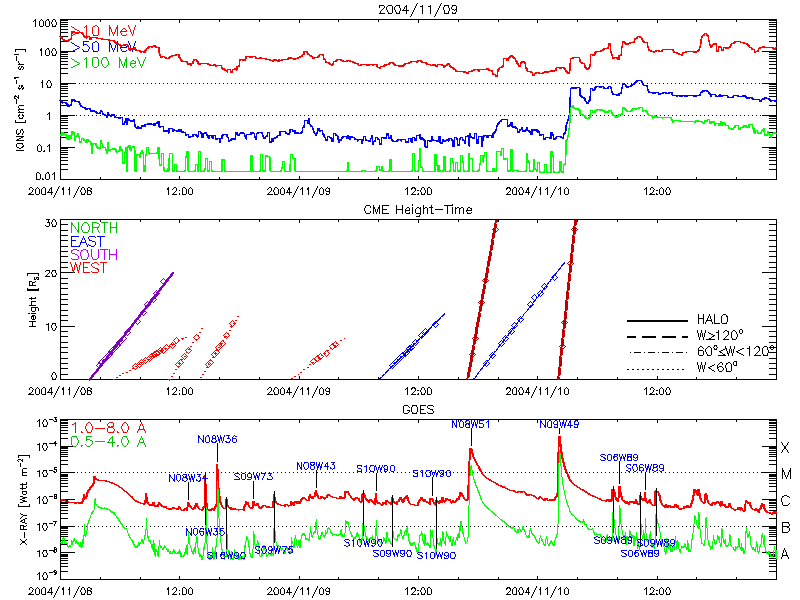 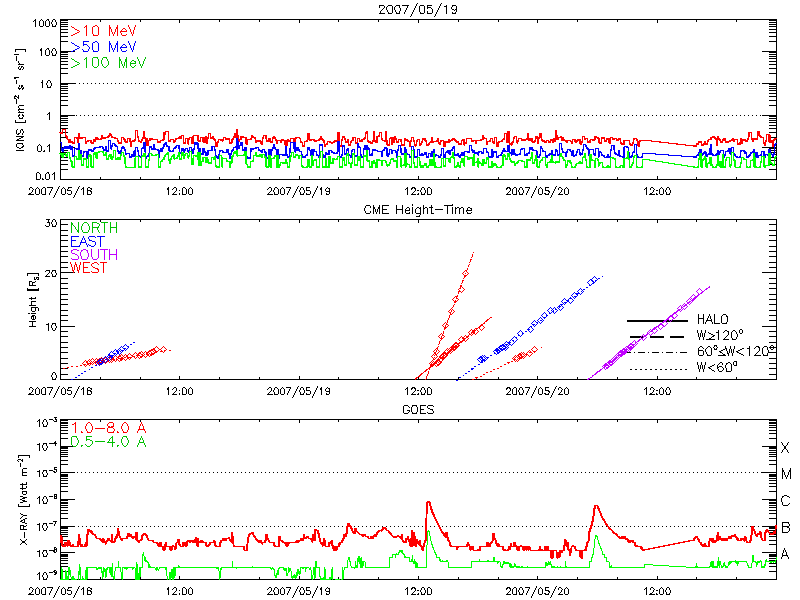 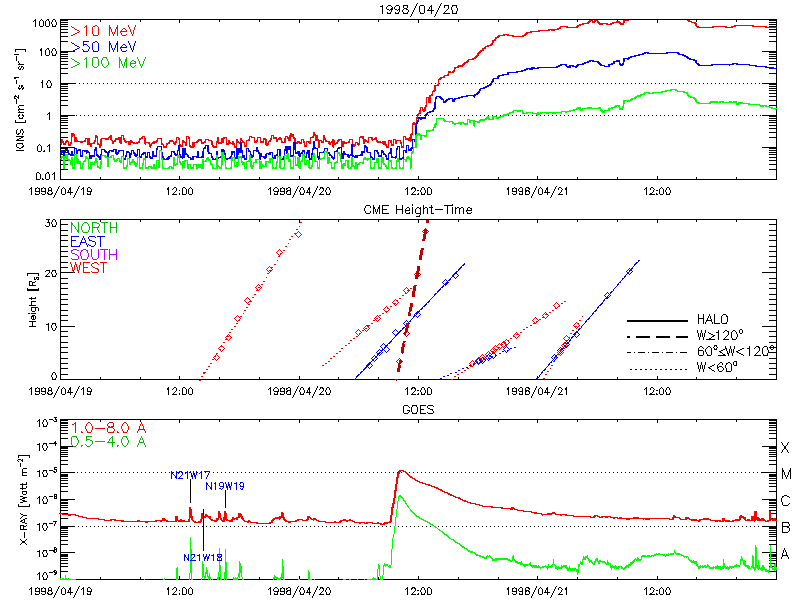 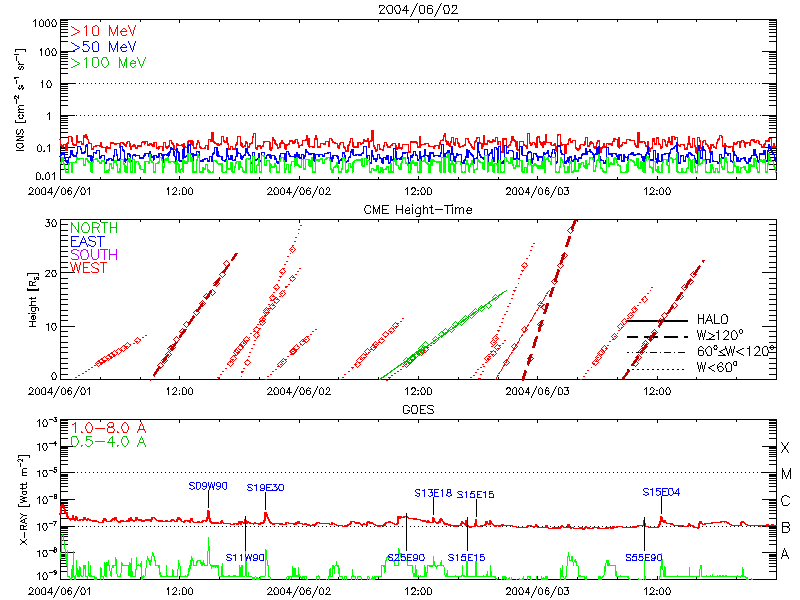 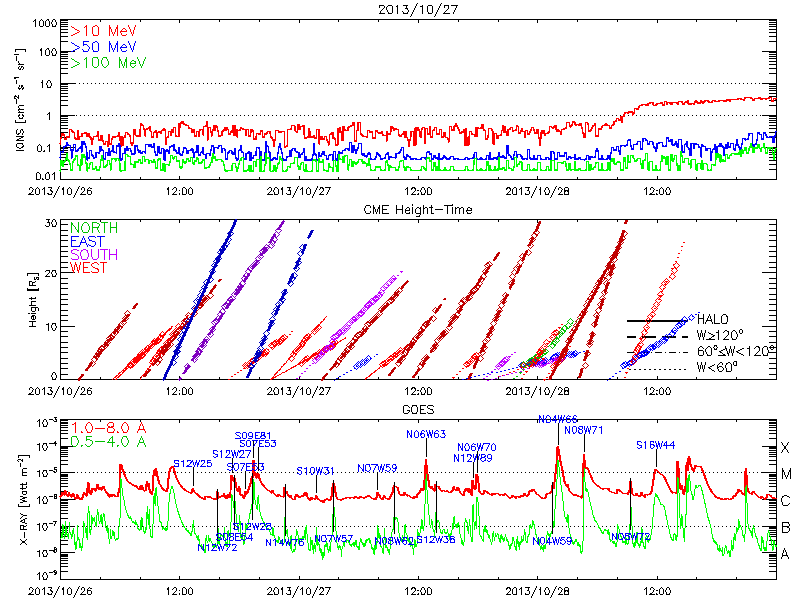 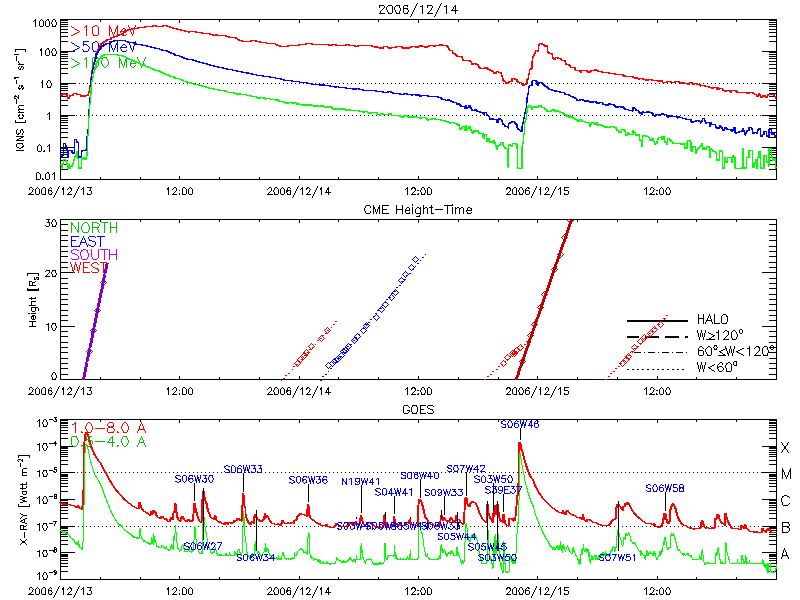 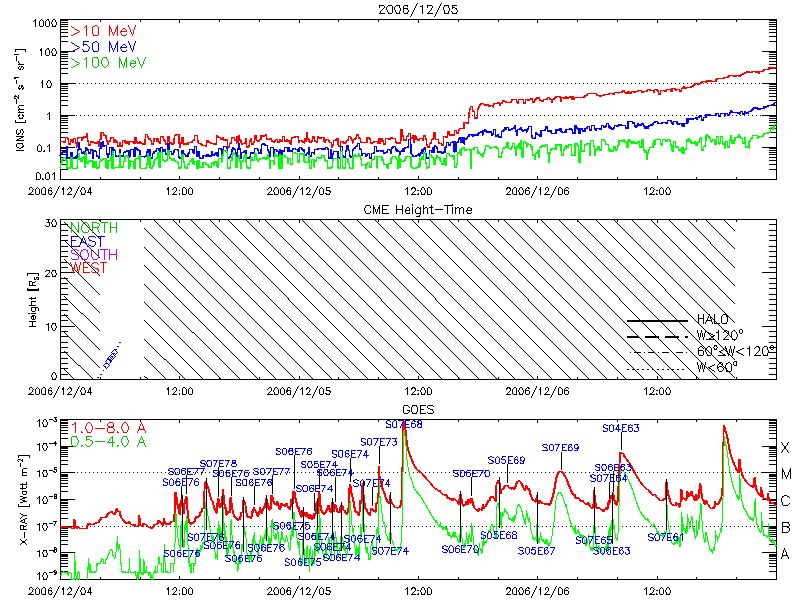 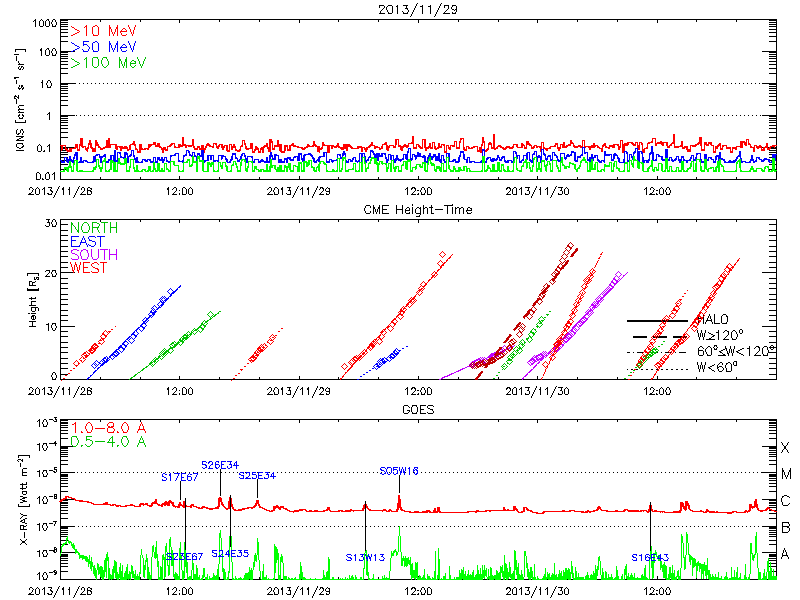 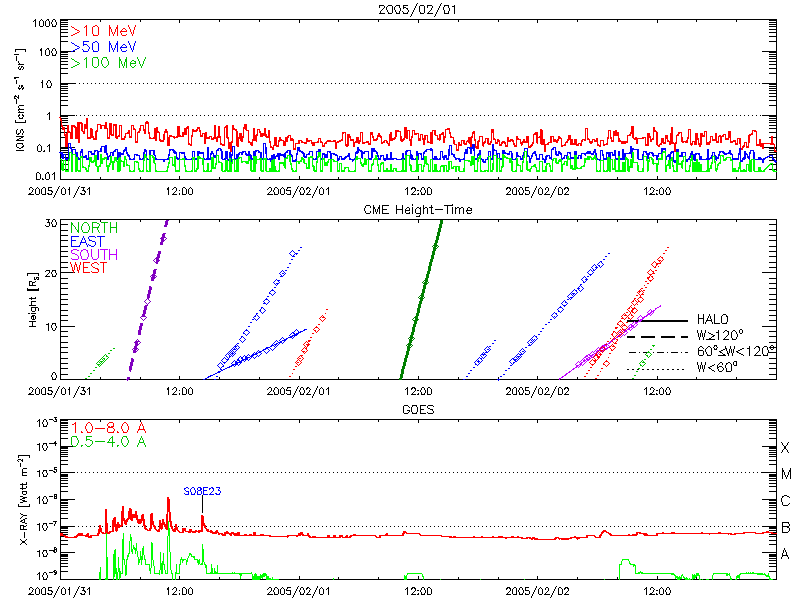 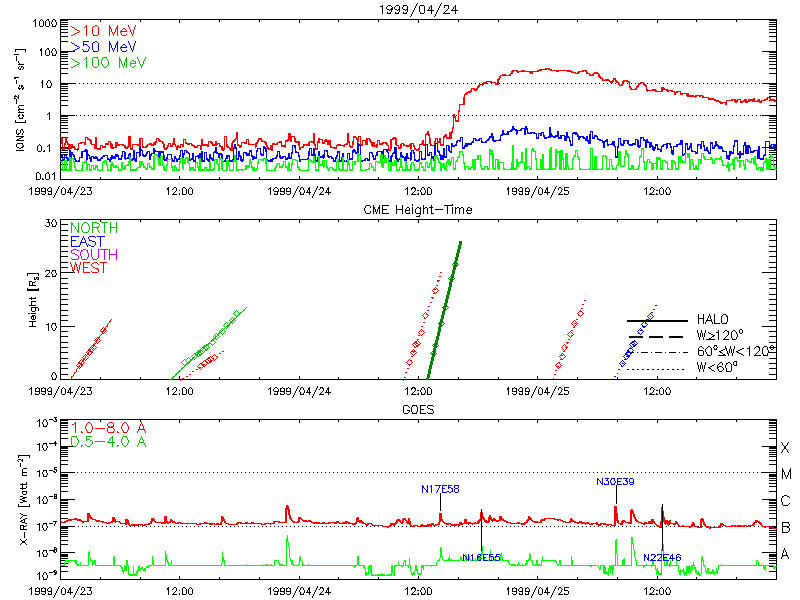 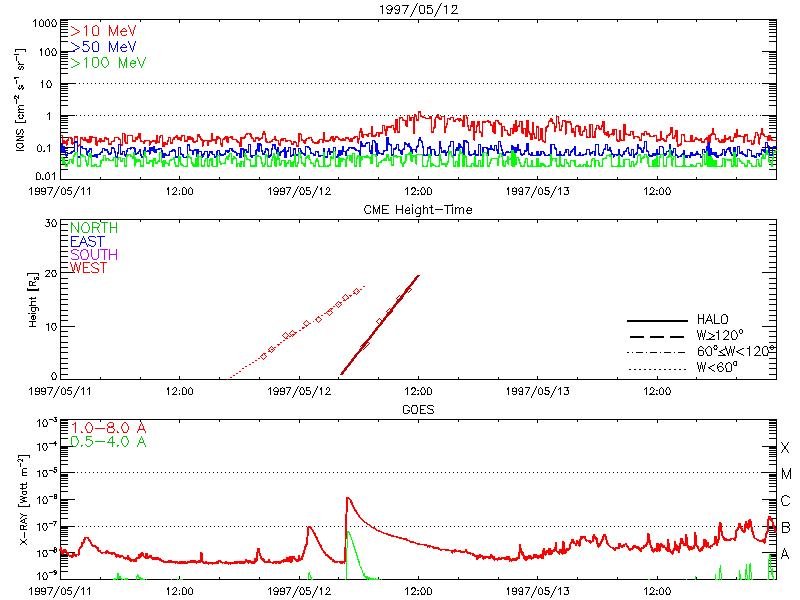 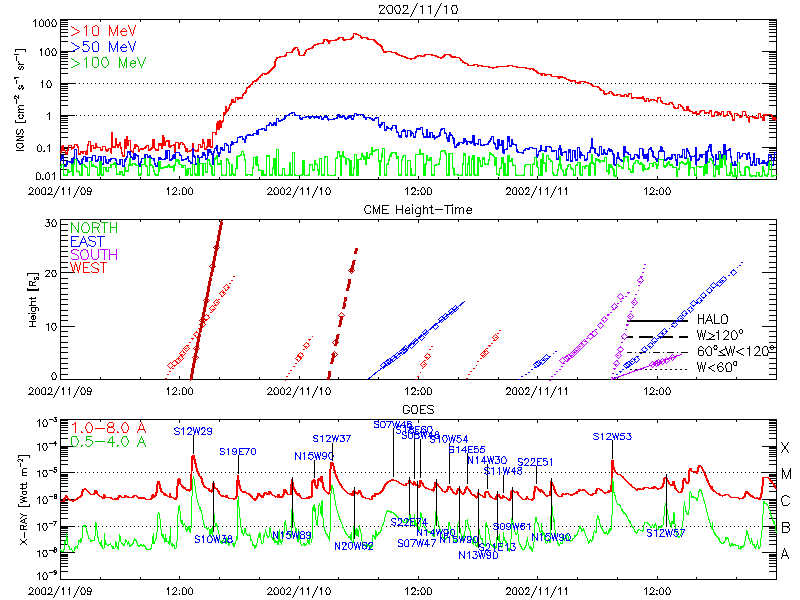 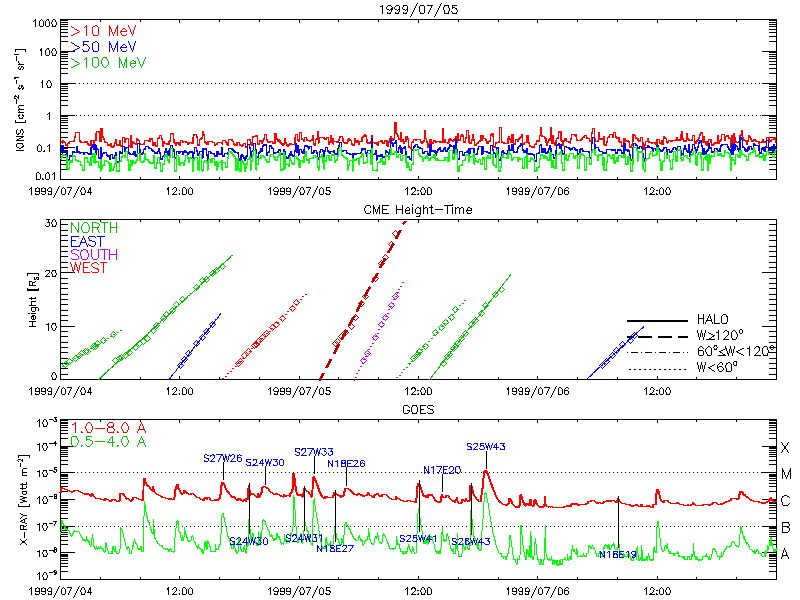 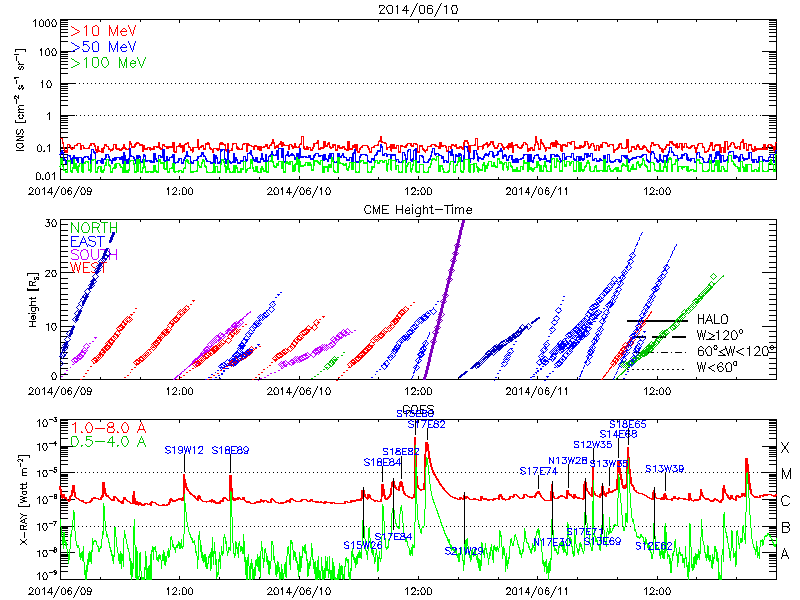 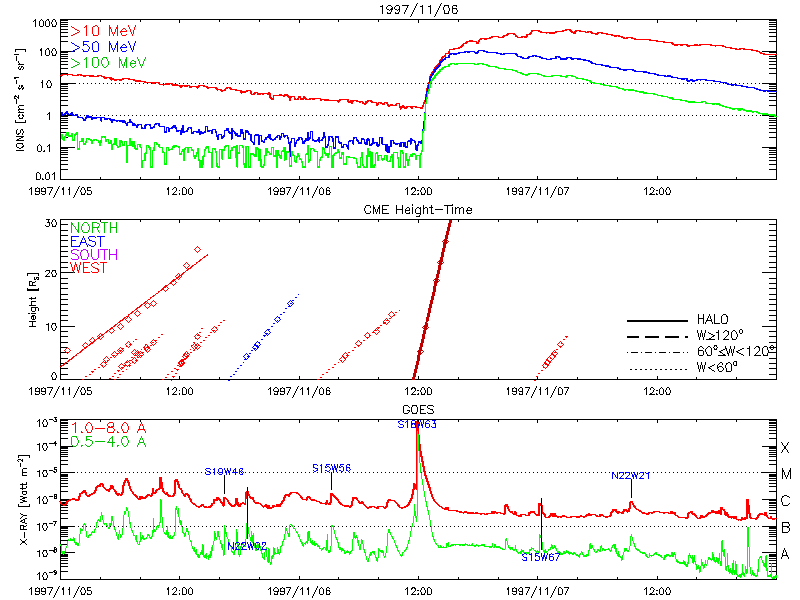 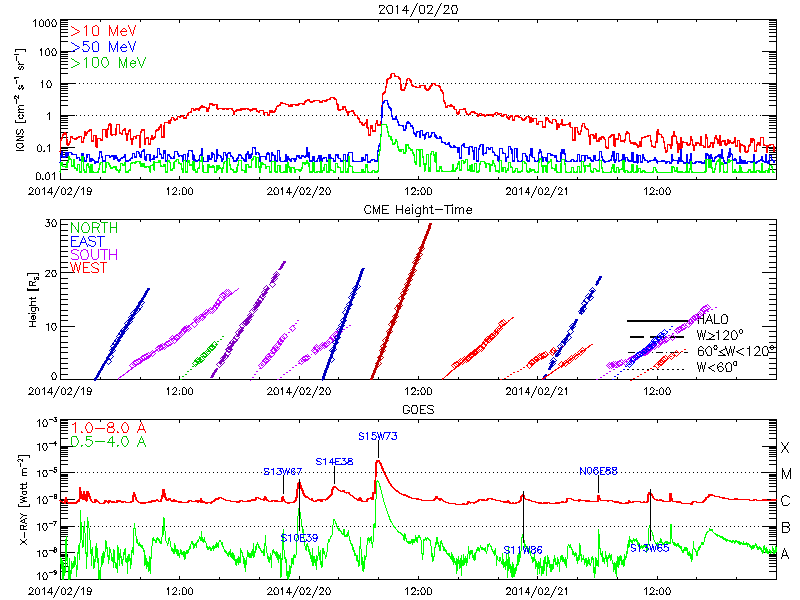 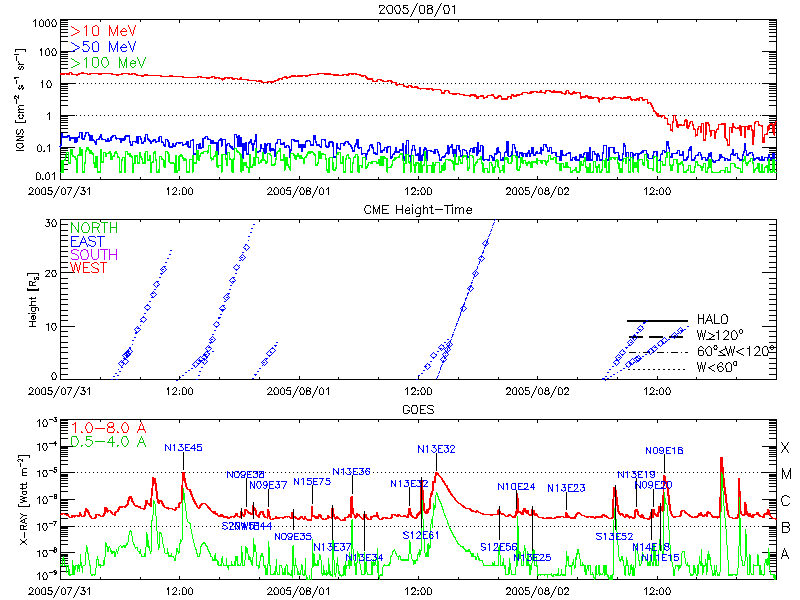 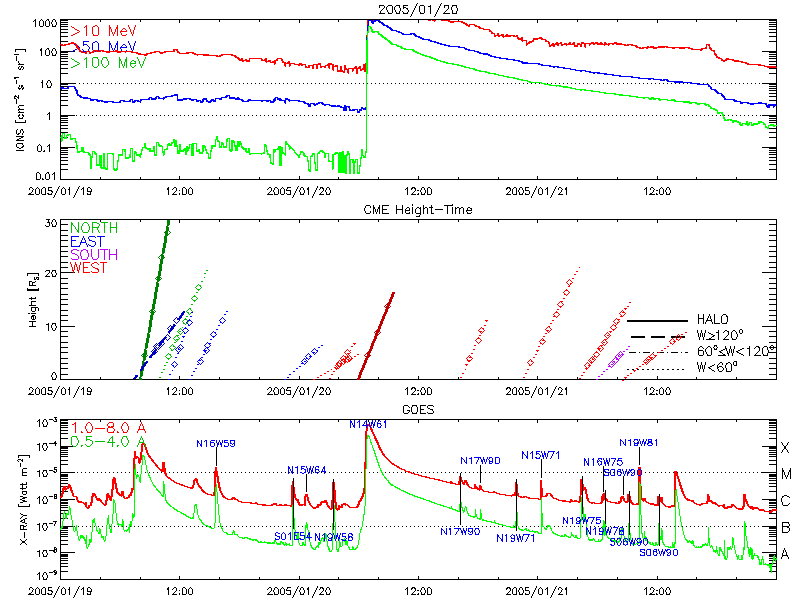 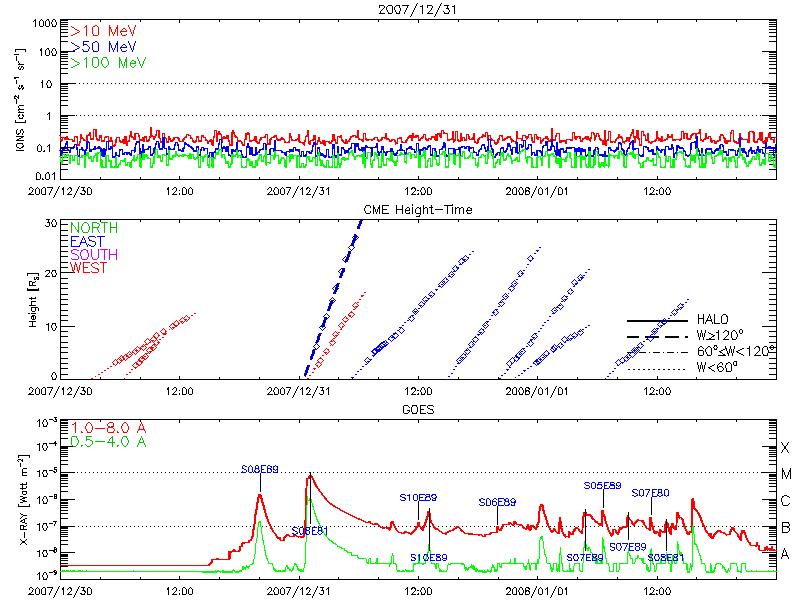 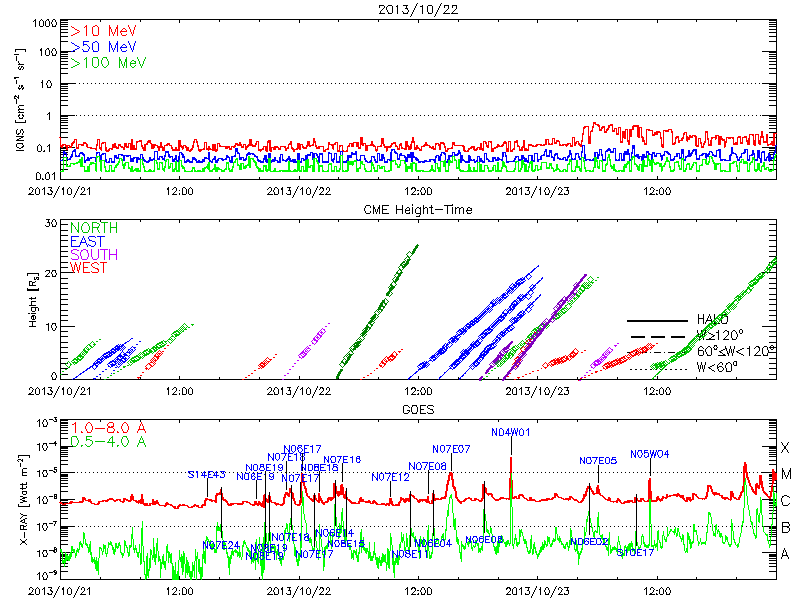 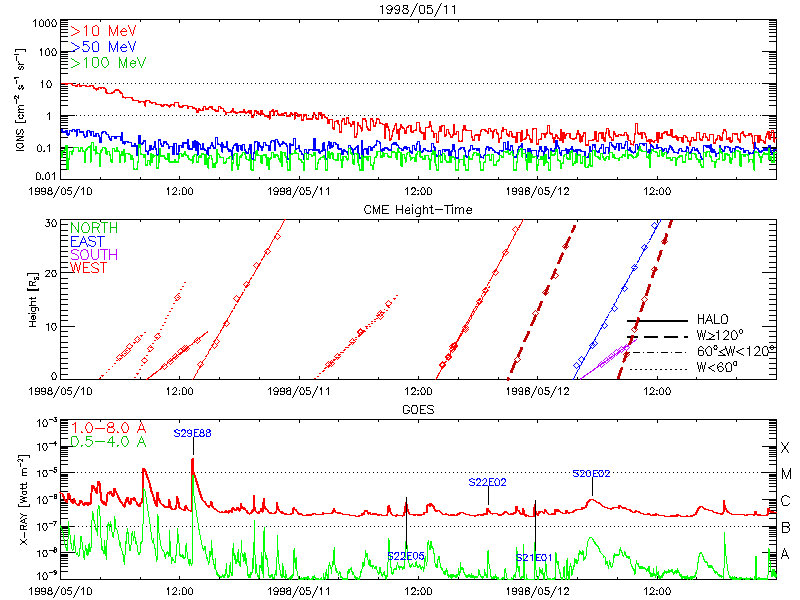 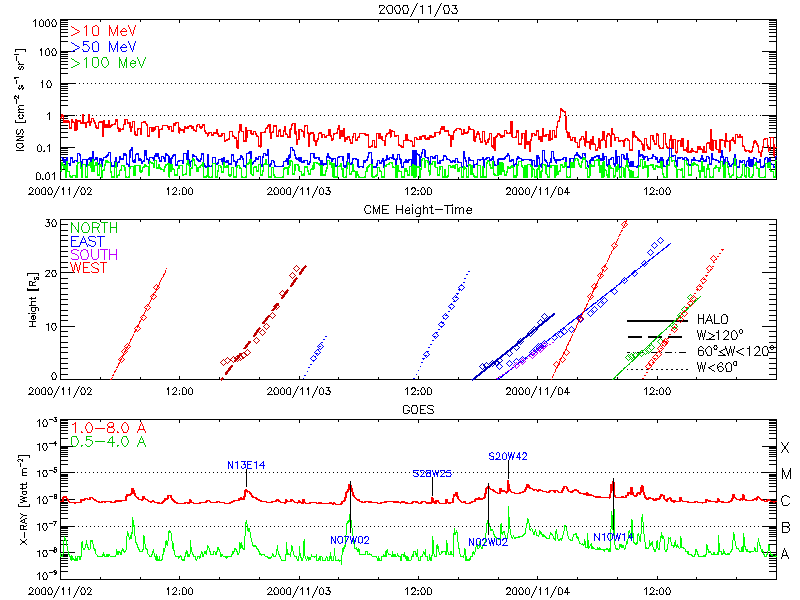 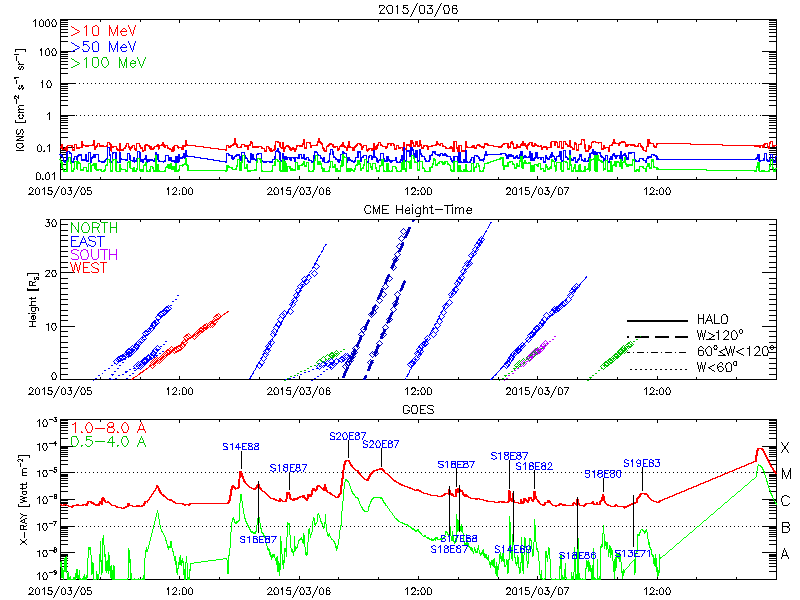 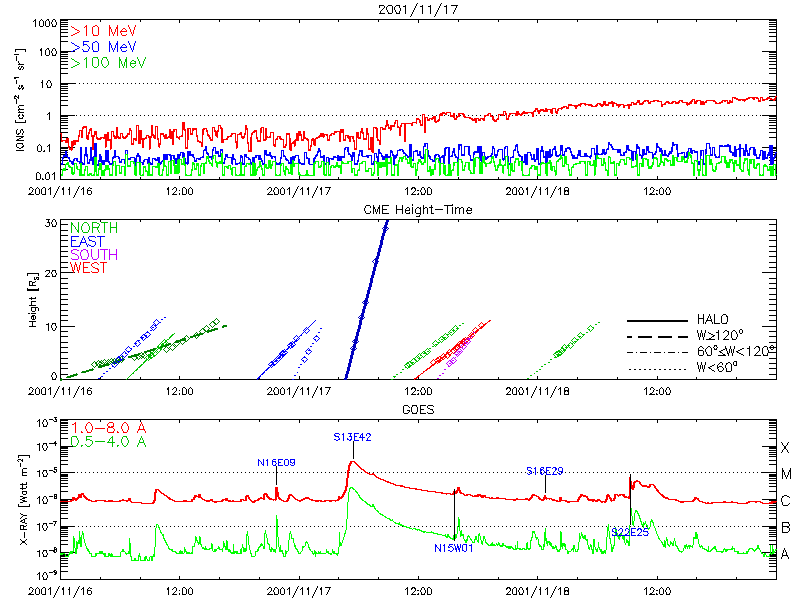 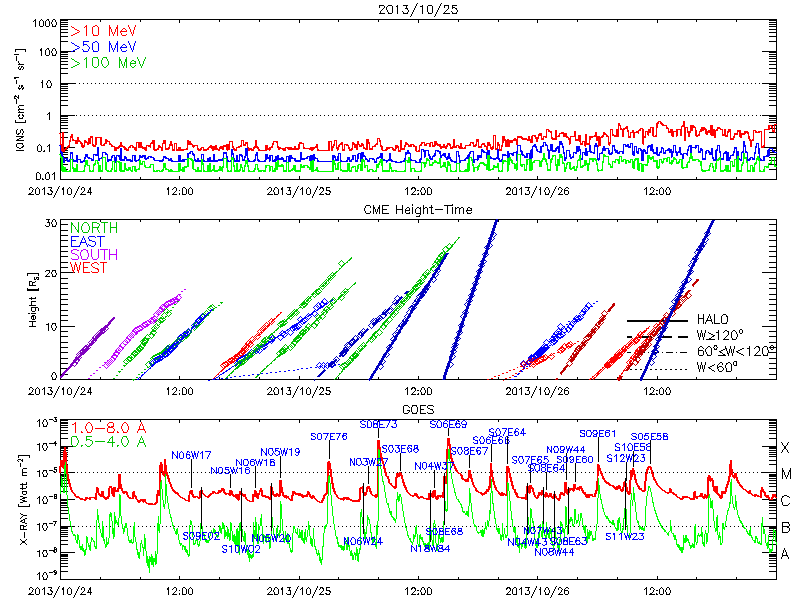 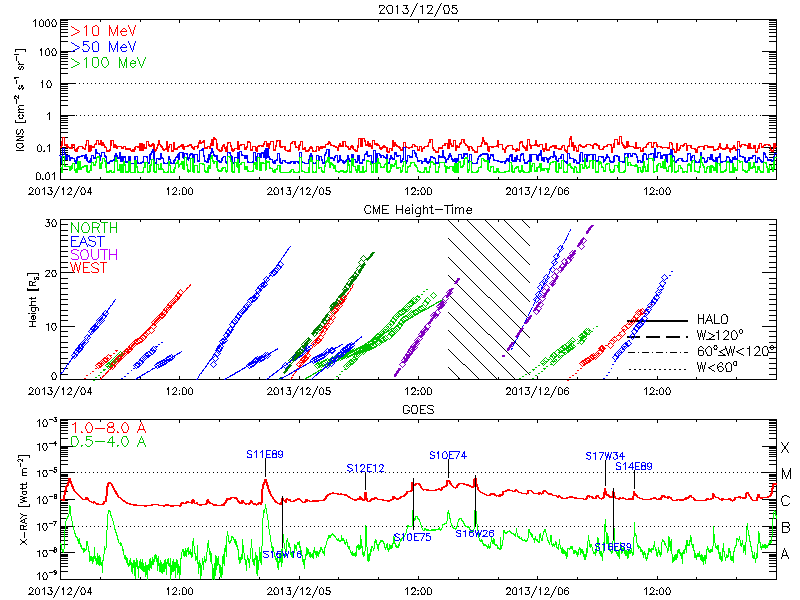 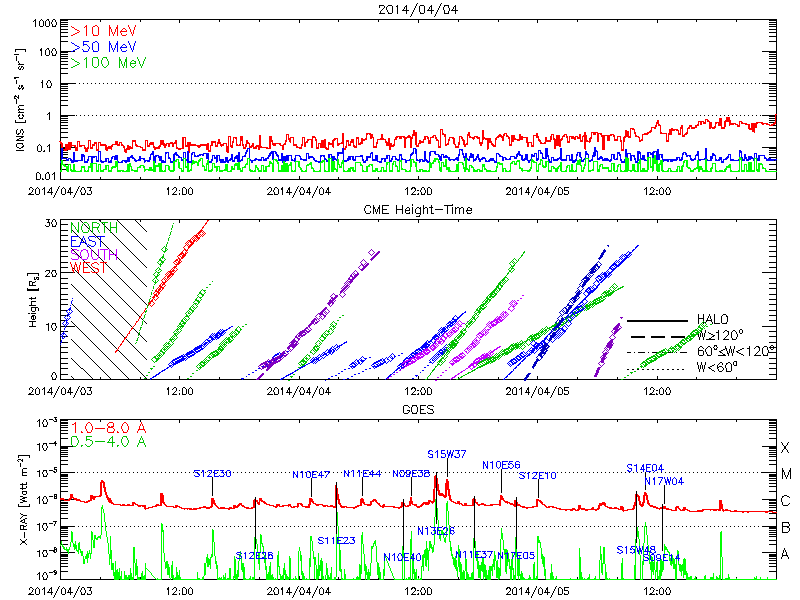 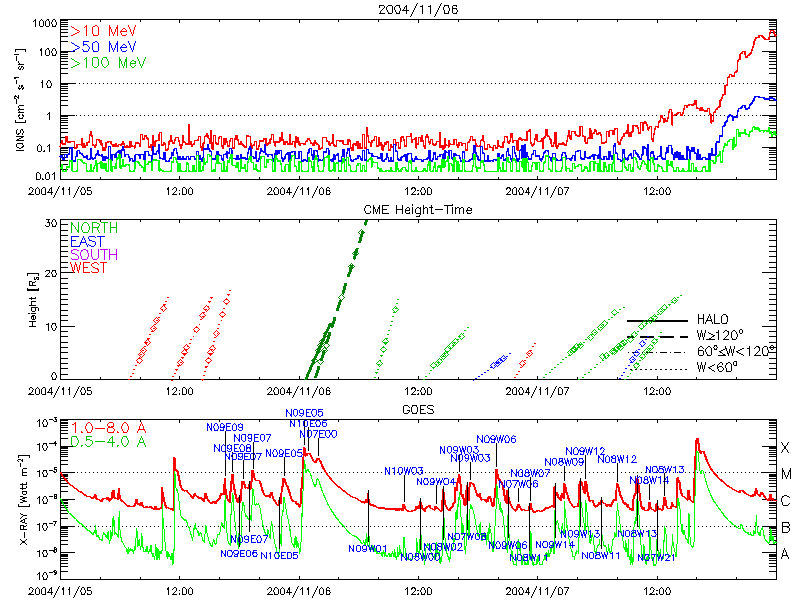 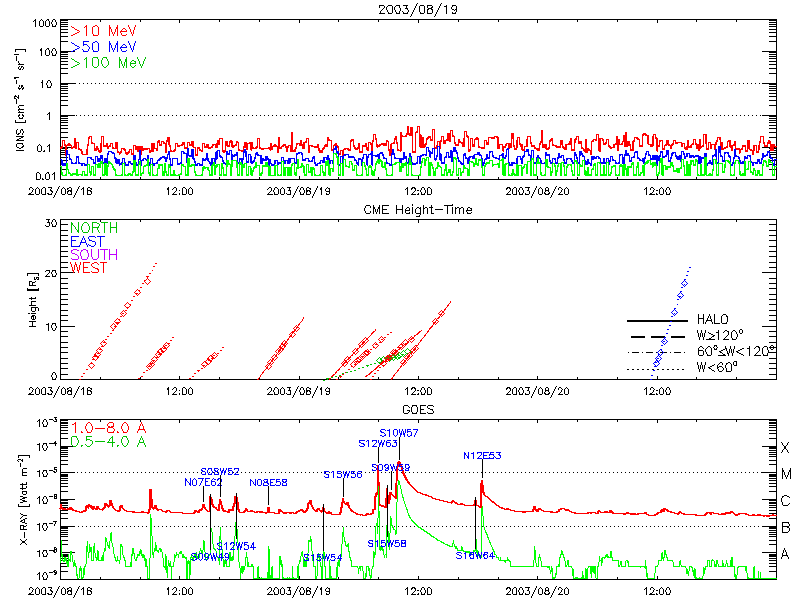 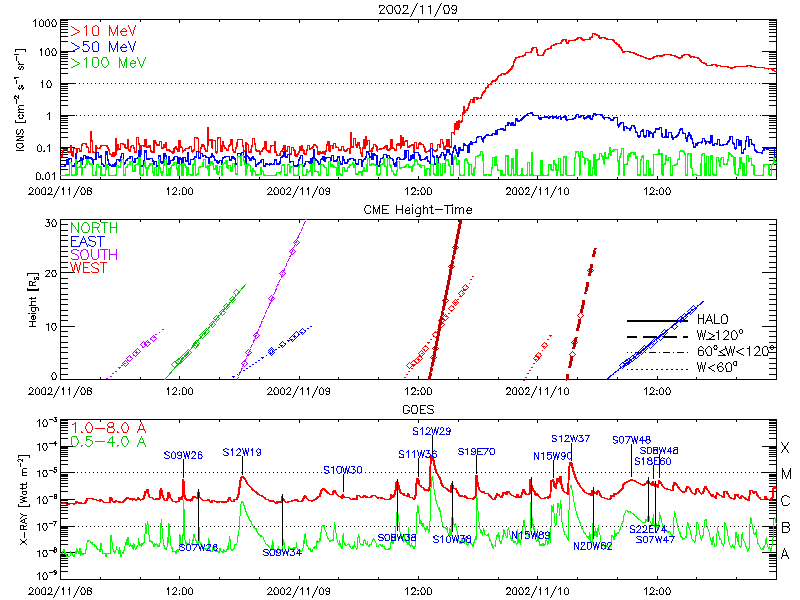 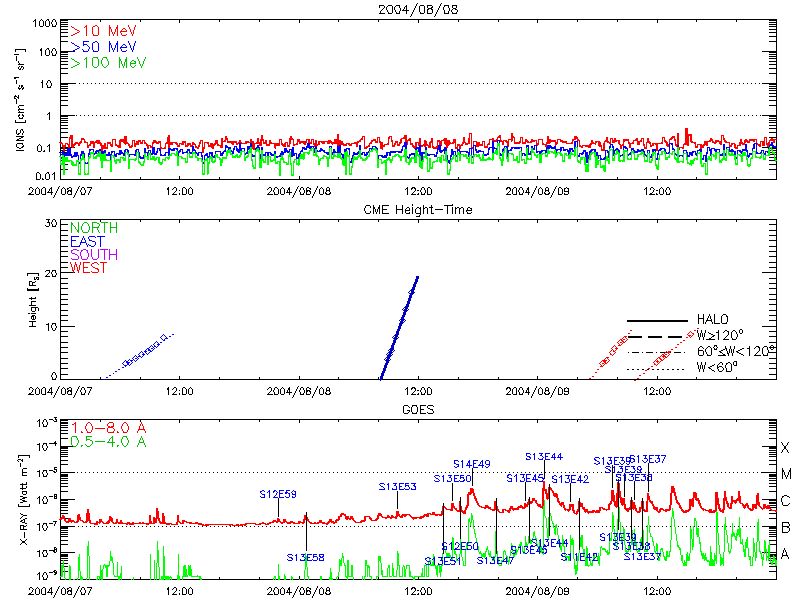 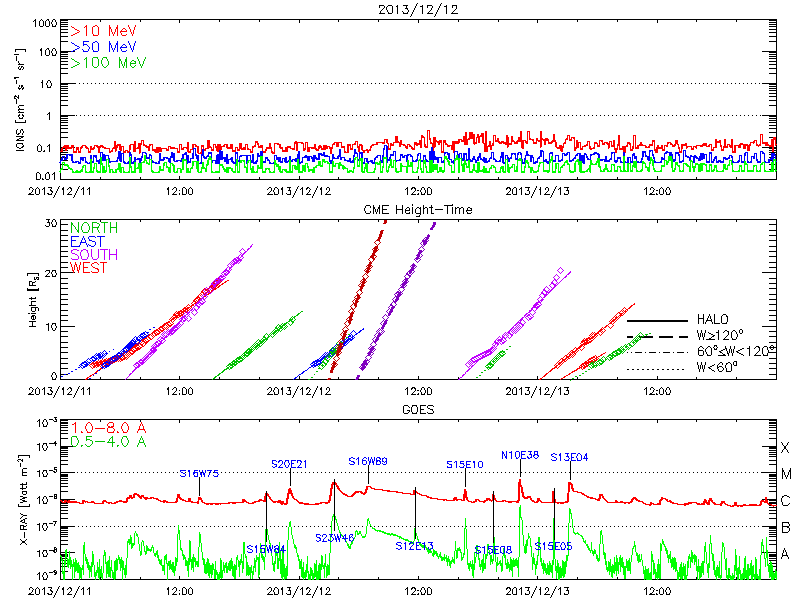 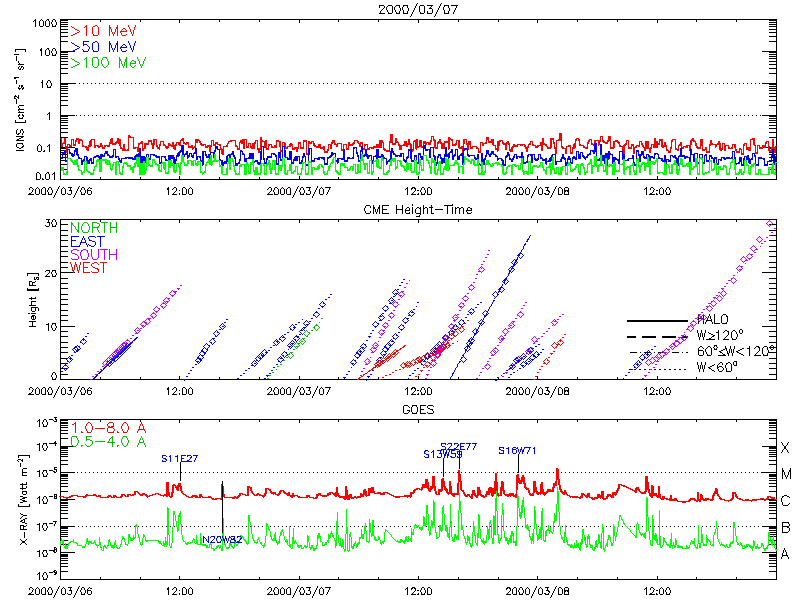 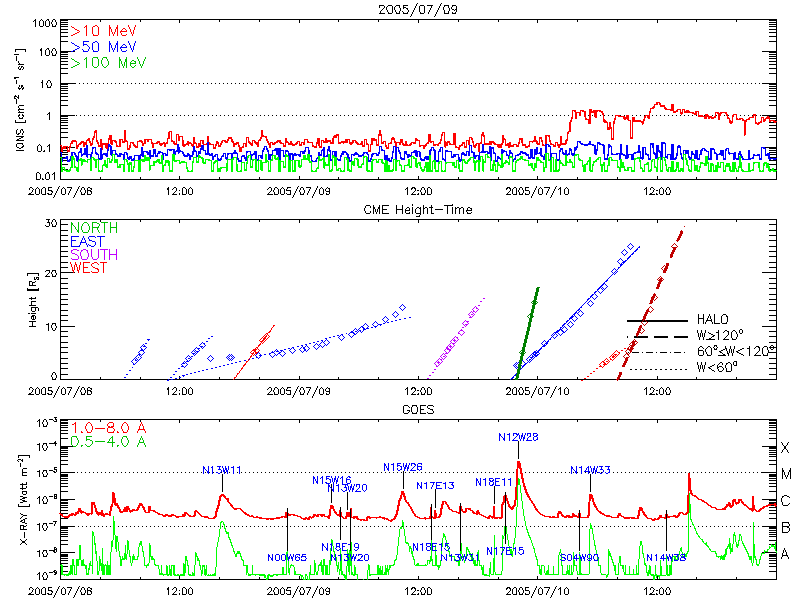 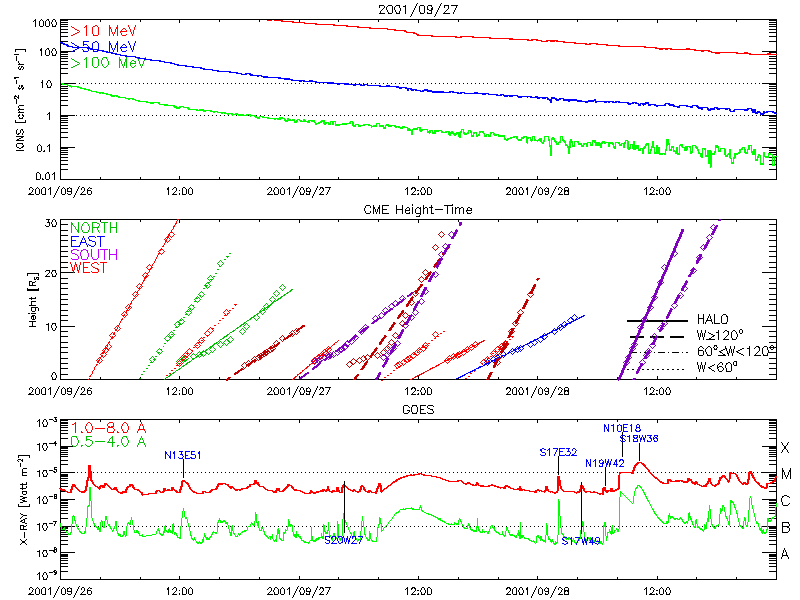 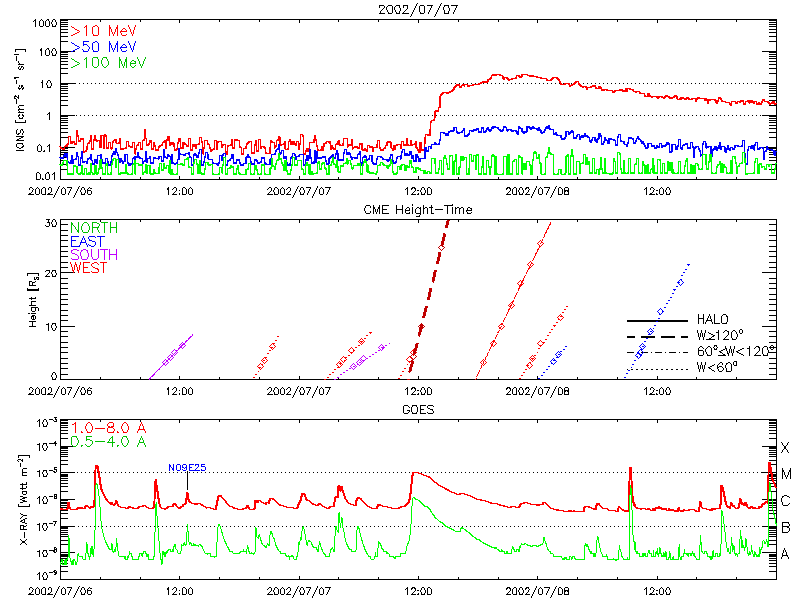 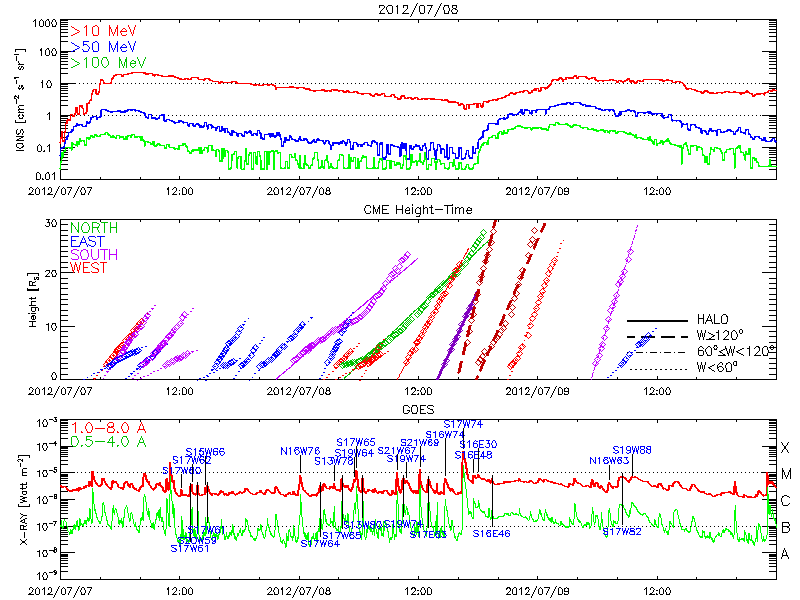 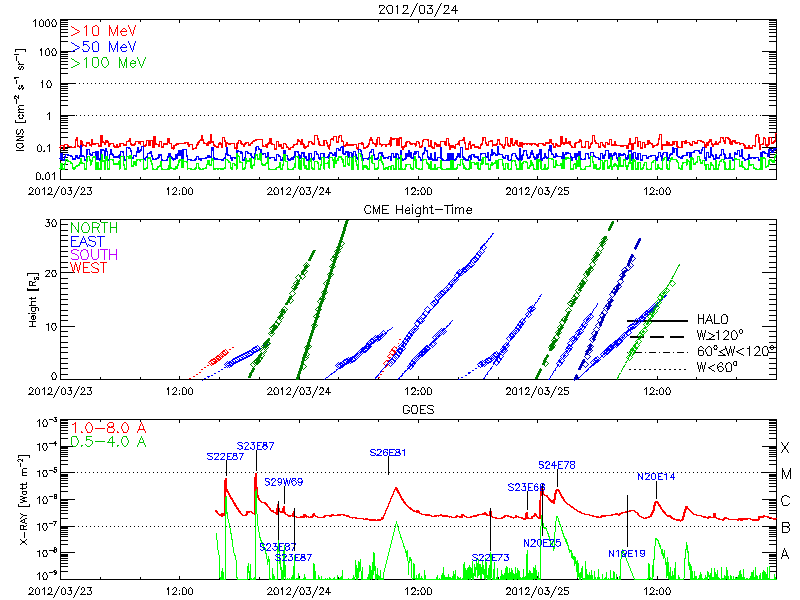 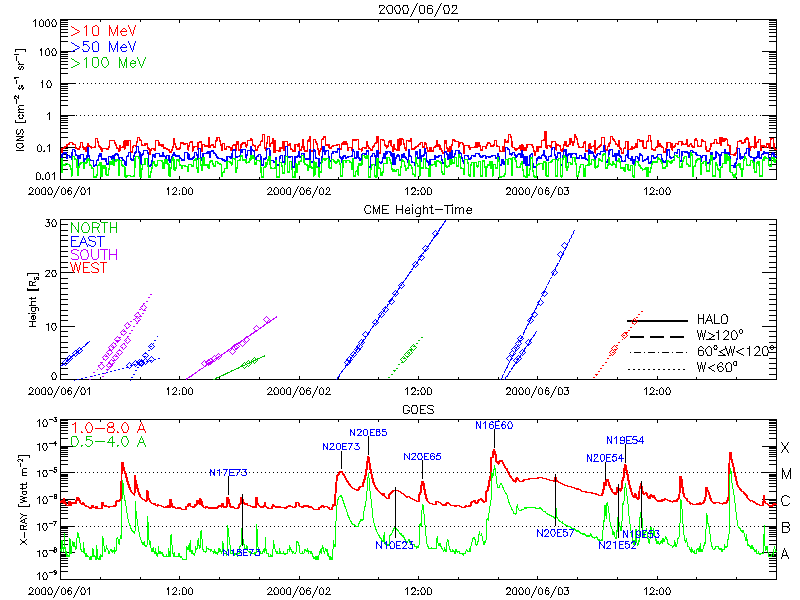 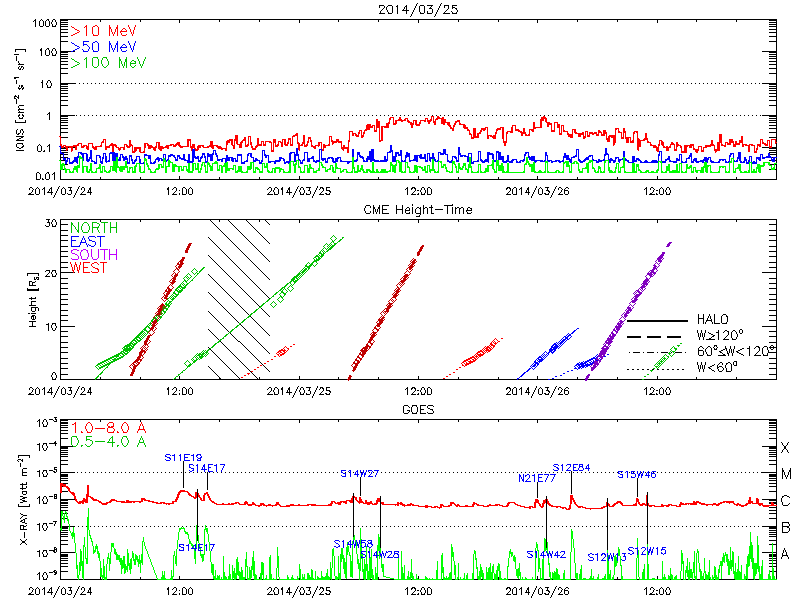 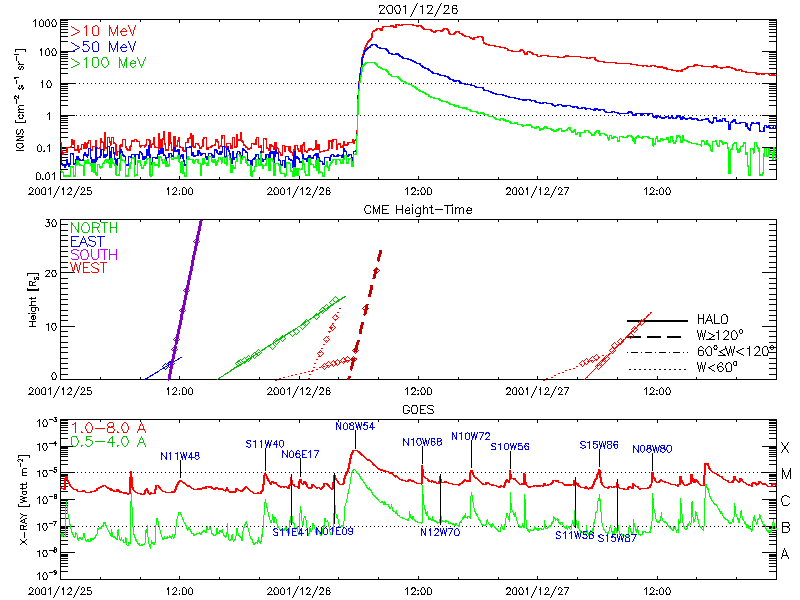 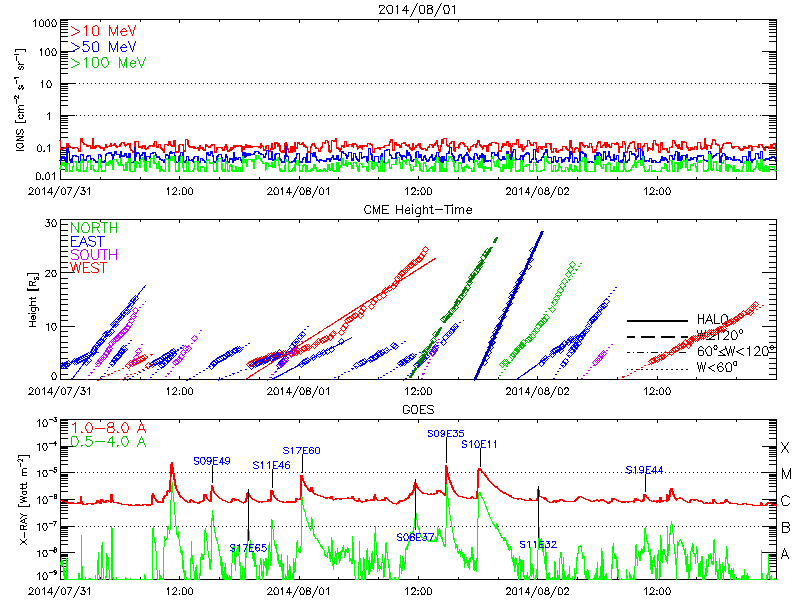 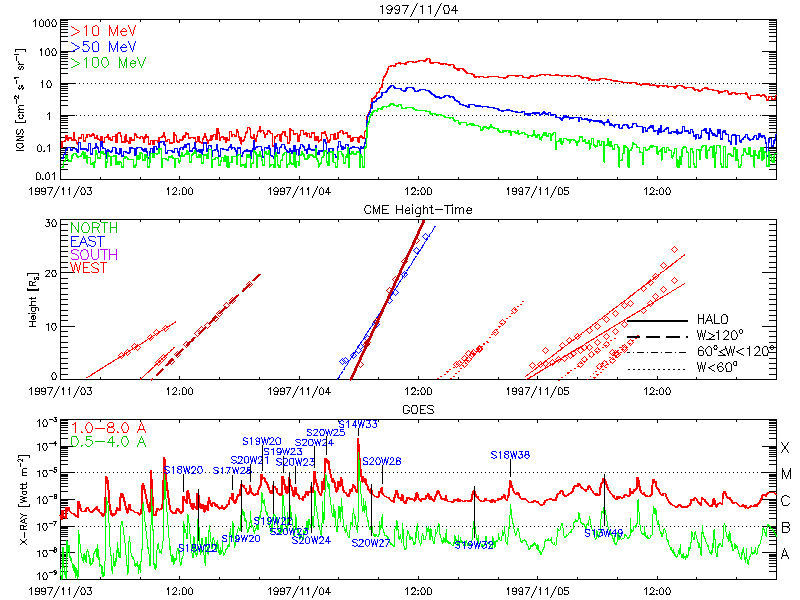 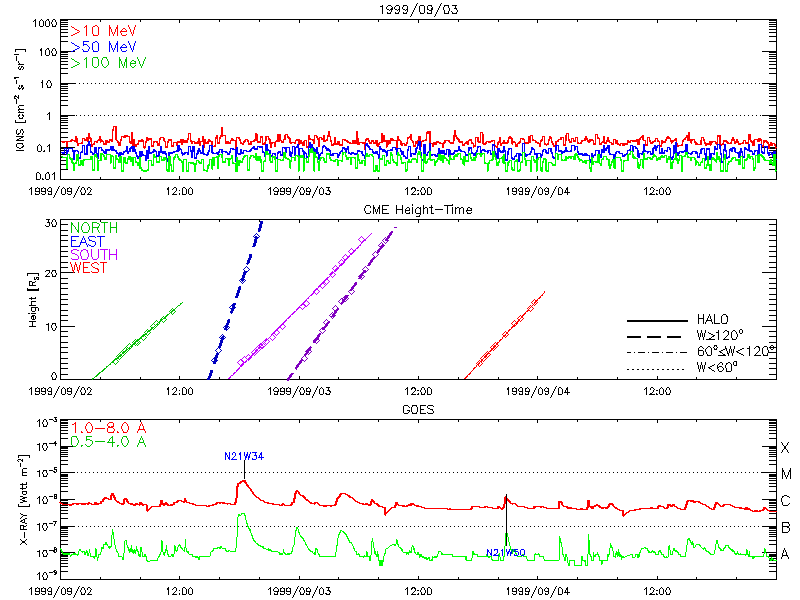 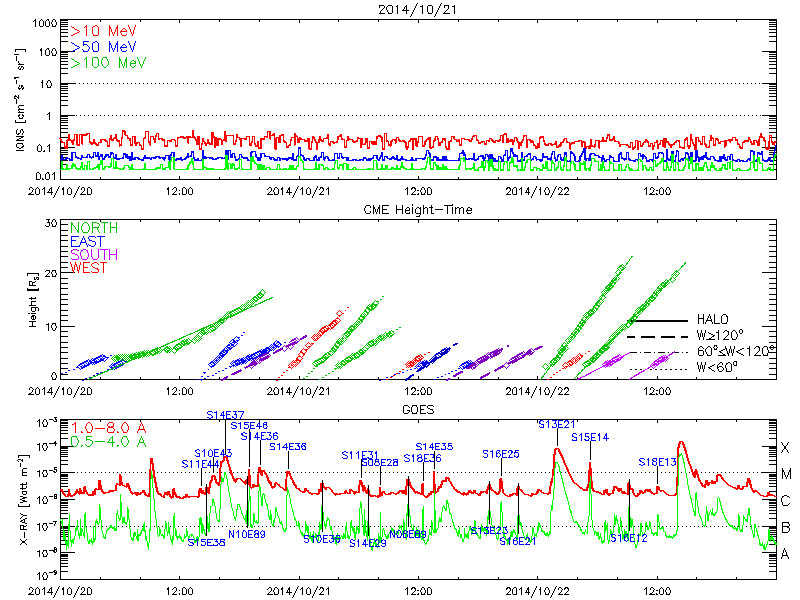 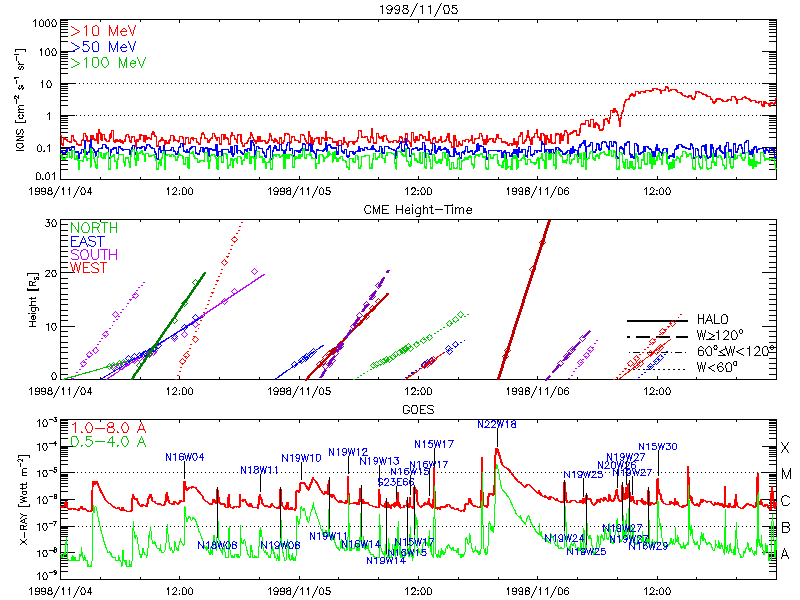 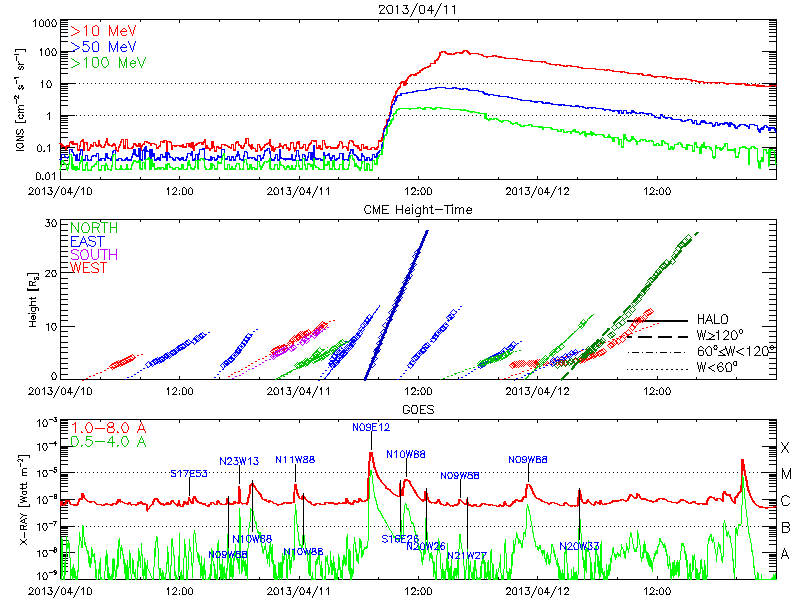 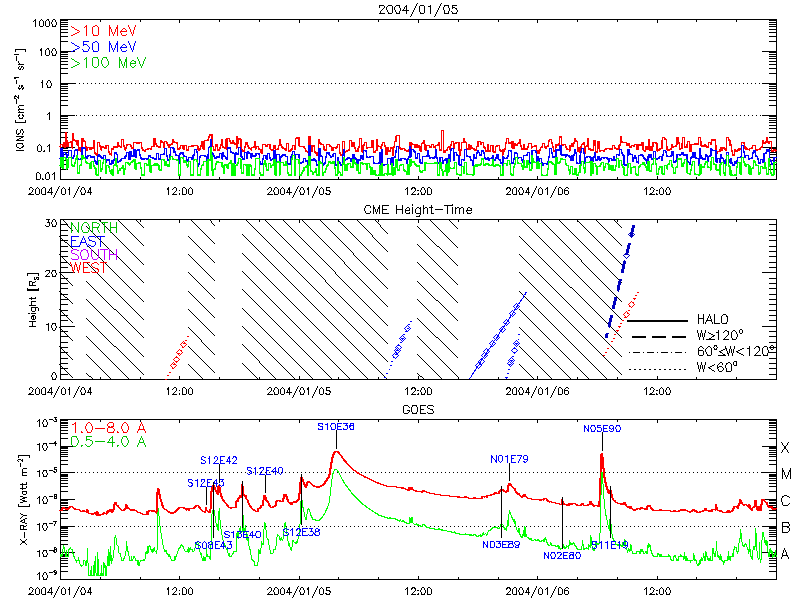 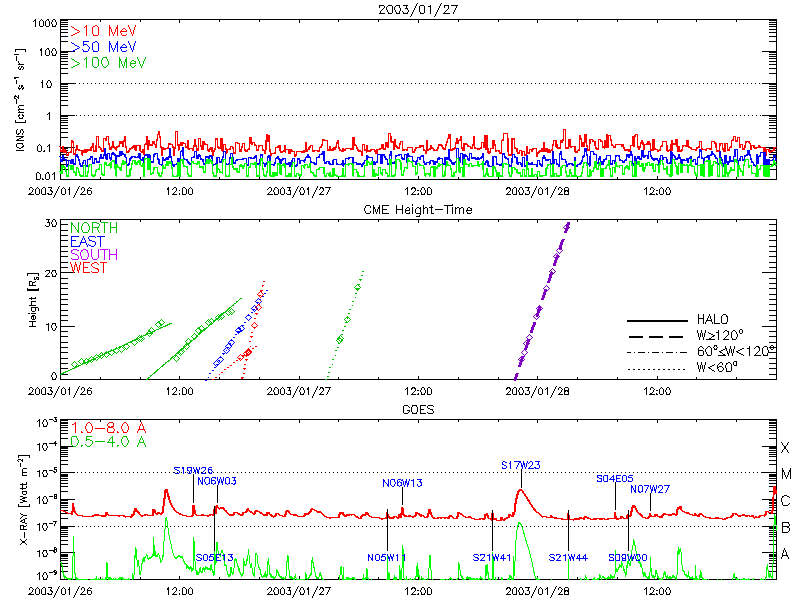 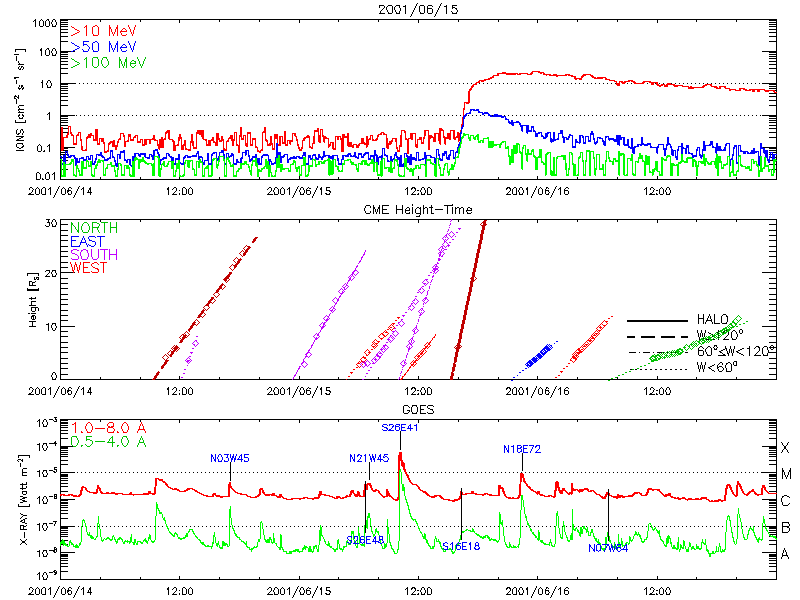 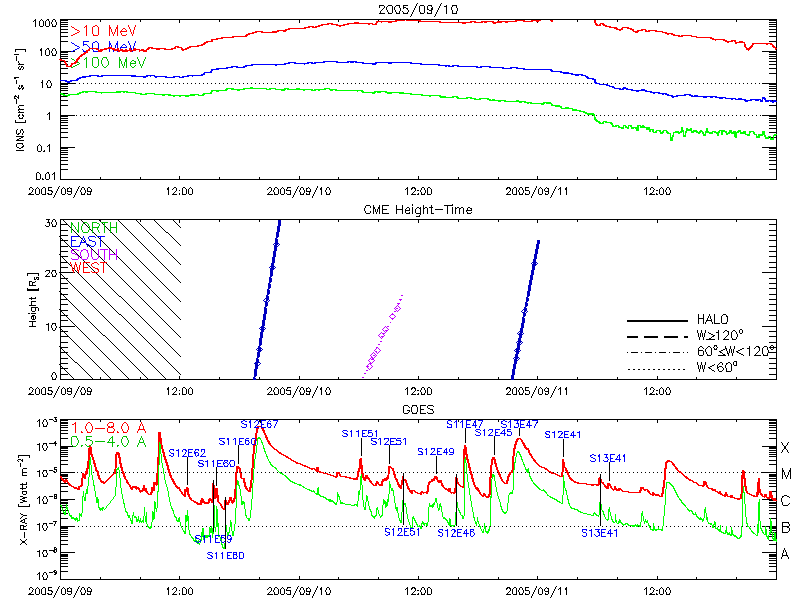 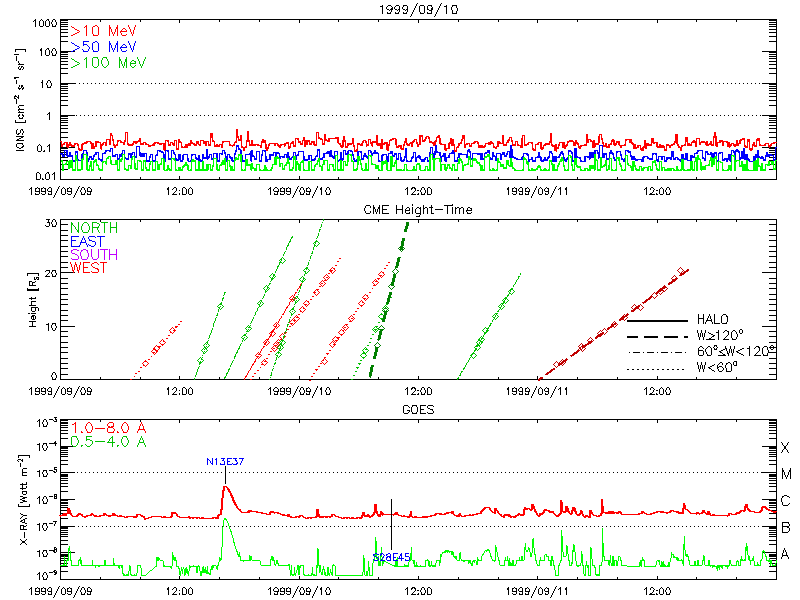 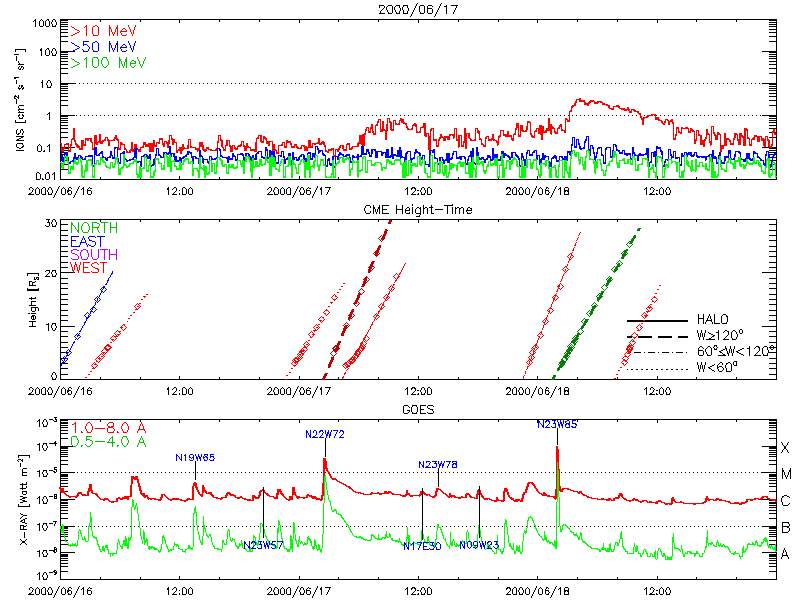 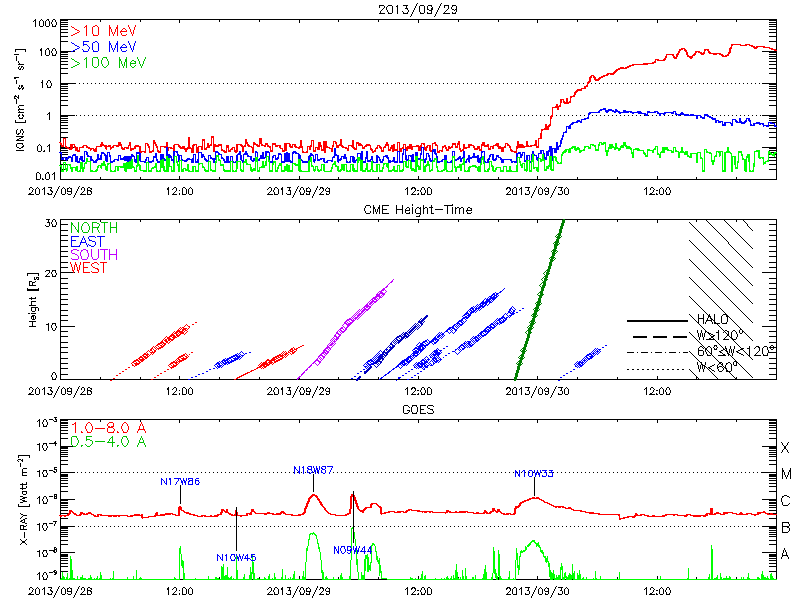 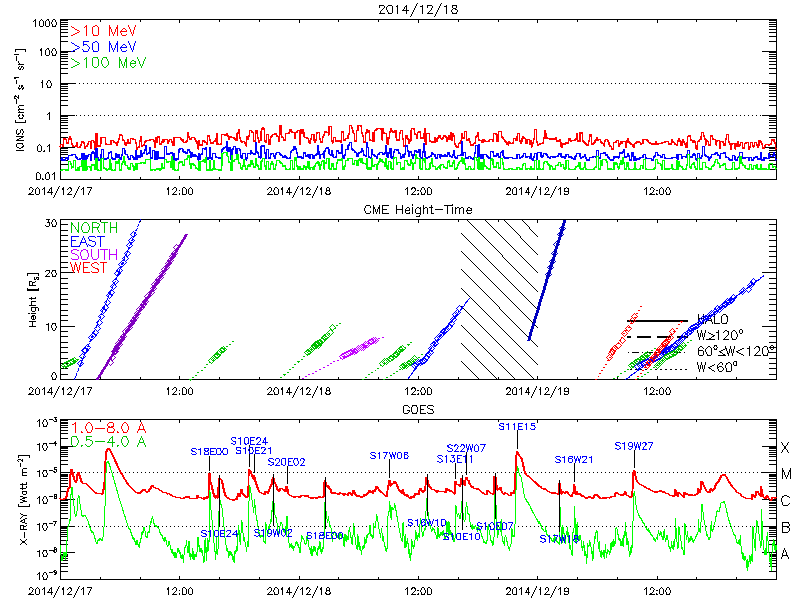 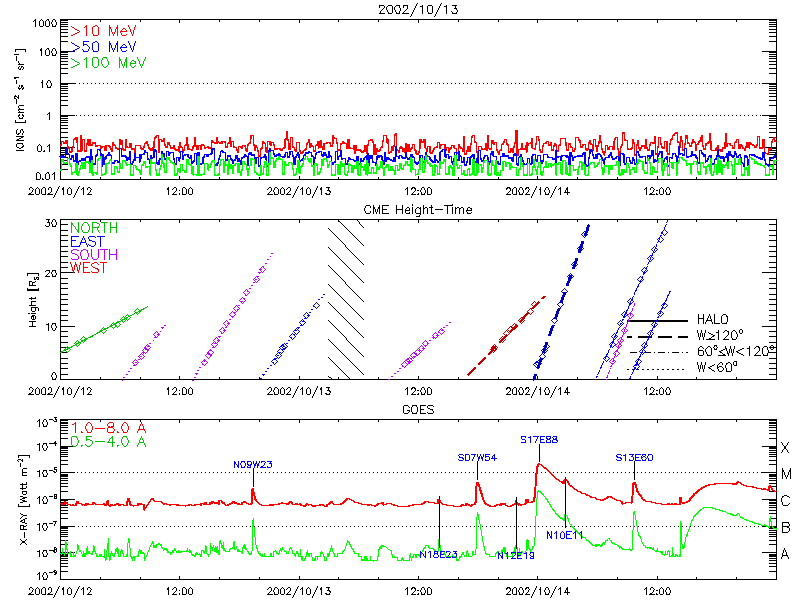 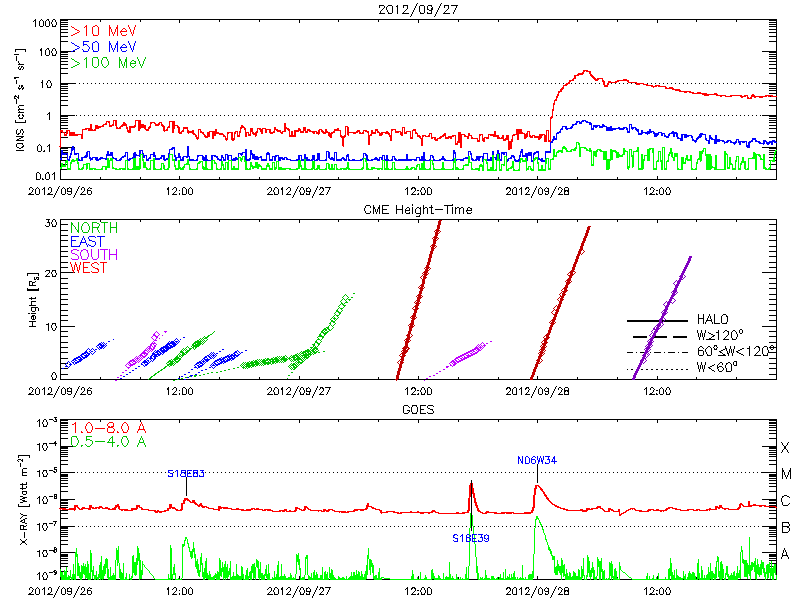 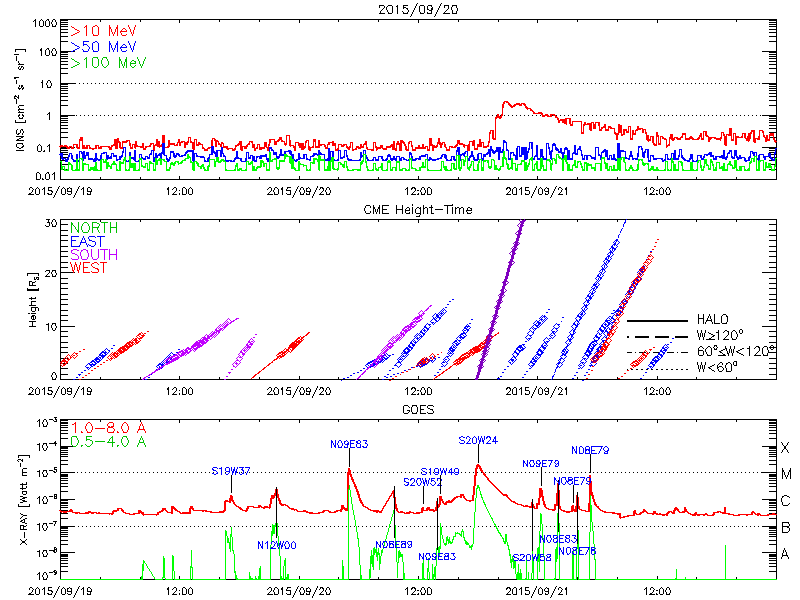 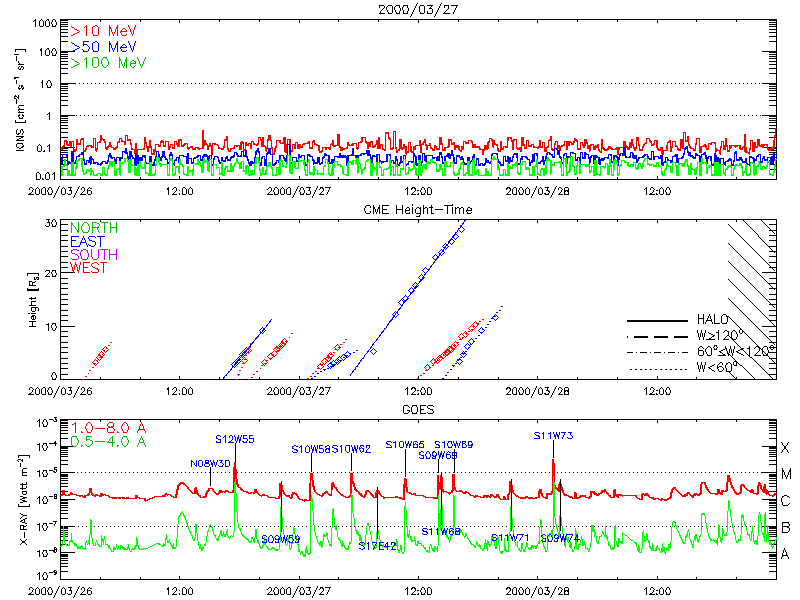 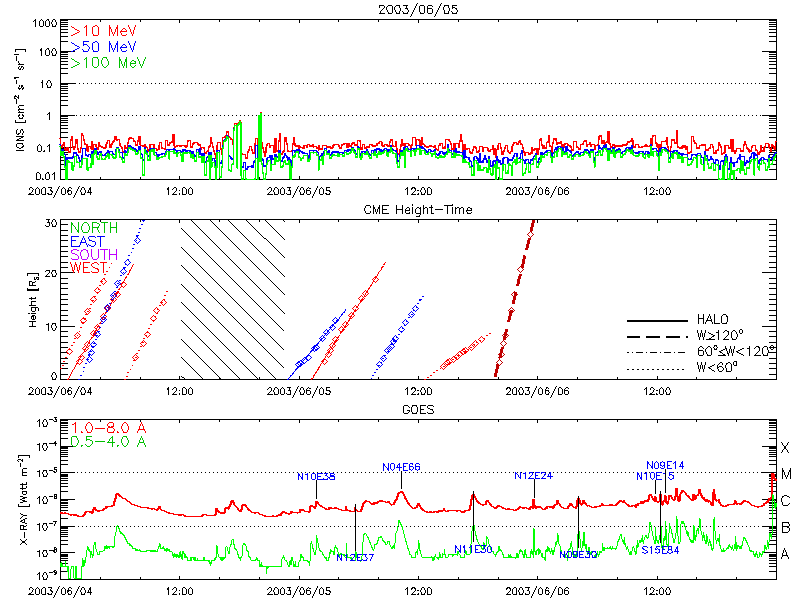 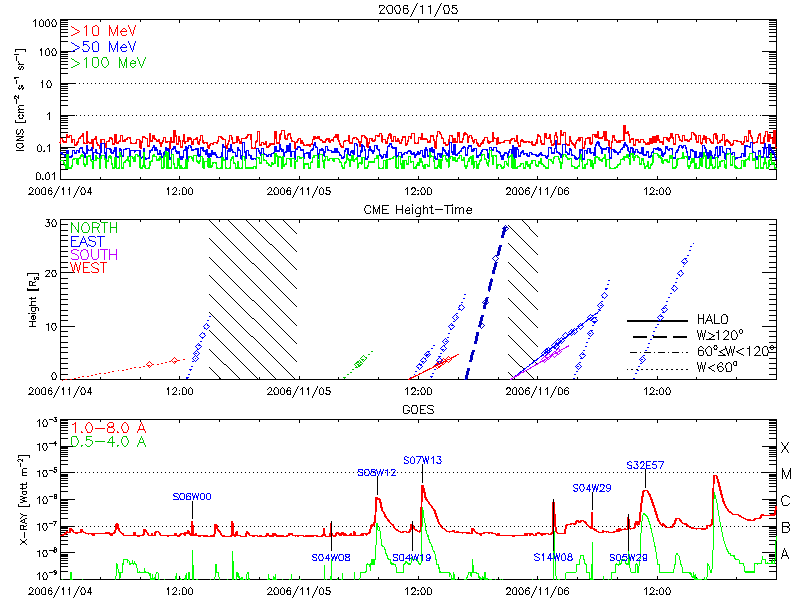 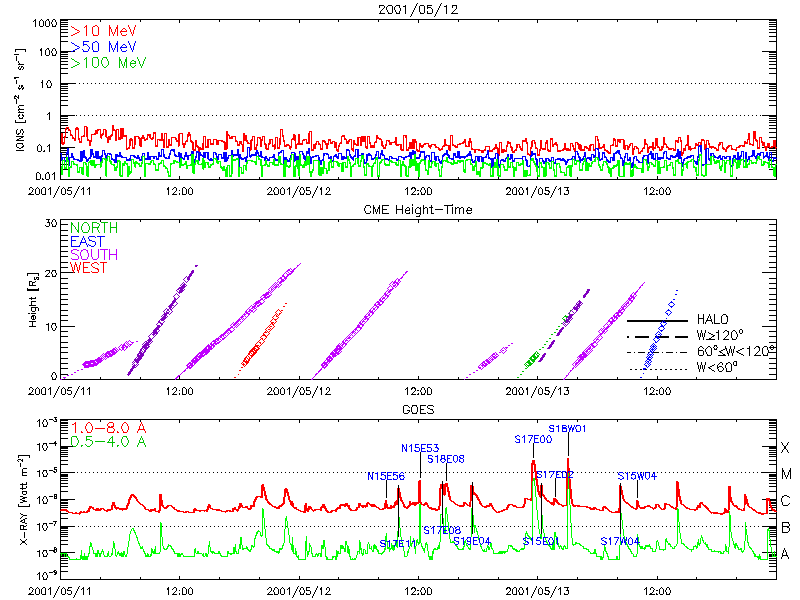 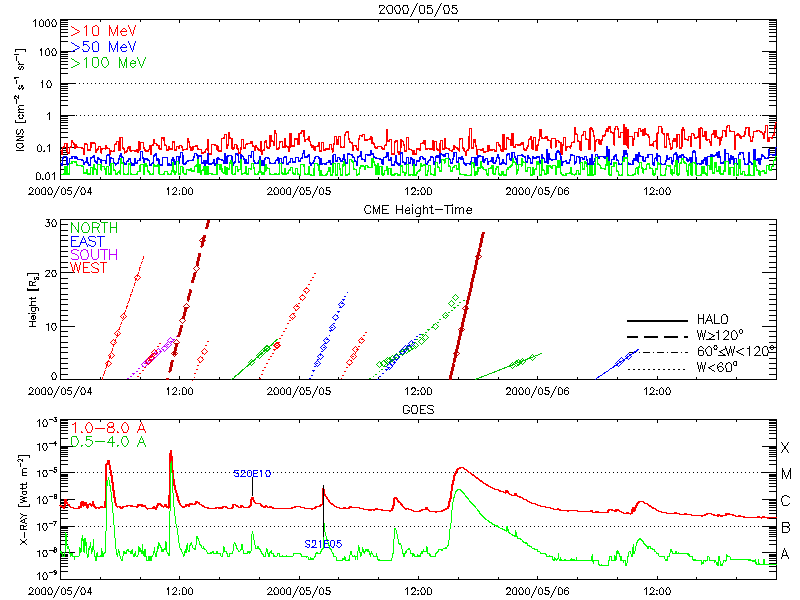 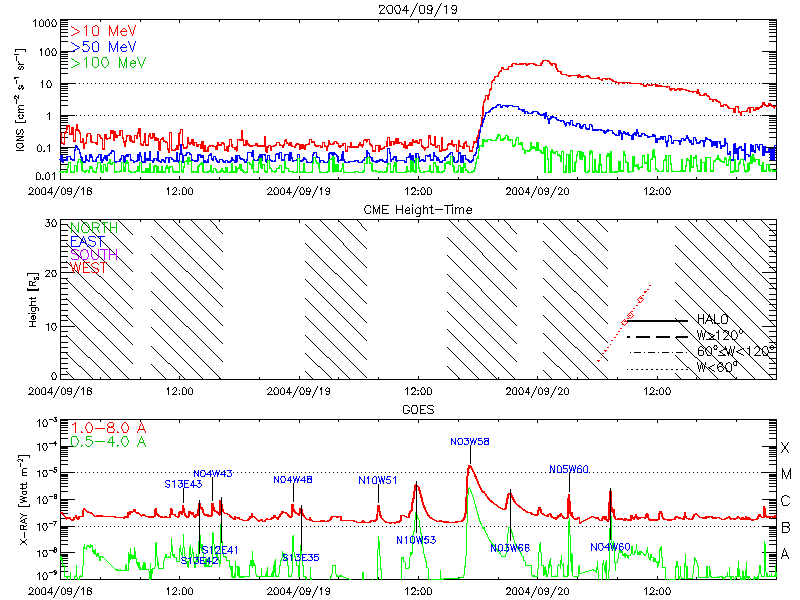 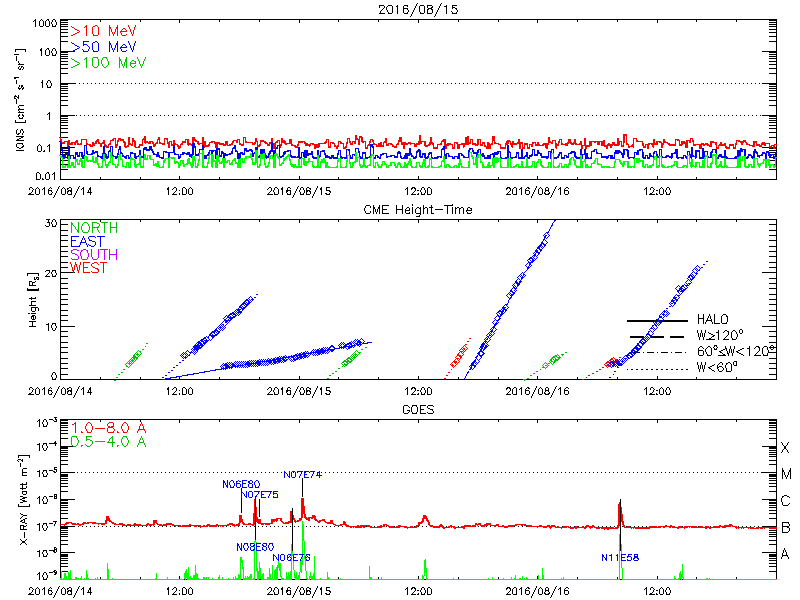 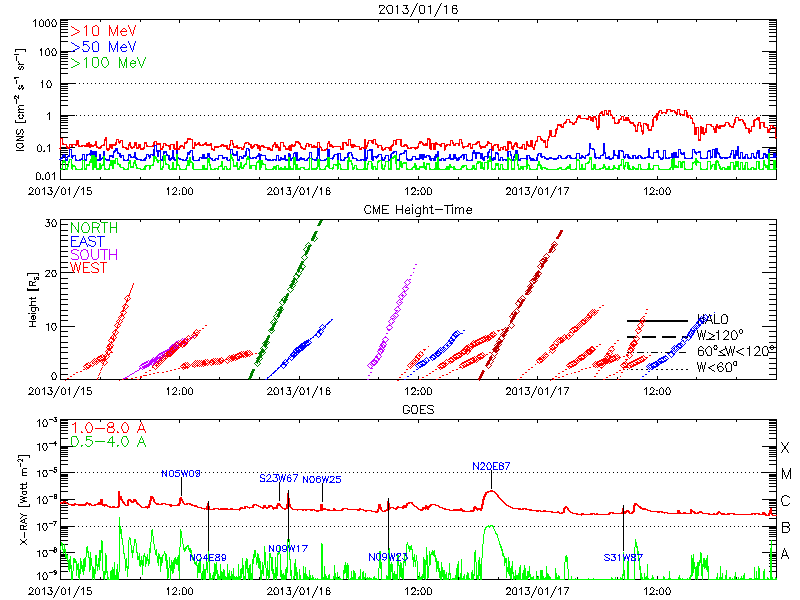 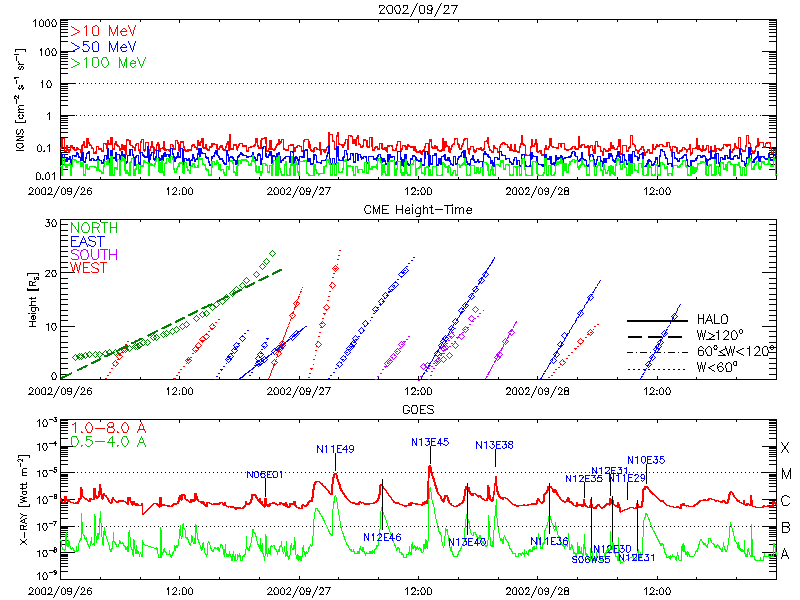 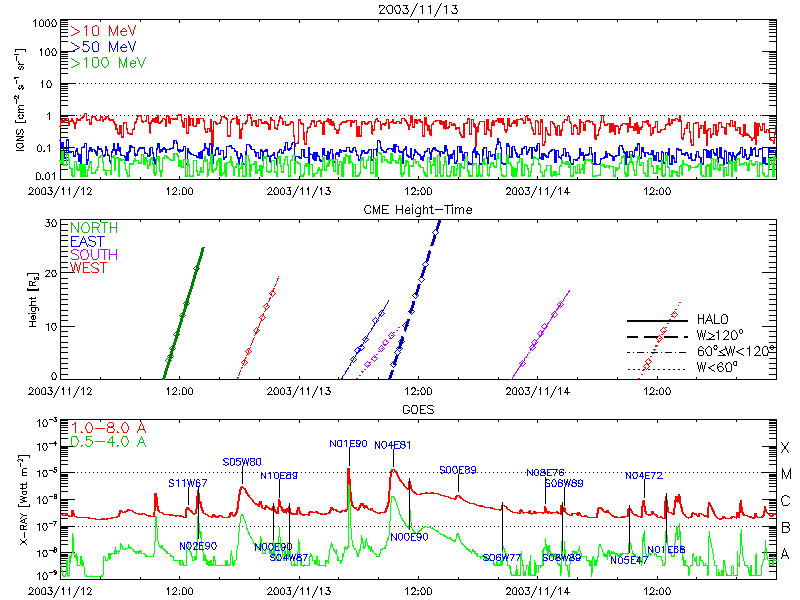 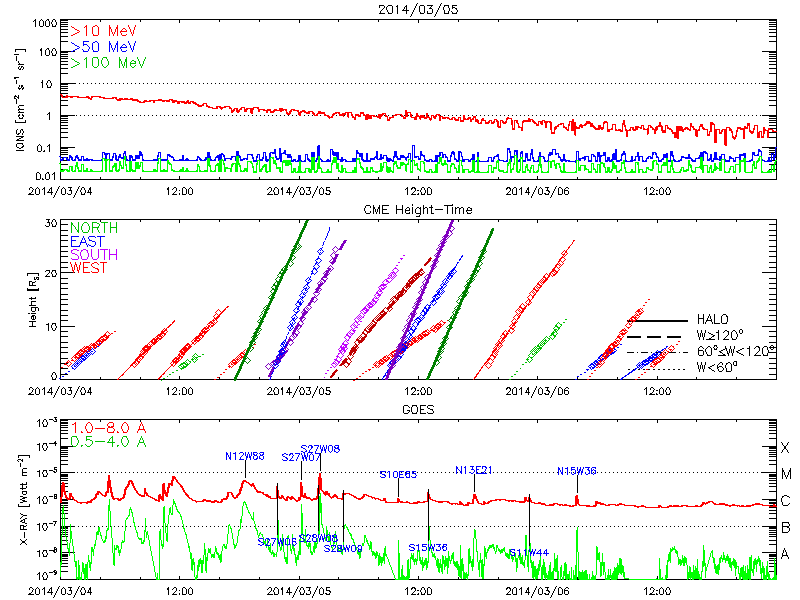 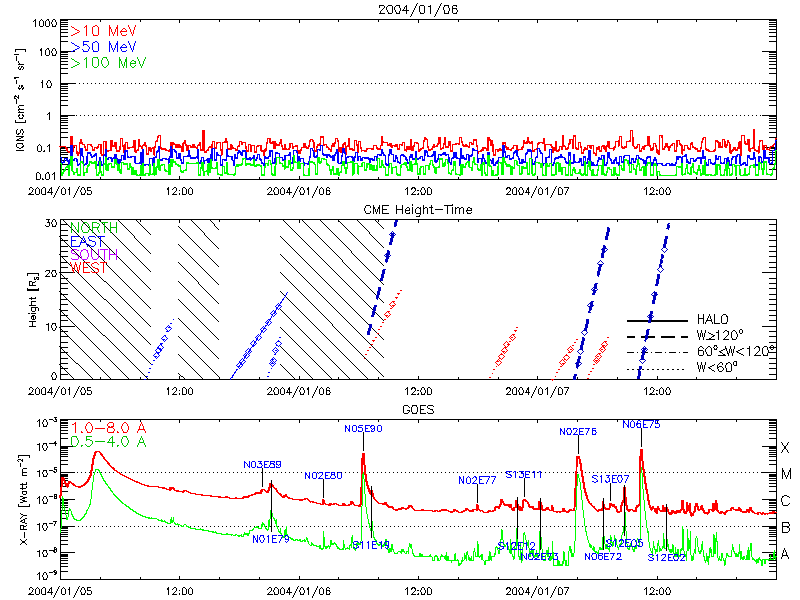 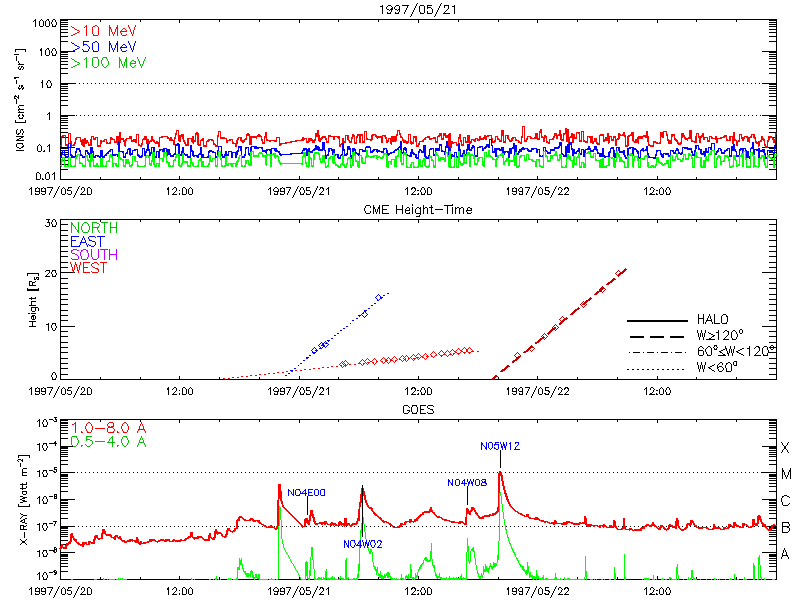 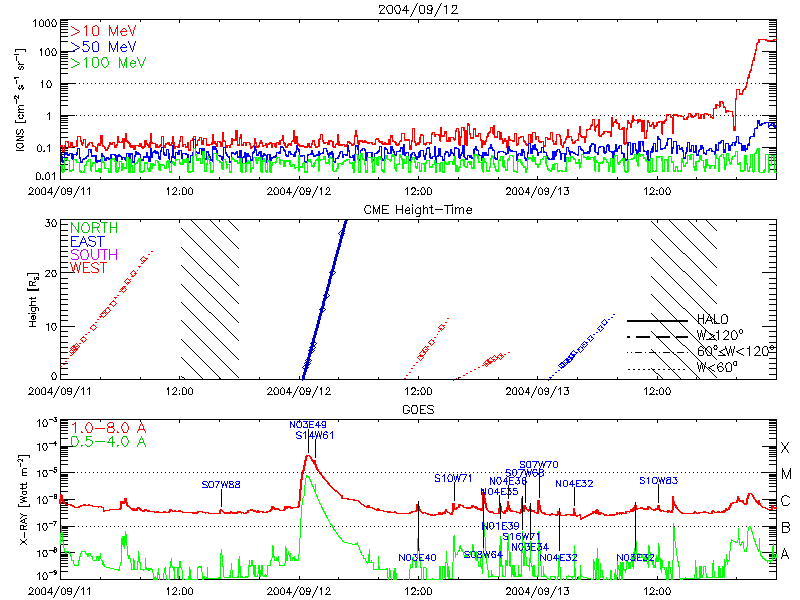 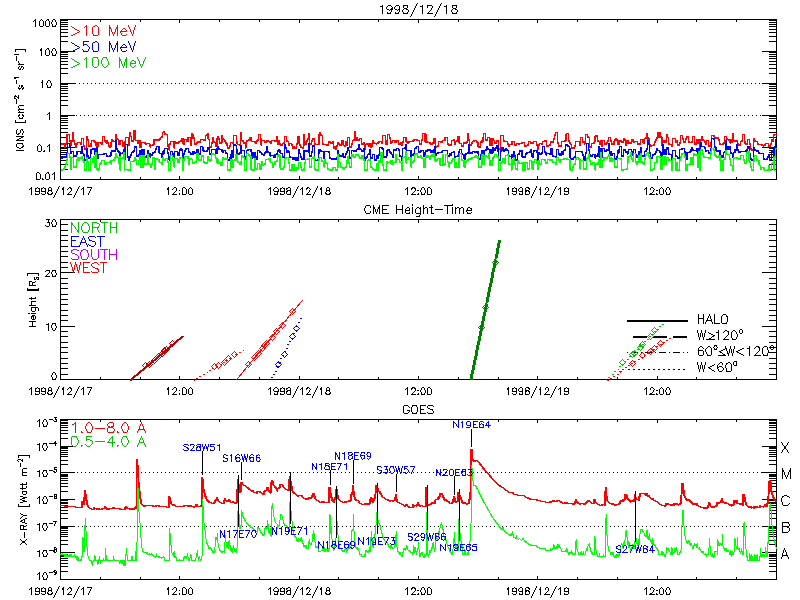 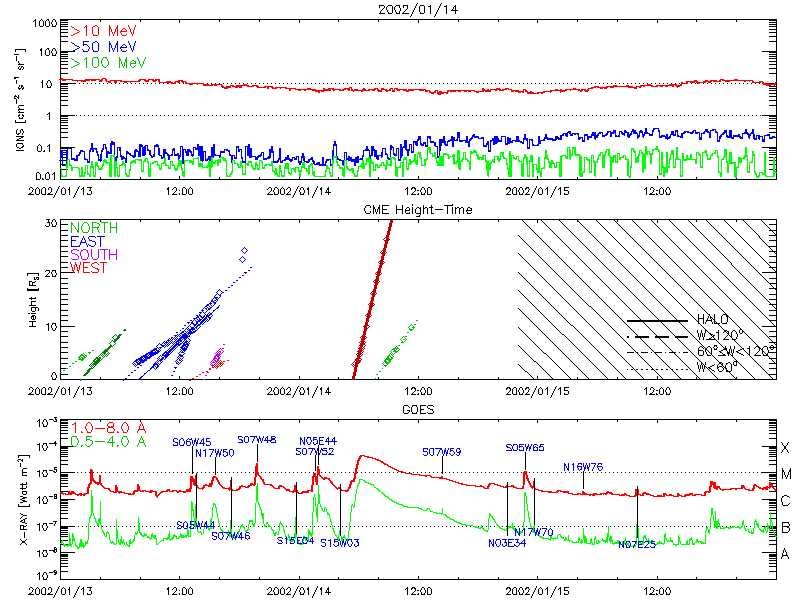 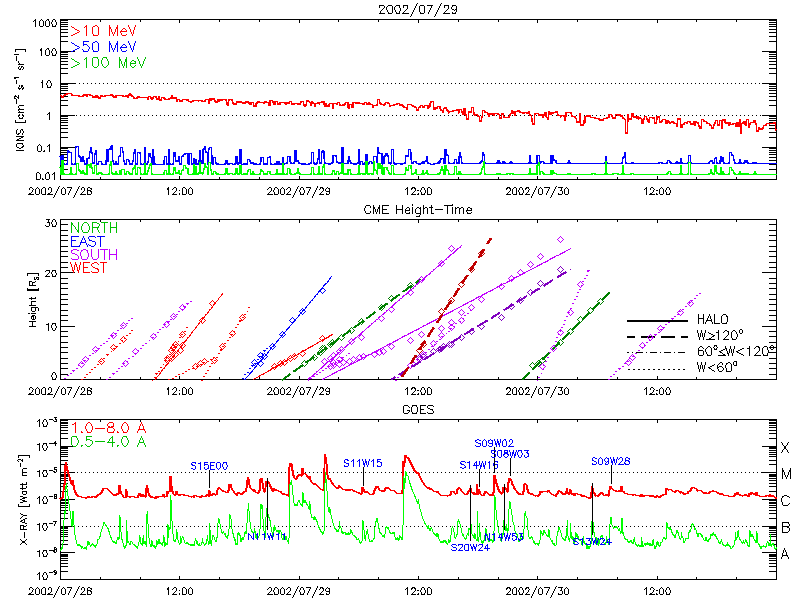 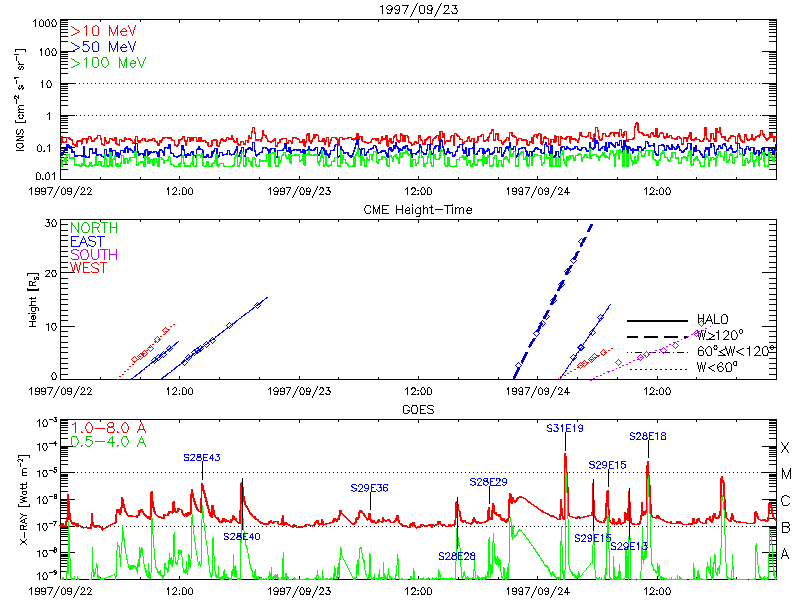 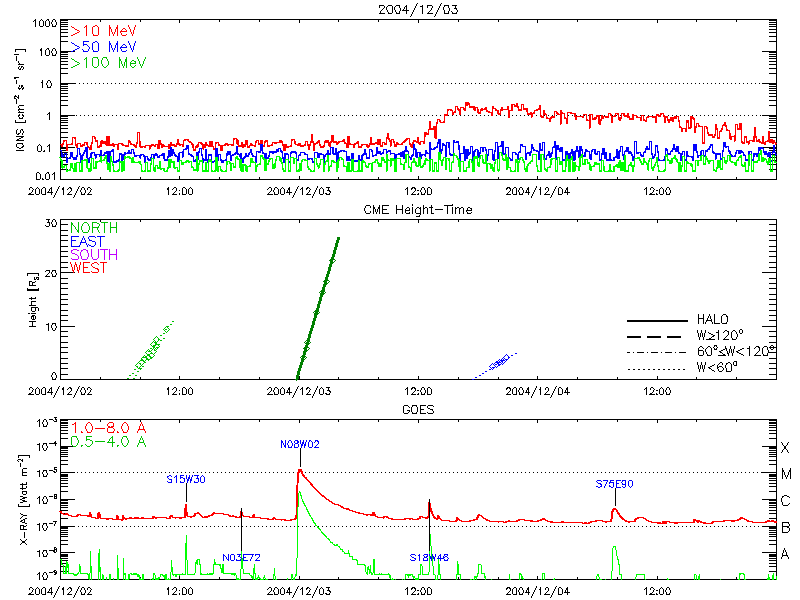 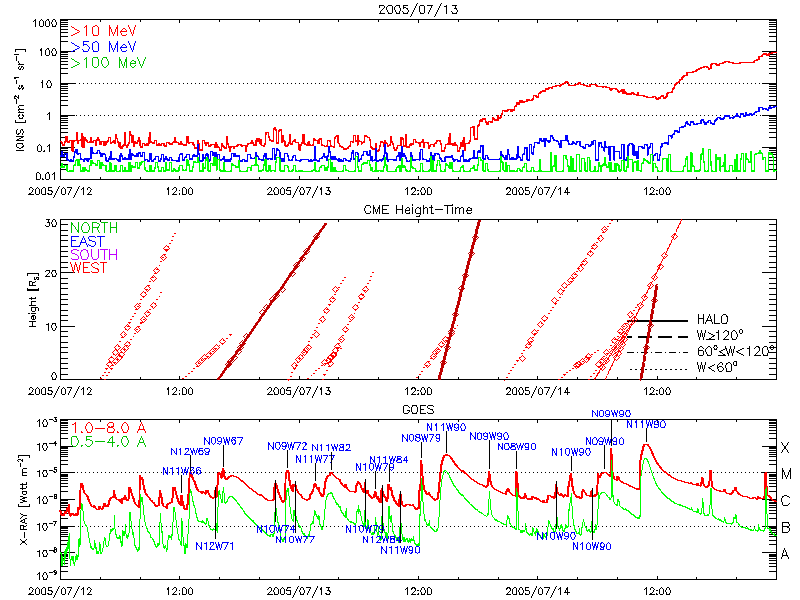 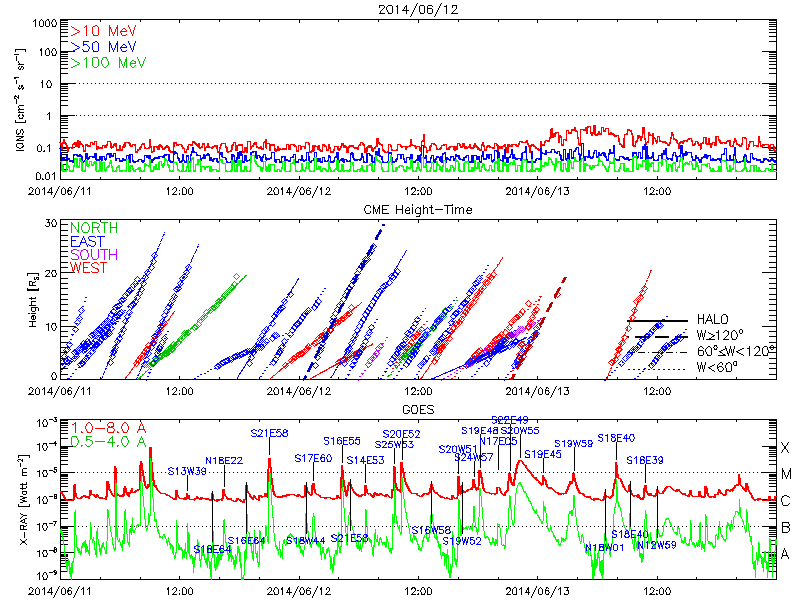 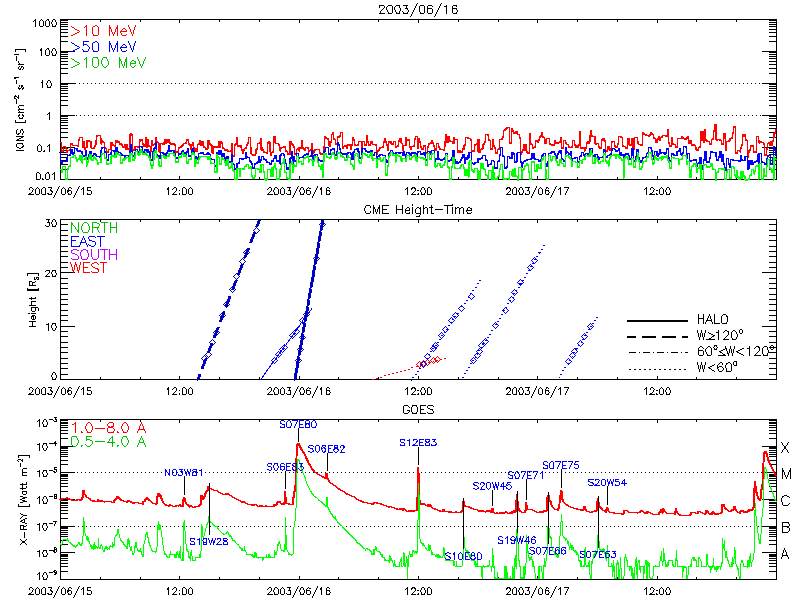 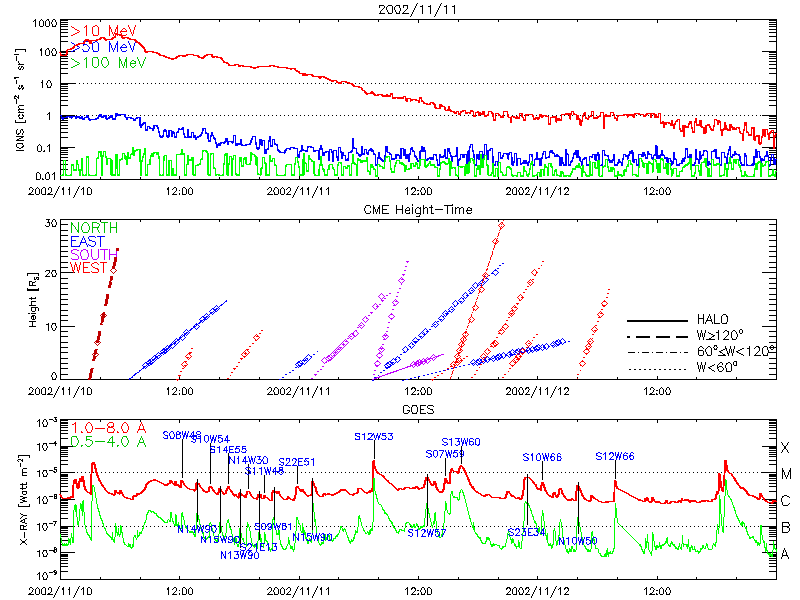 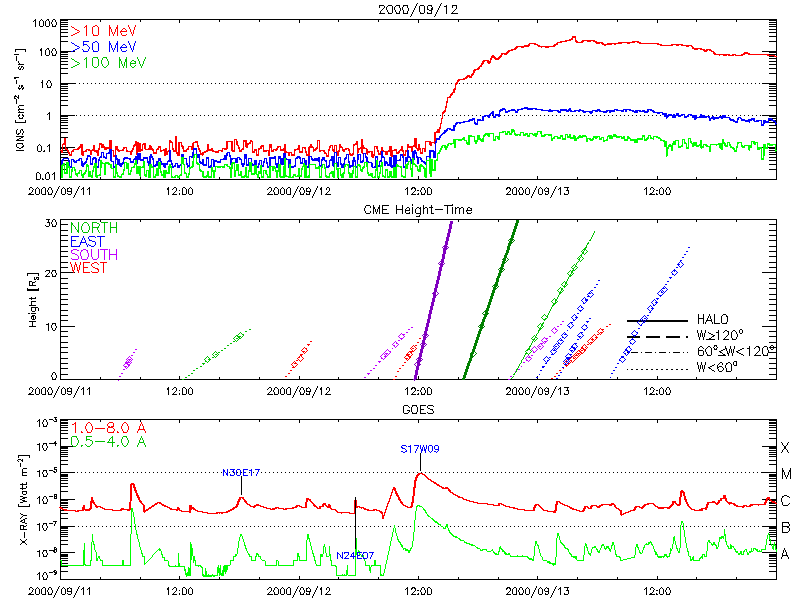 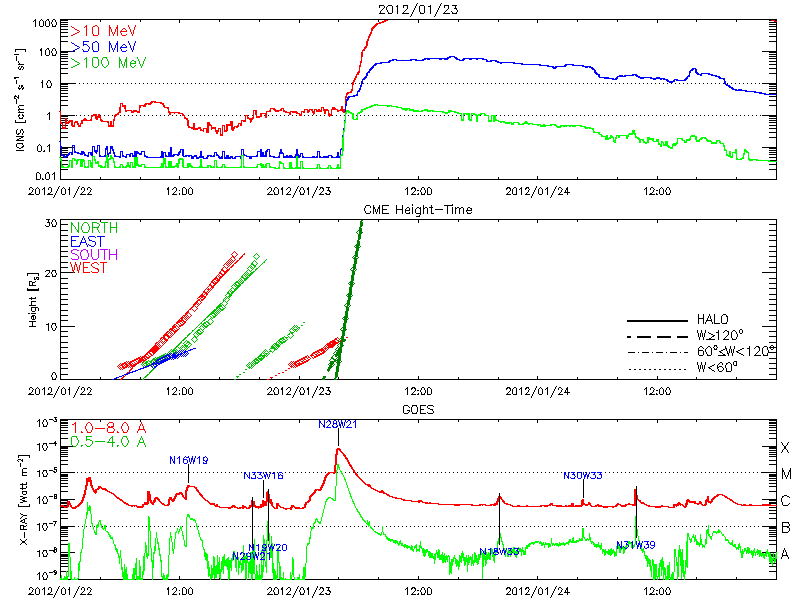 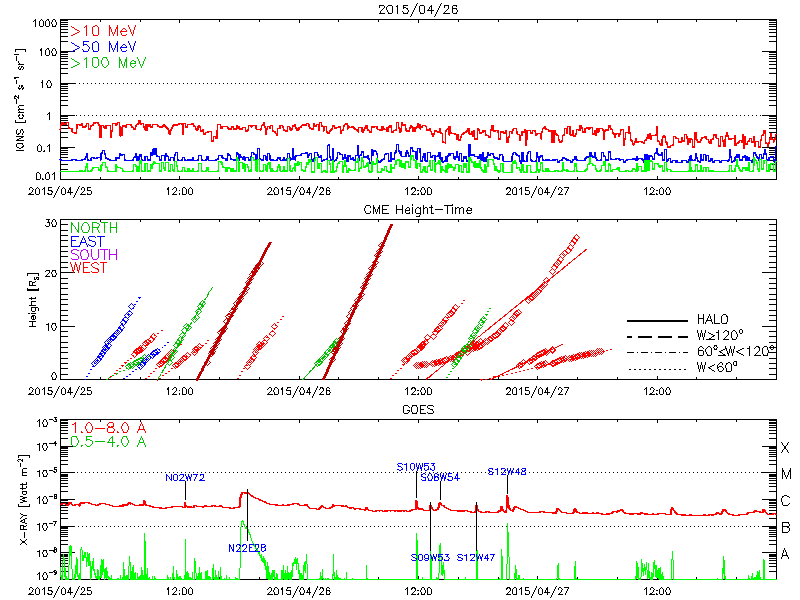 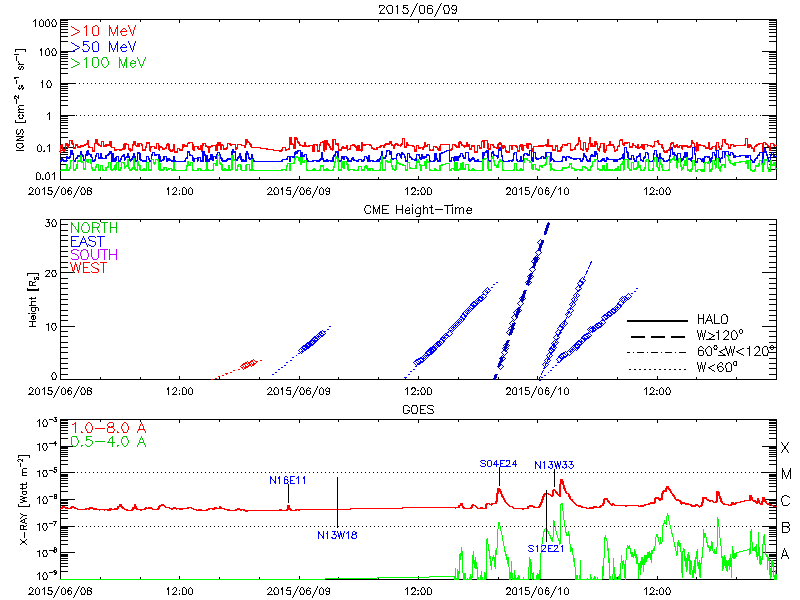 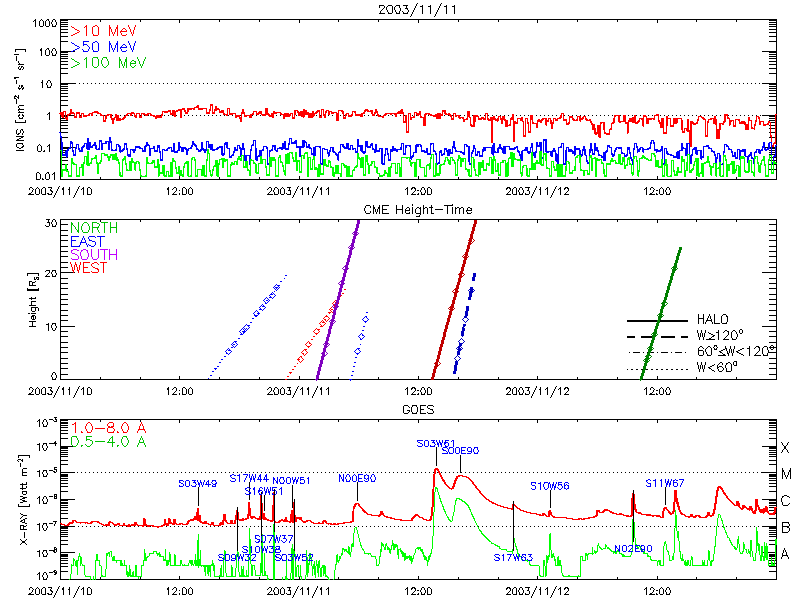 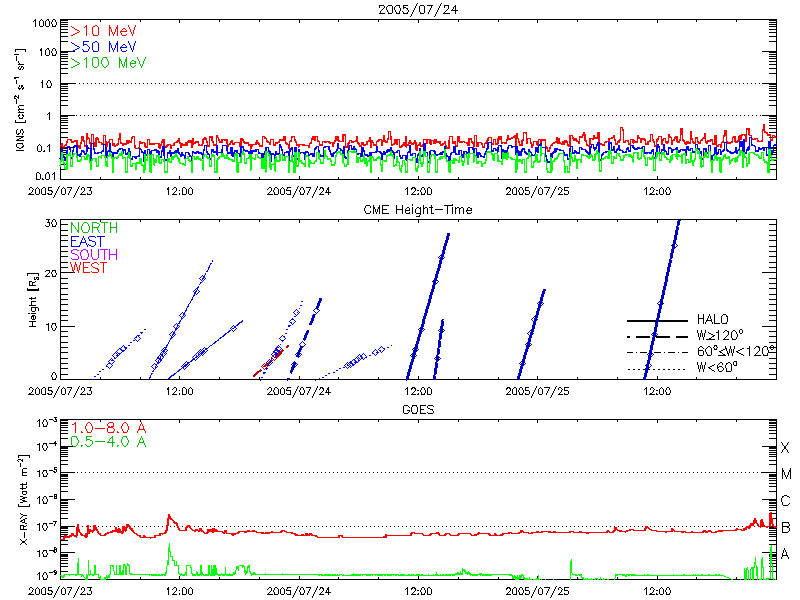 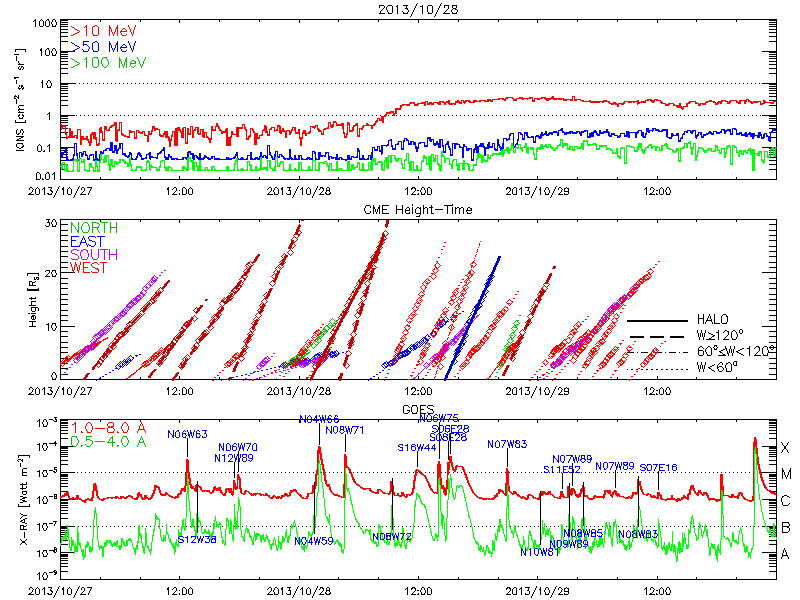 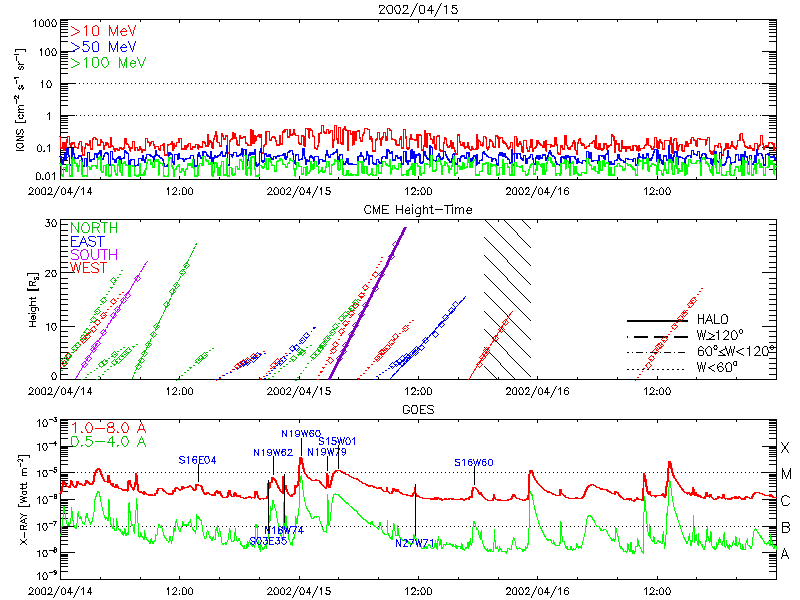 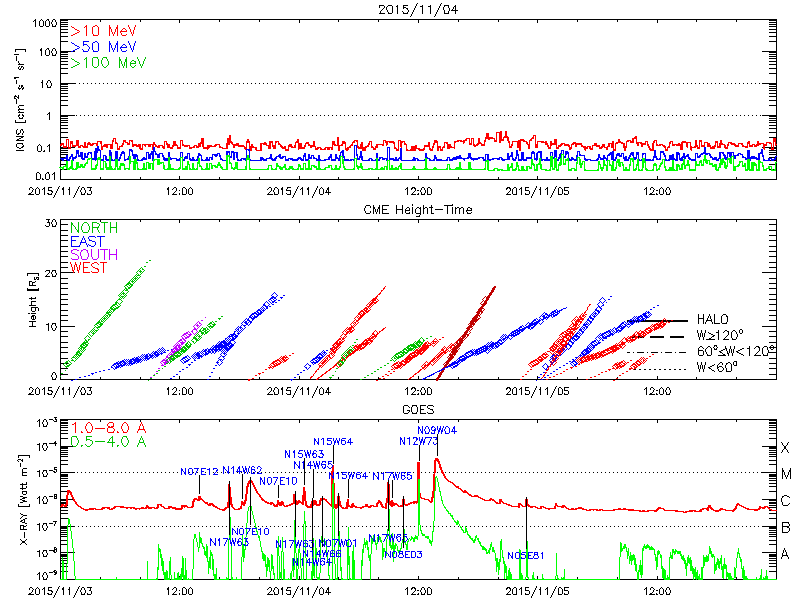 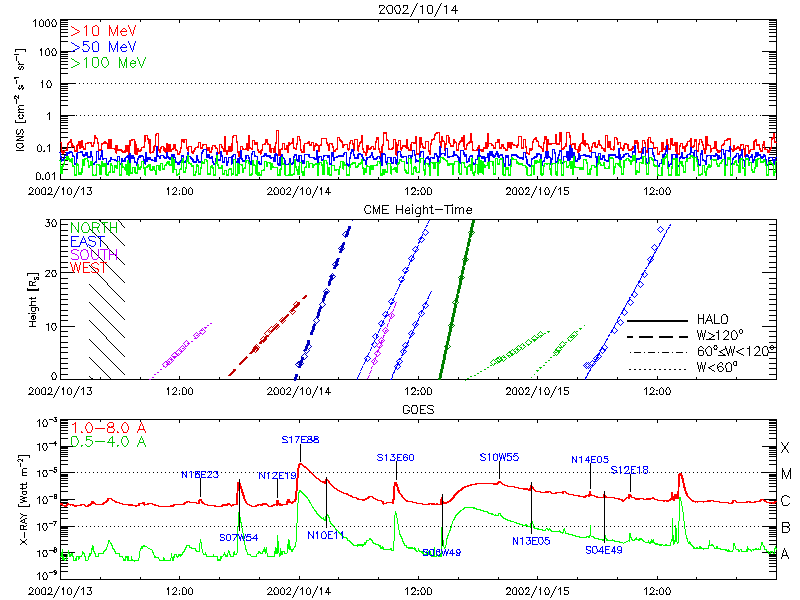 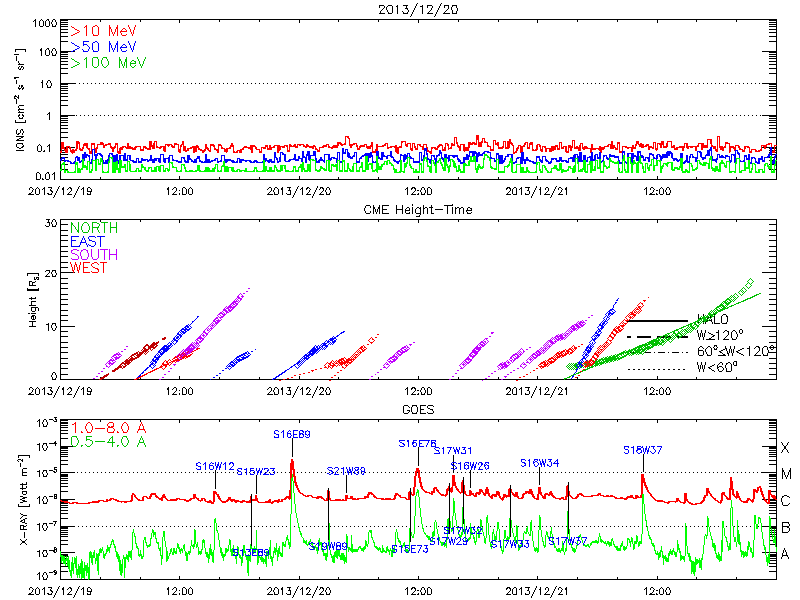 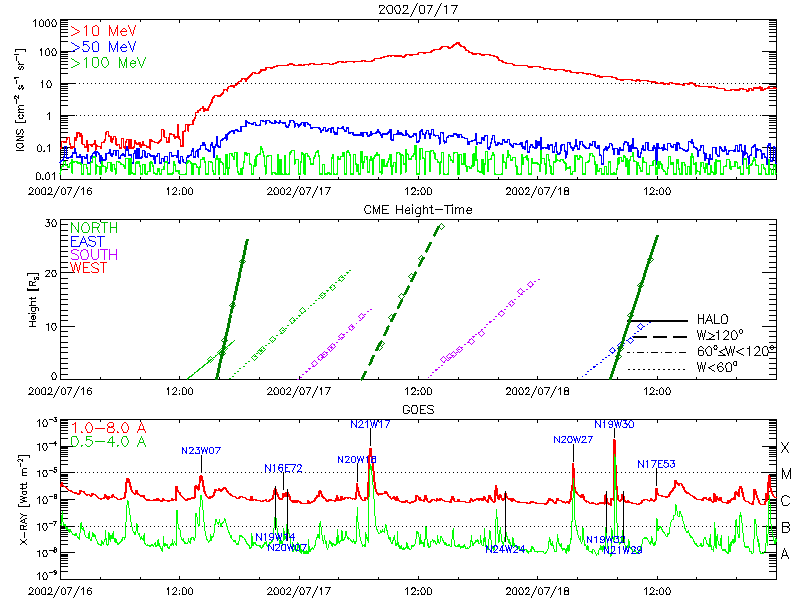 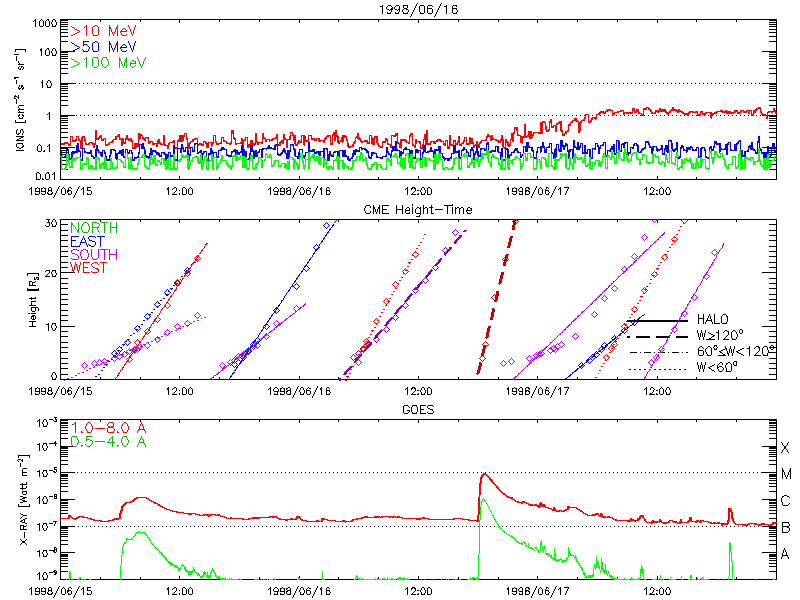 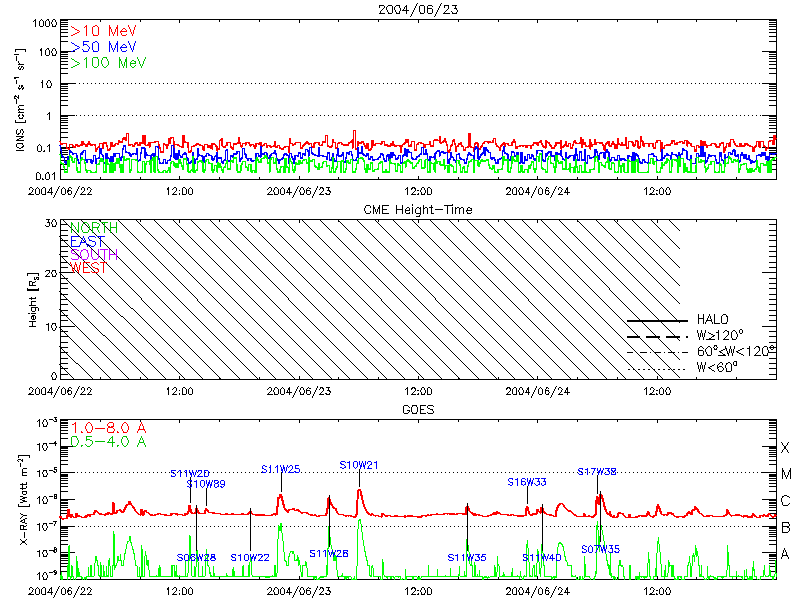 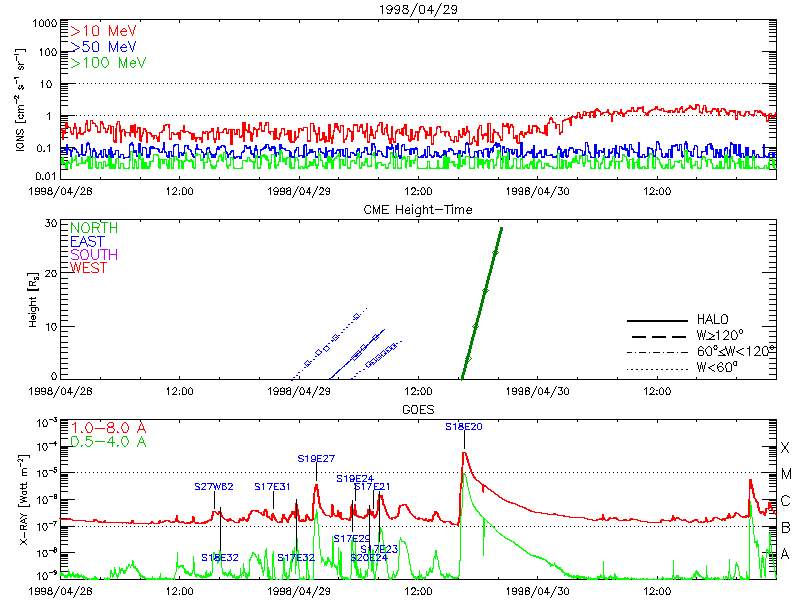 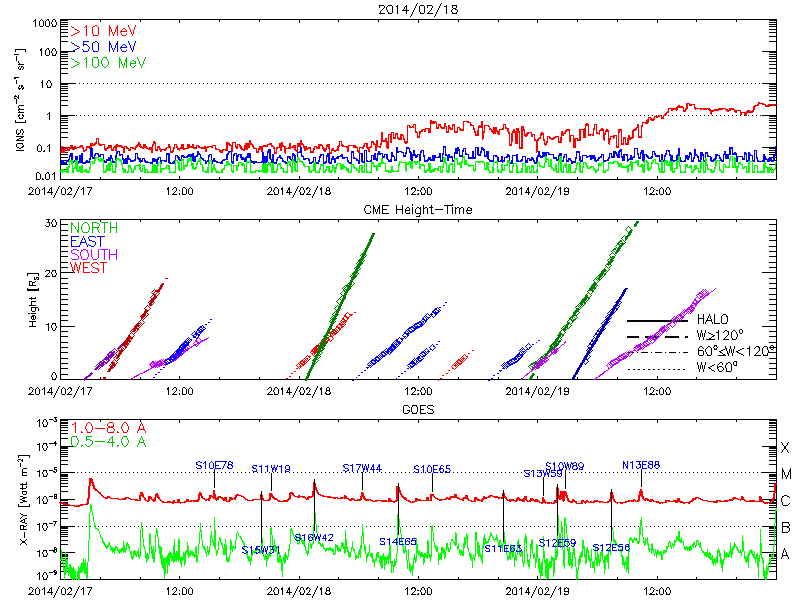 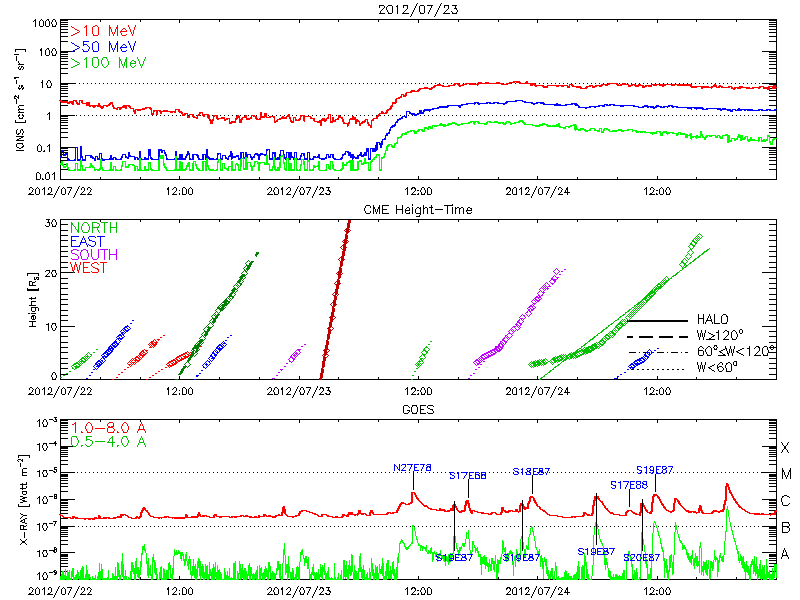 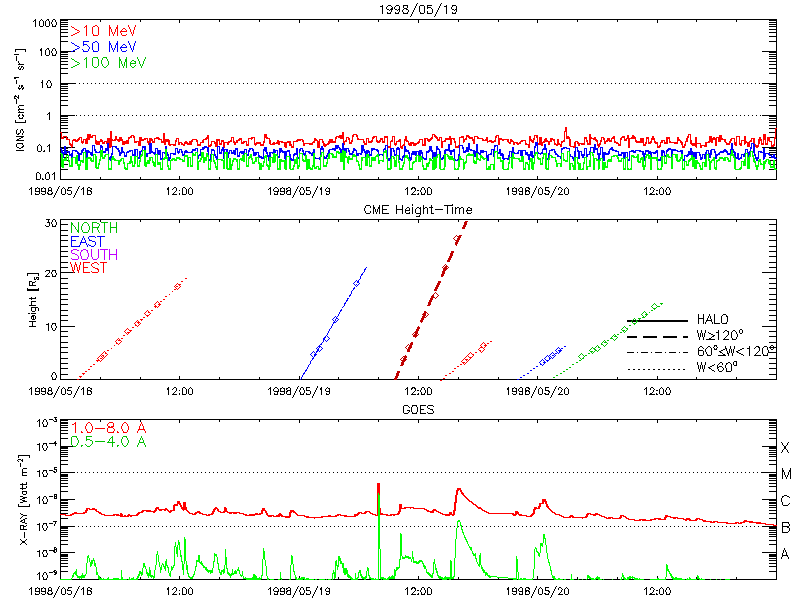 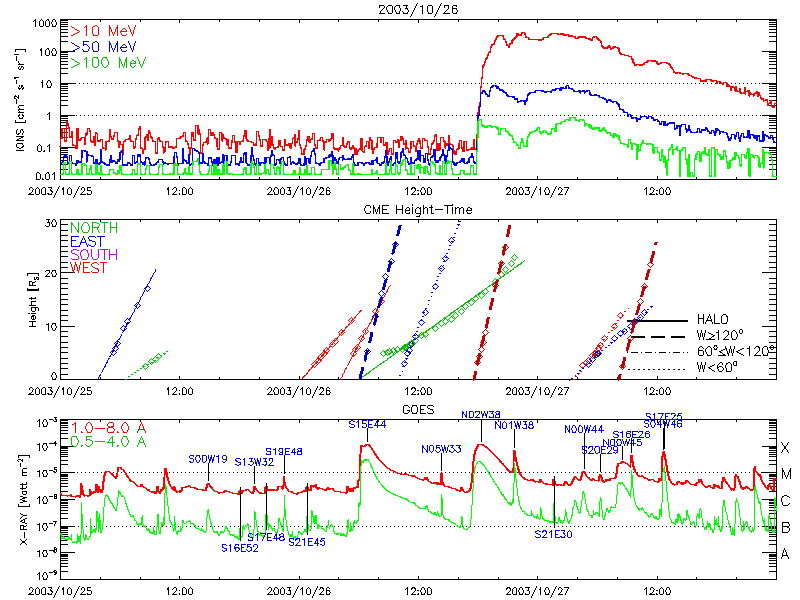 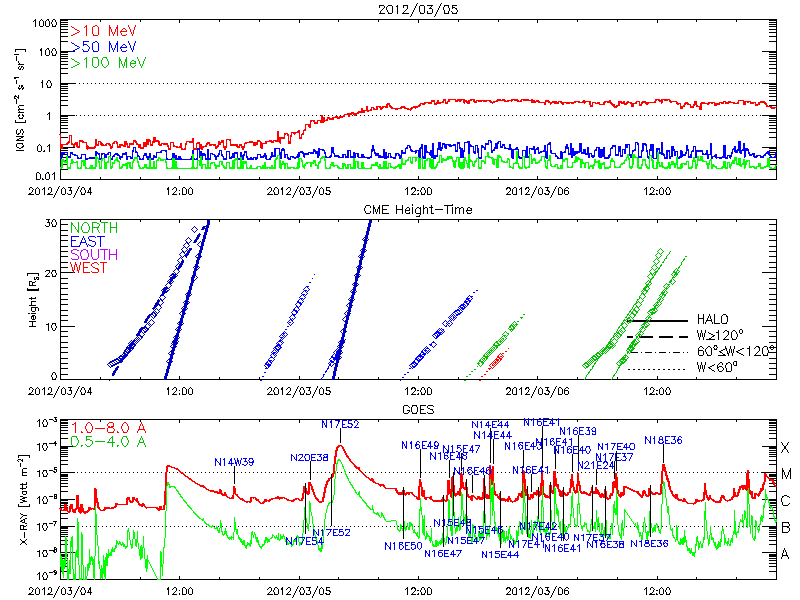 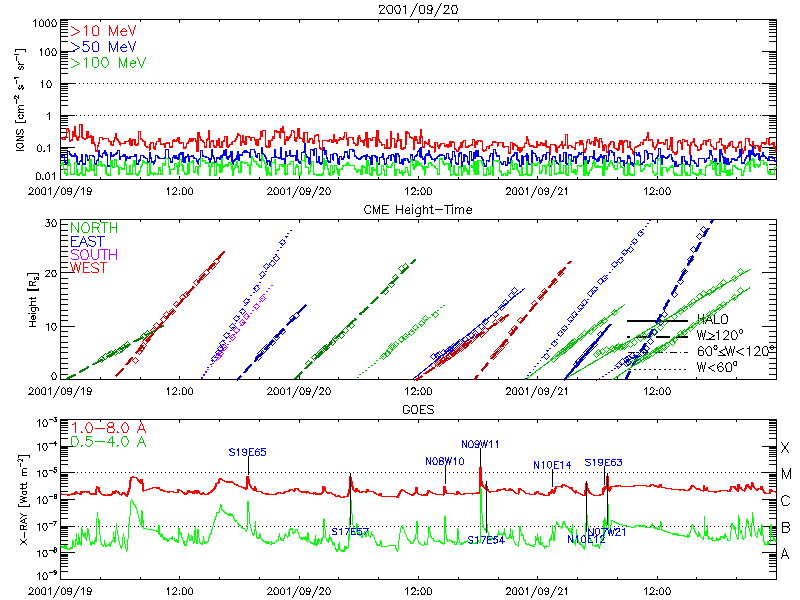 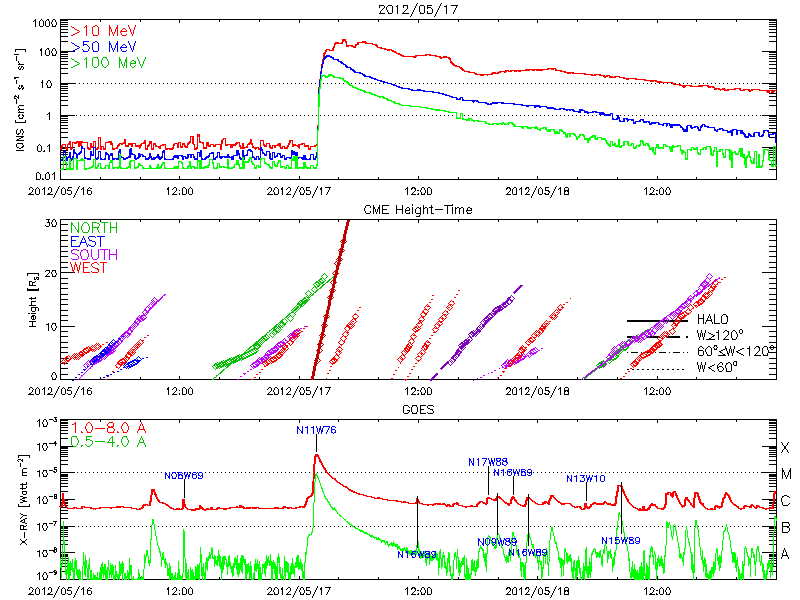 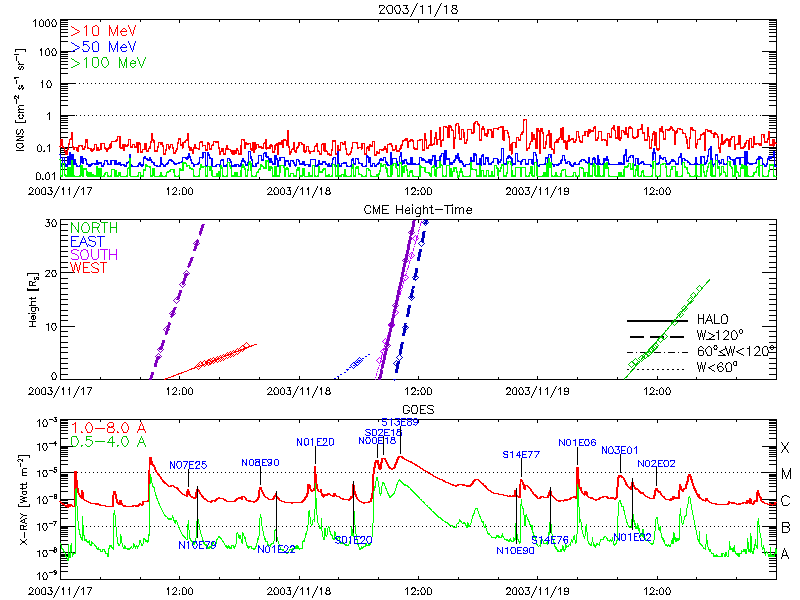 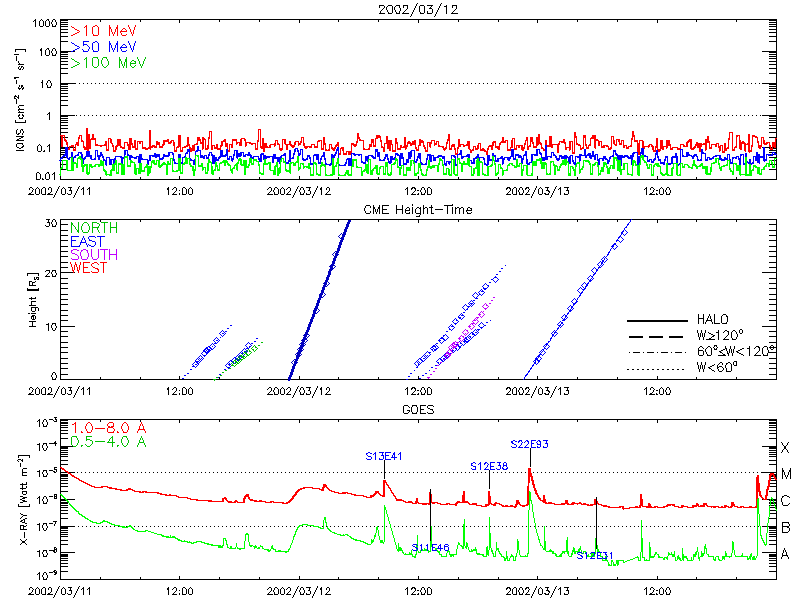 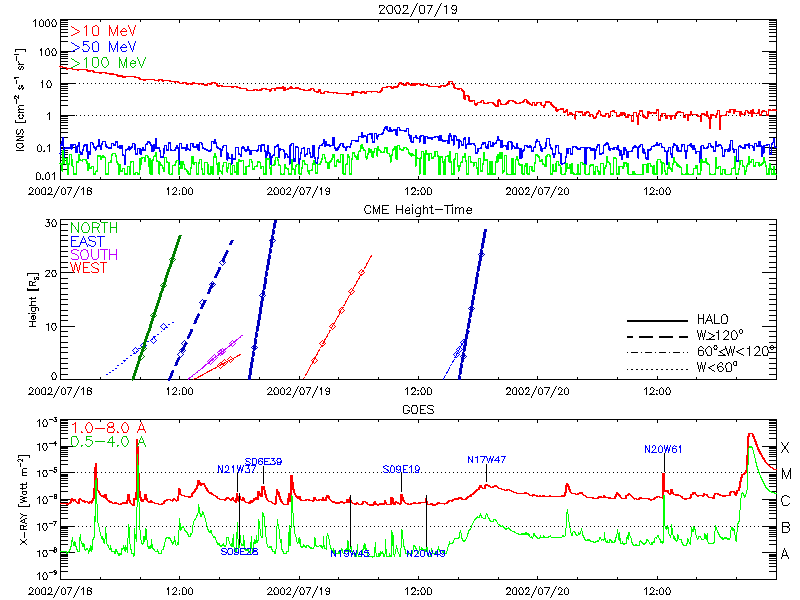 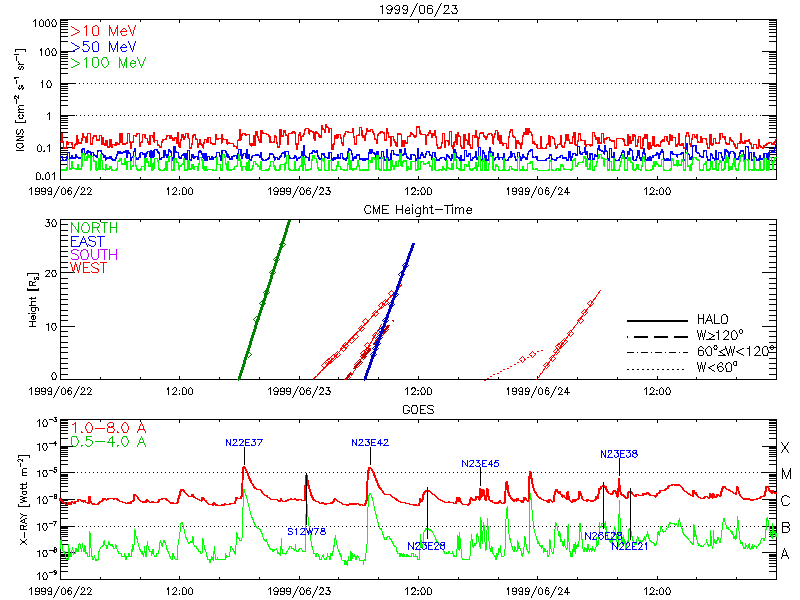 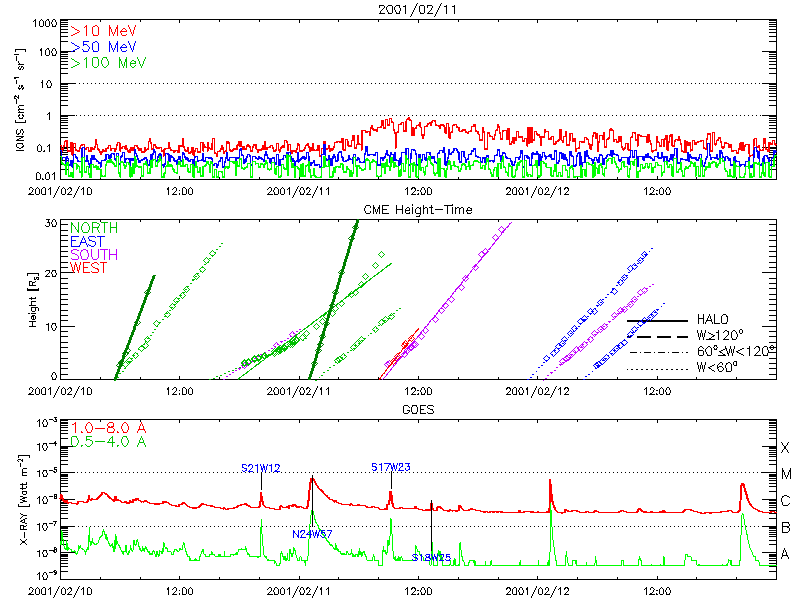 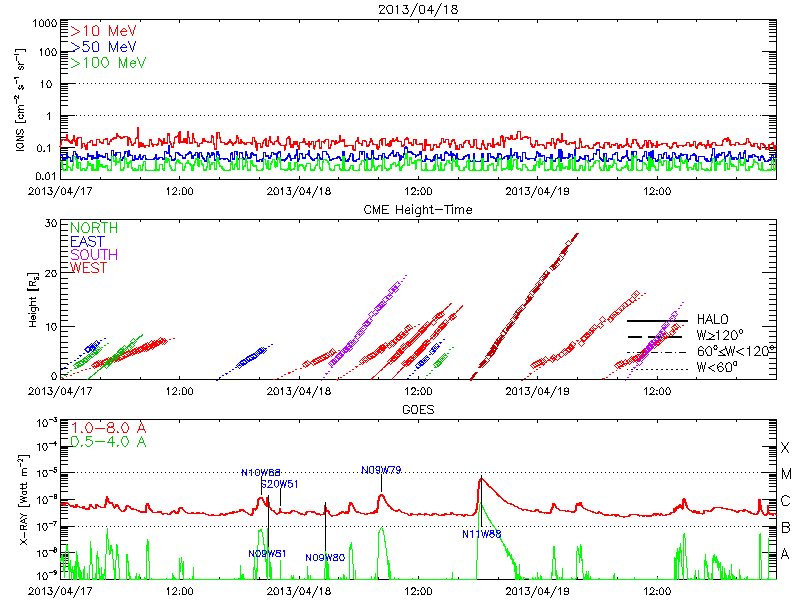 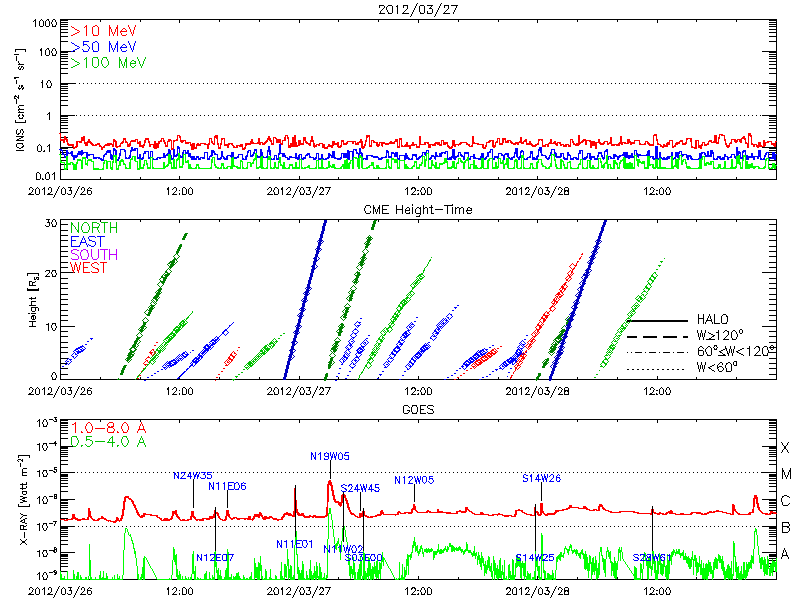 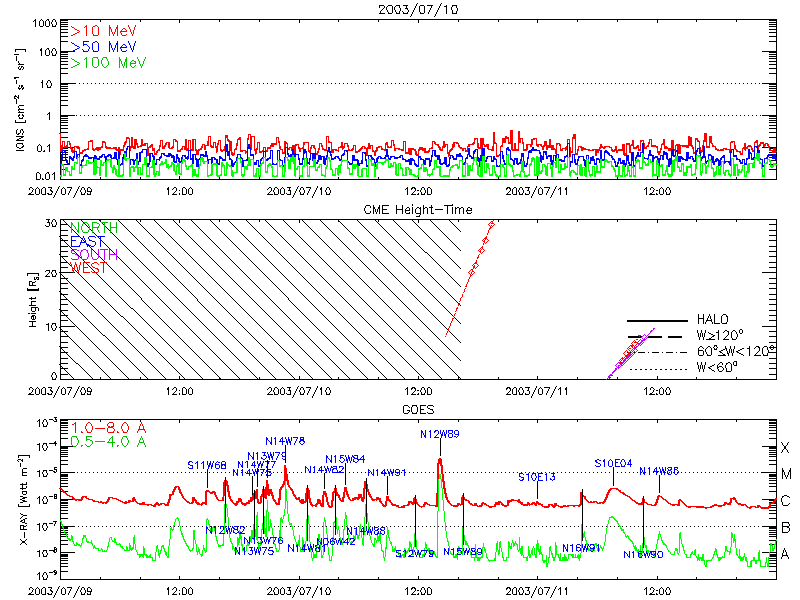 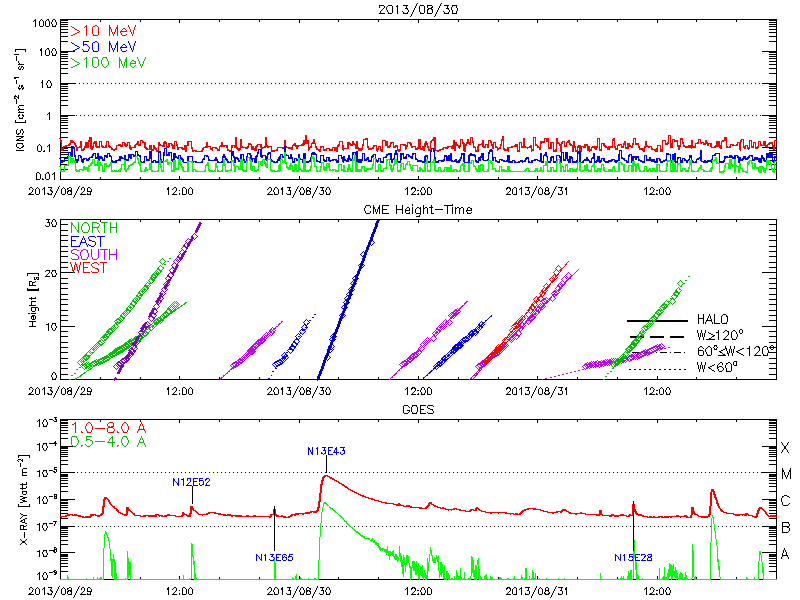 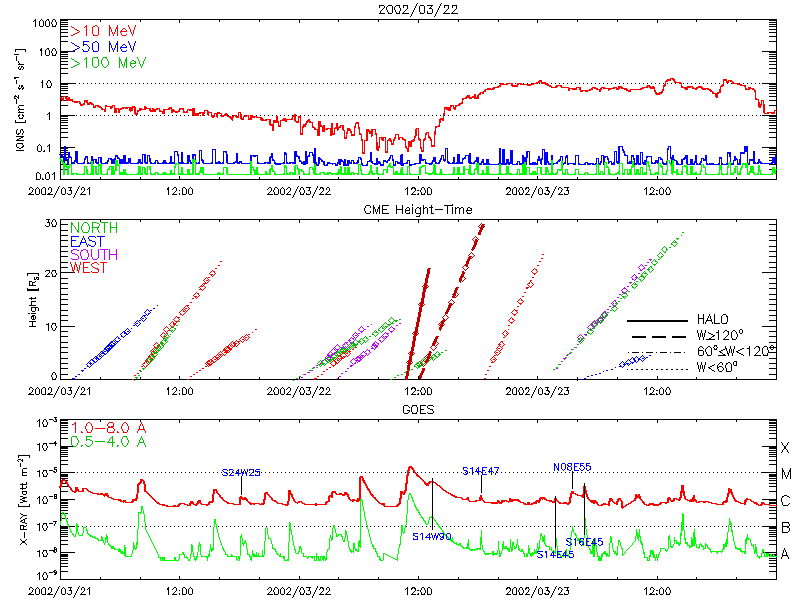 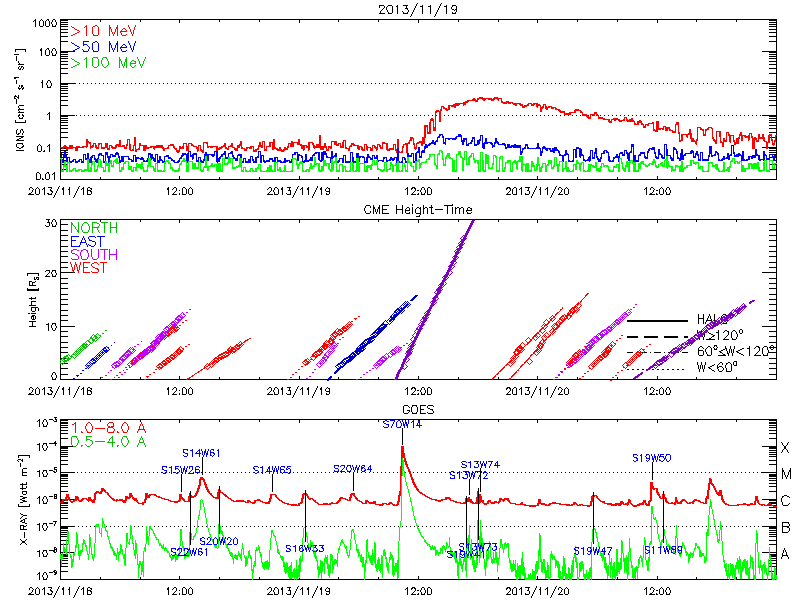 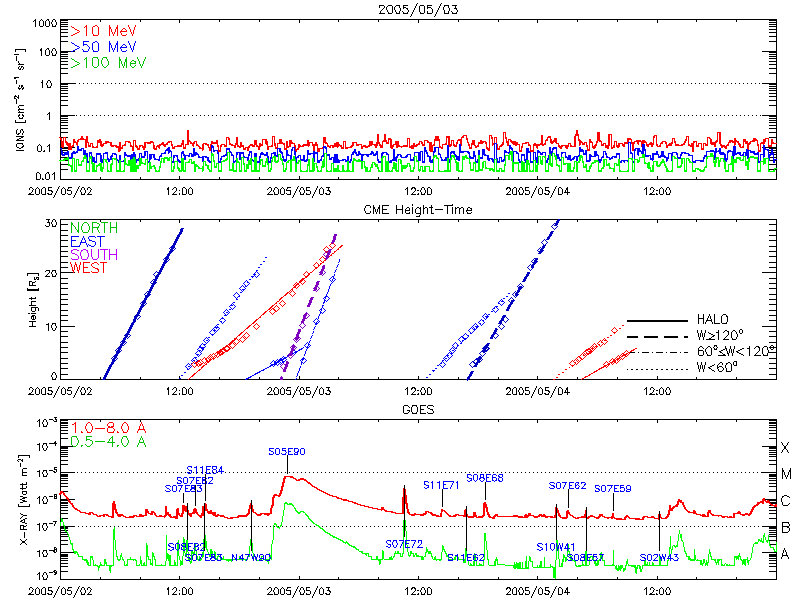 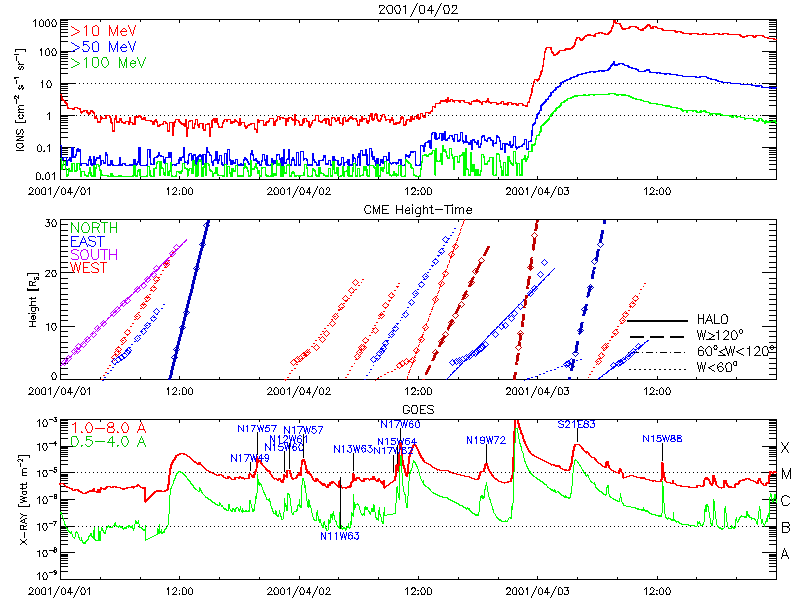 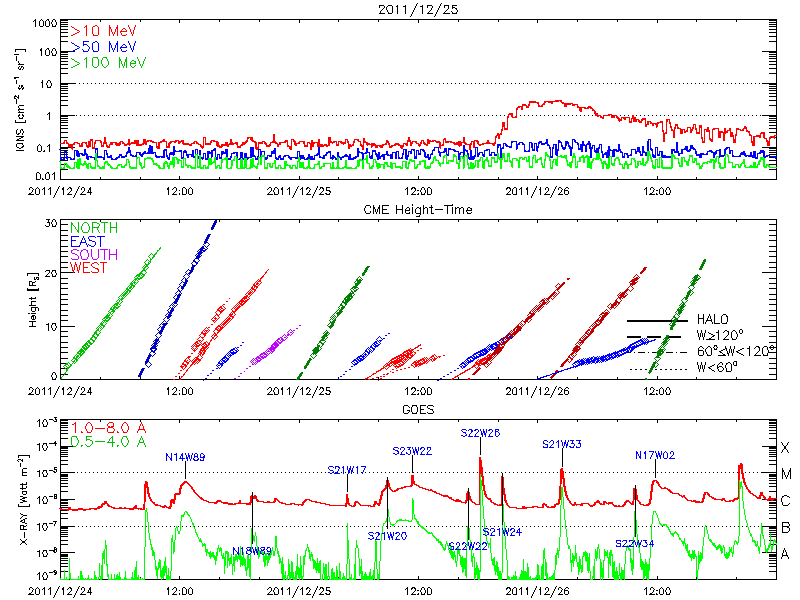 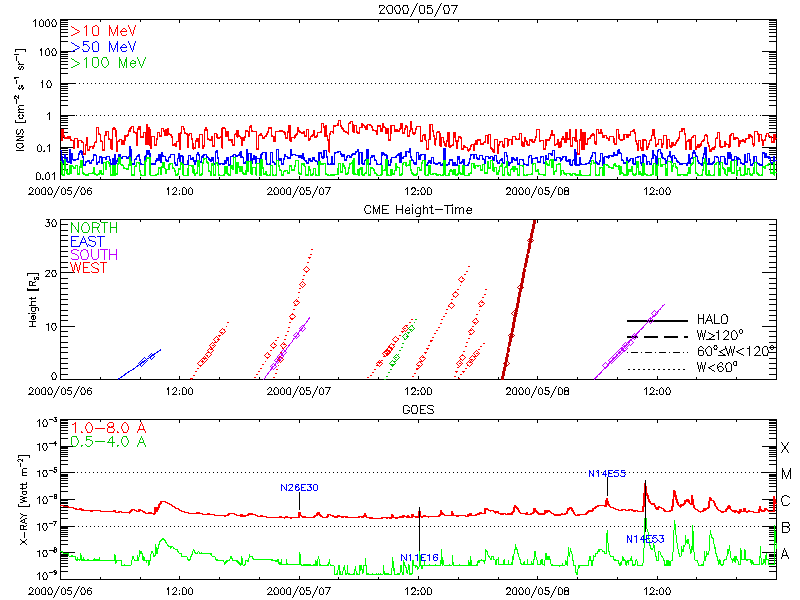 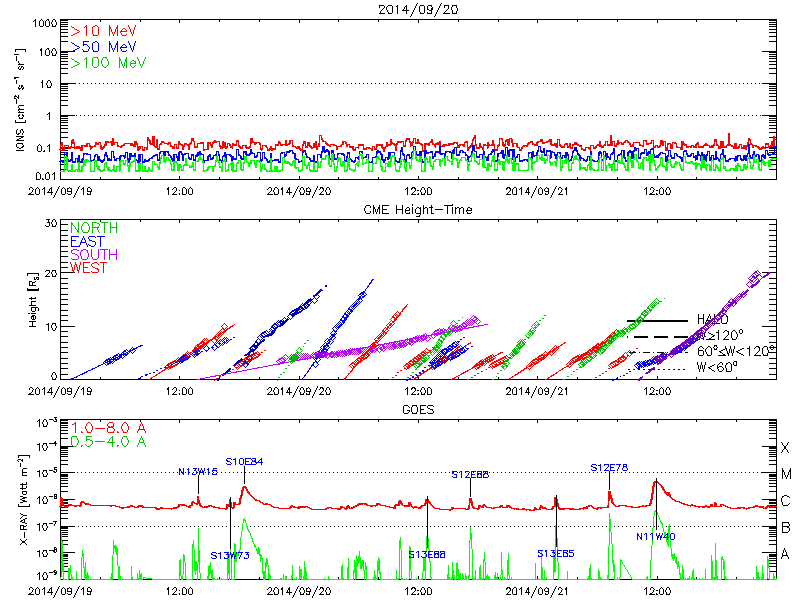 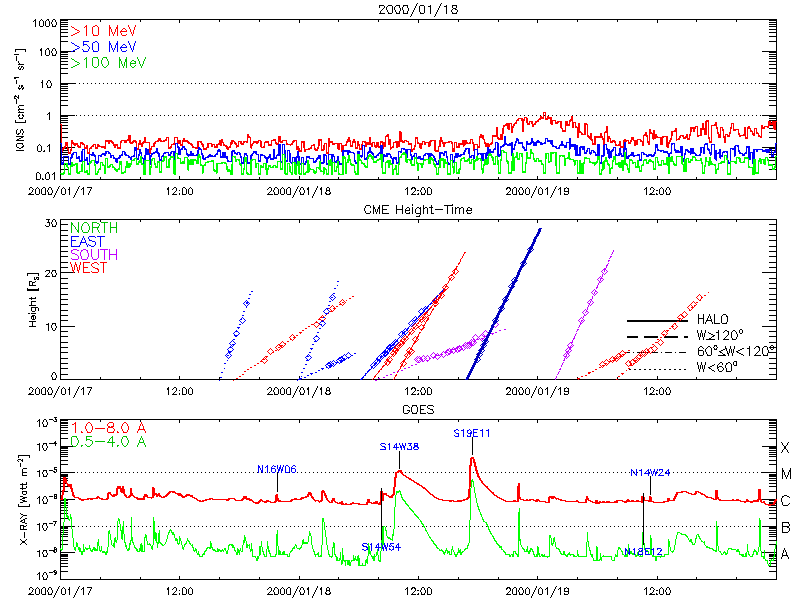 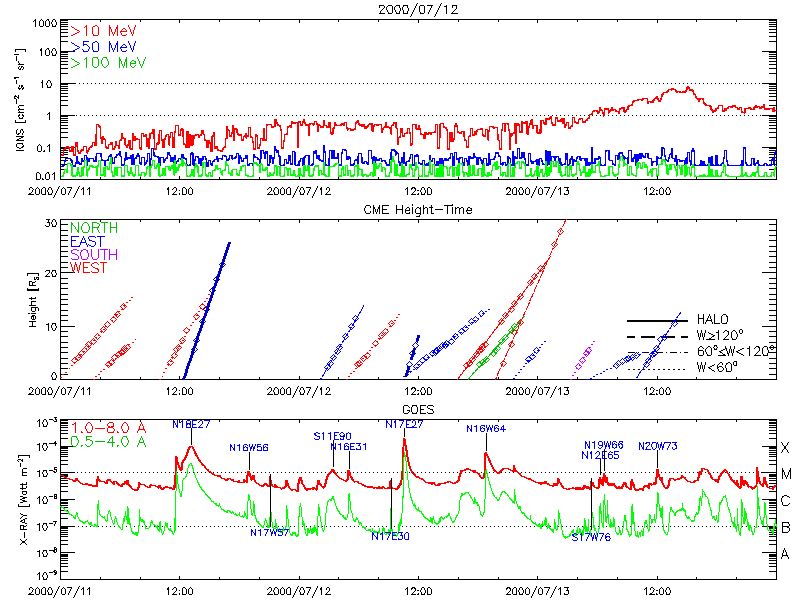 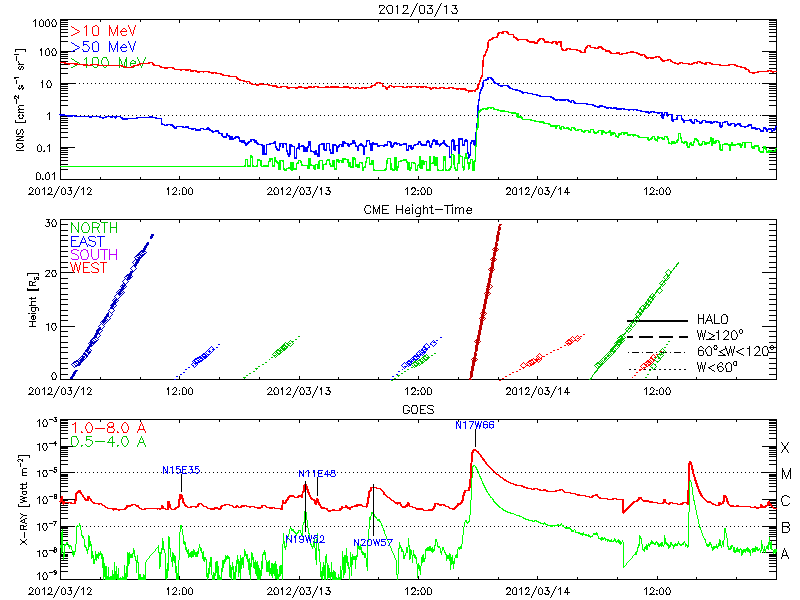 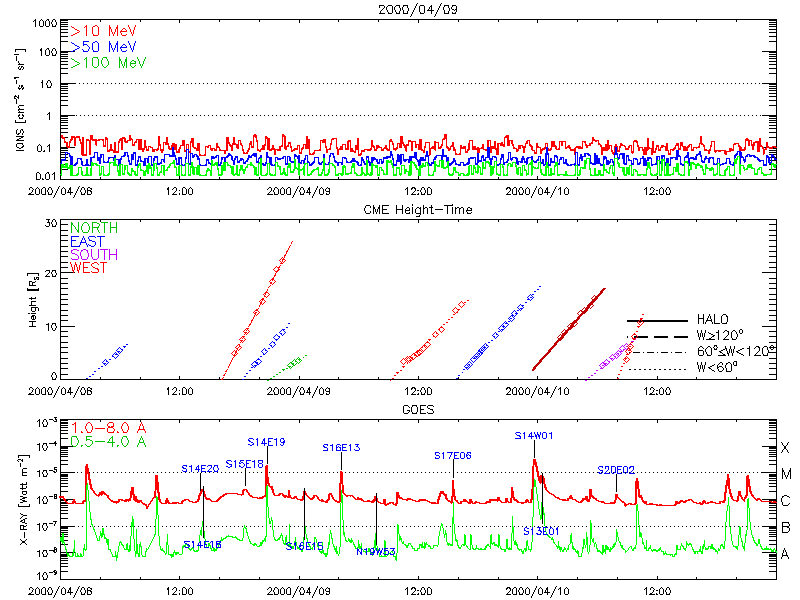 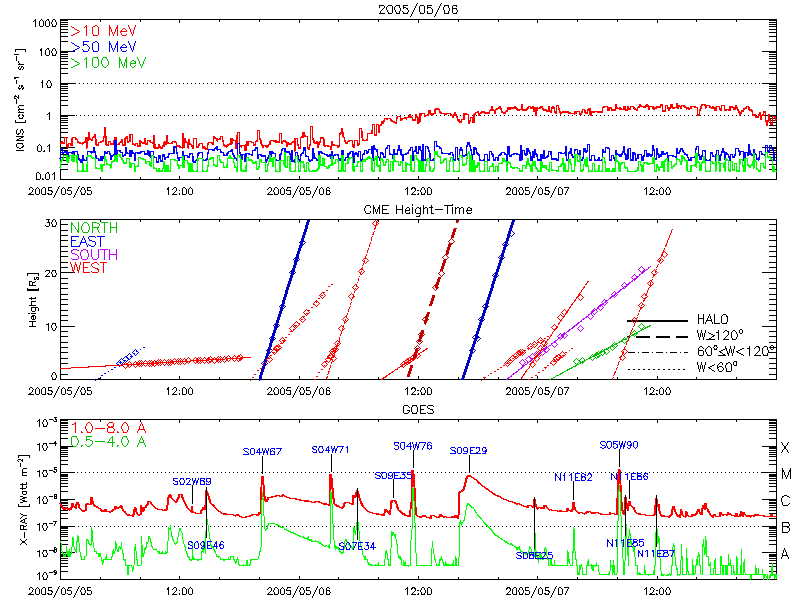 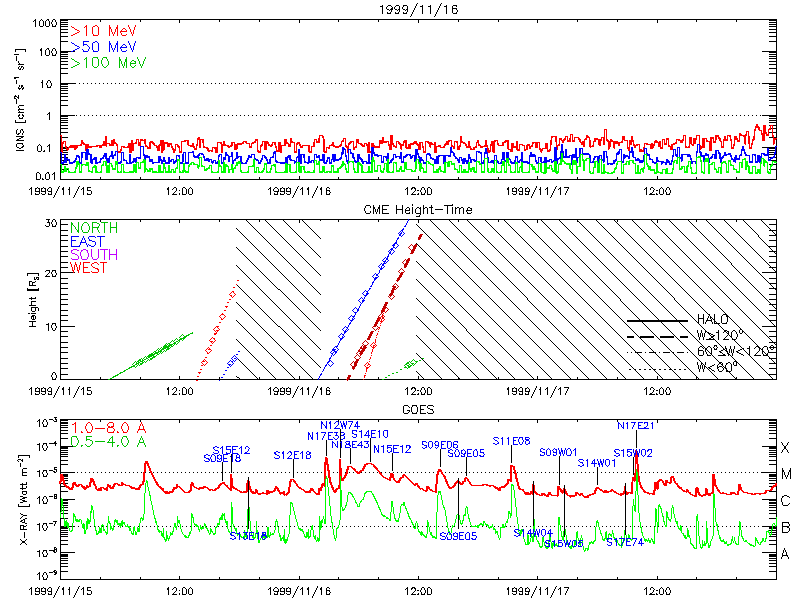 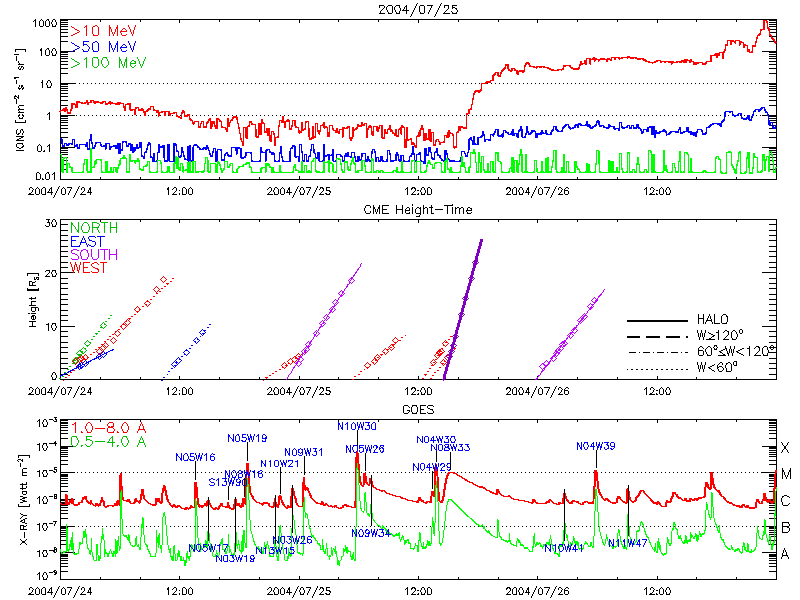 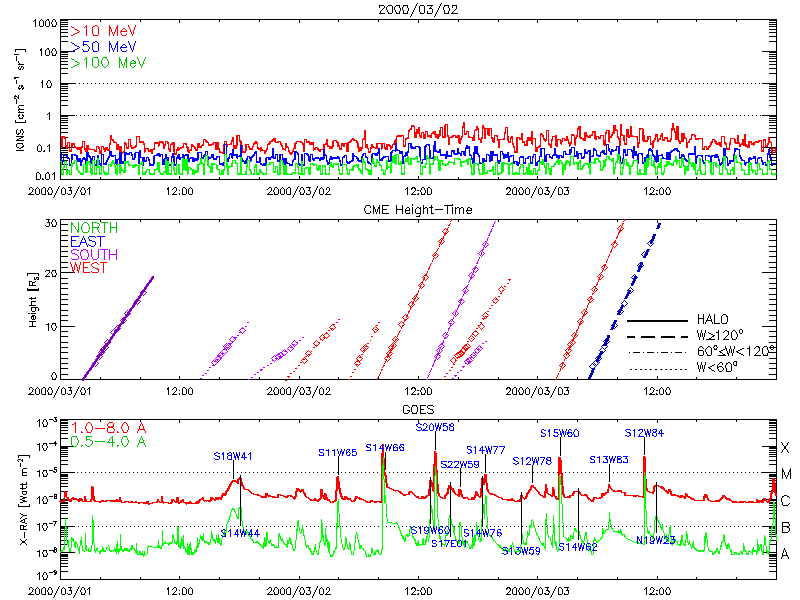 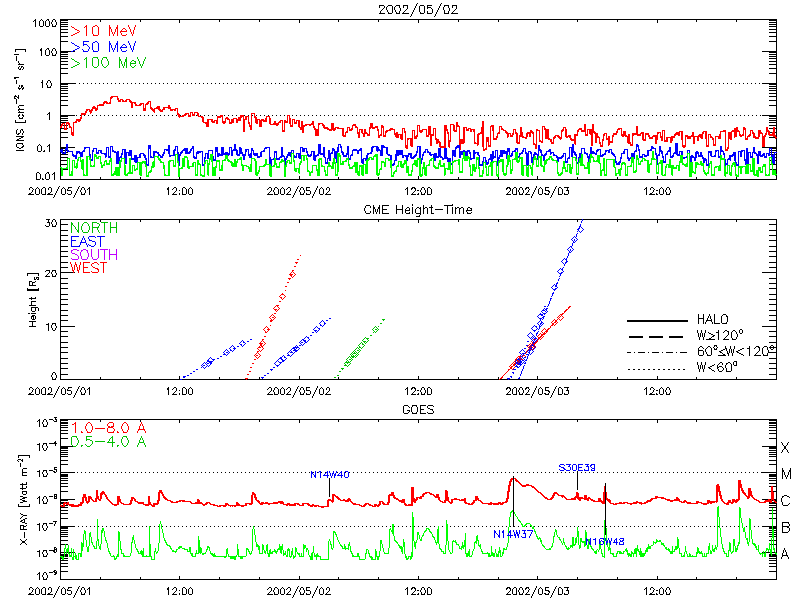 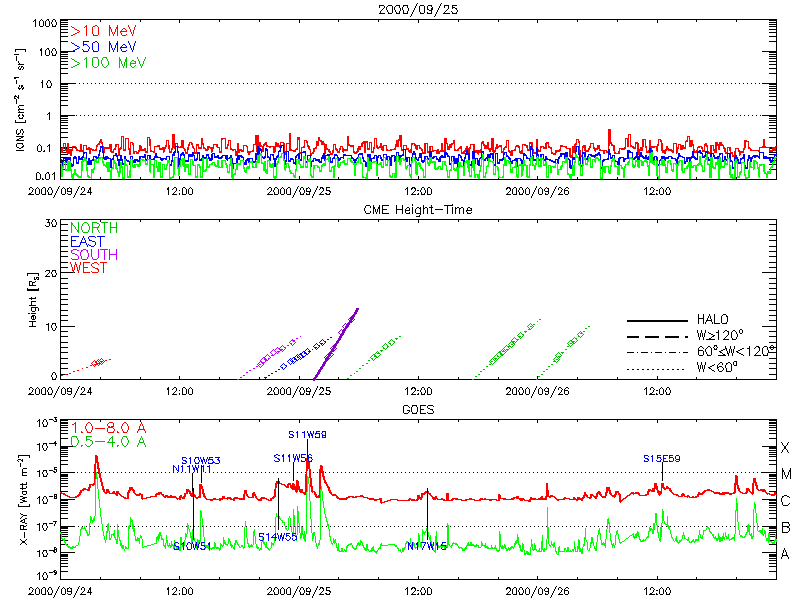 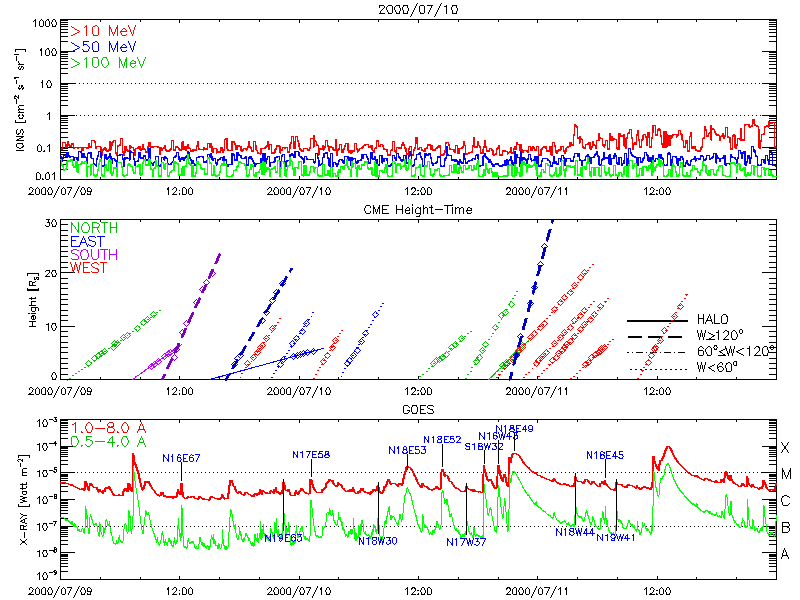 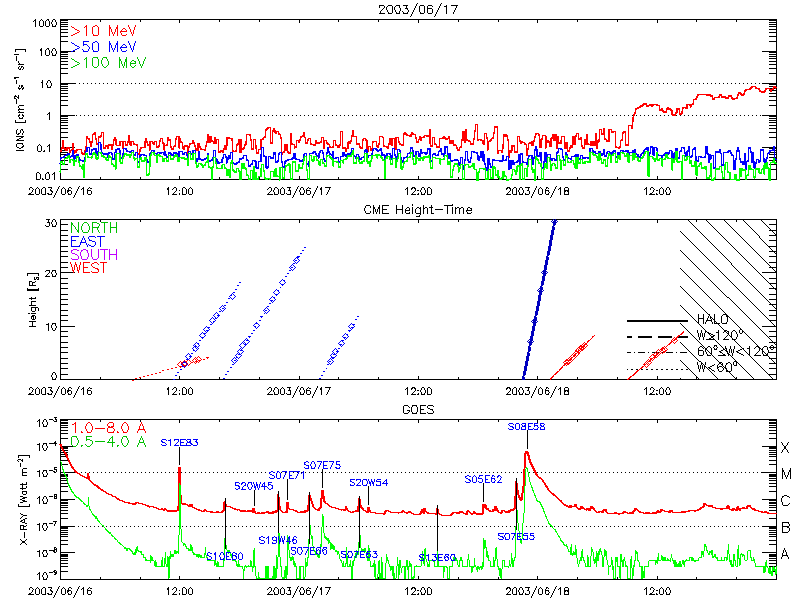 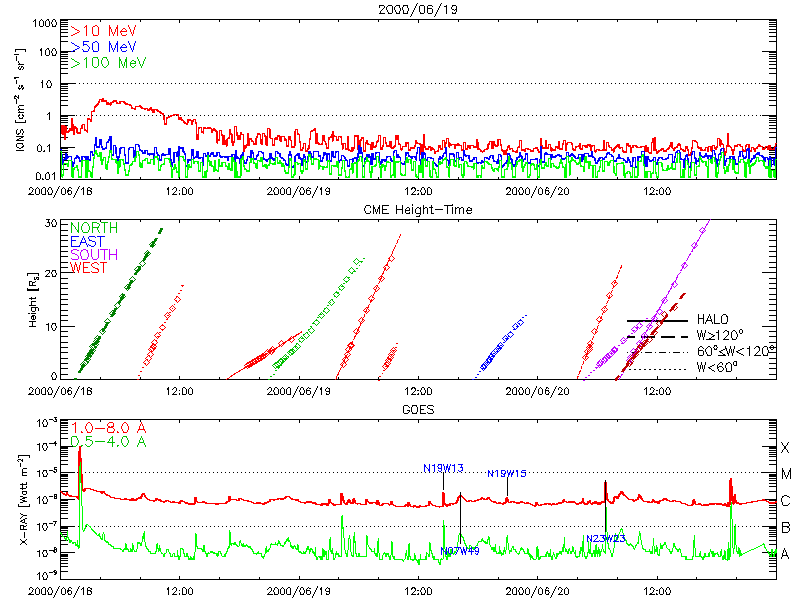 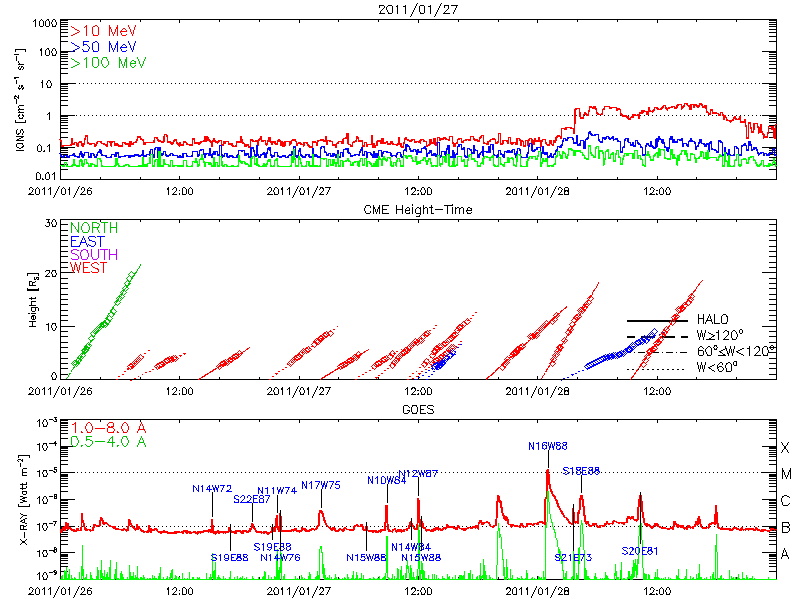 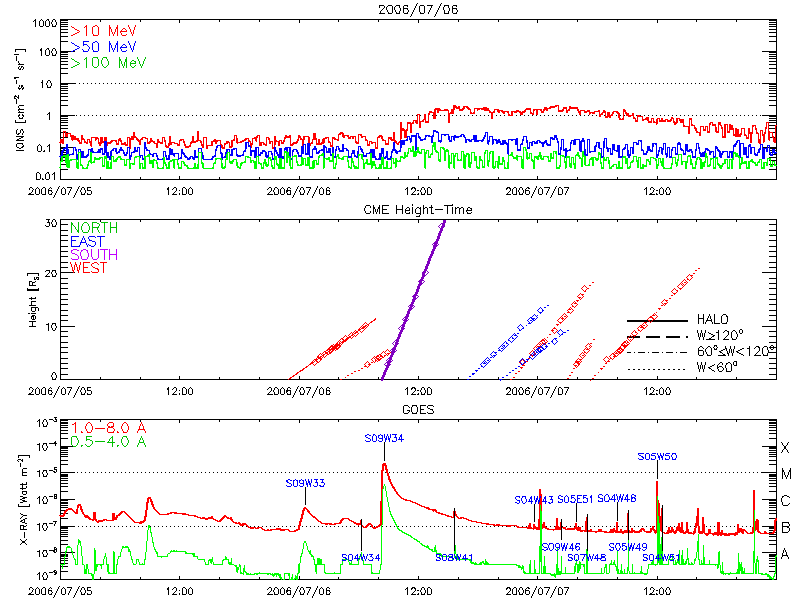 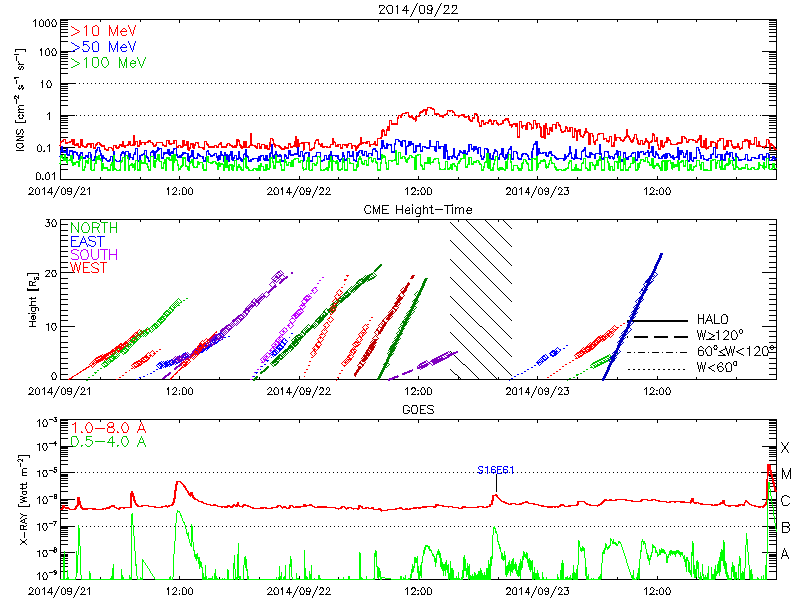 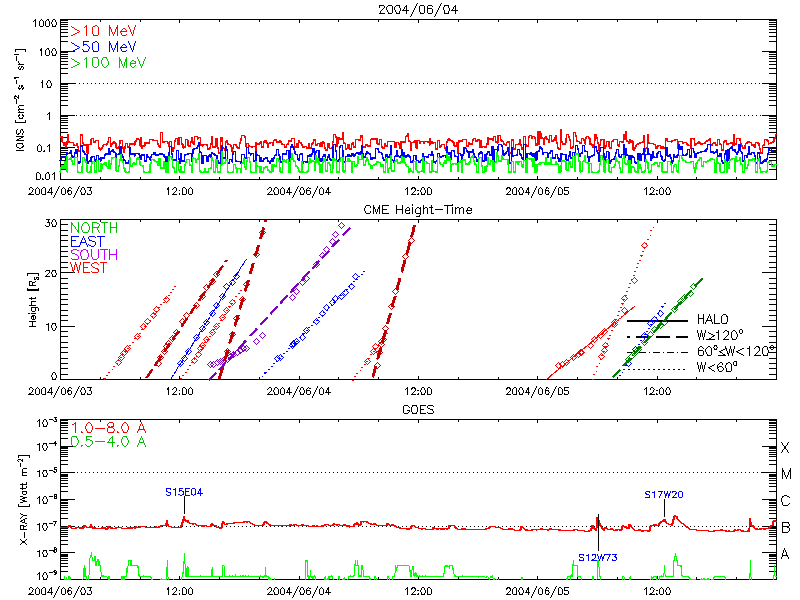 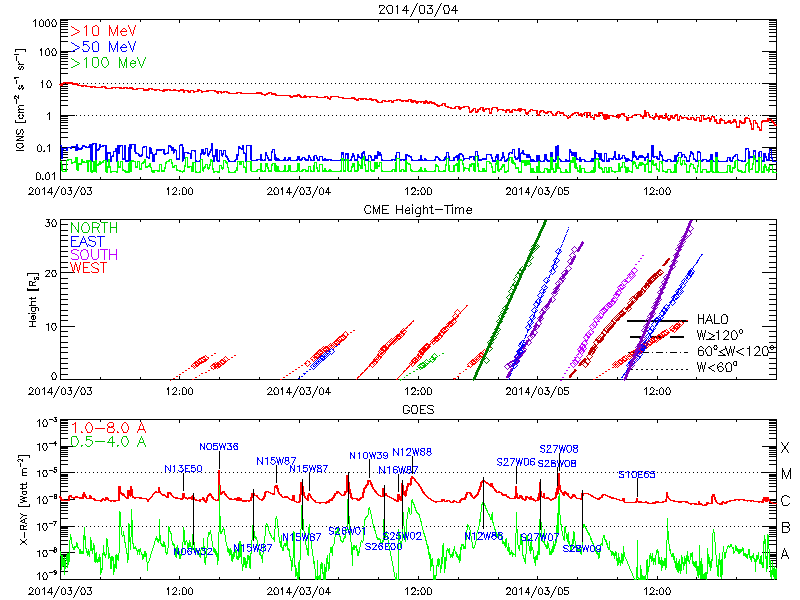 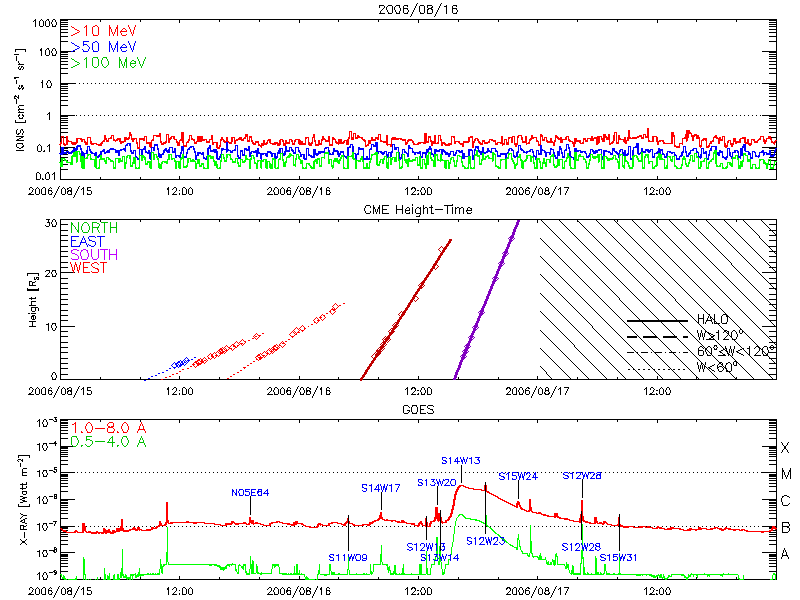 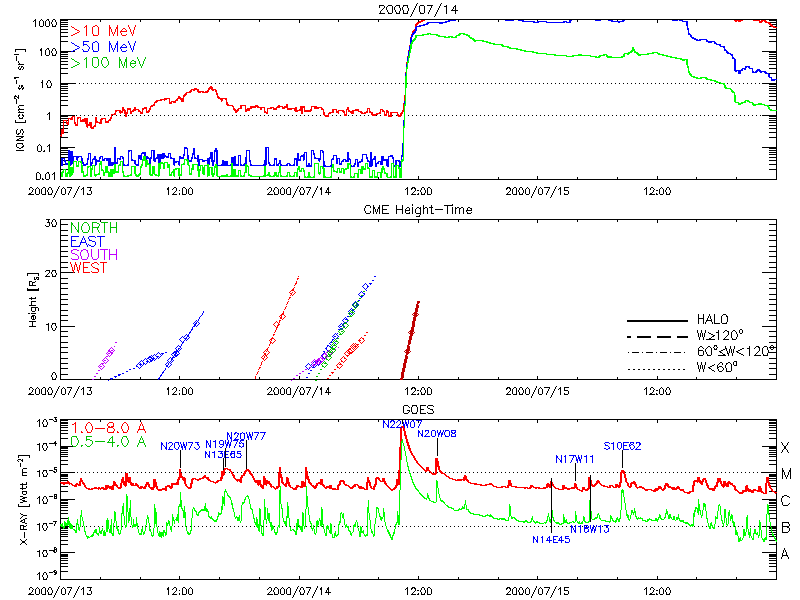 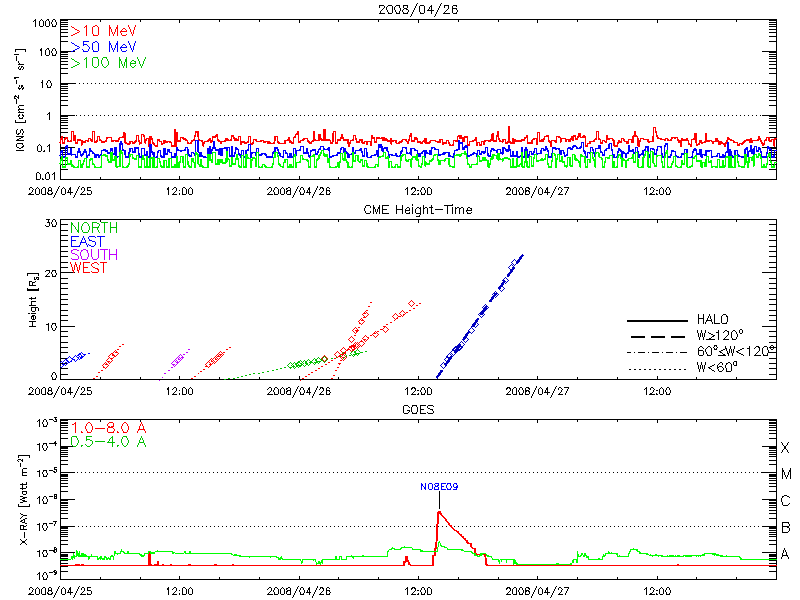 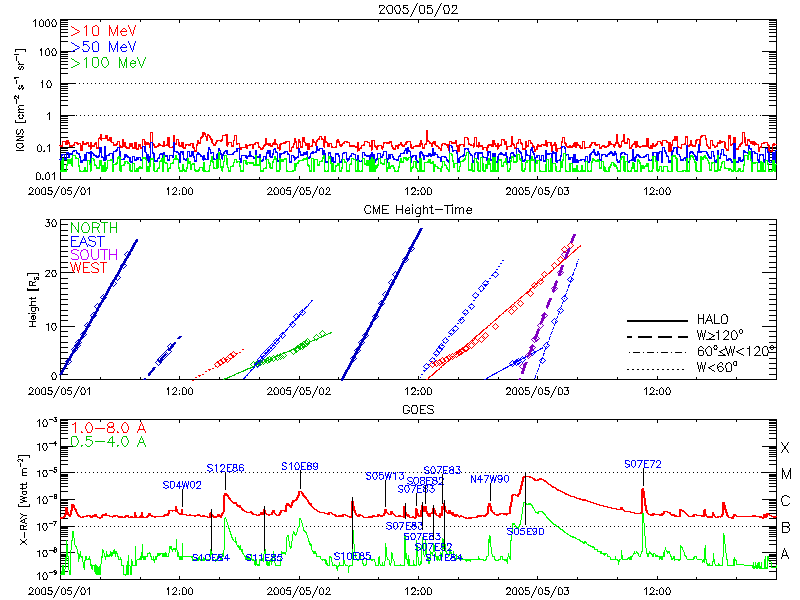 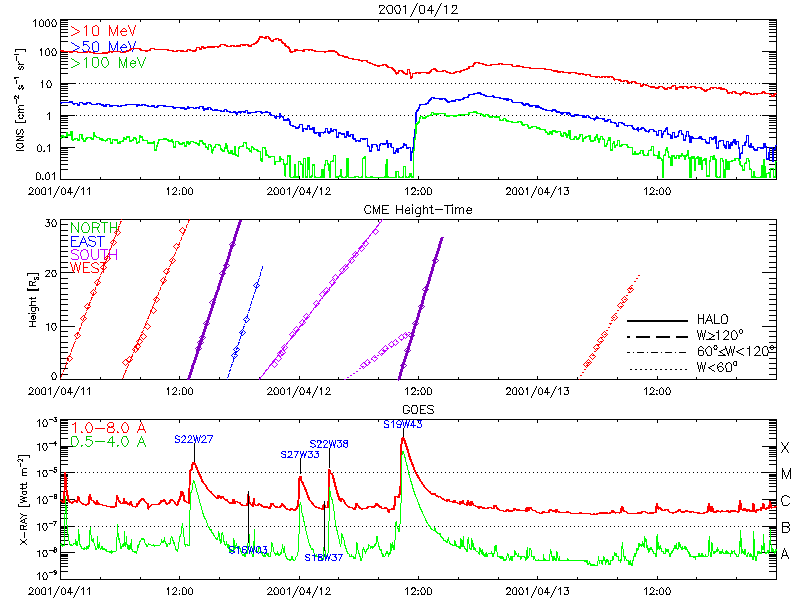 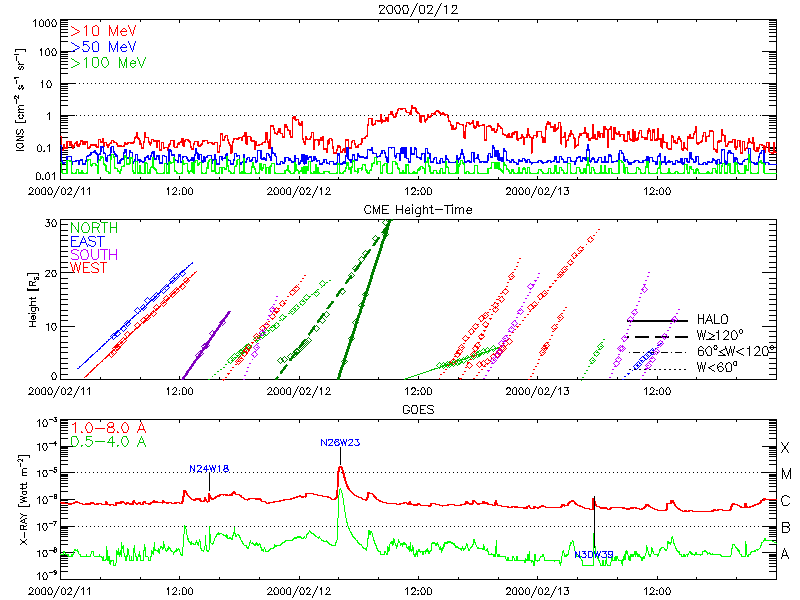 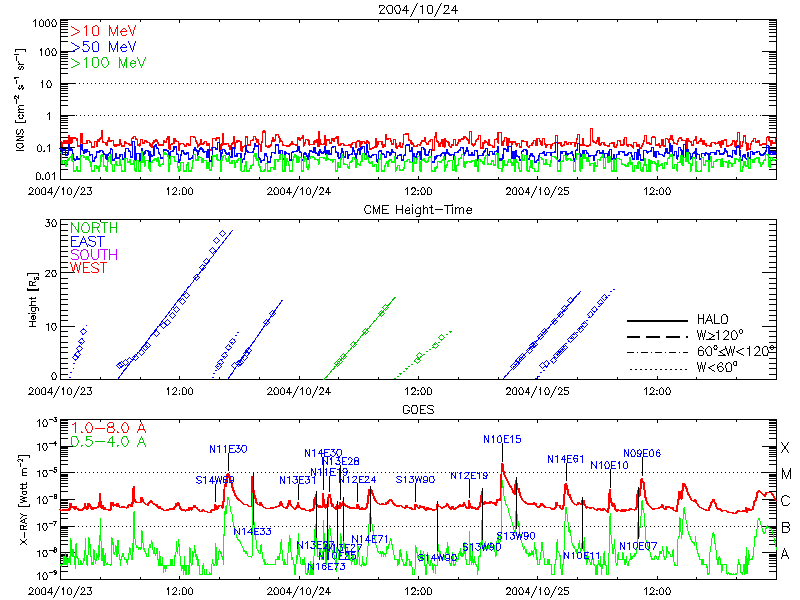 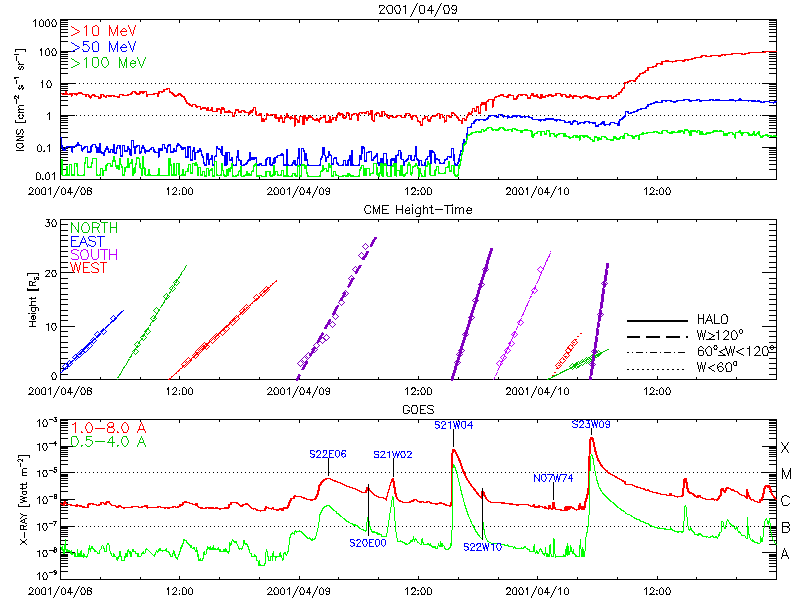 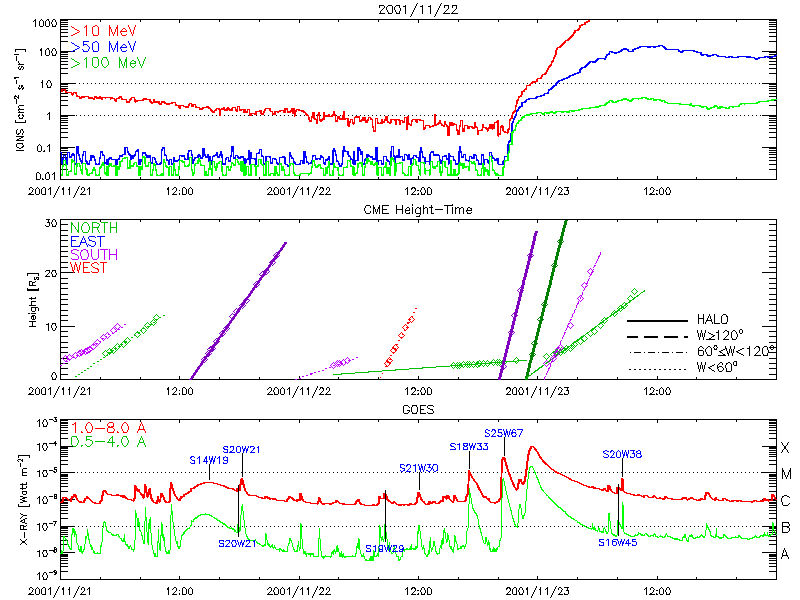 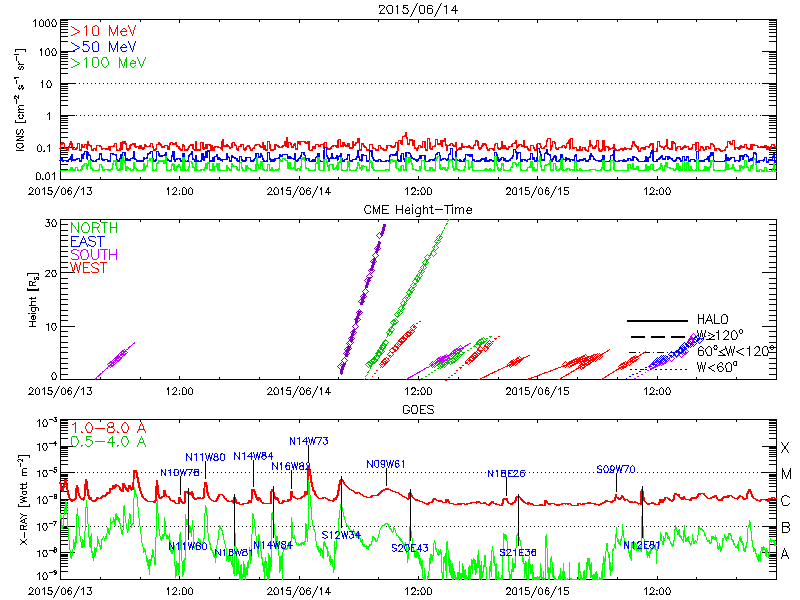 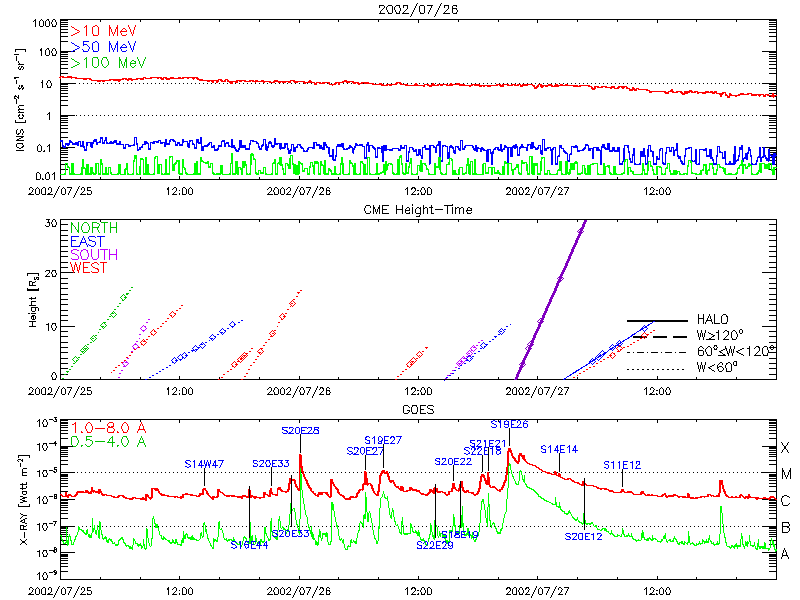 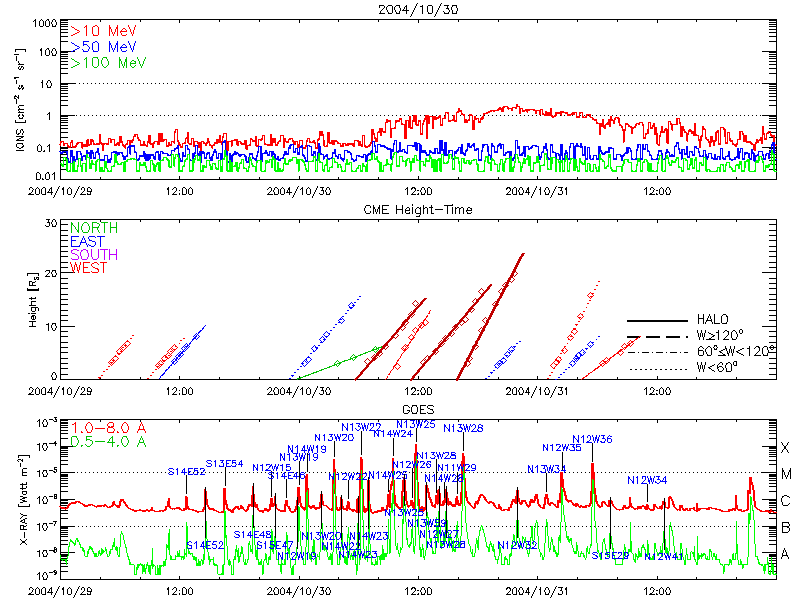 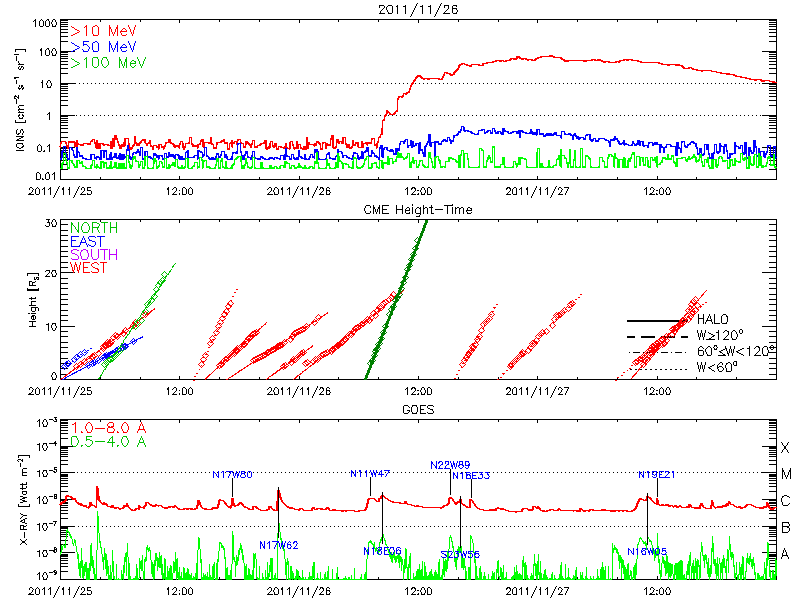 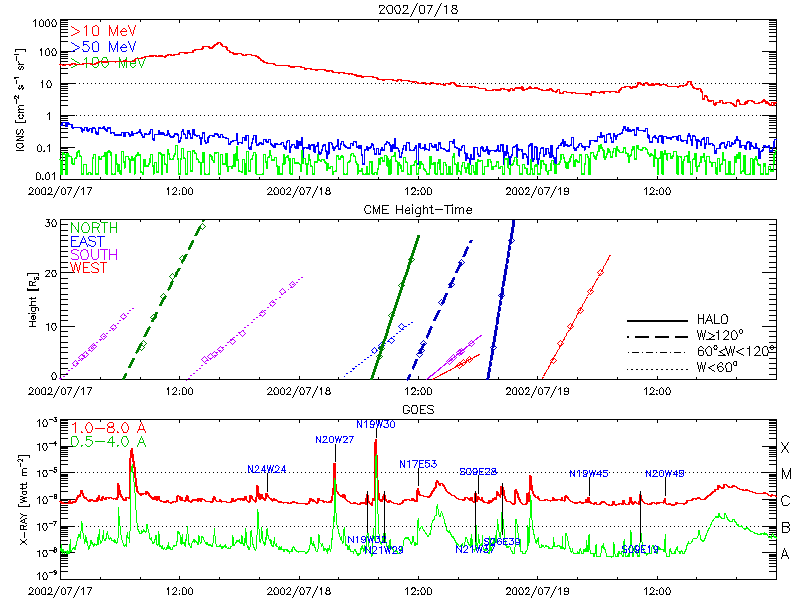 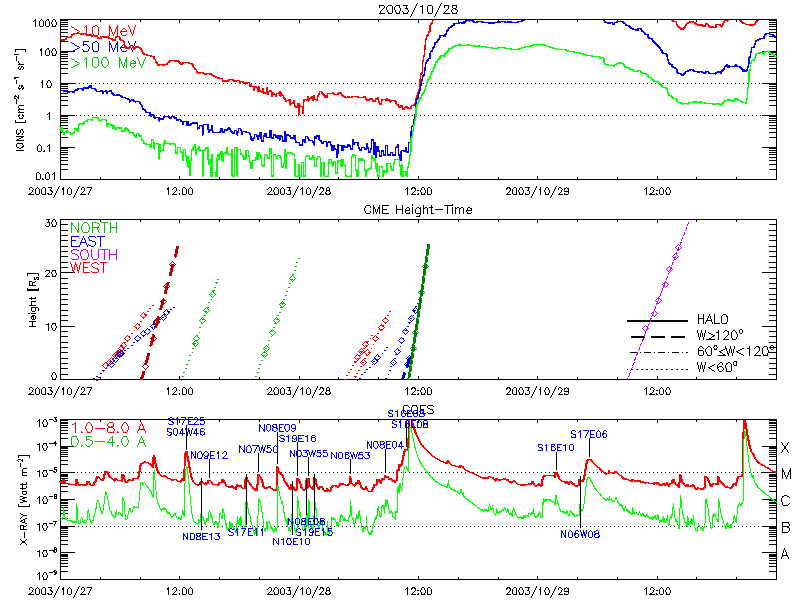 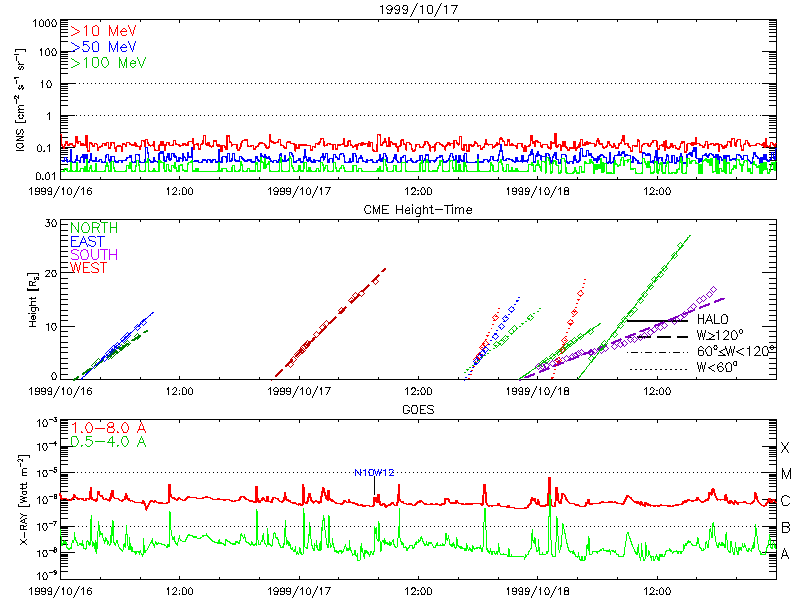 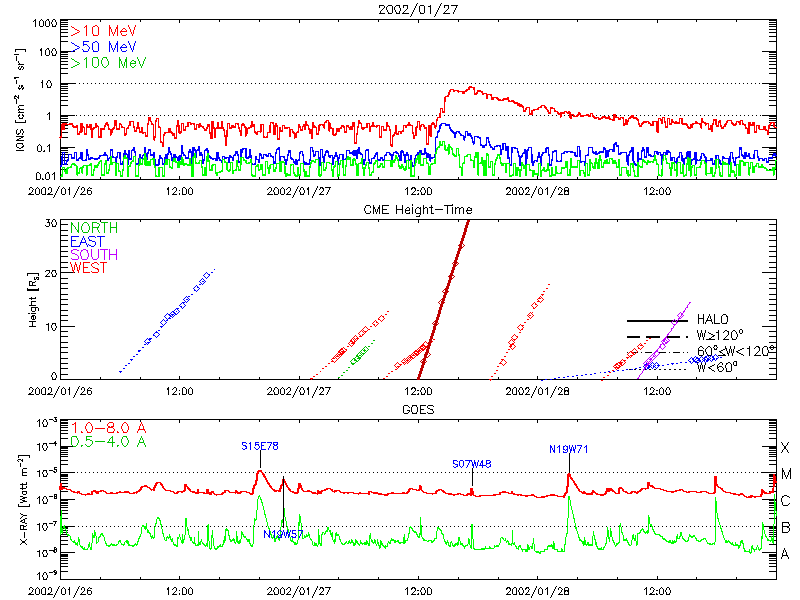 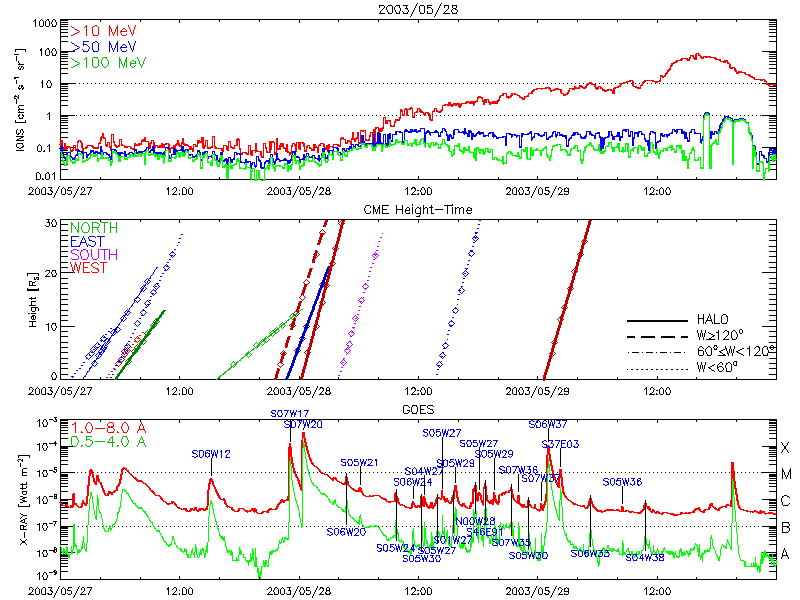 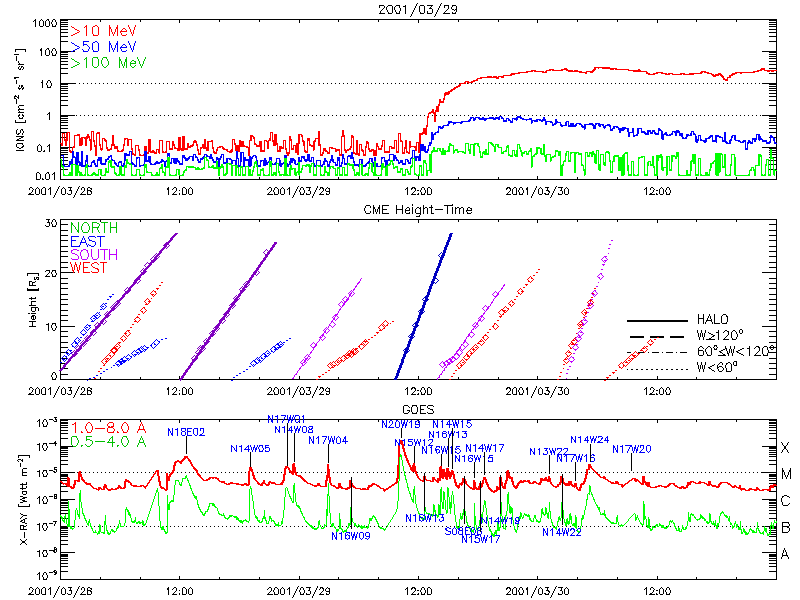 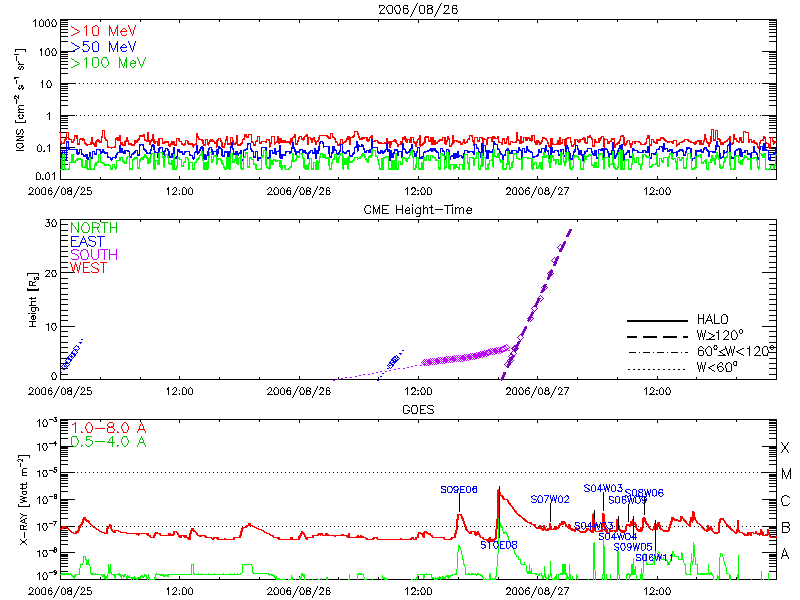 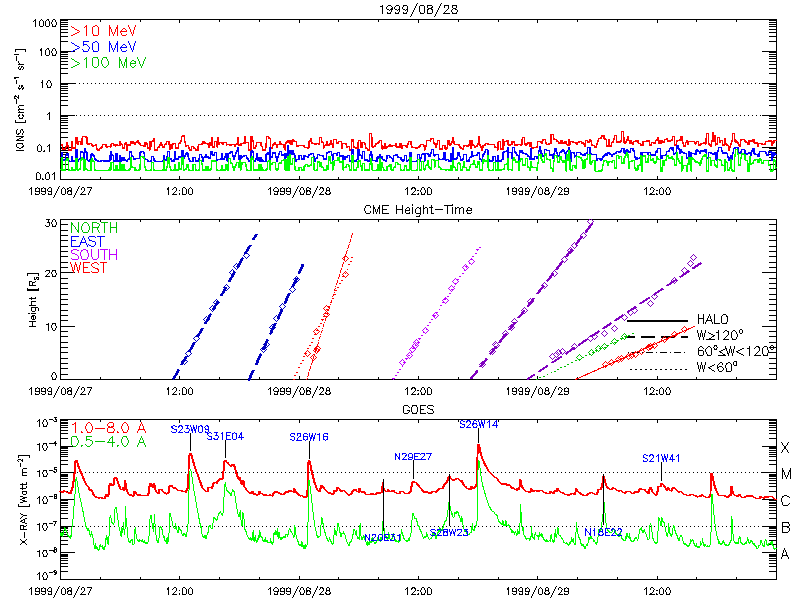 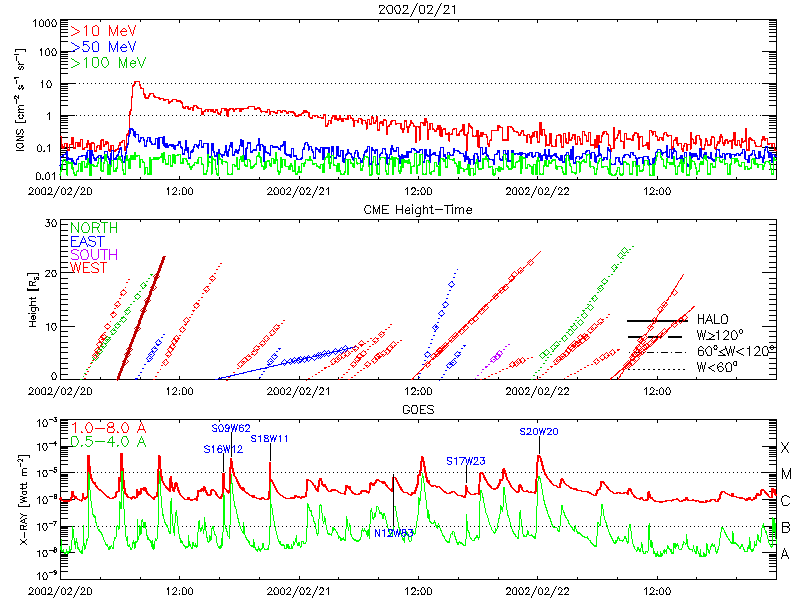 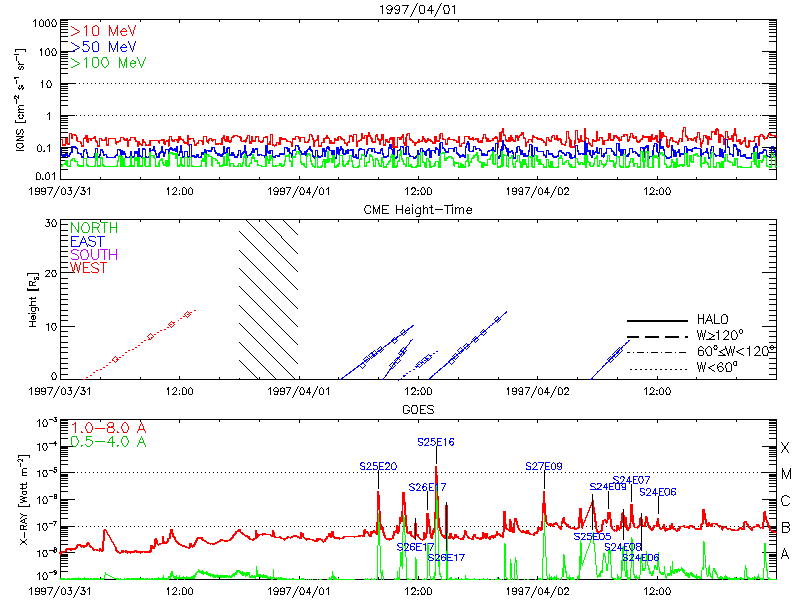 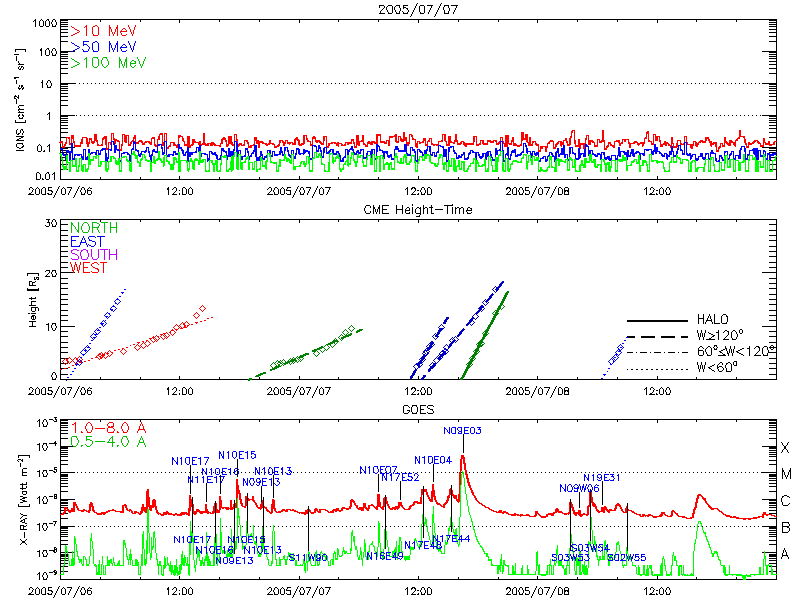 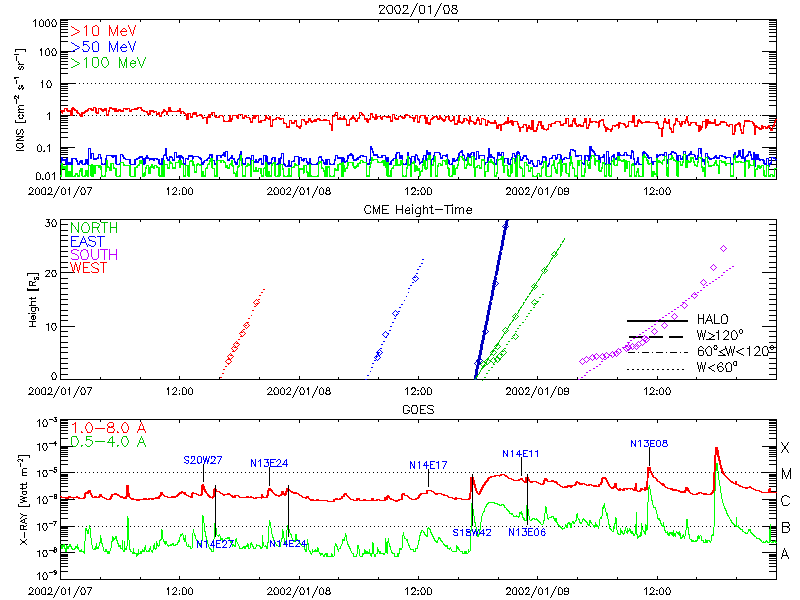 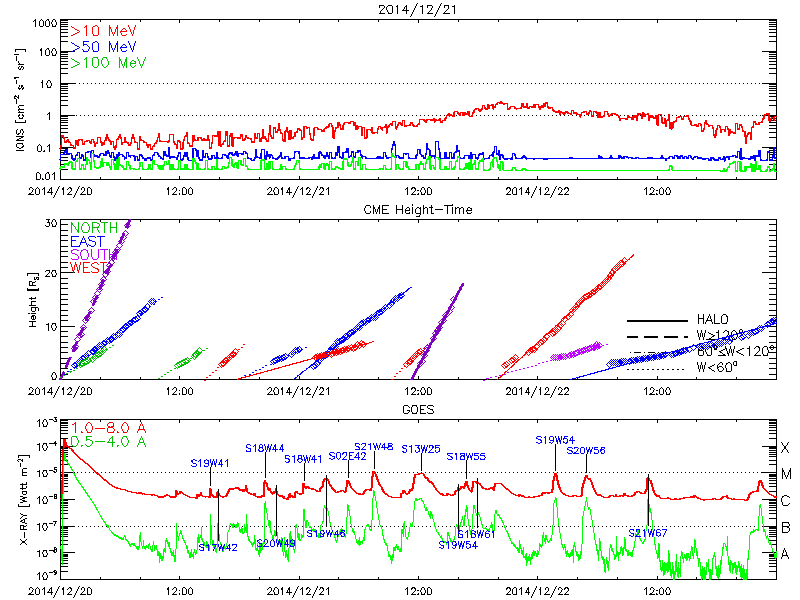 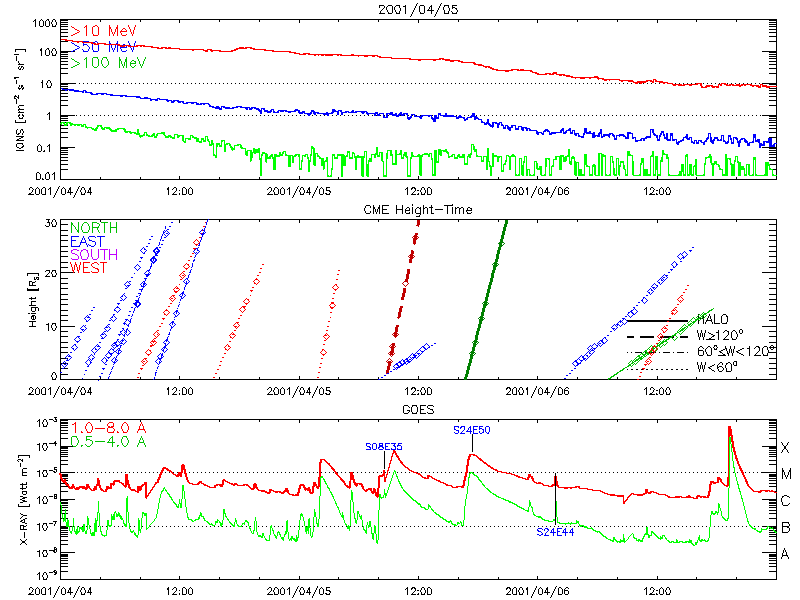 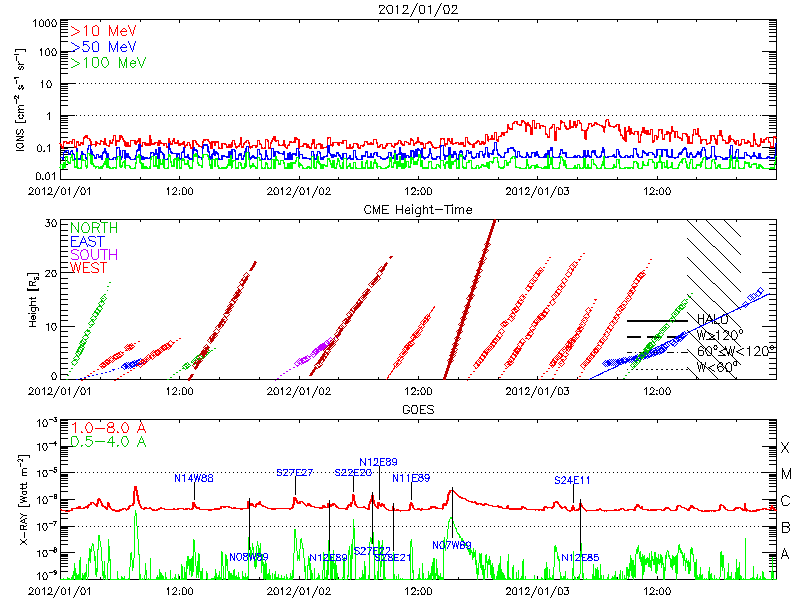 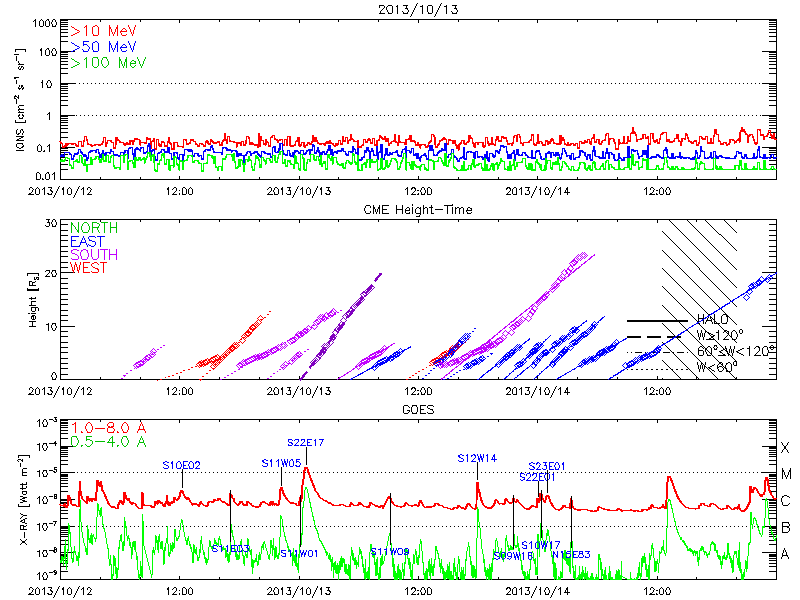 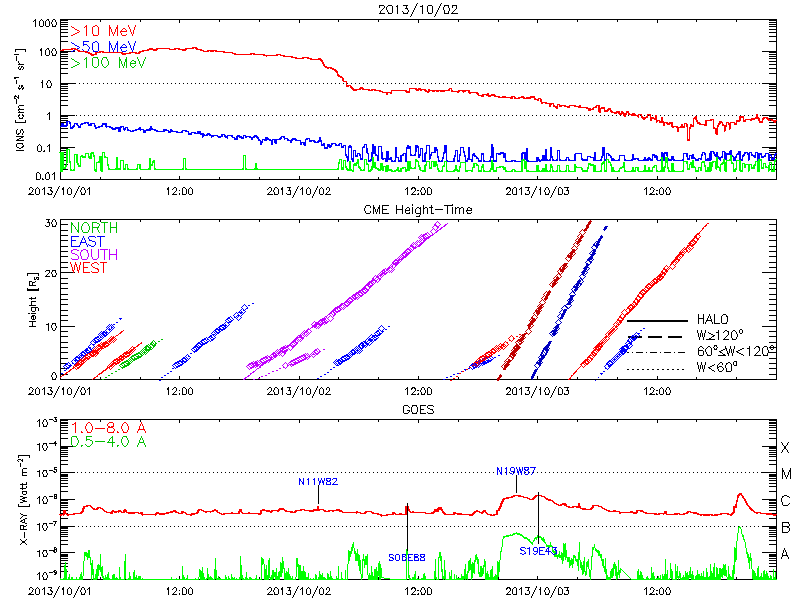 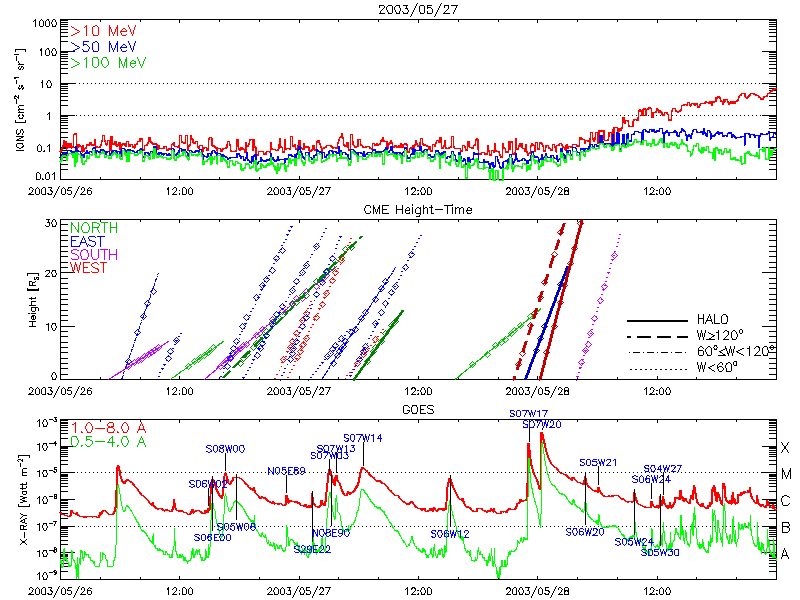 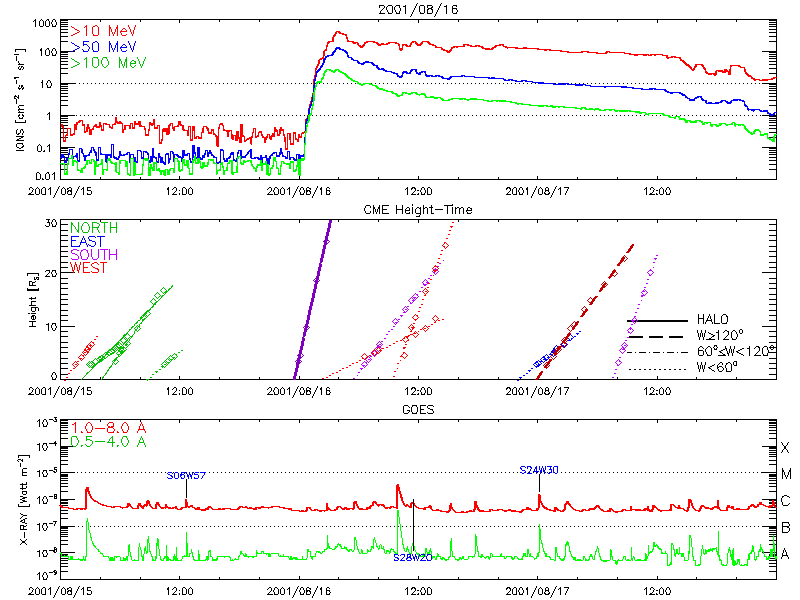 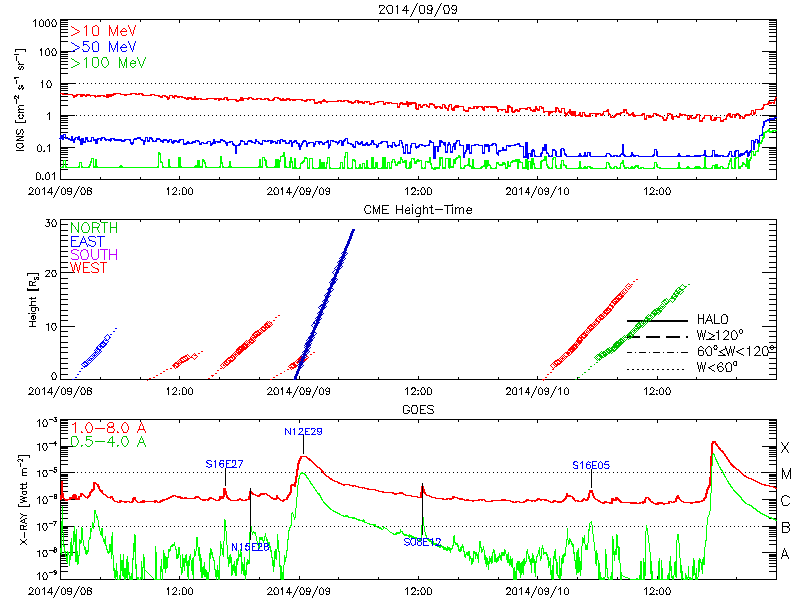 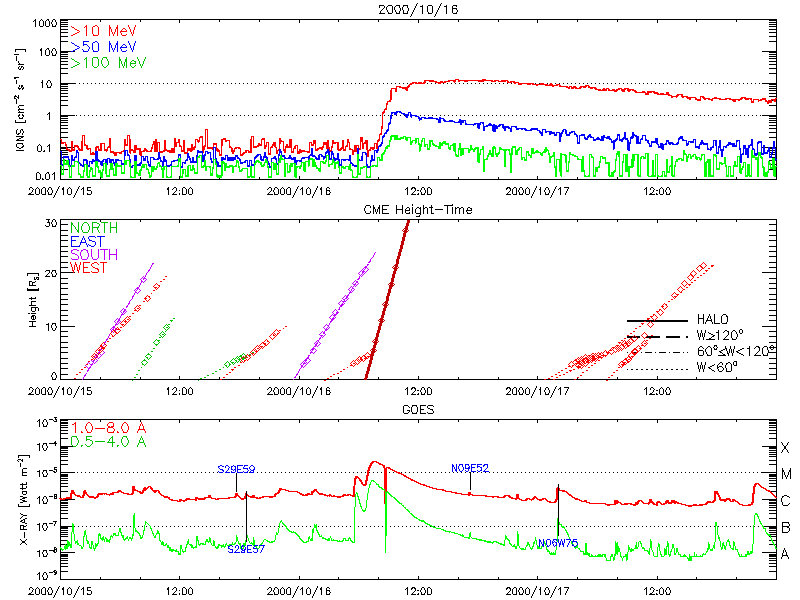 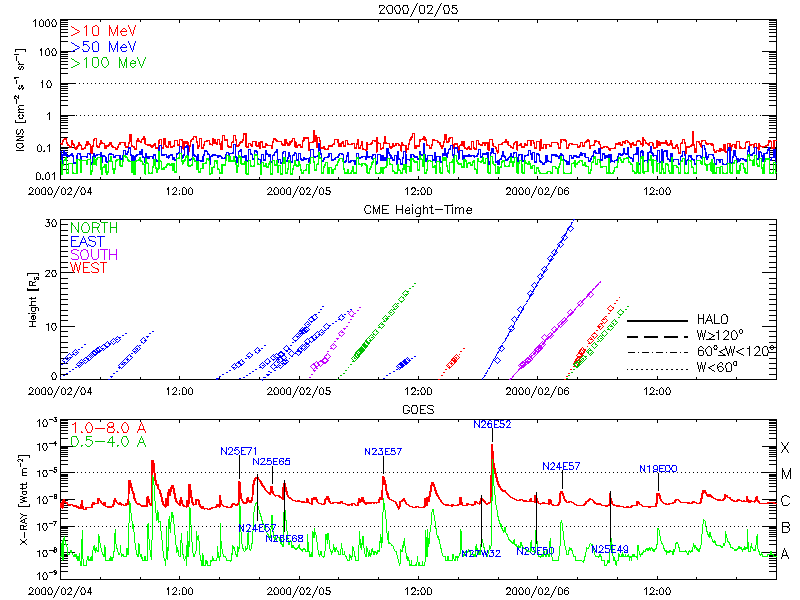 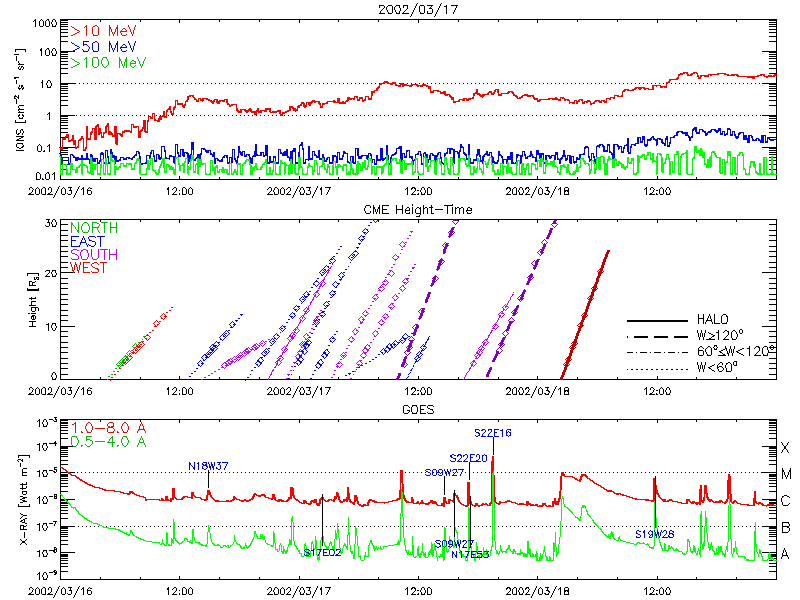 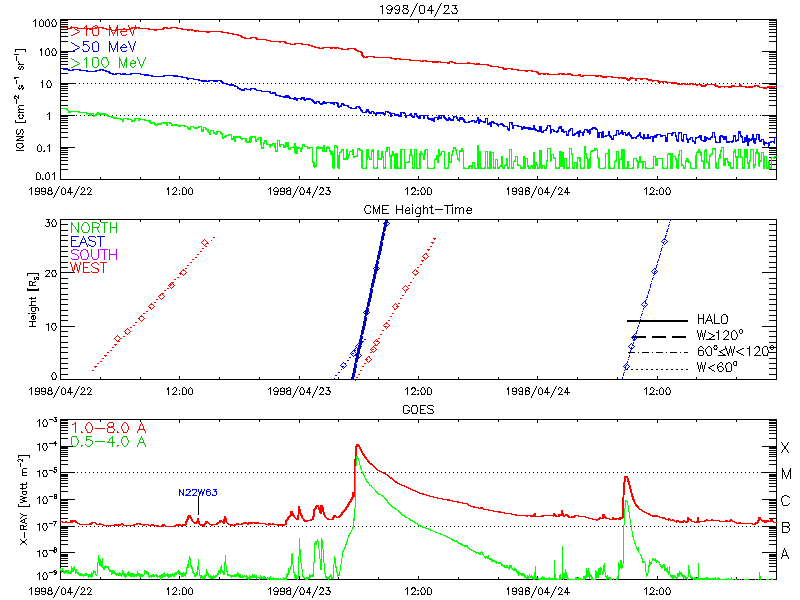 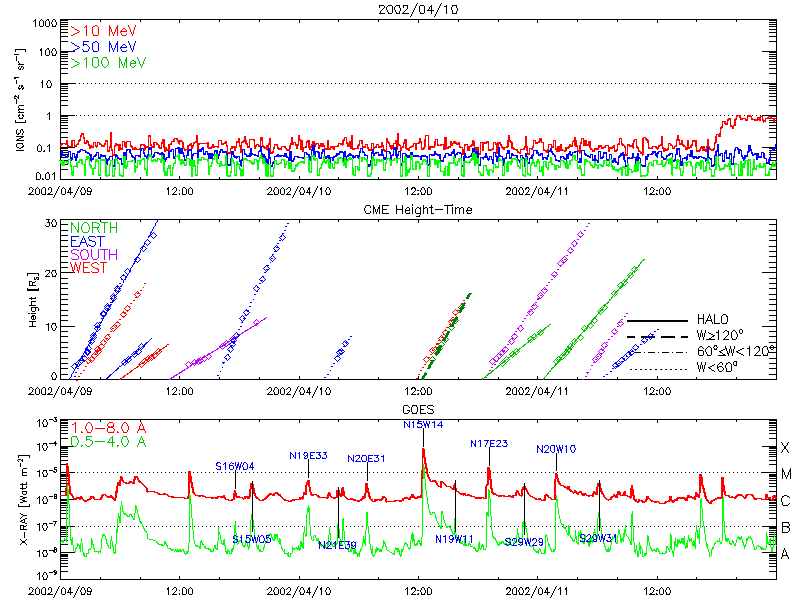 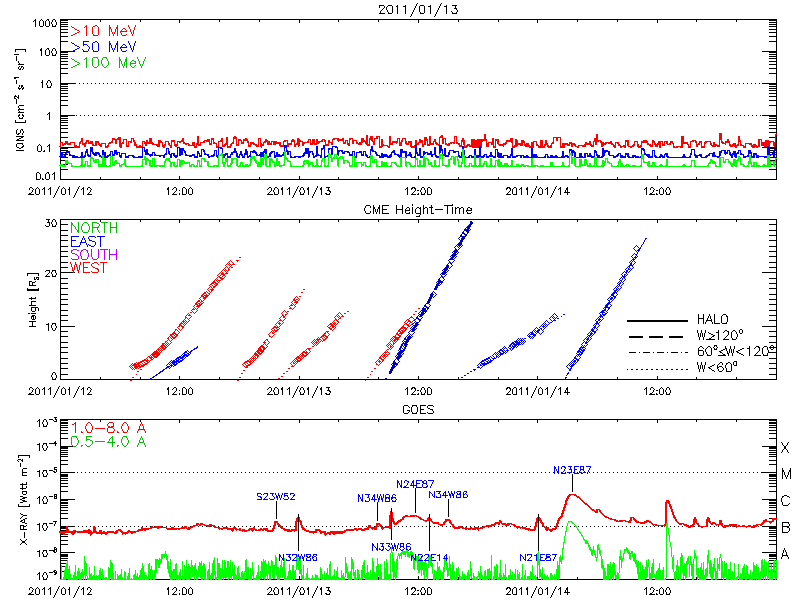 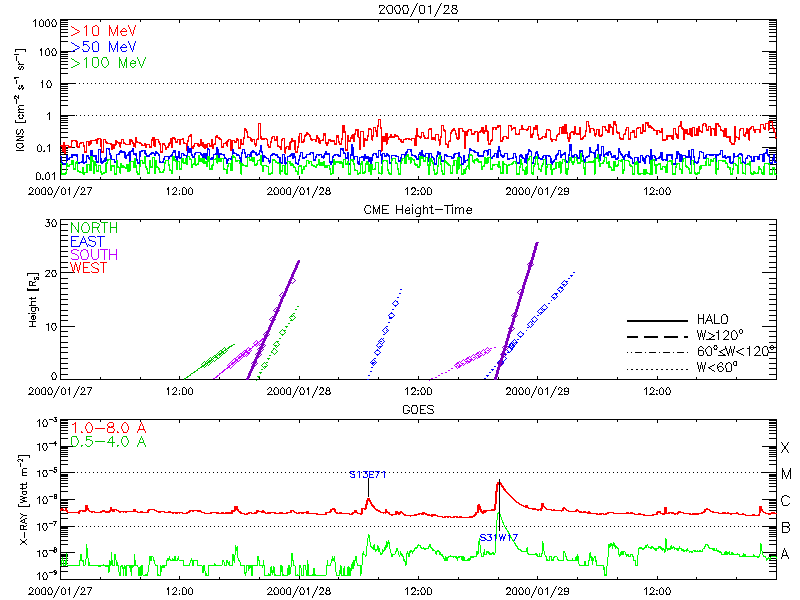 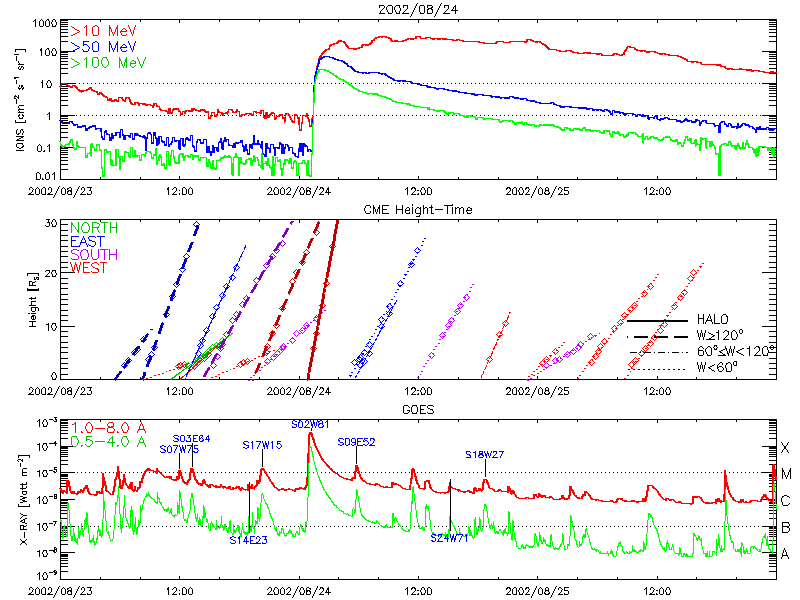 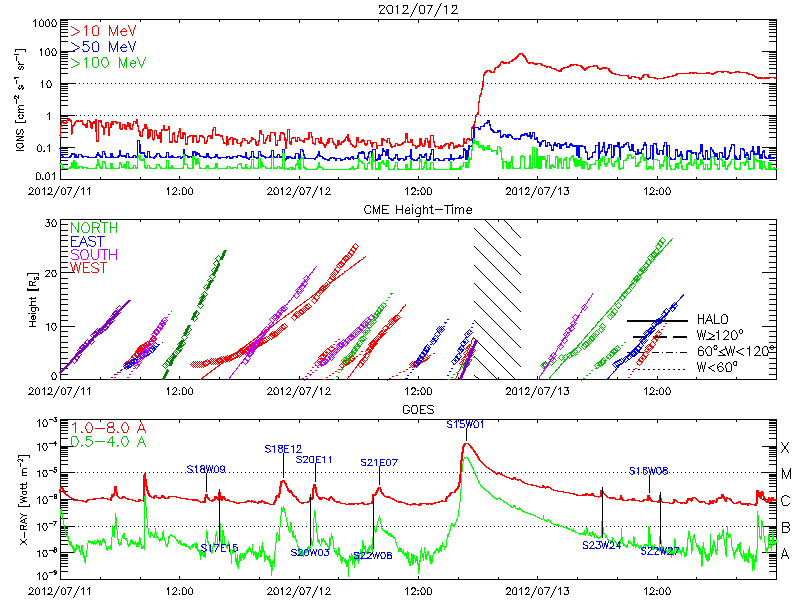 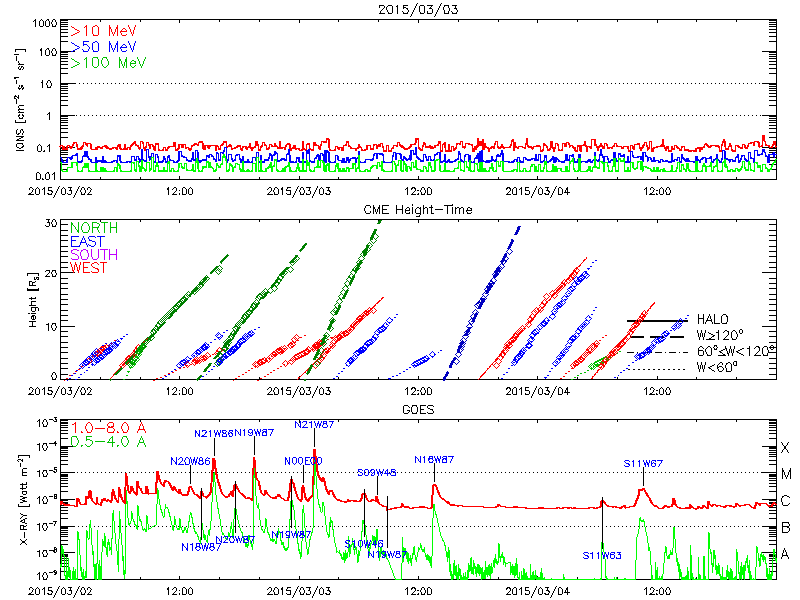 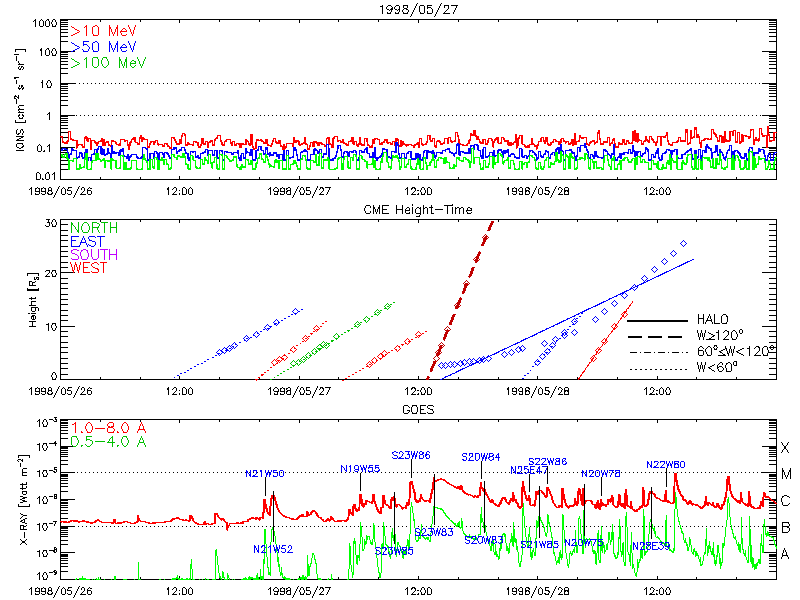 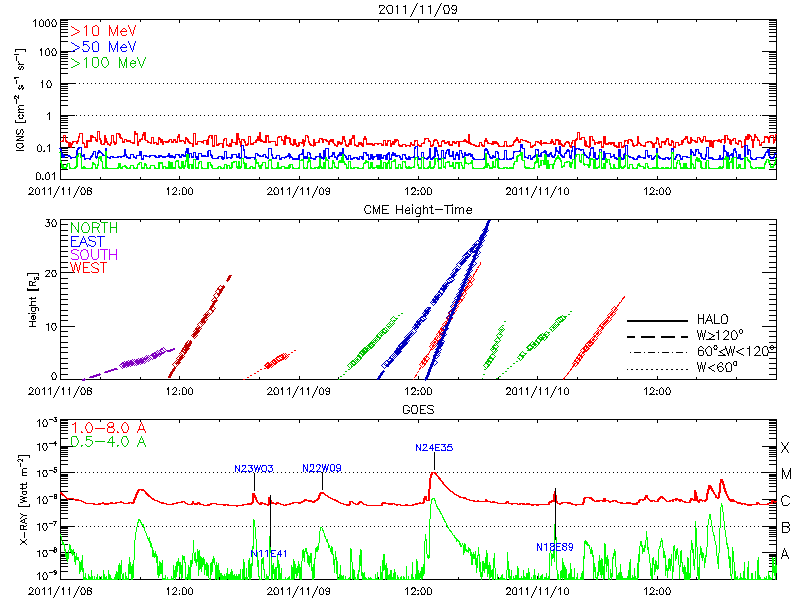 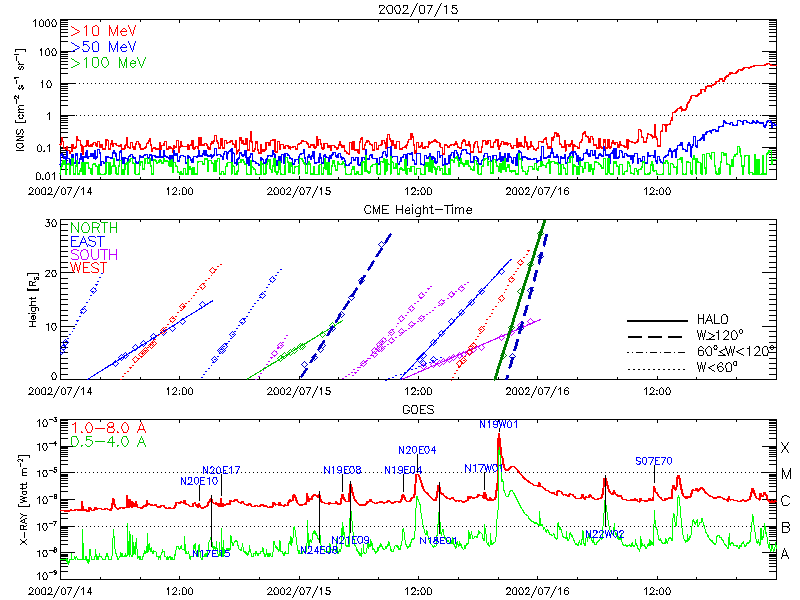 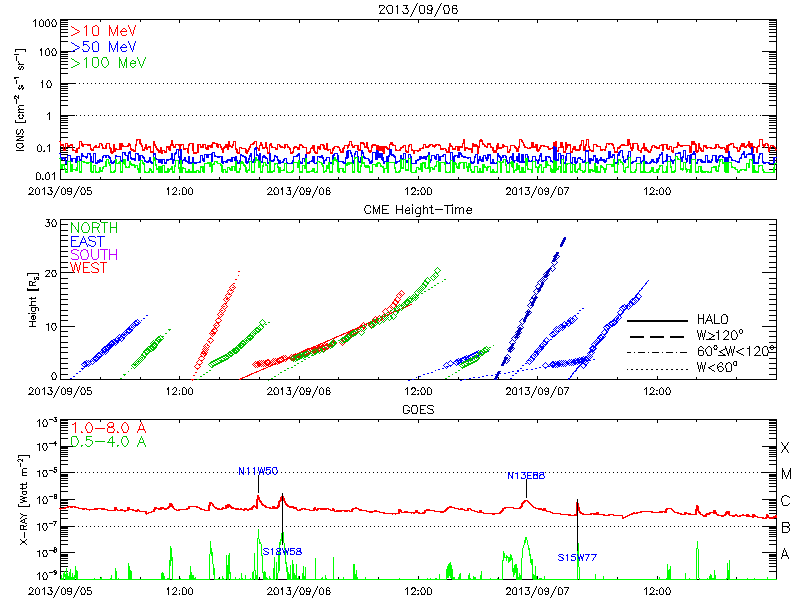 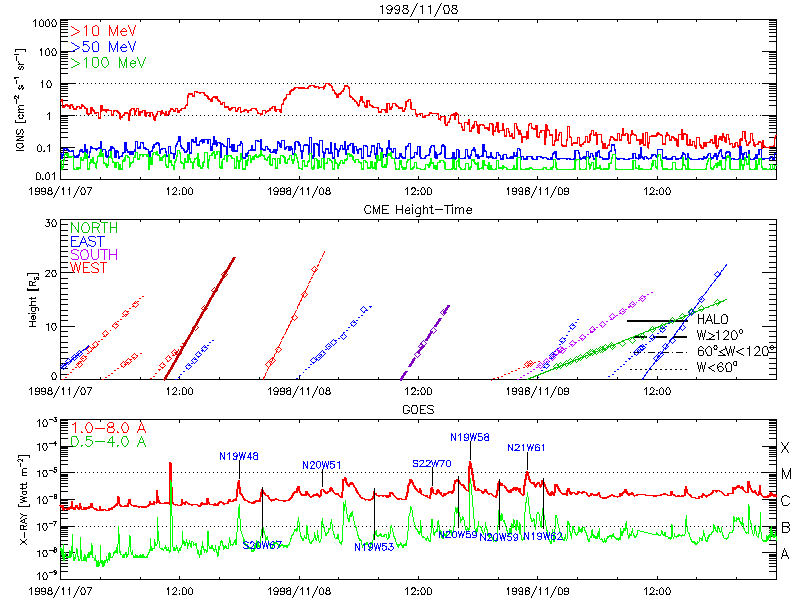 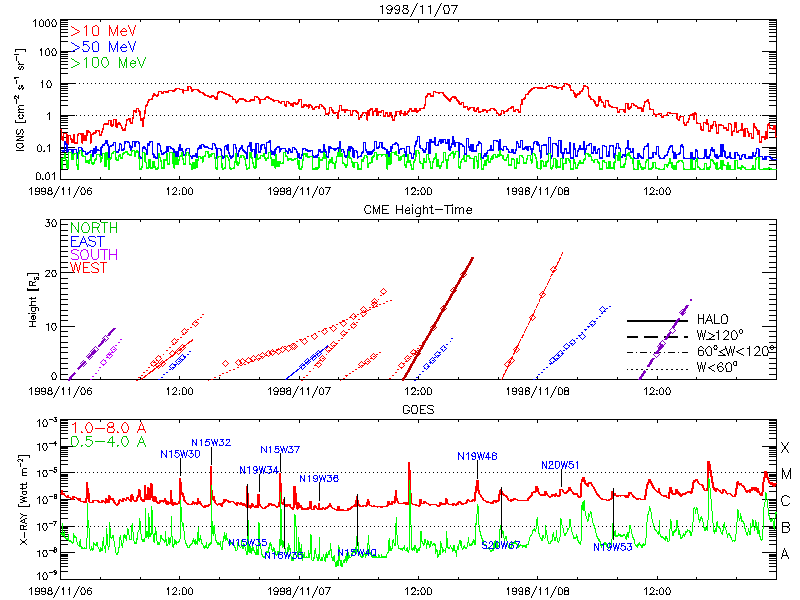 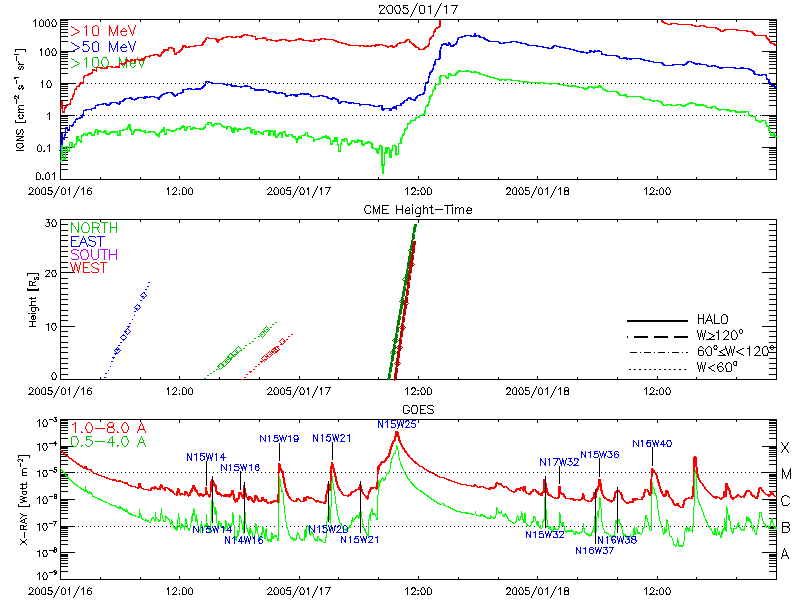 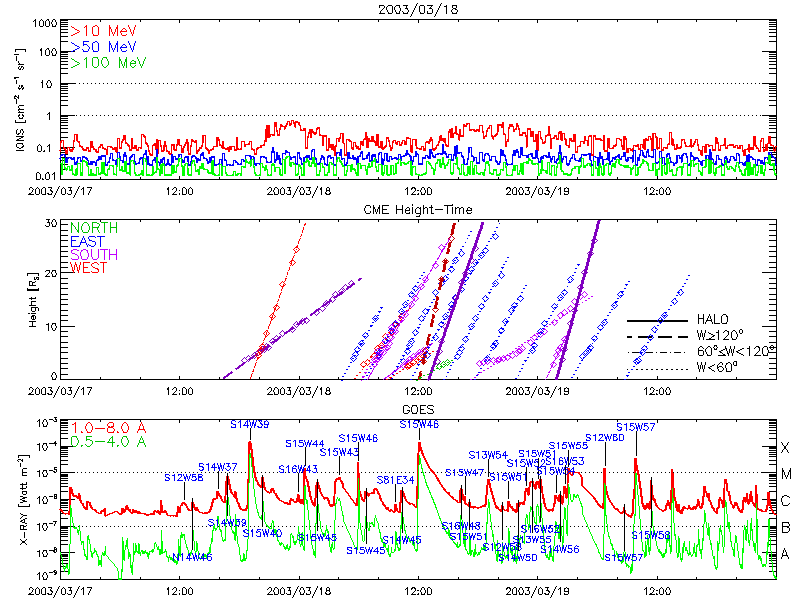 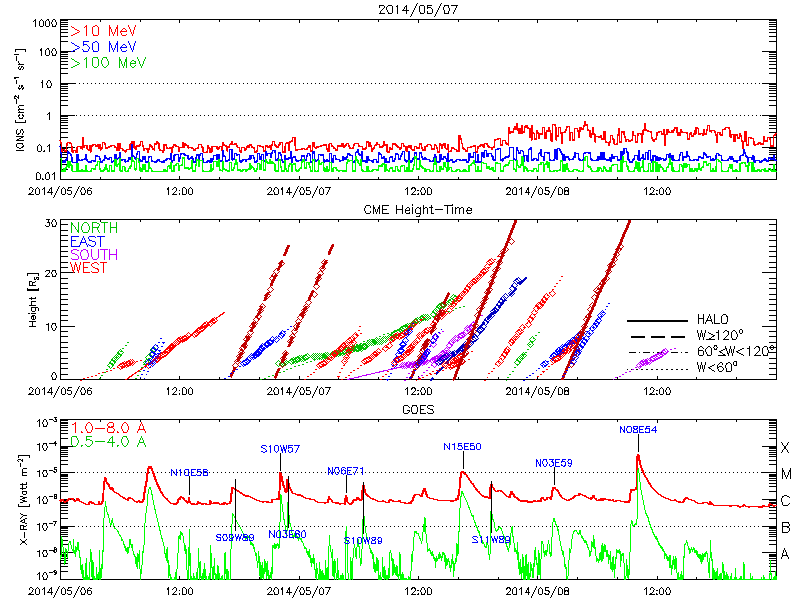 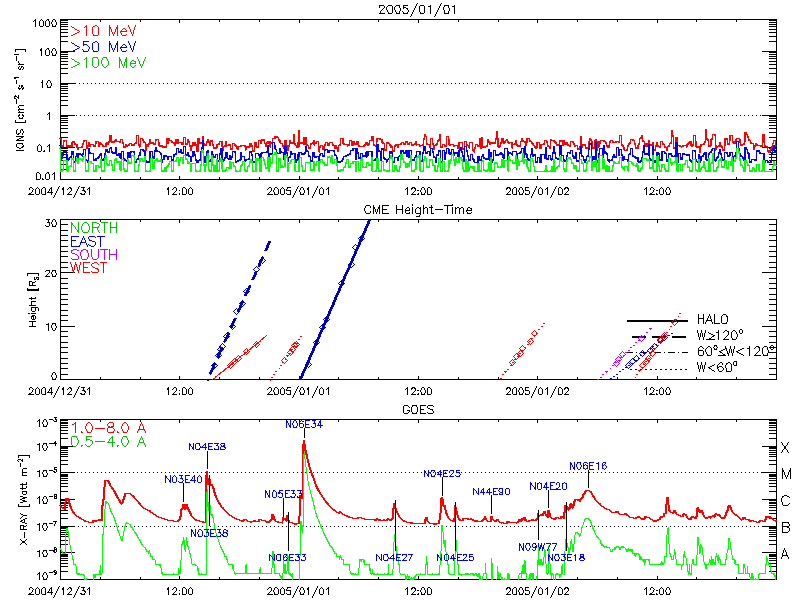 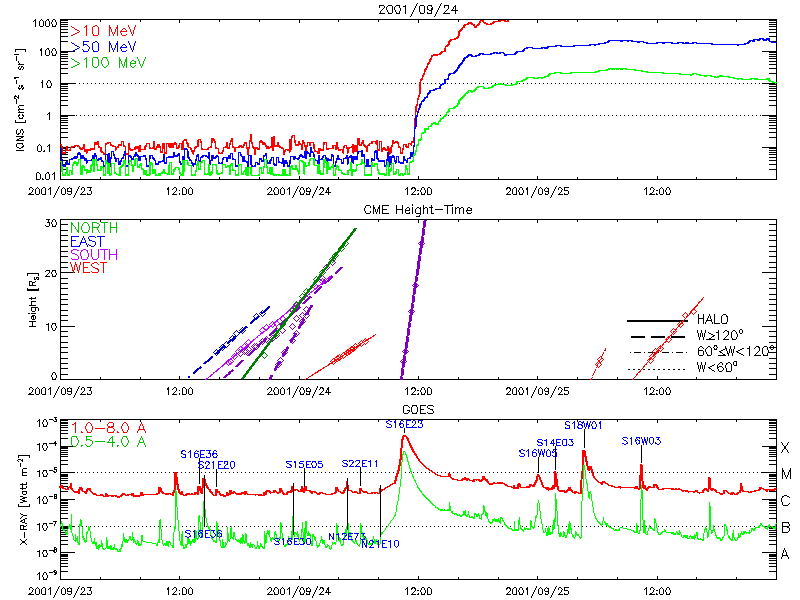 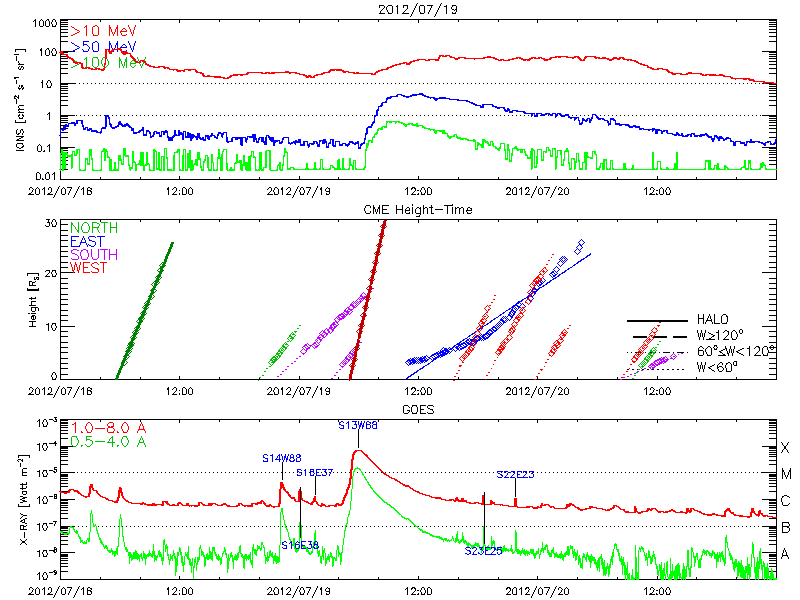 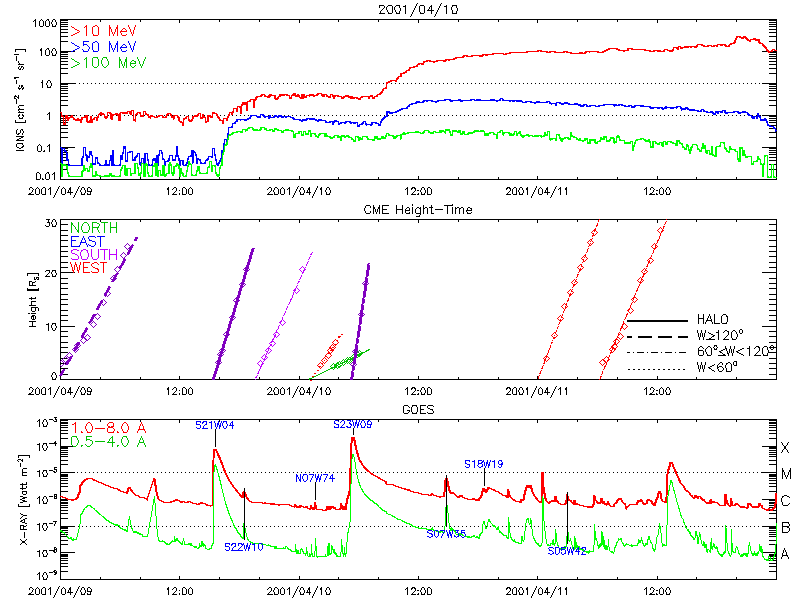 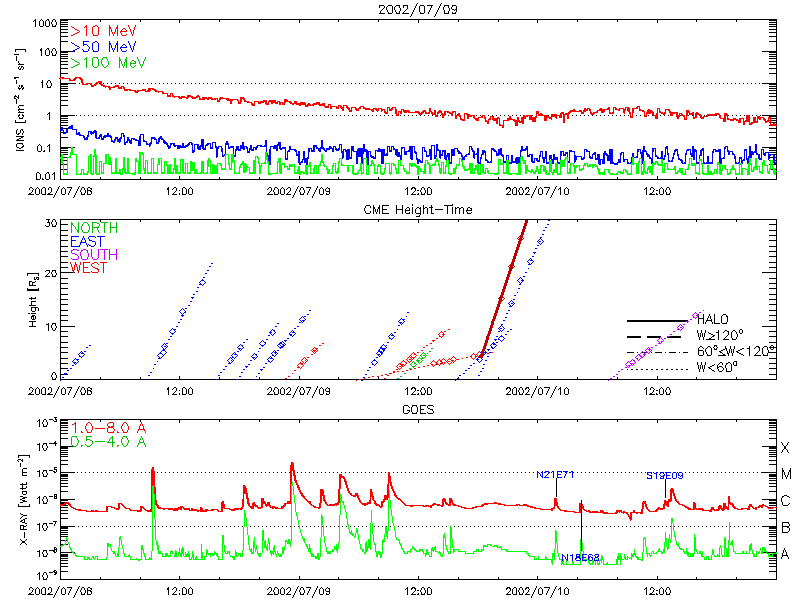 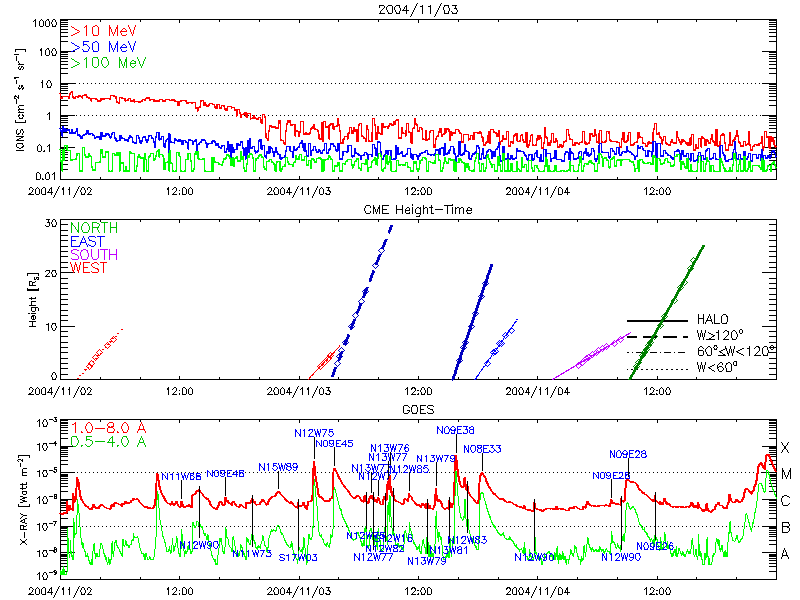 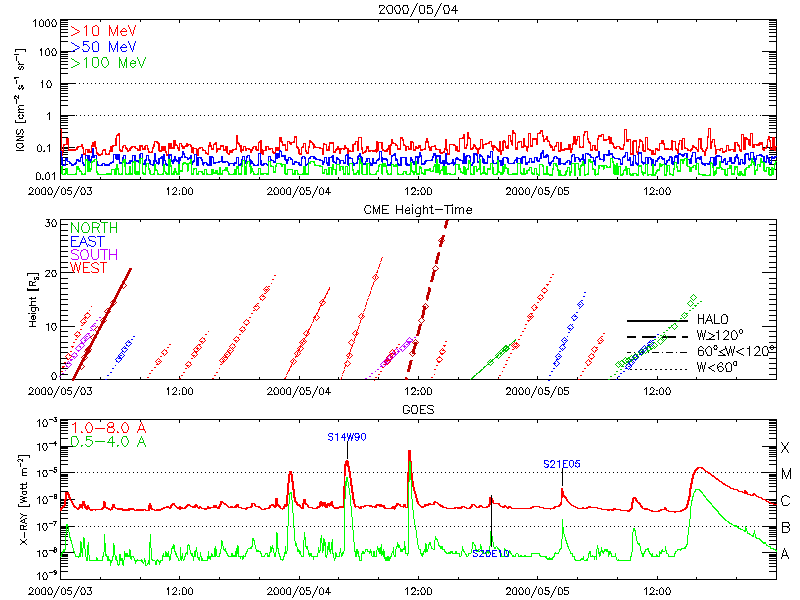 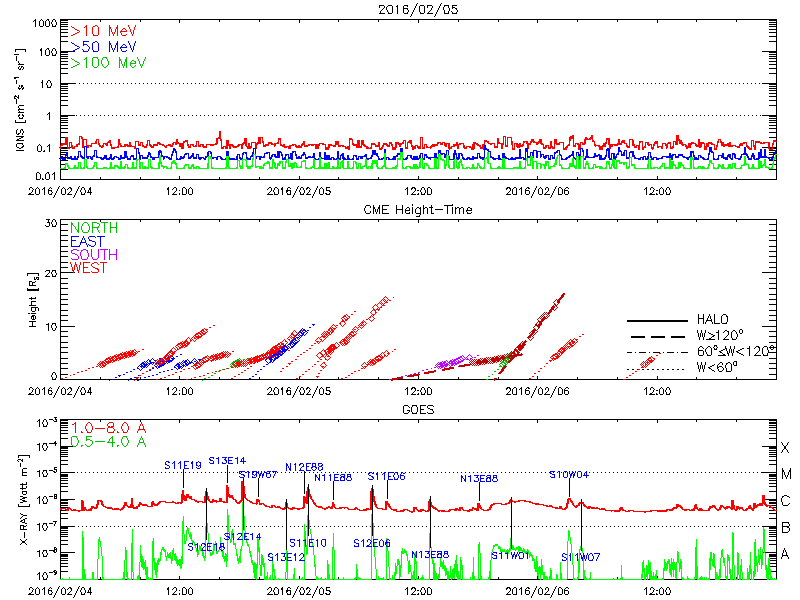 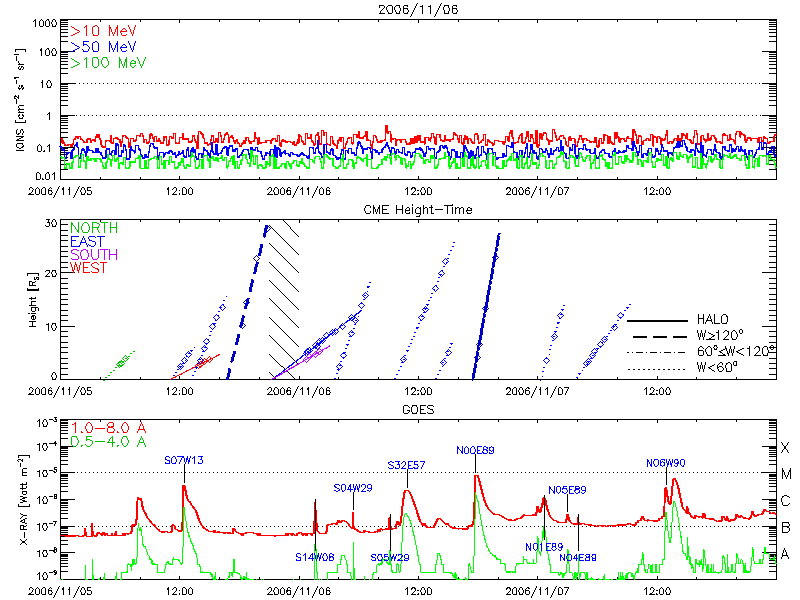 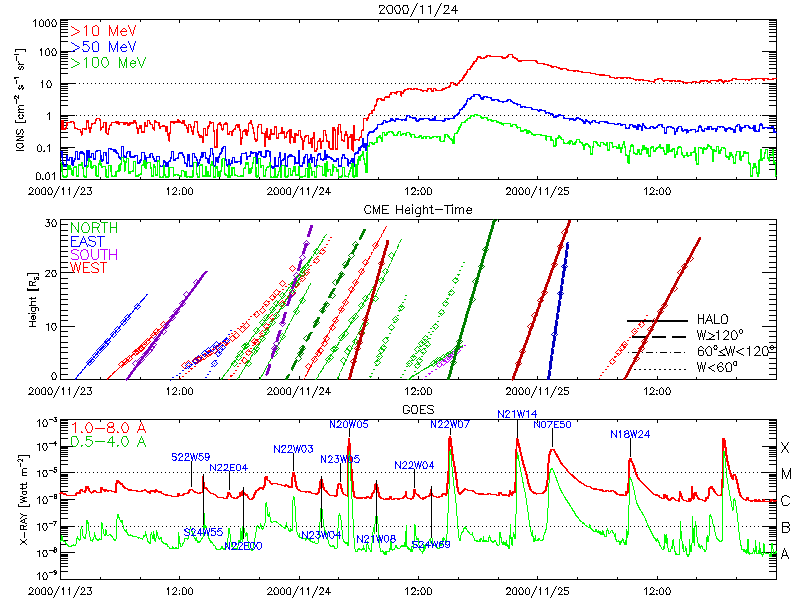 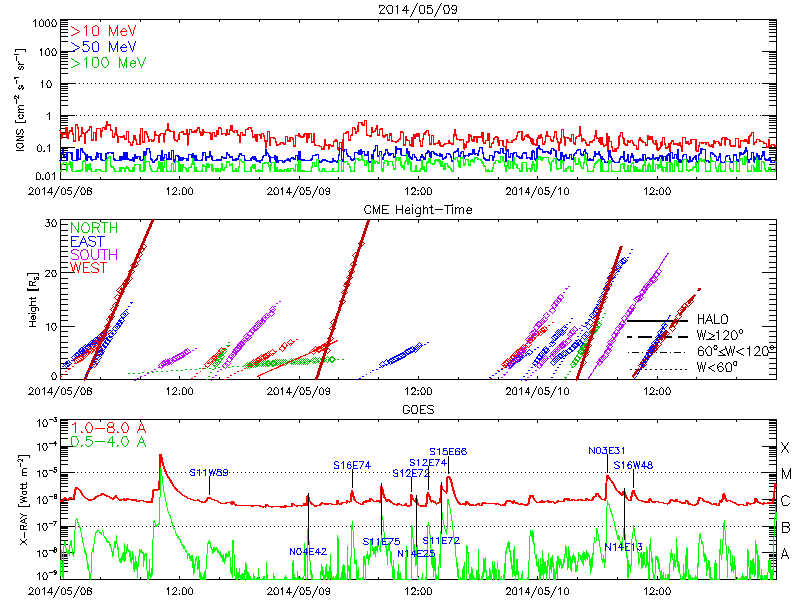 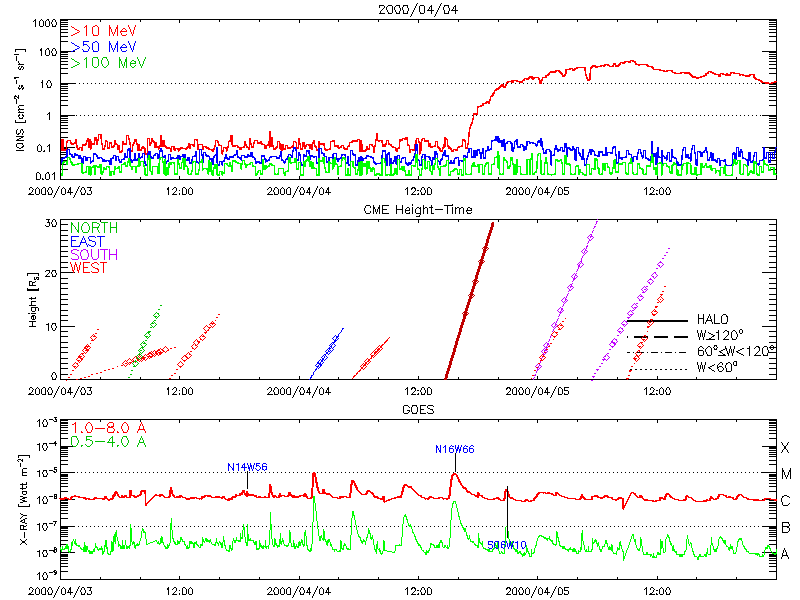 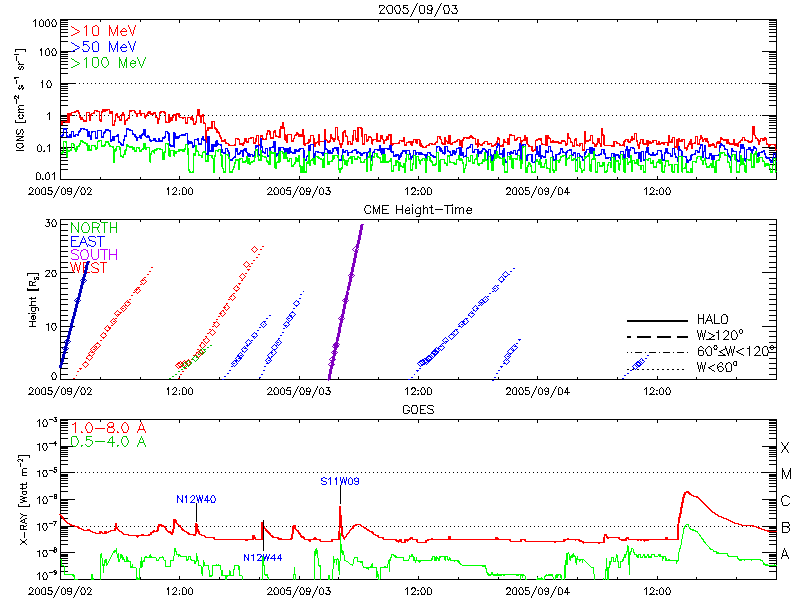 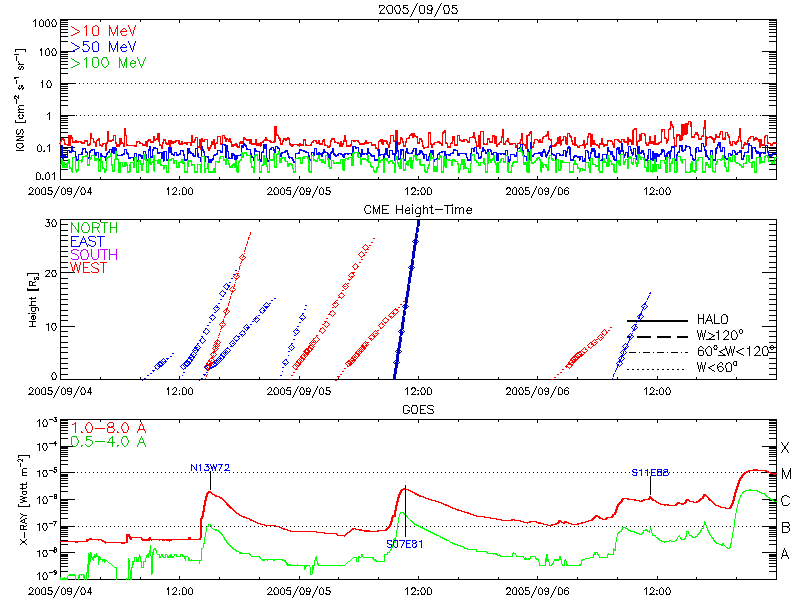 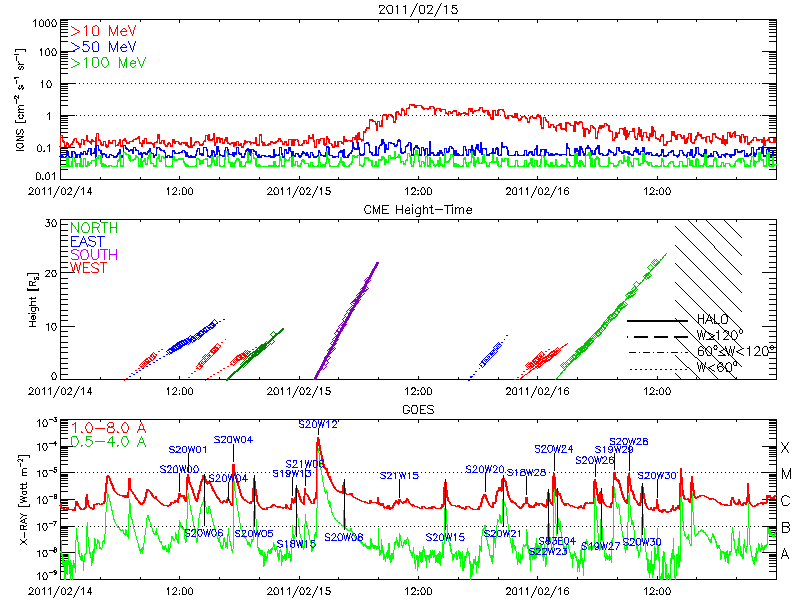 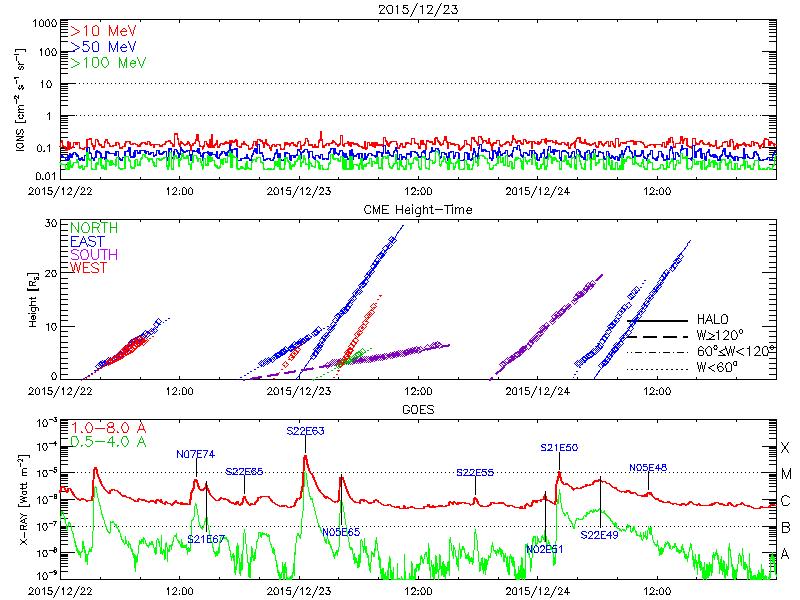 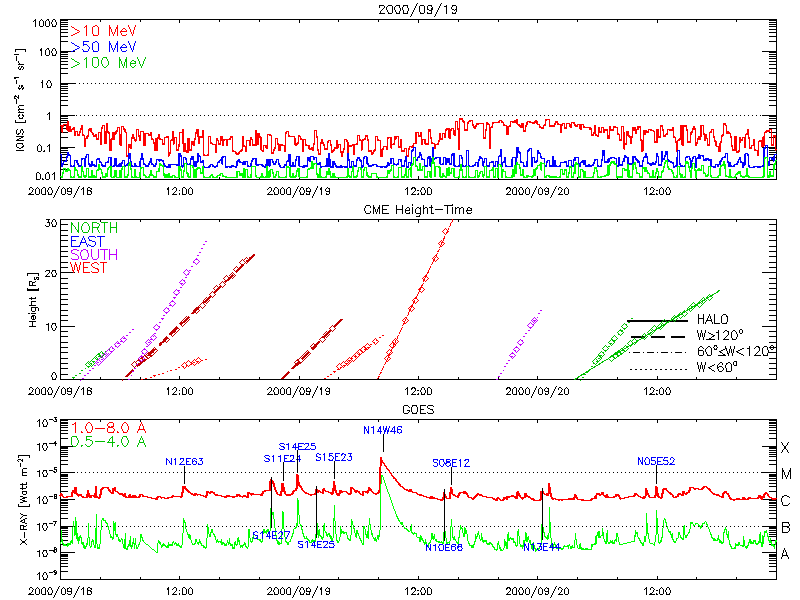 2001/04/06 19:35 04/07 01:50 14000   230   S21E31  9415 X5.6   04/06 19:30 Halo  360 1270   PHTX  Double type II, CME-CME interaction? 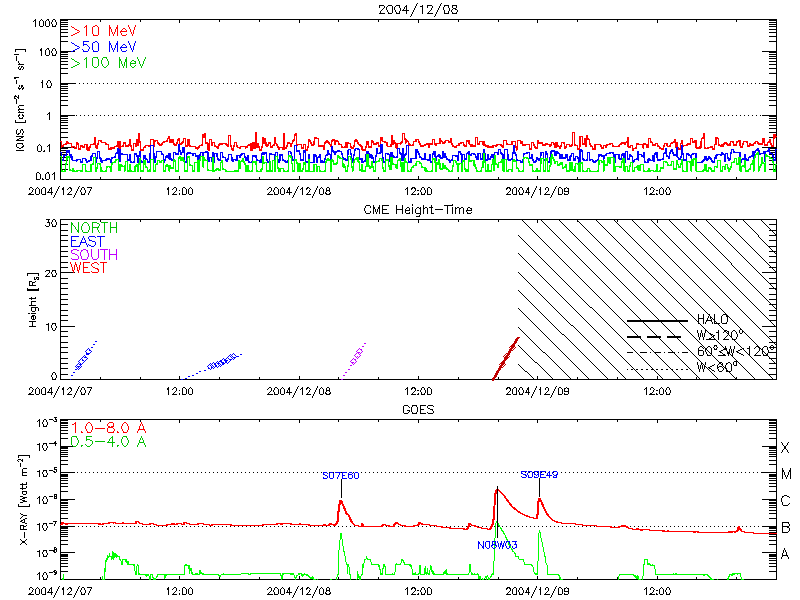 2006/08/26 20:40 08/26 21:00  7000  2000   S10E08 10905 C2.5   08/26 20:57  164  208  786   PHTX  WAVES Data Gap. 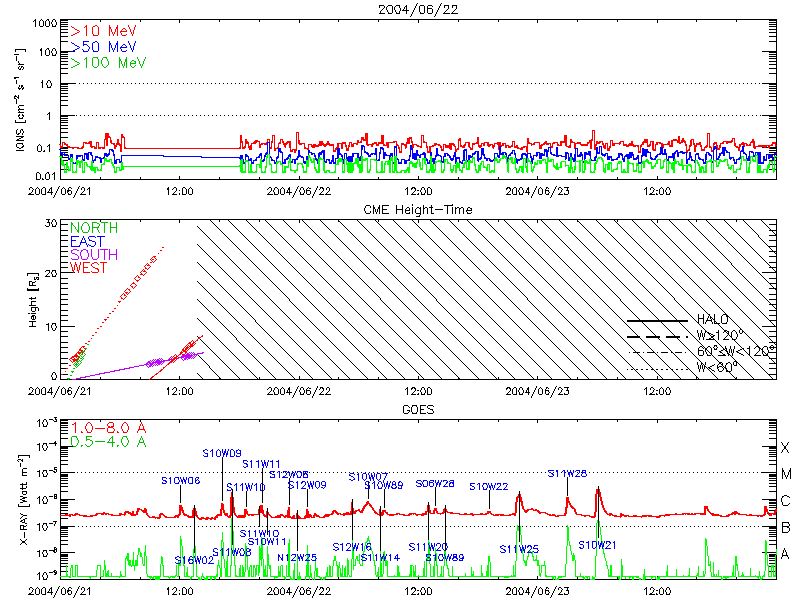 Lower f may be 500 kHz.